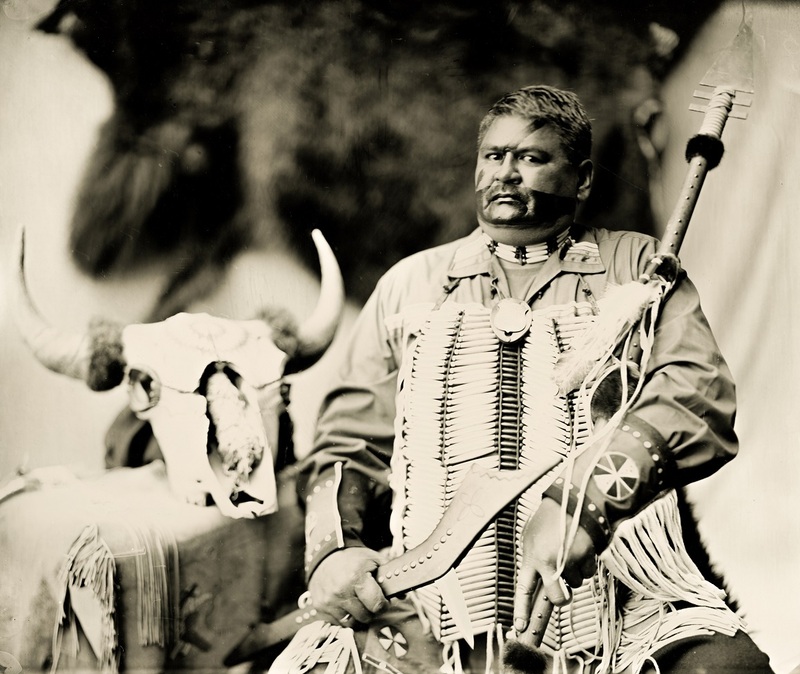 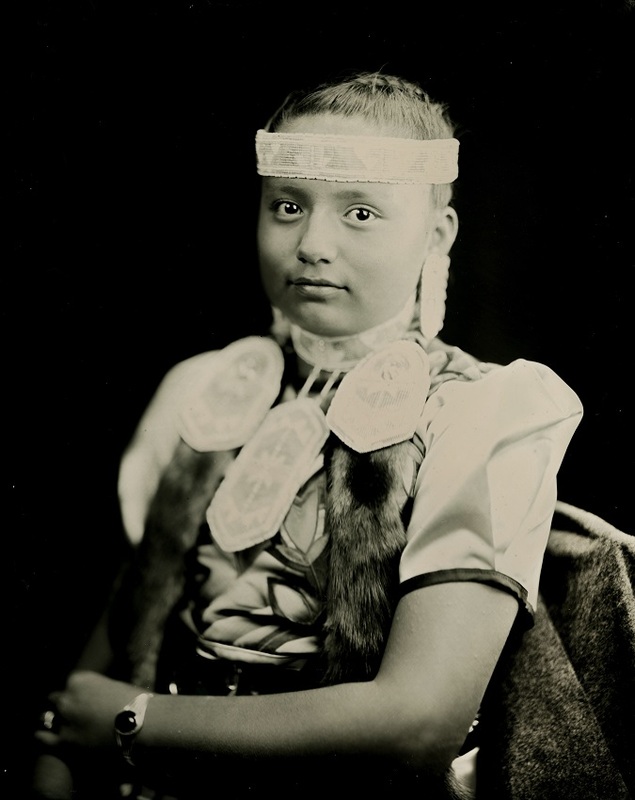 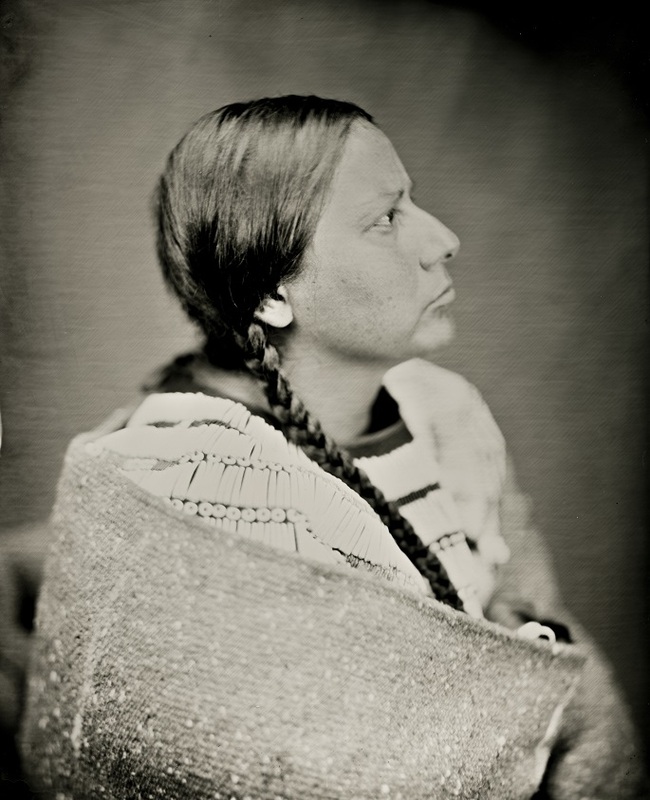 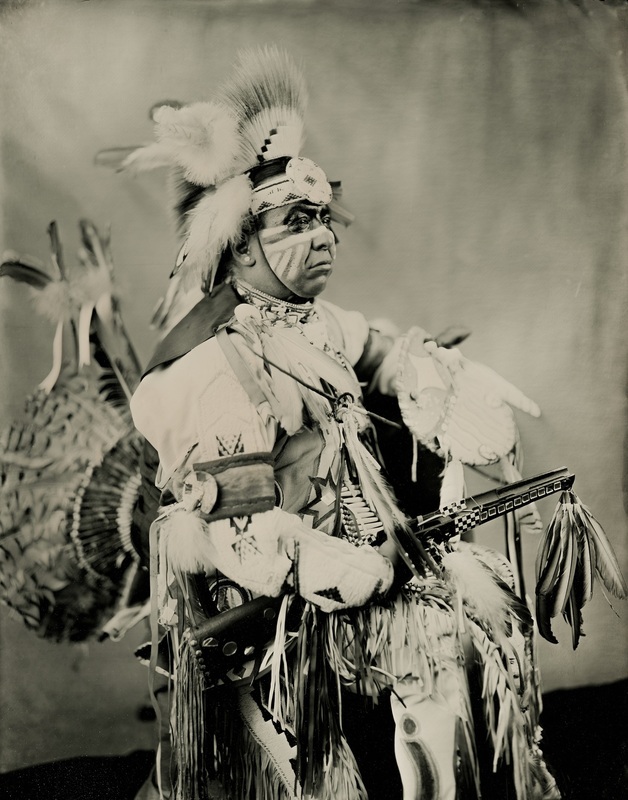 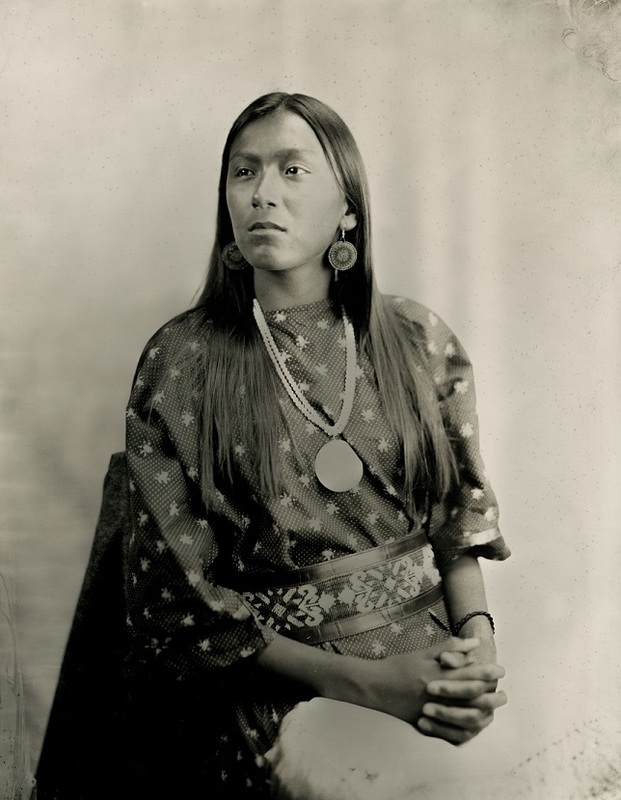 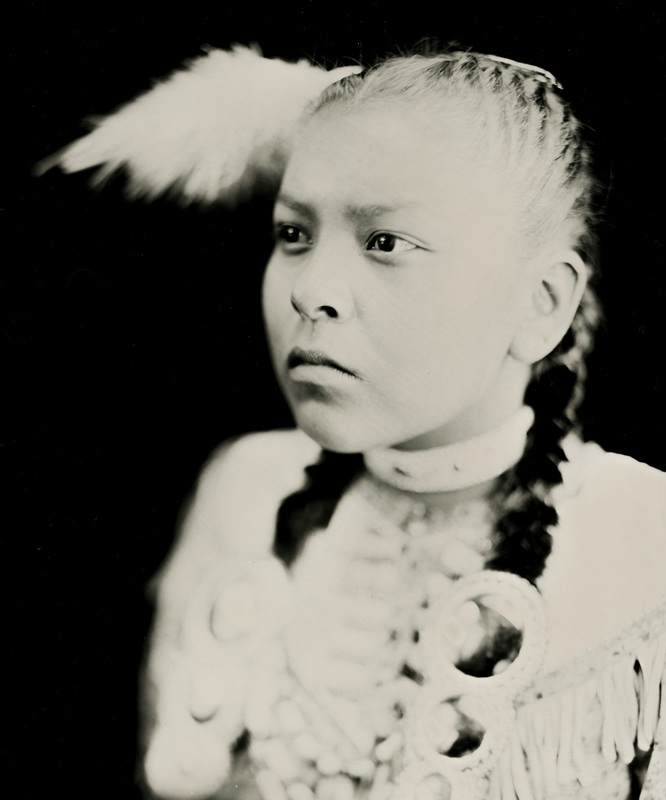 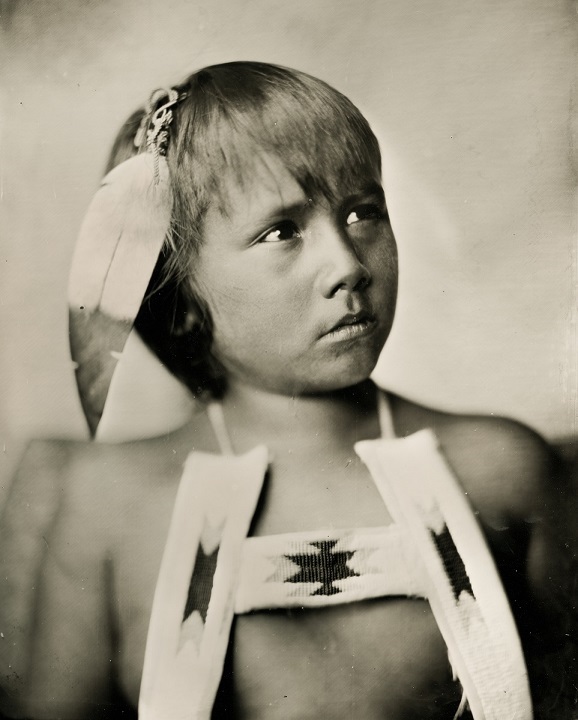 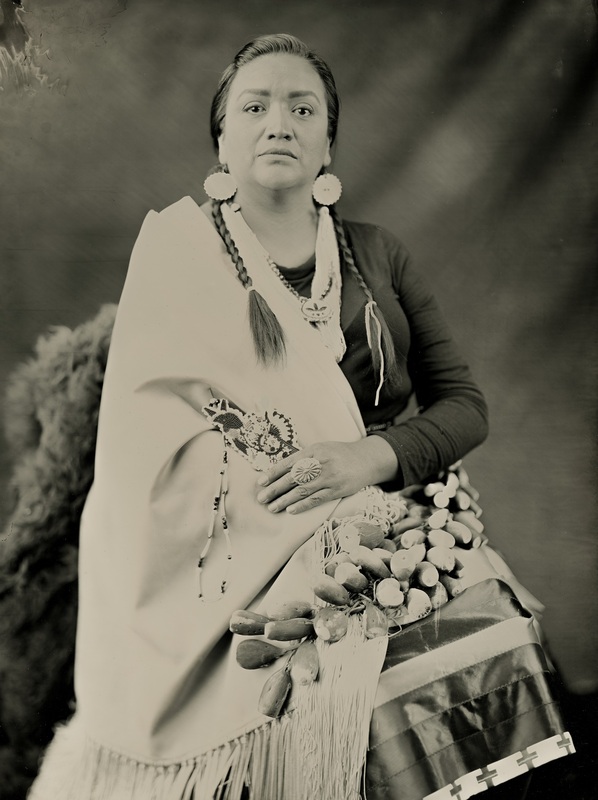 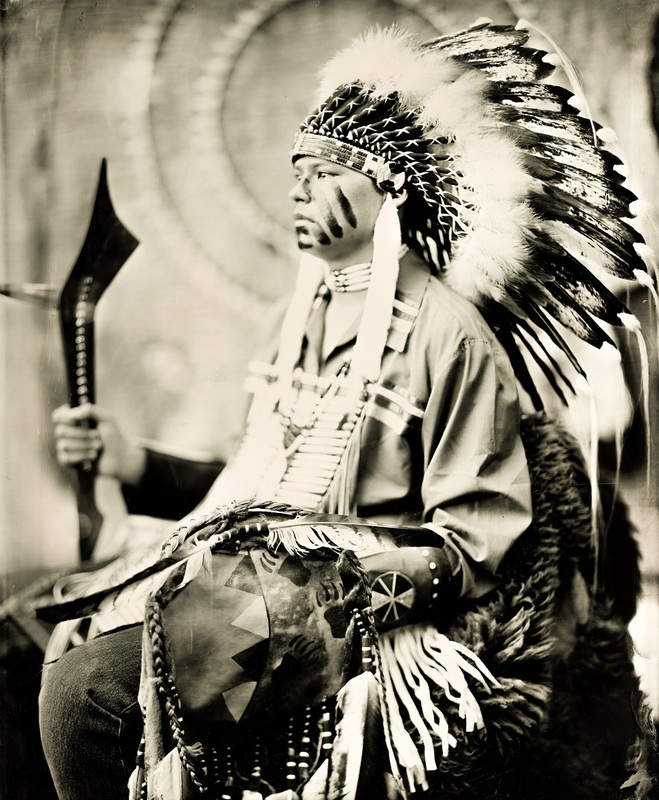 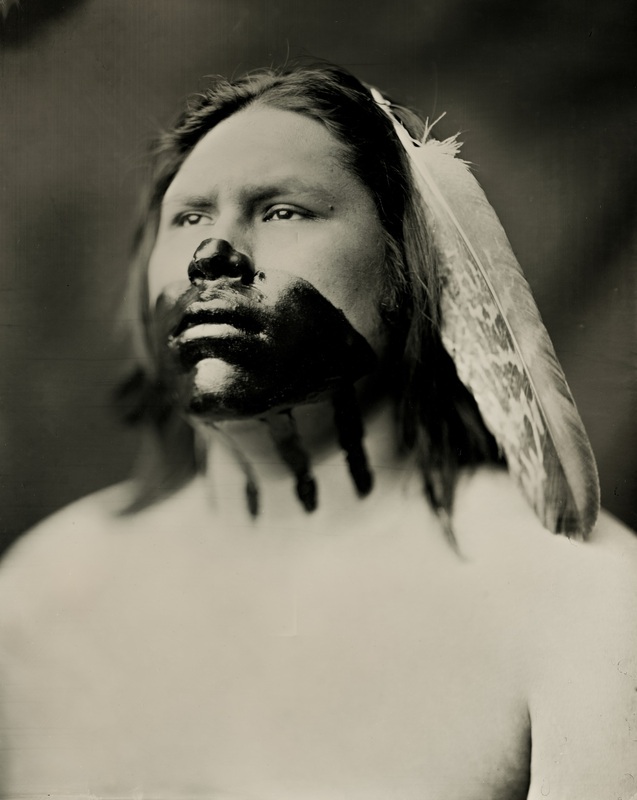 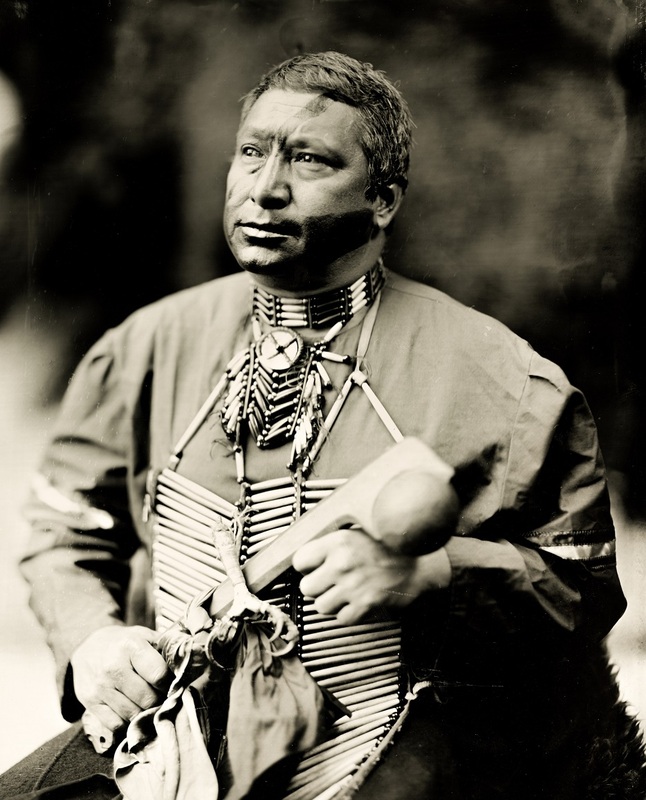 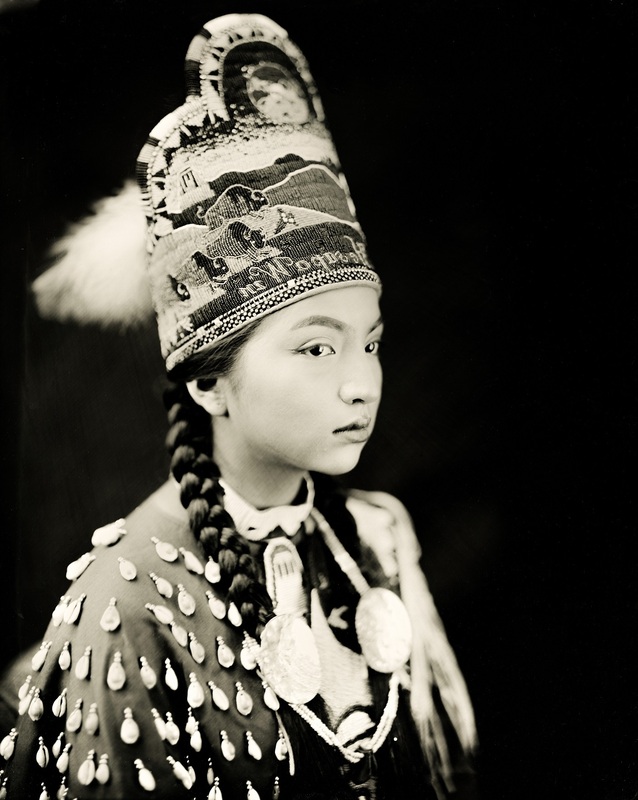 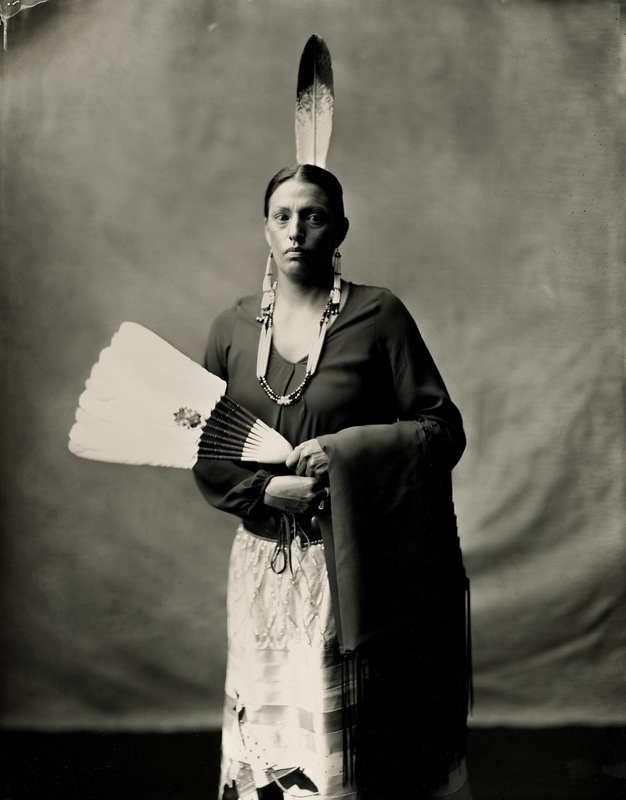 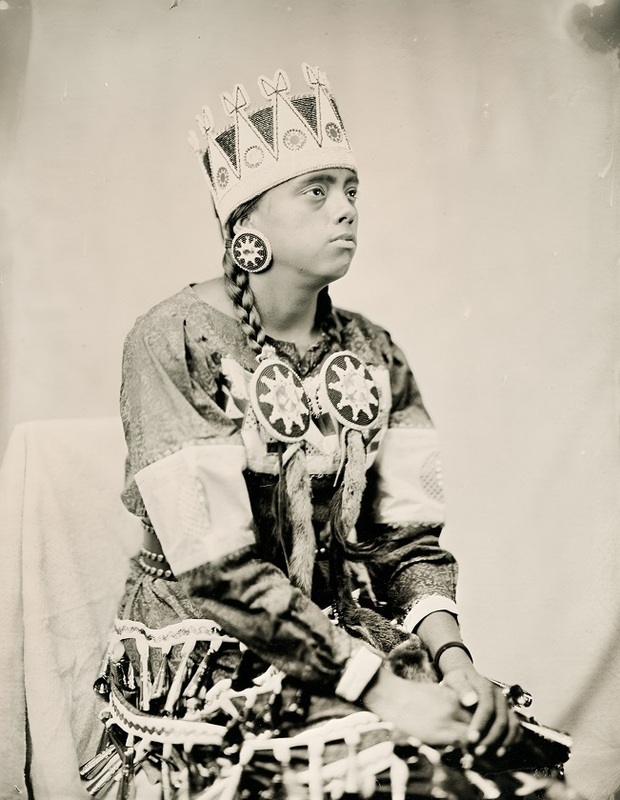 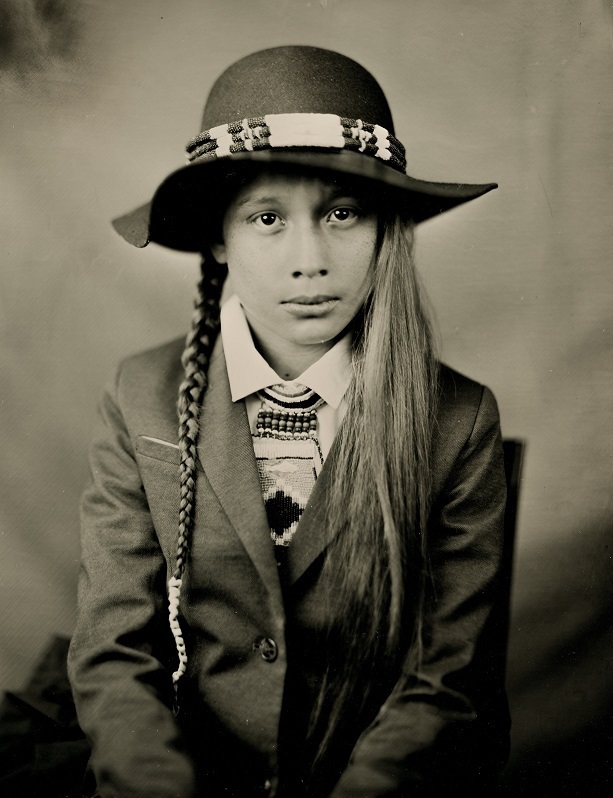 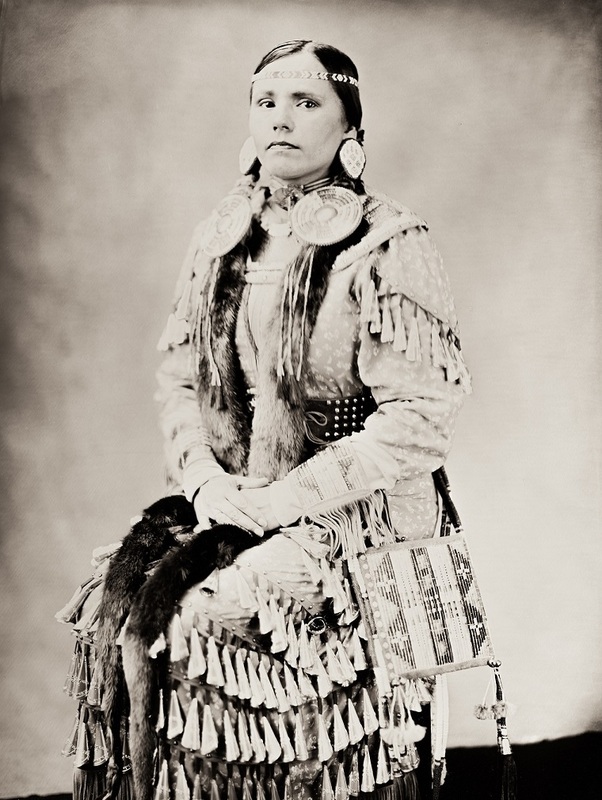 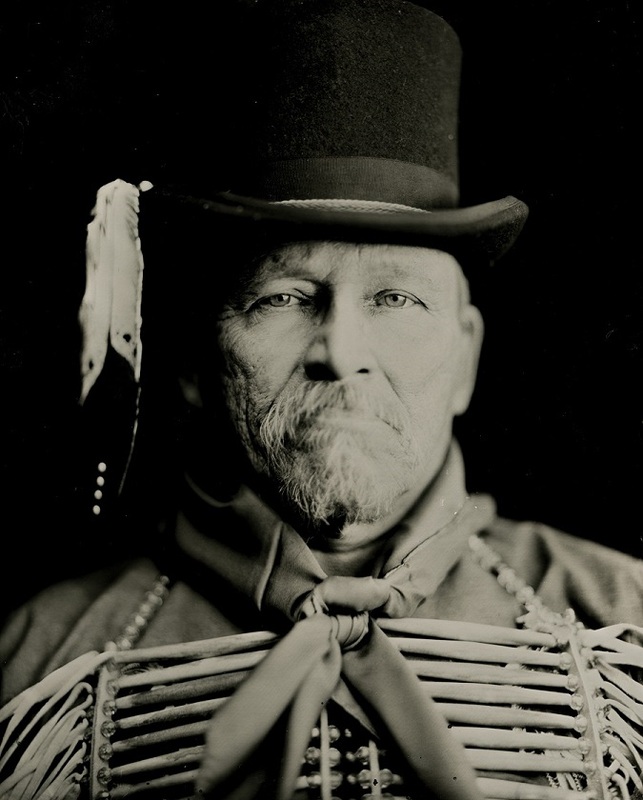 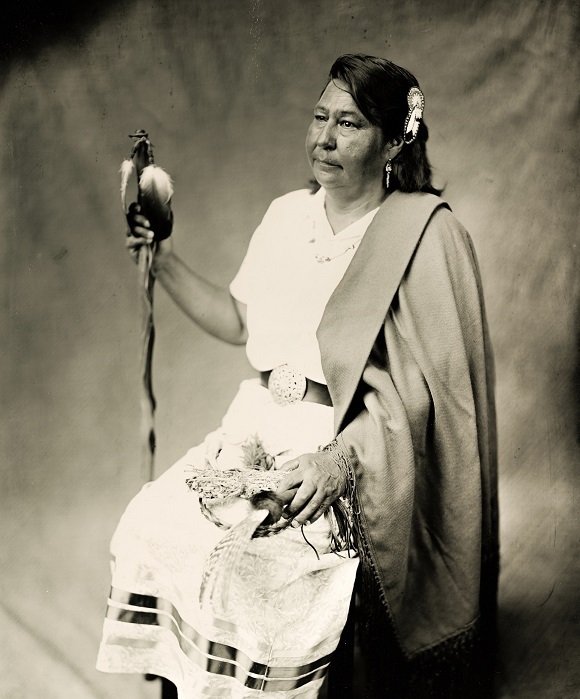 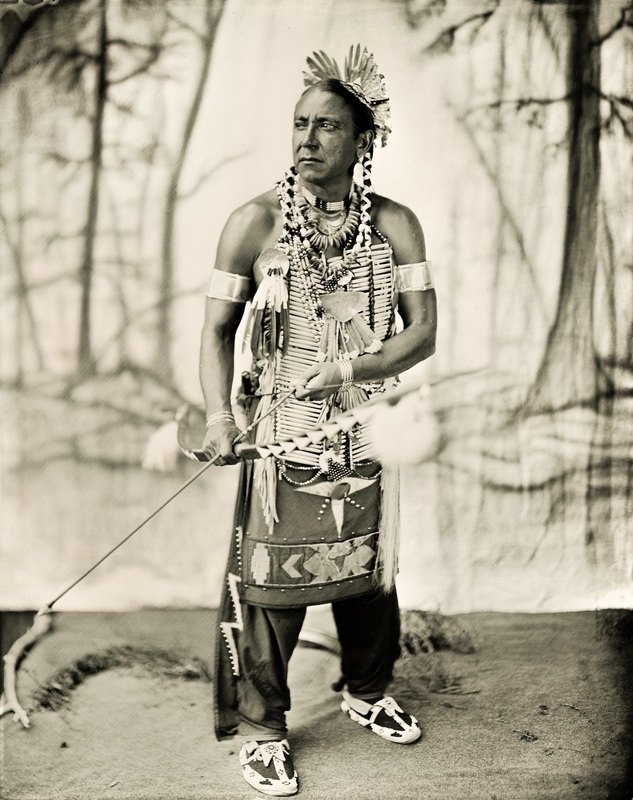 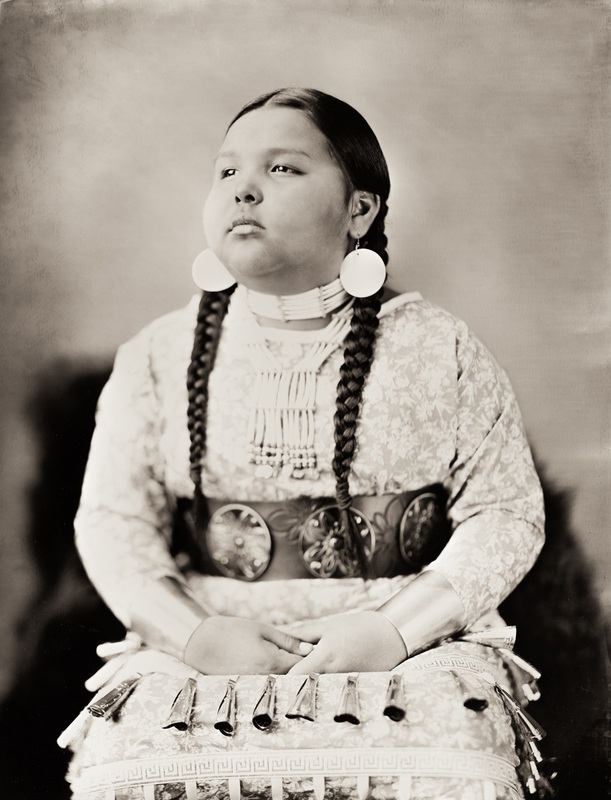 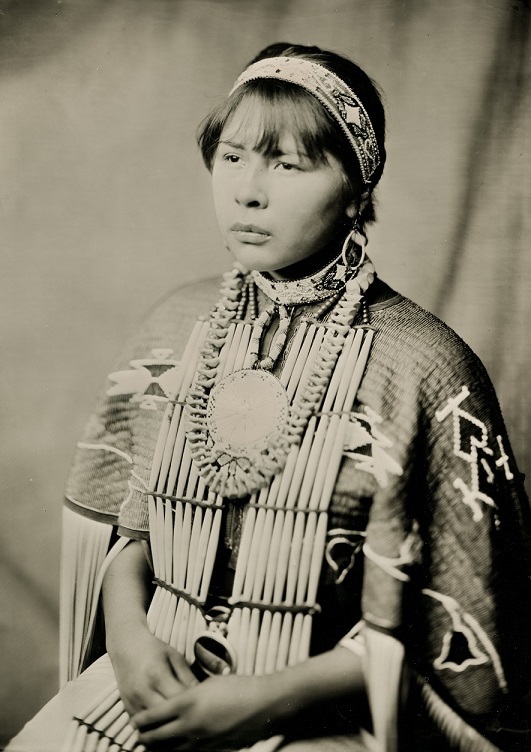 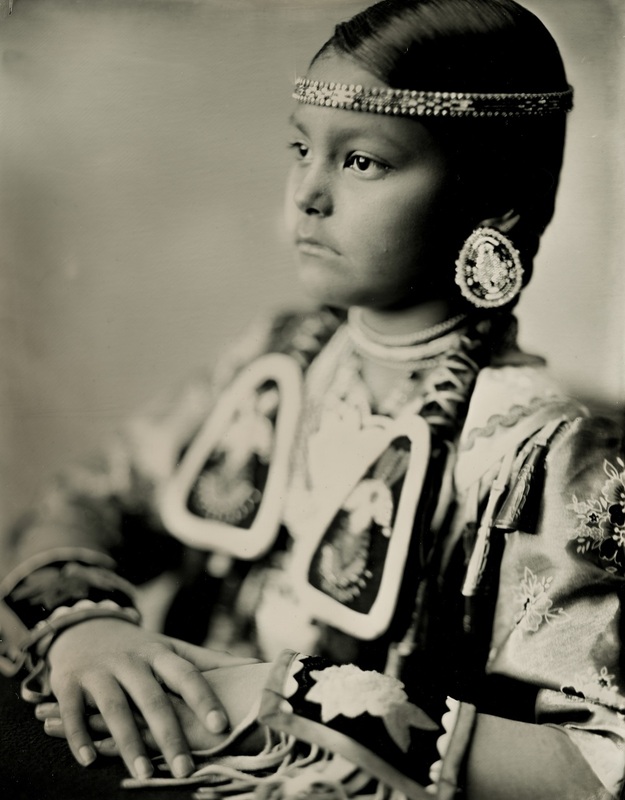 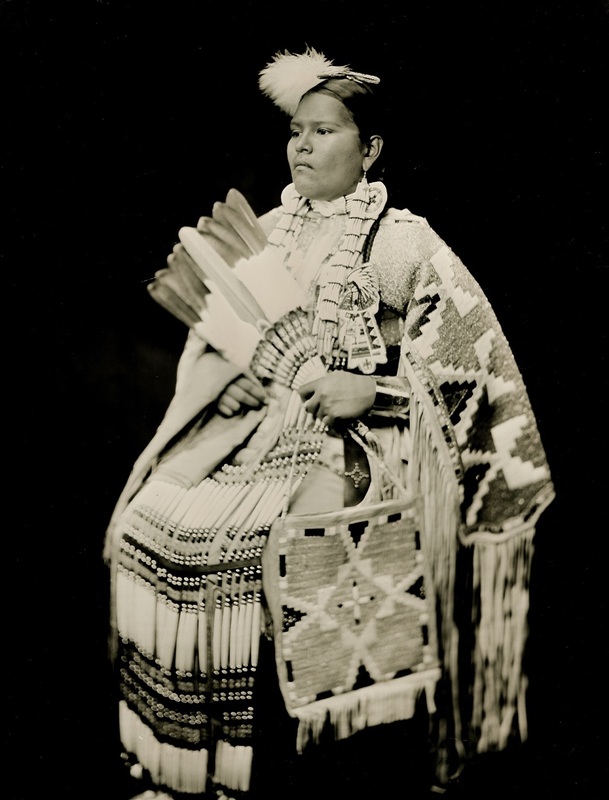 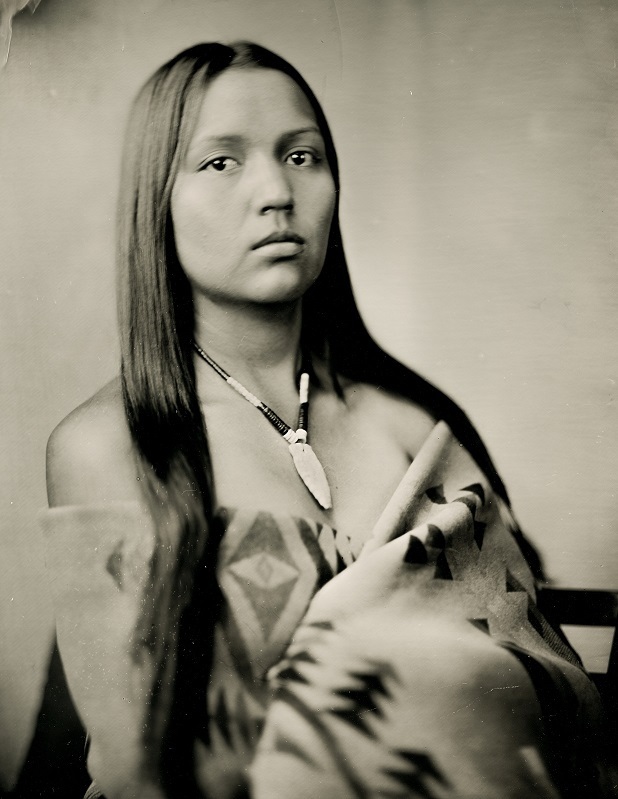 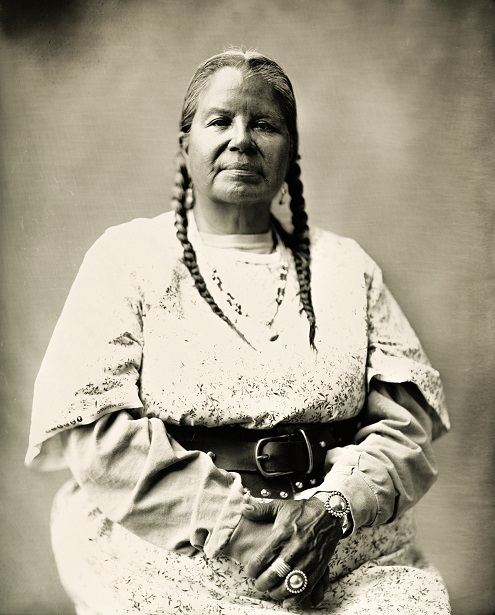 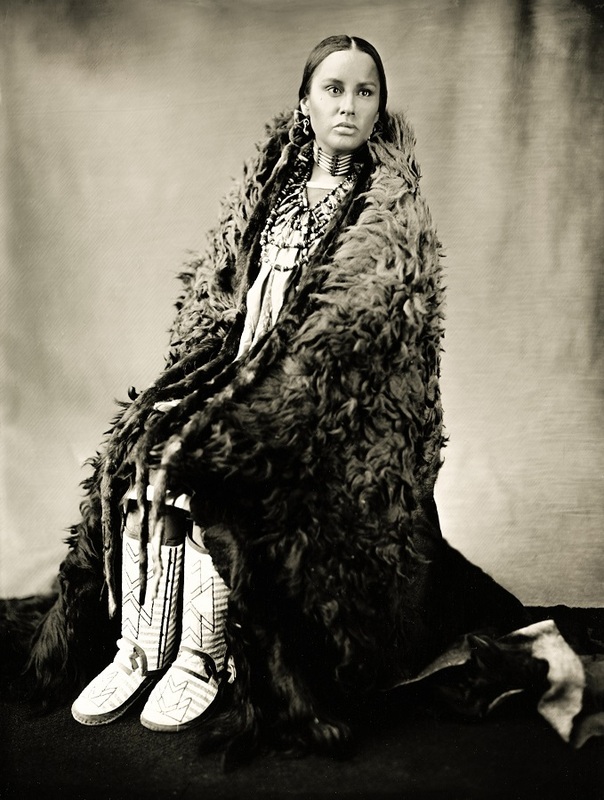 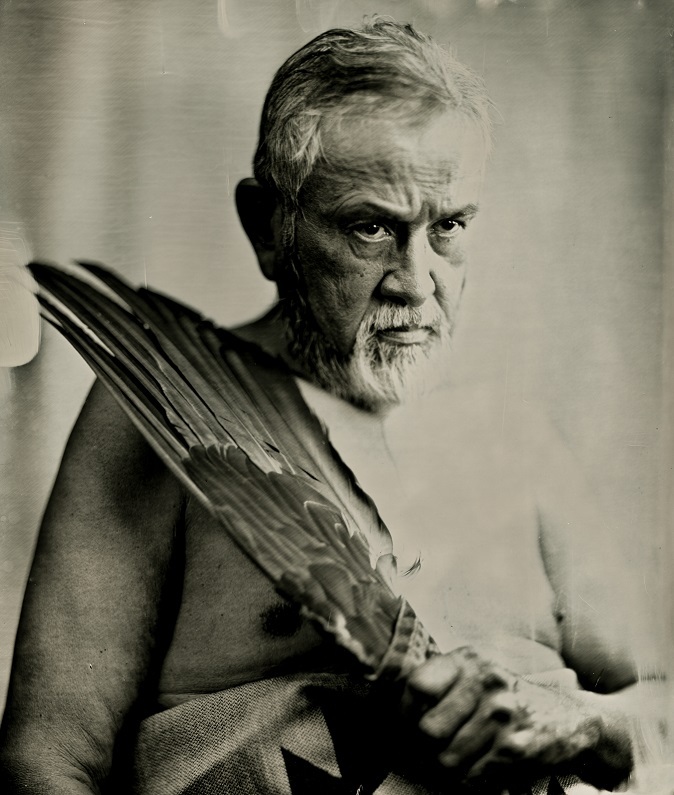 I have always been fascinated with the work of Mathew Brady, Edward S. Curtis, and that of Orlando Scott Goff. 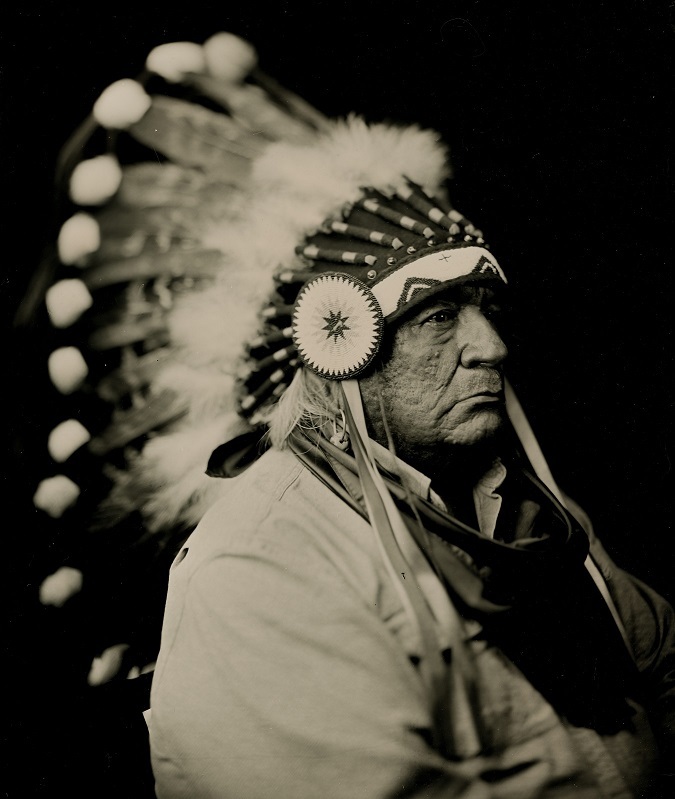 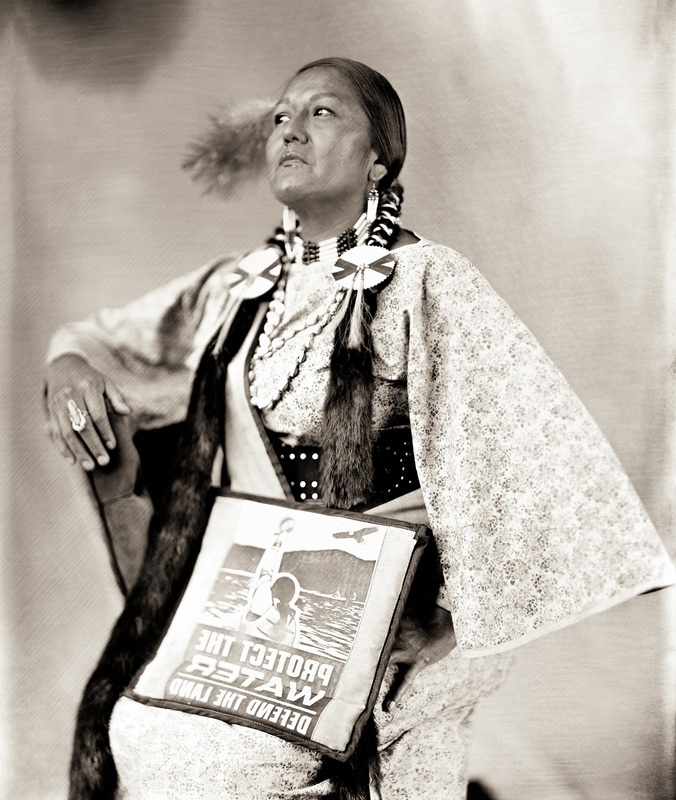 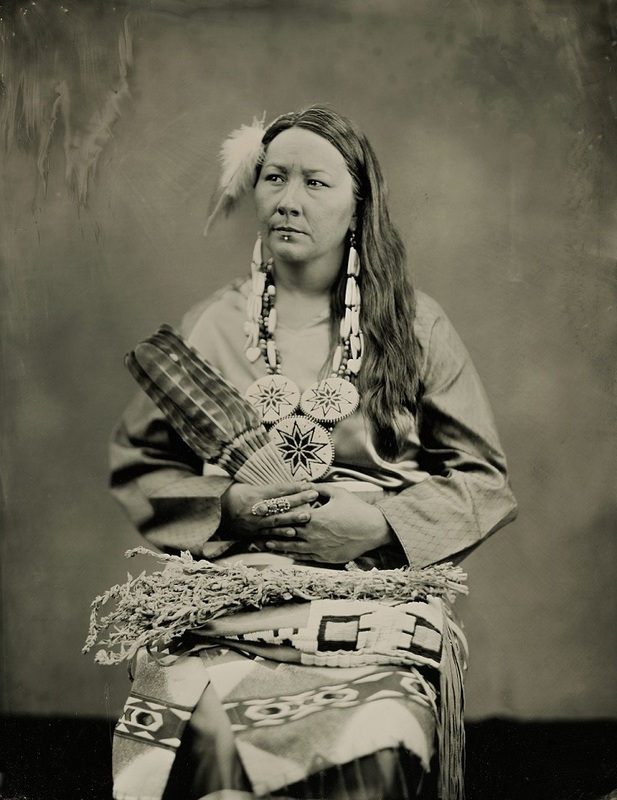 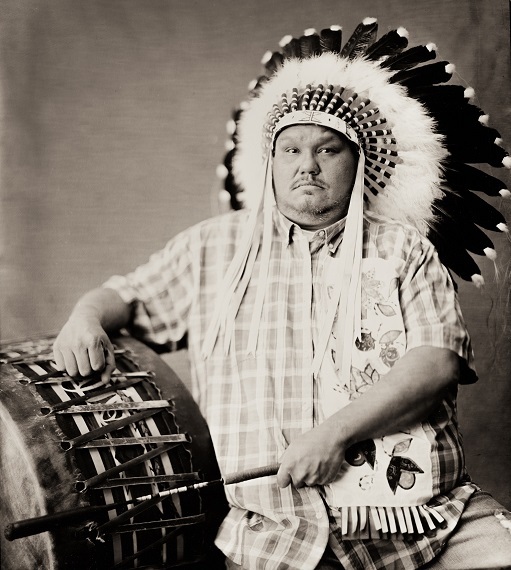 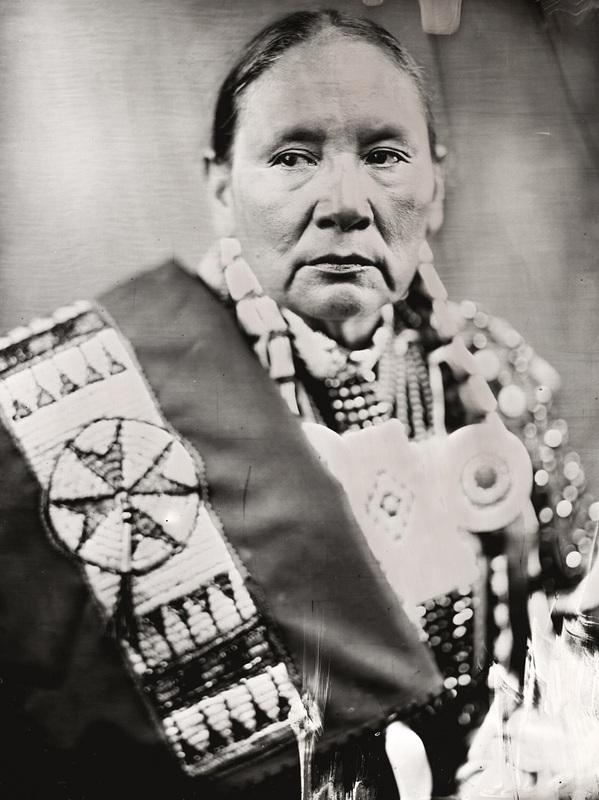 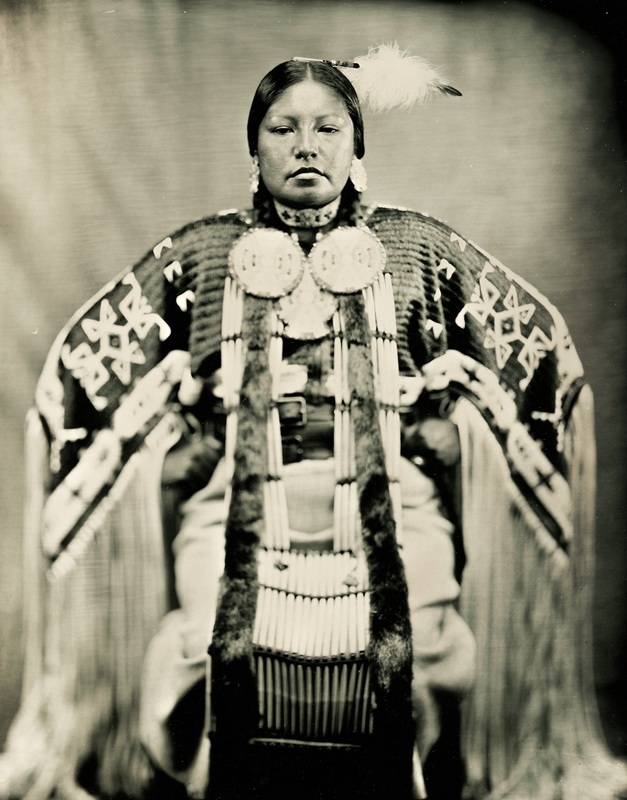 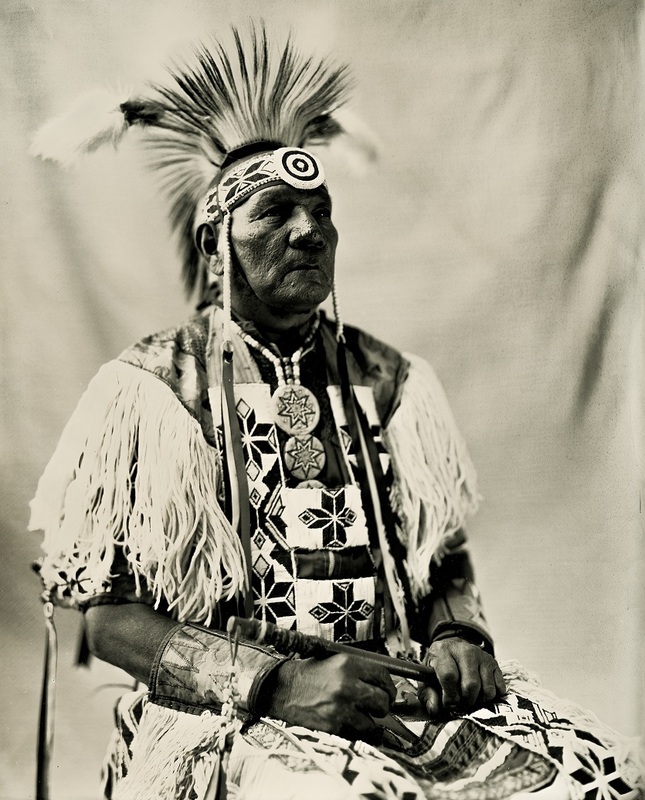 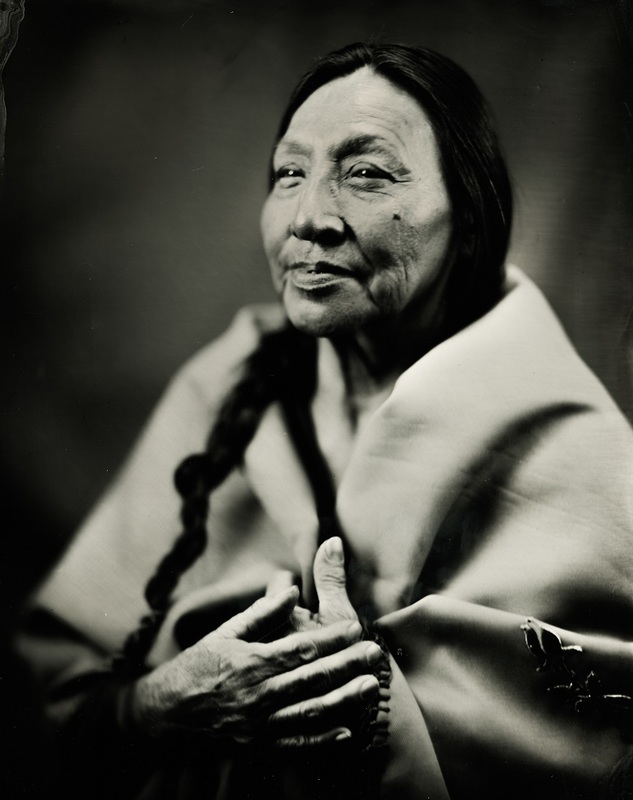 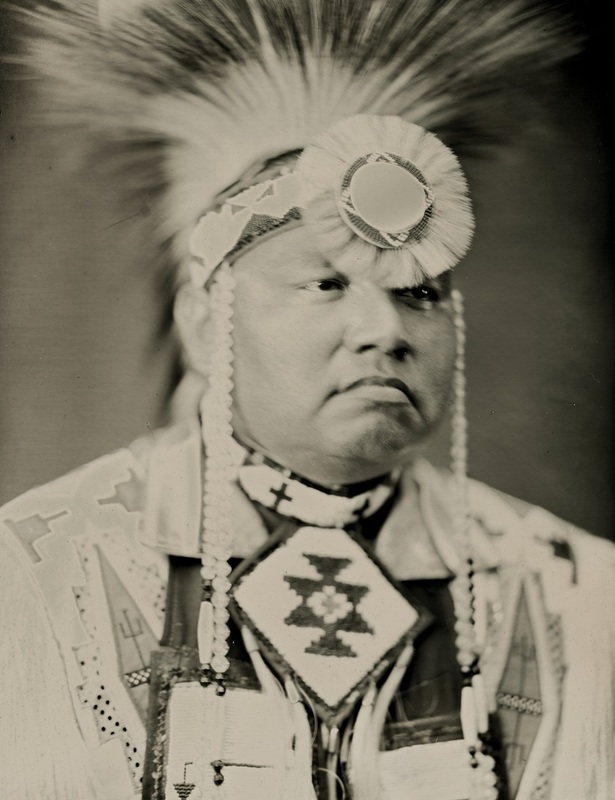 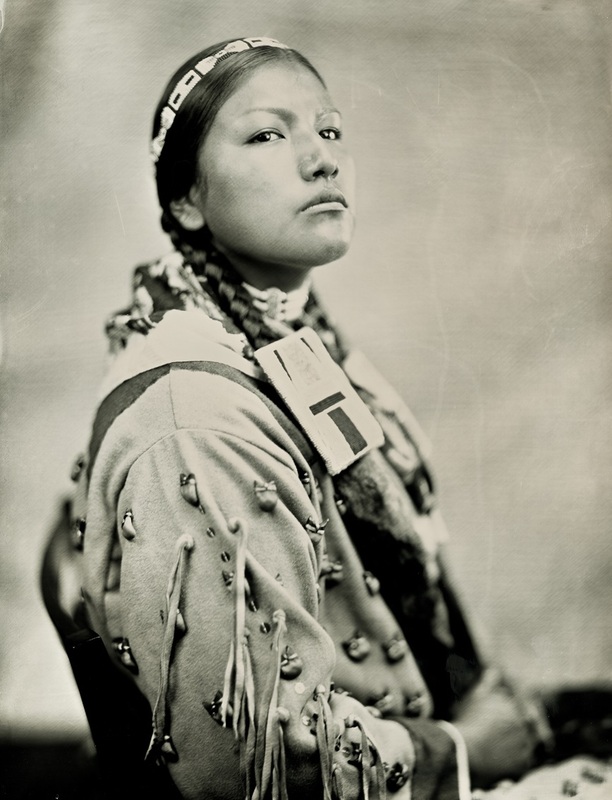 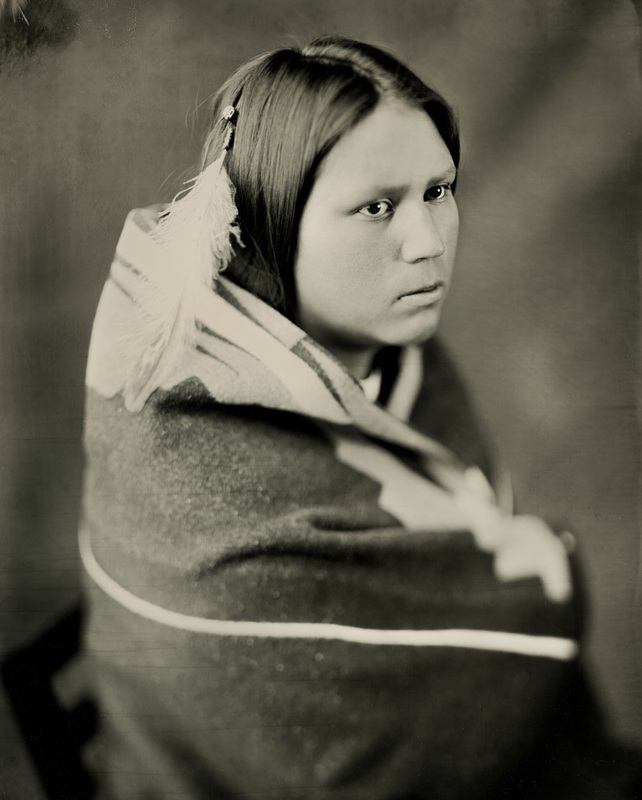 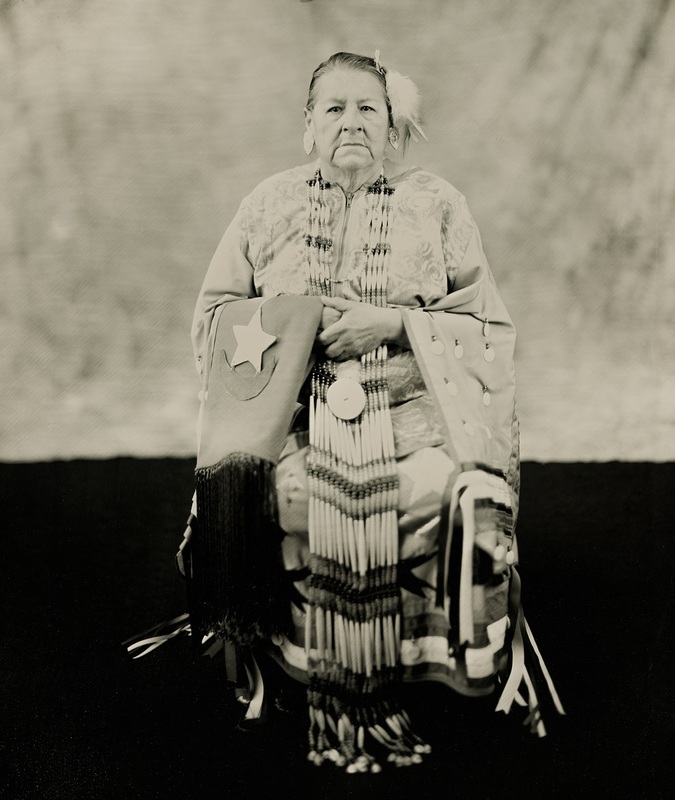 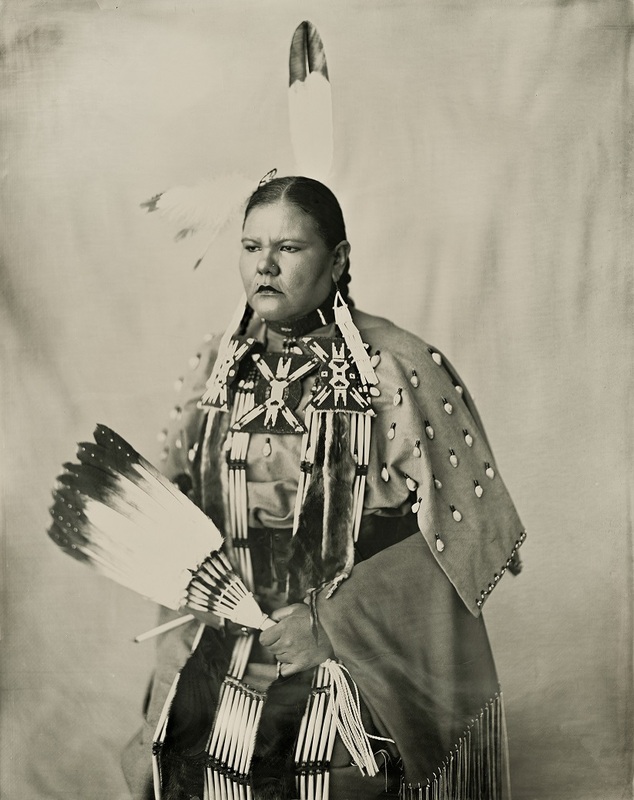 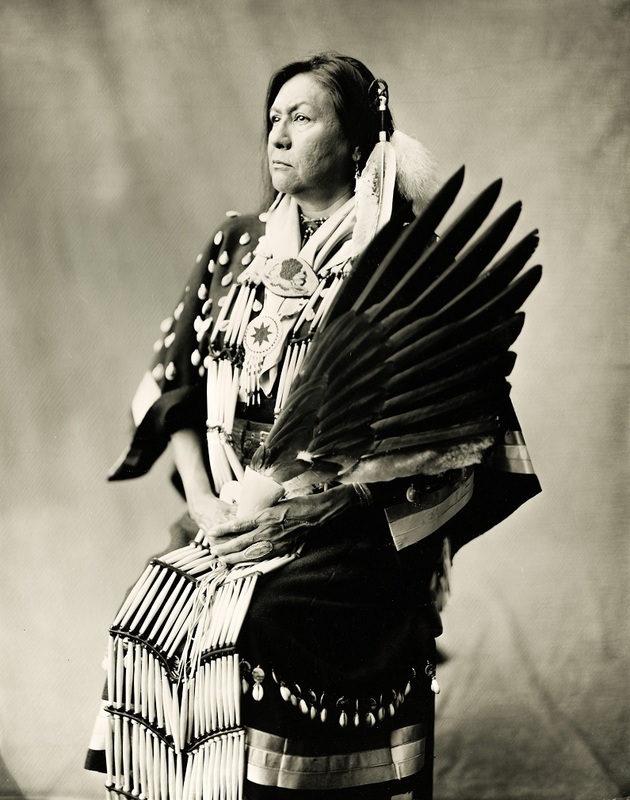 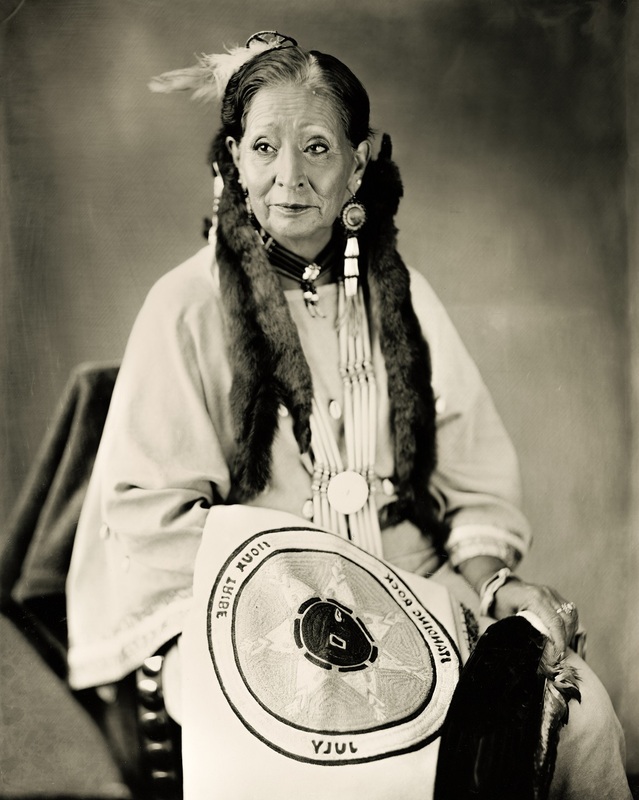 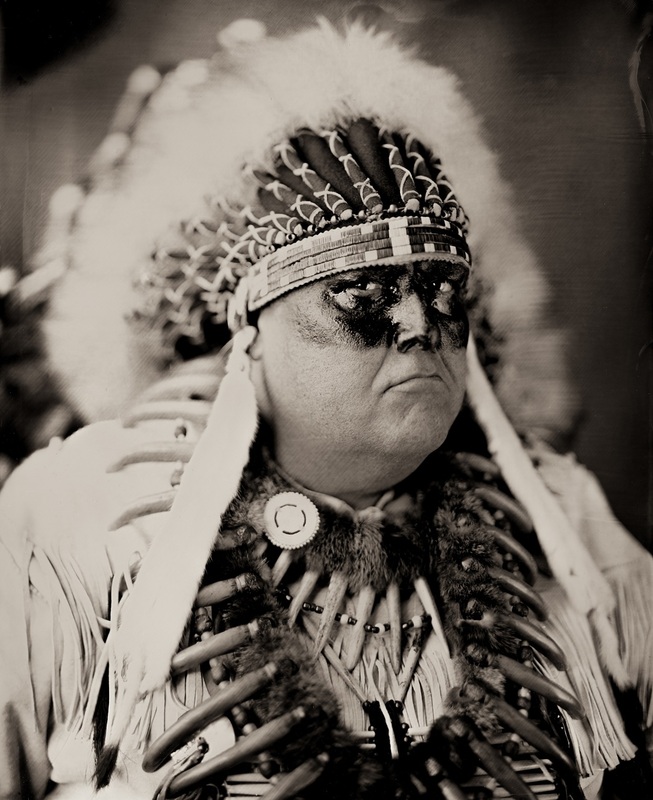 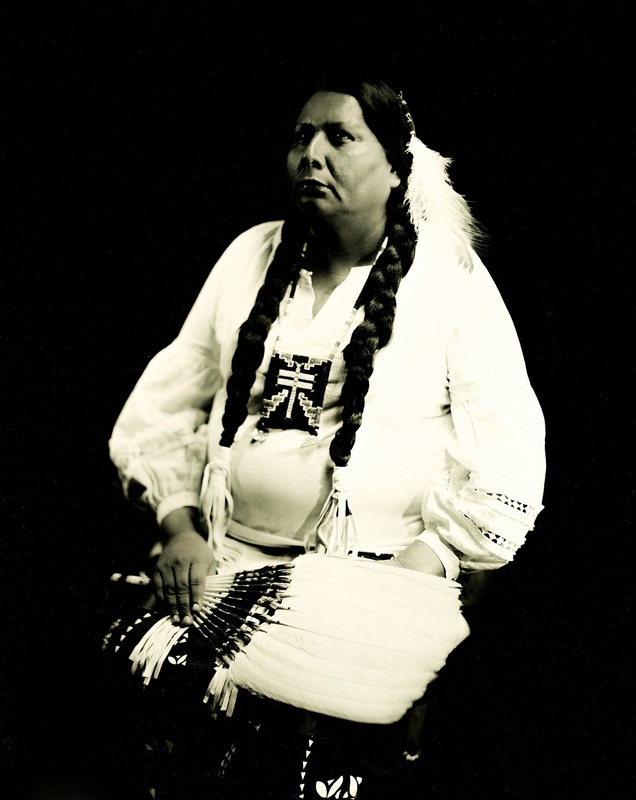 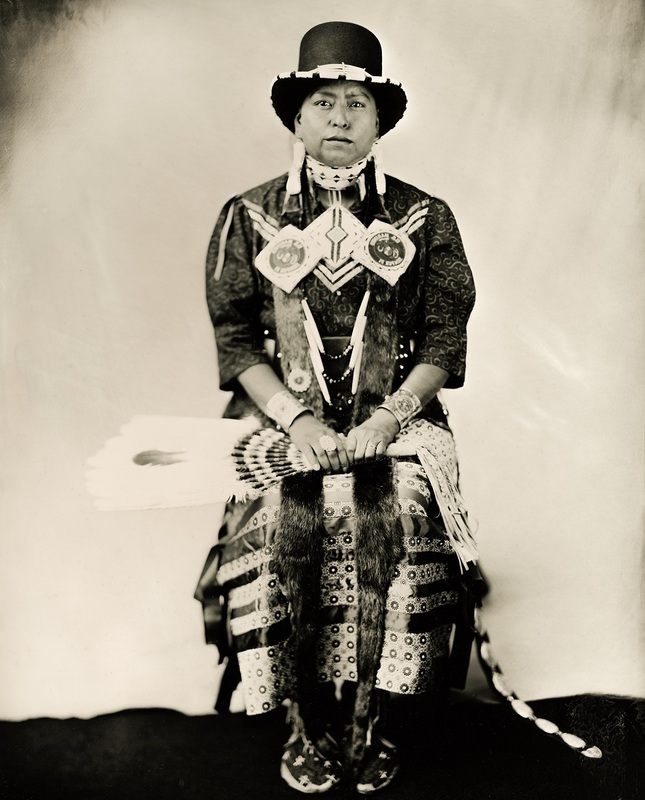 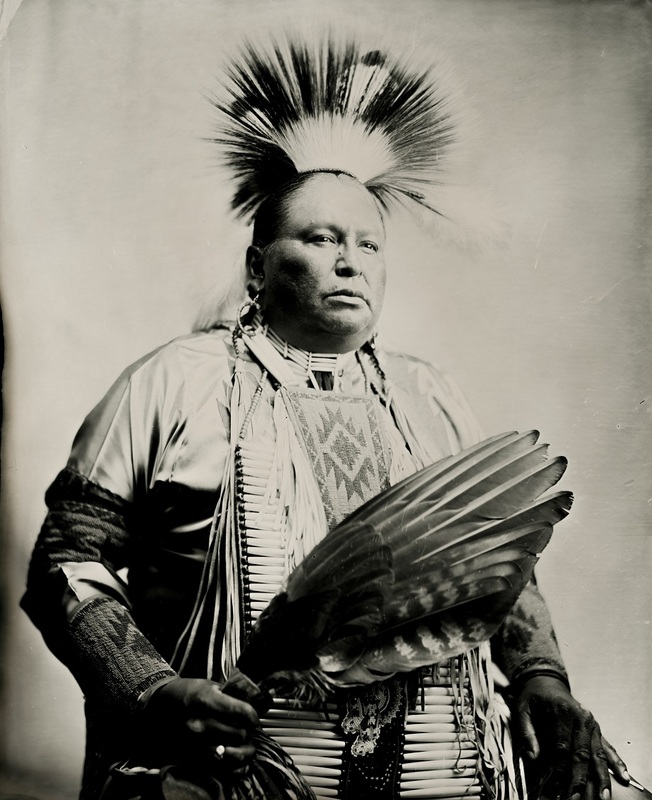 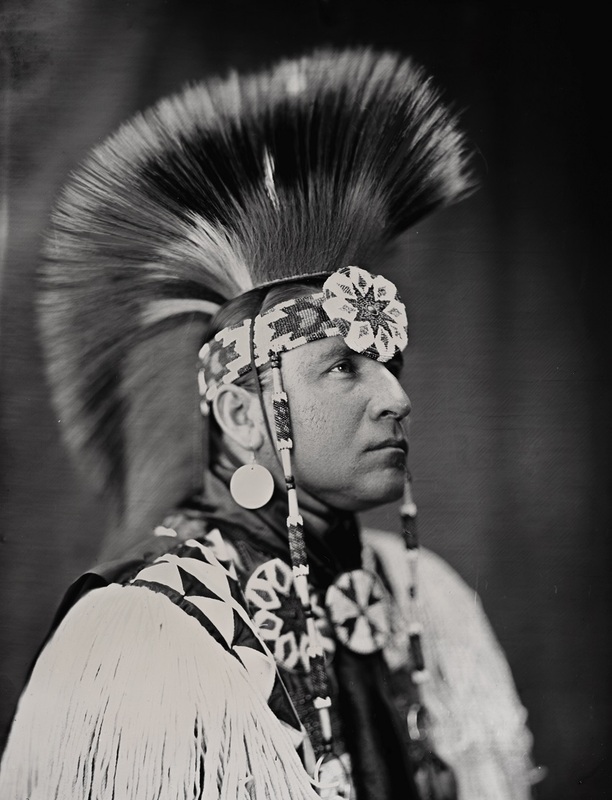 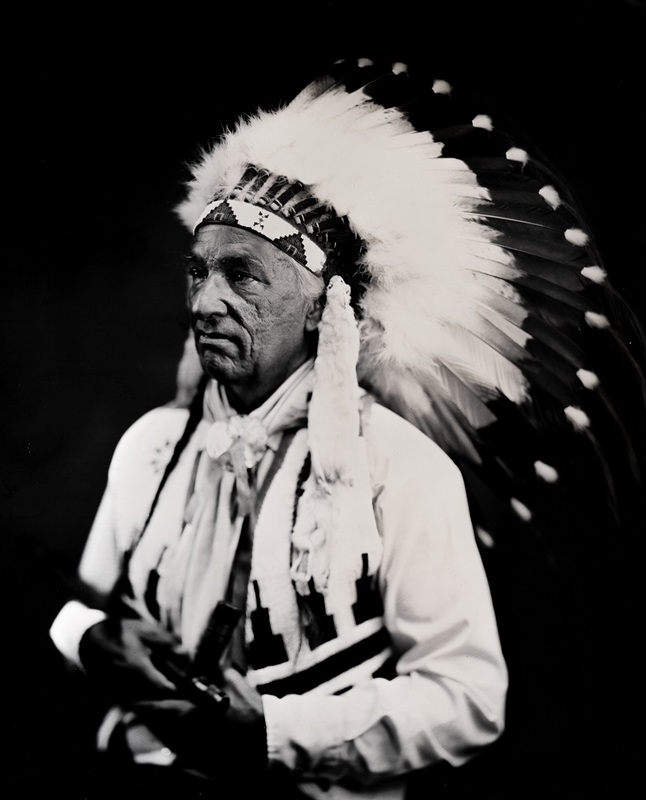 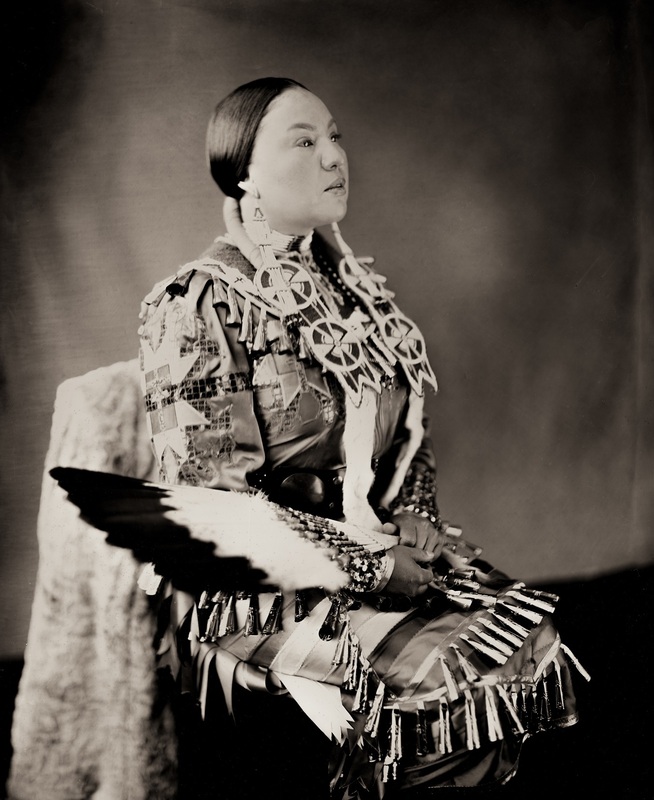 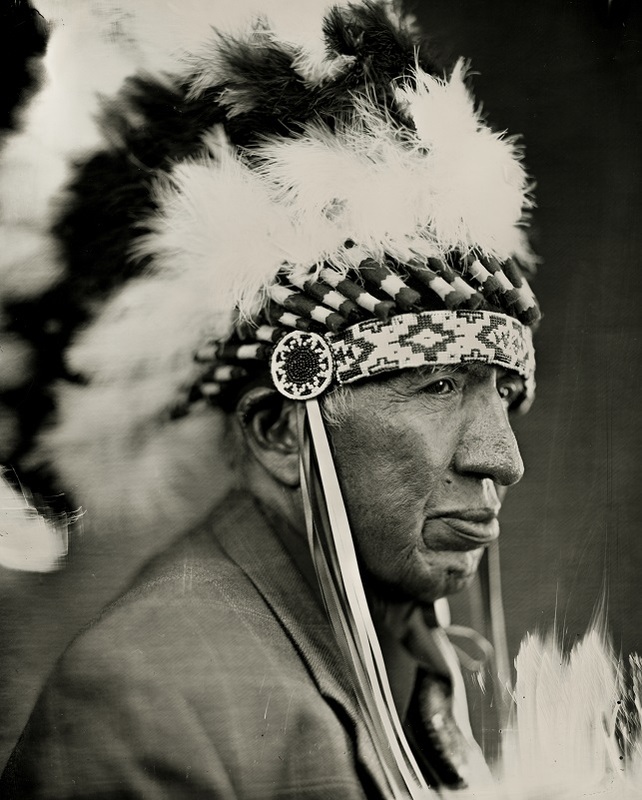 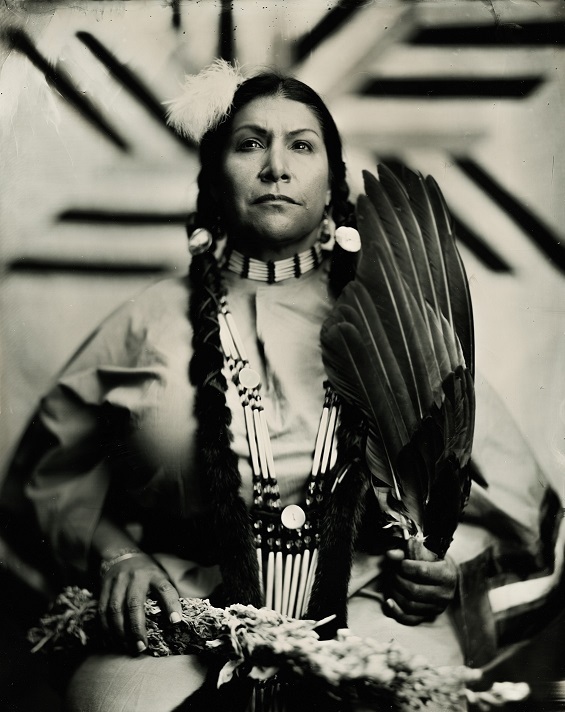 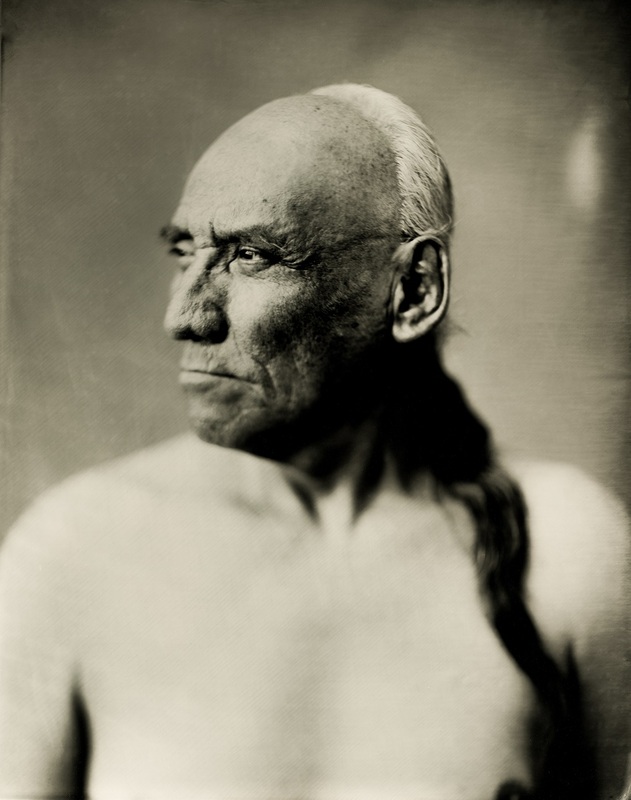 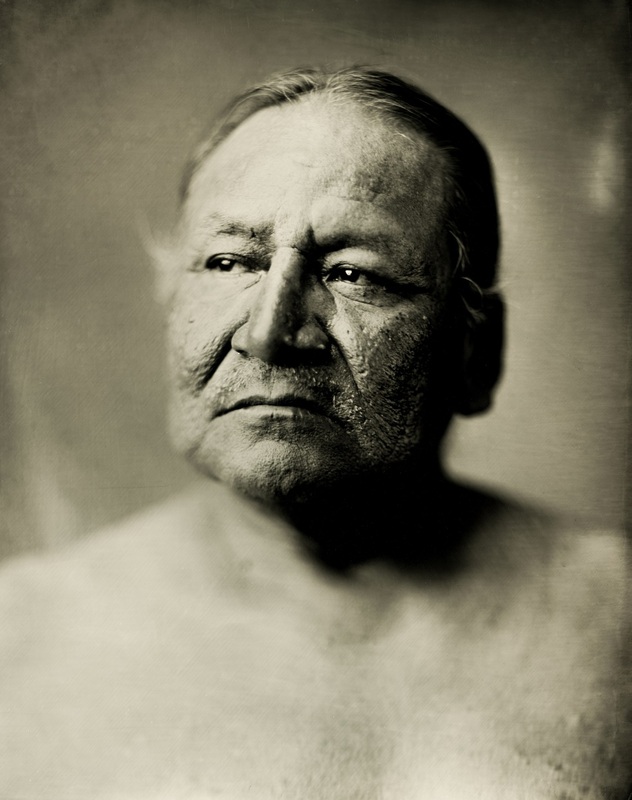 Mr. Goff was a wet plate artist located here in Bismarck in the 1870's and is credited with taking the very first photograph of Sitting Bull. 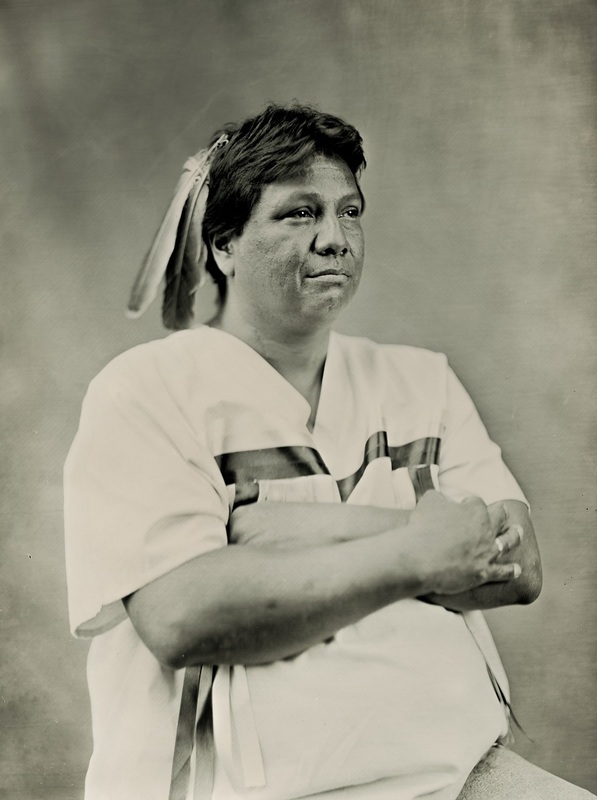 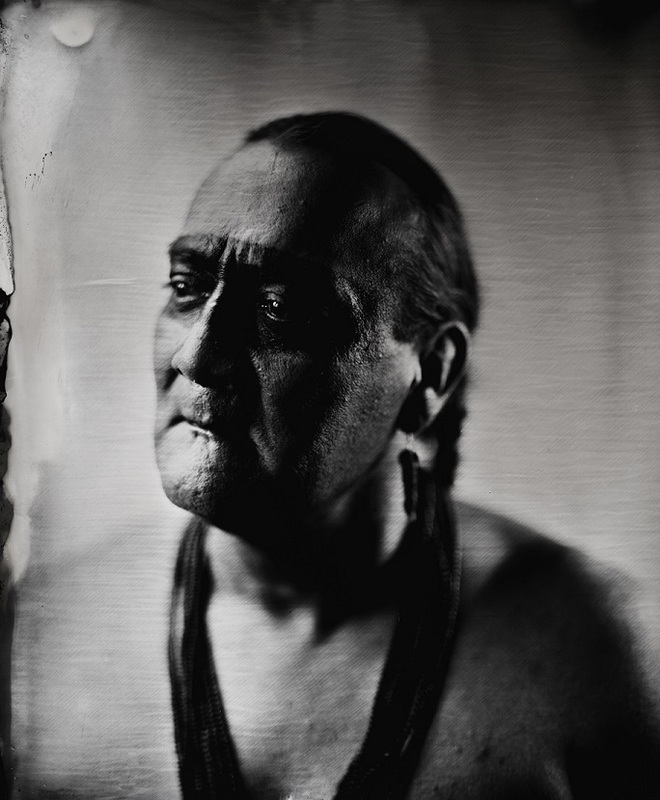 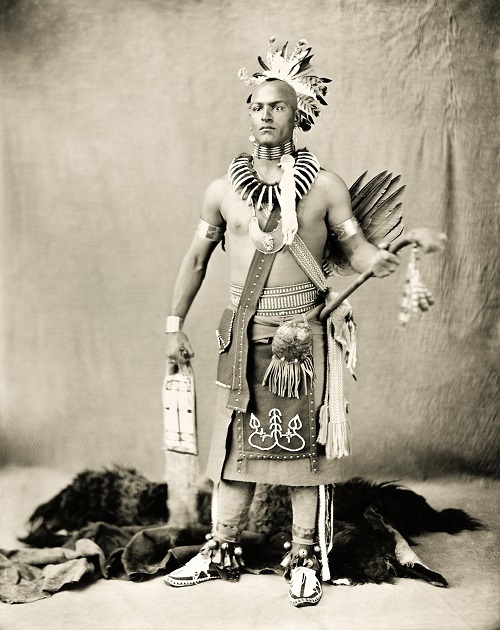 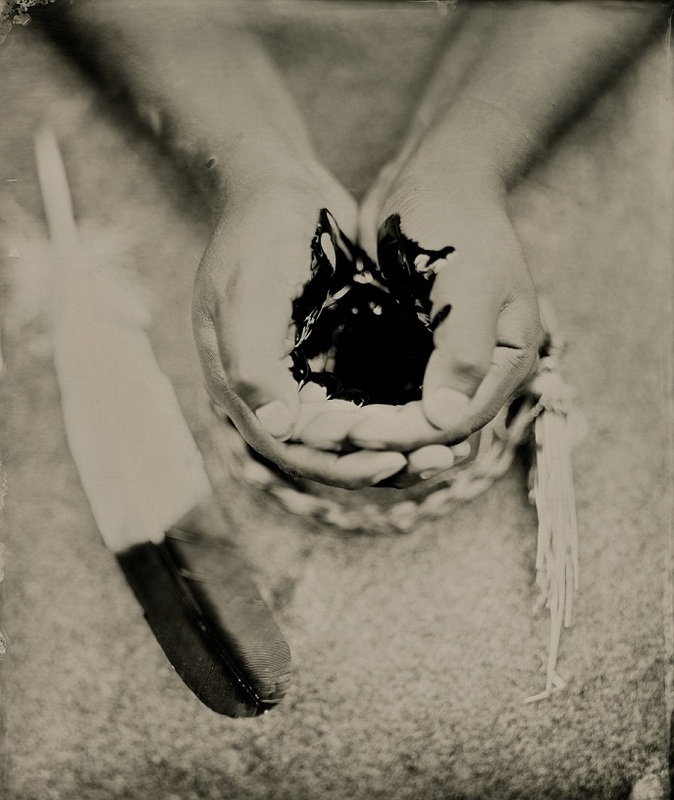 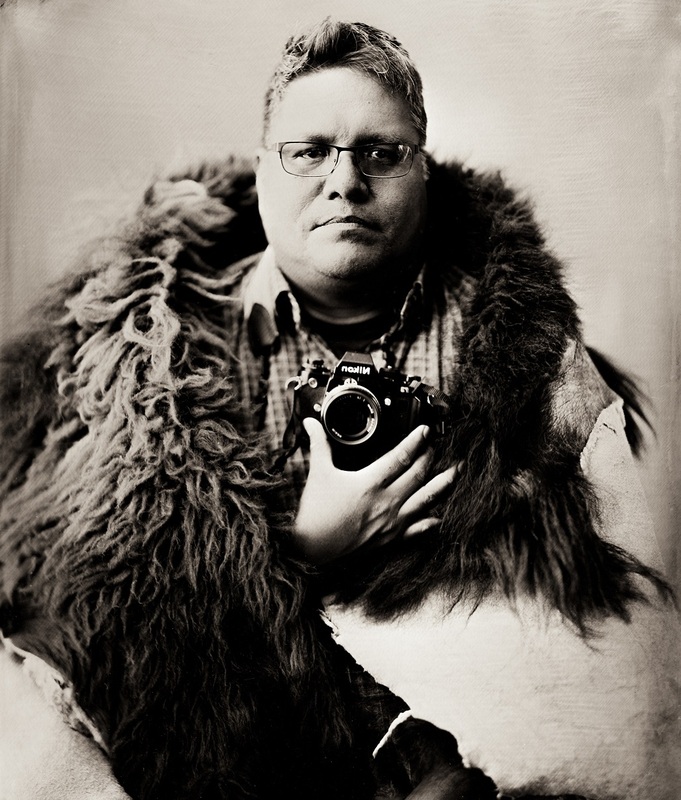 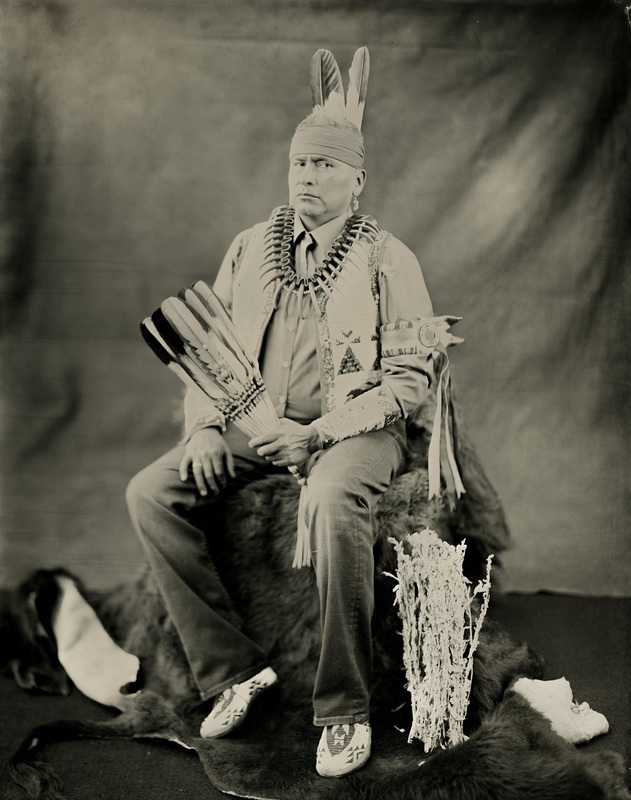 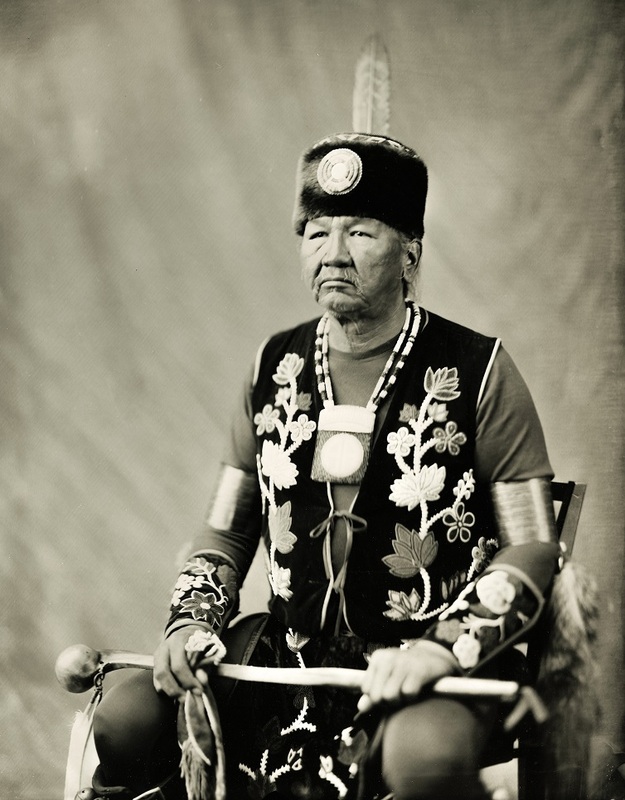 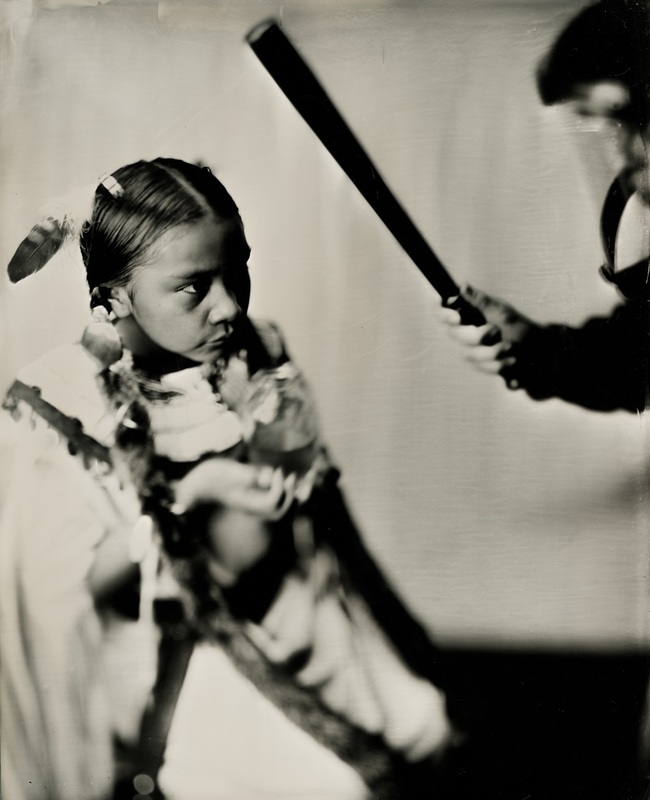 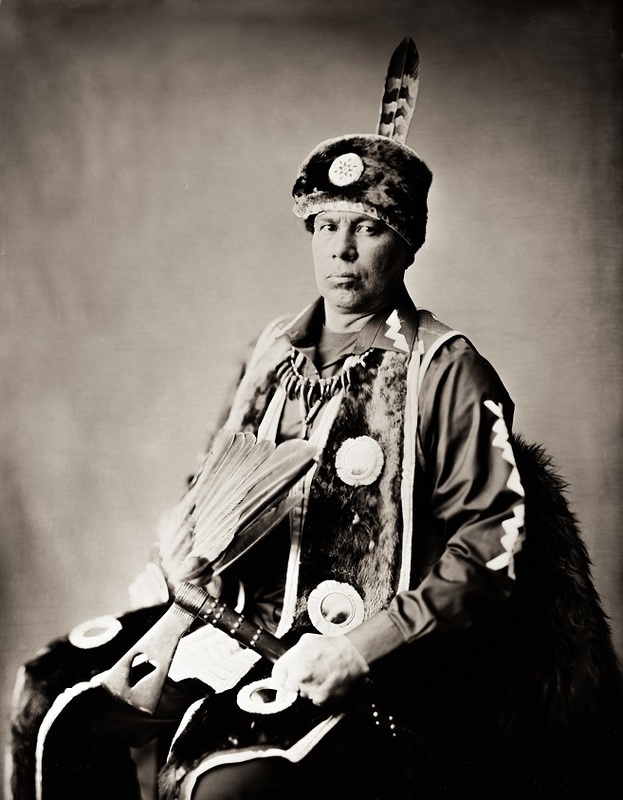 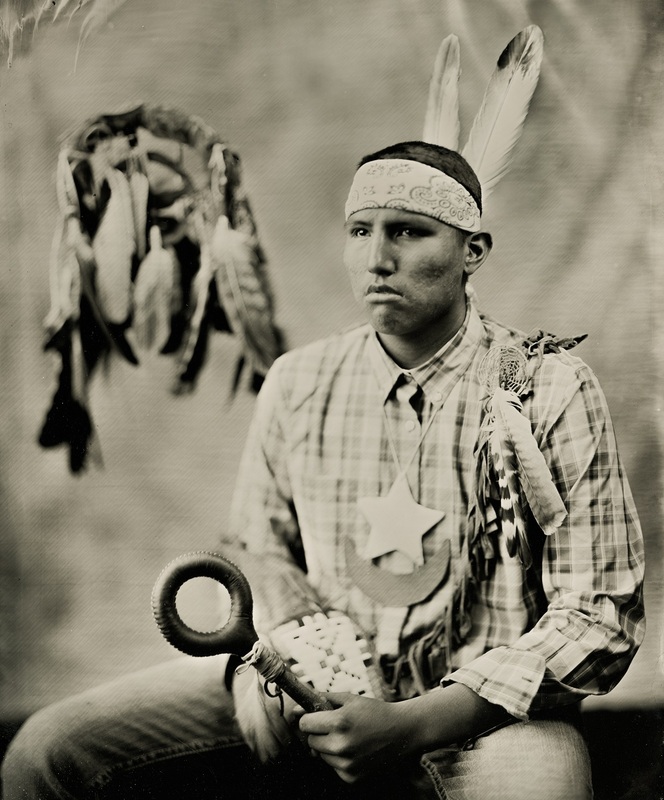 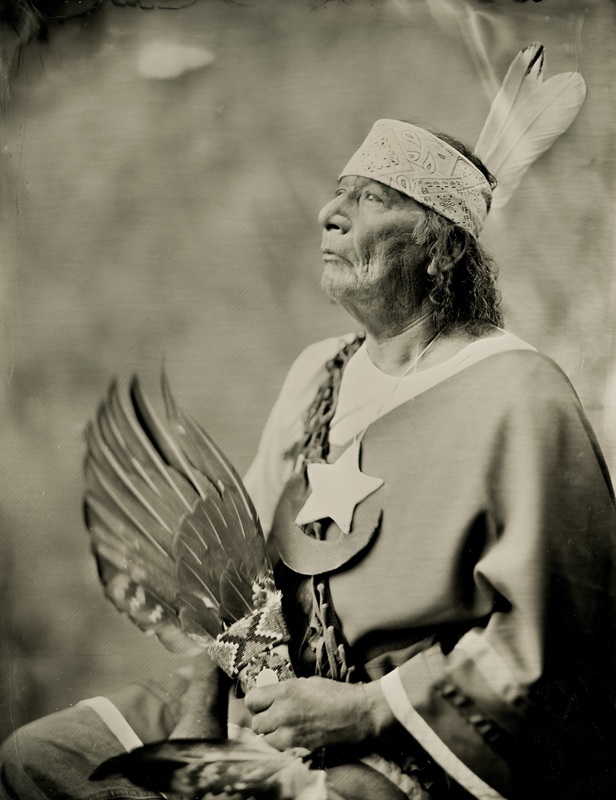 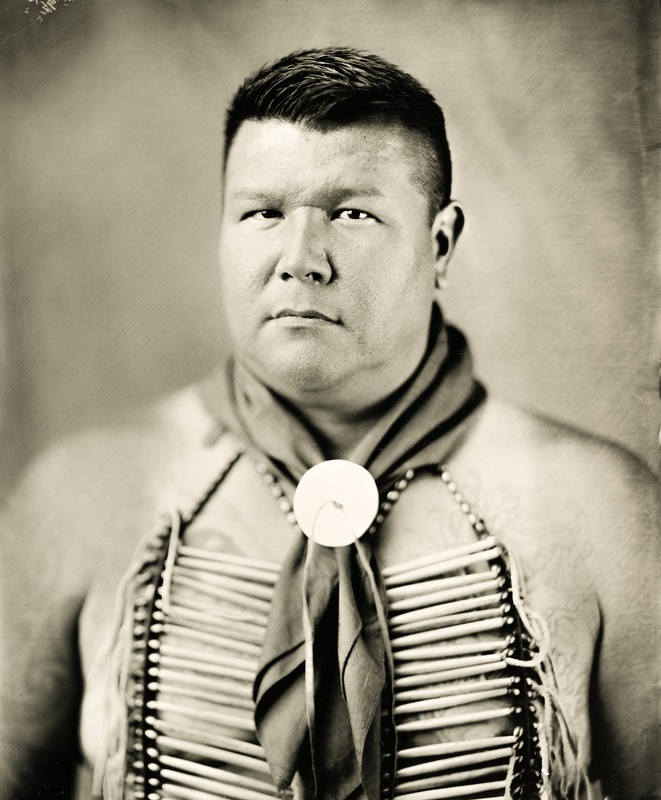 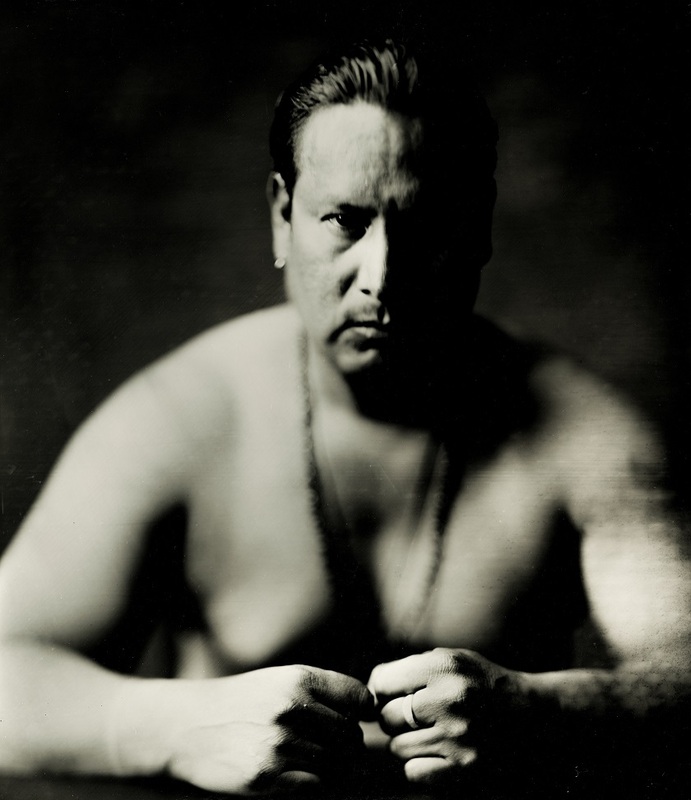 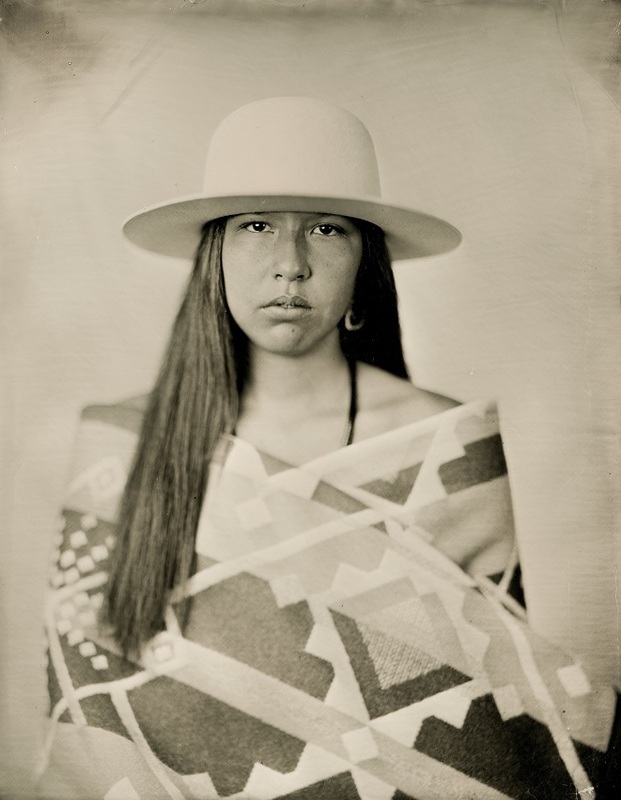 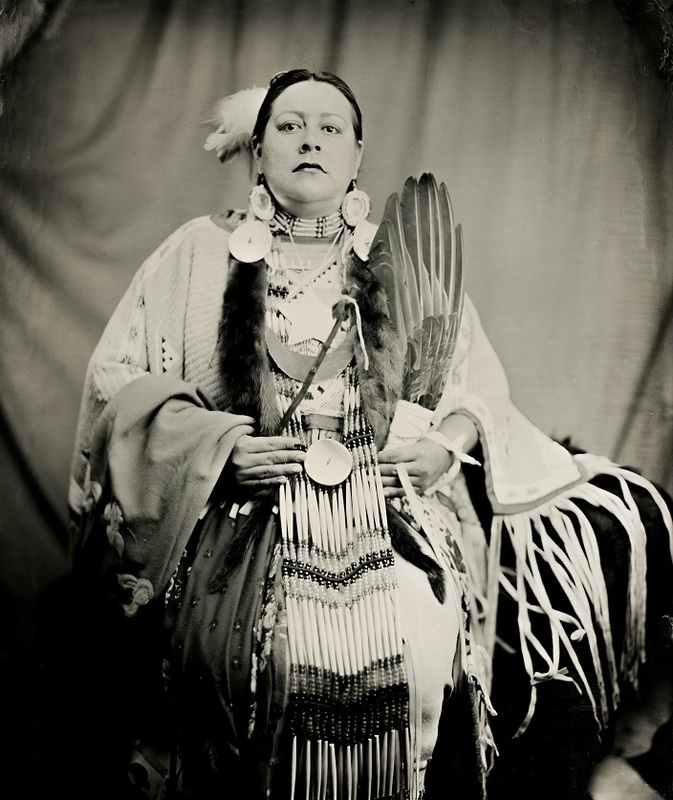 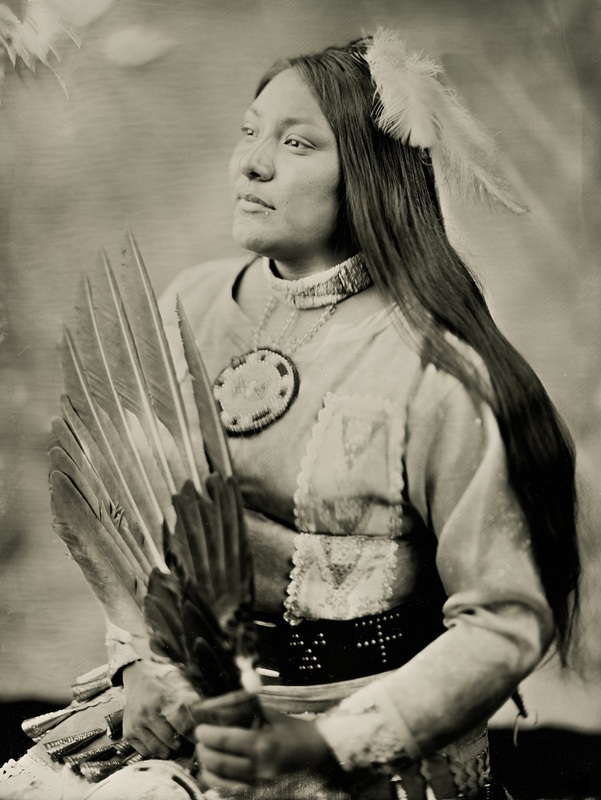 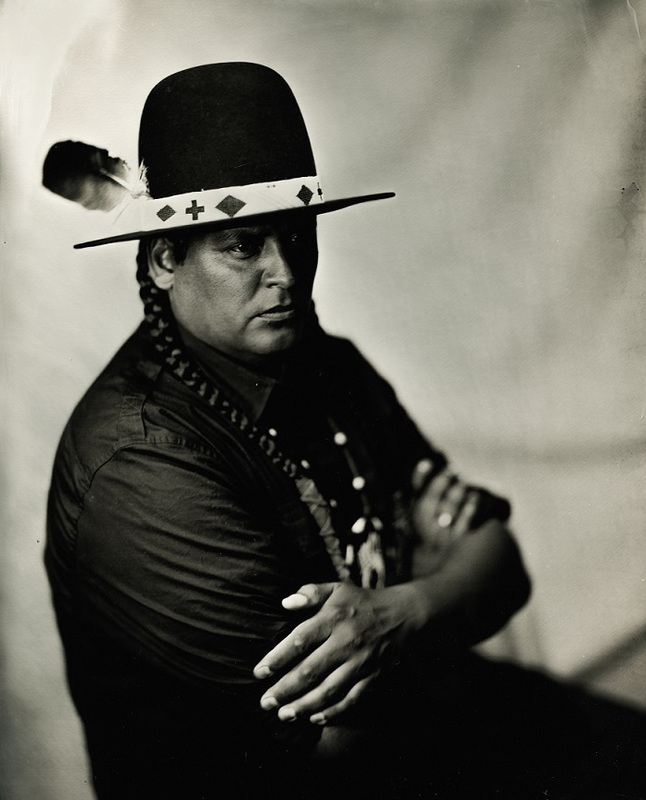 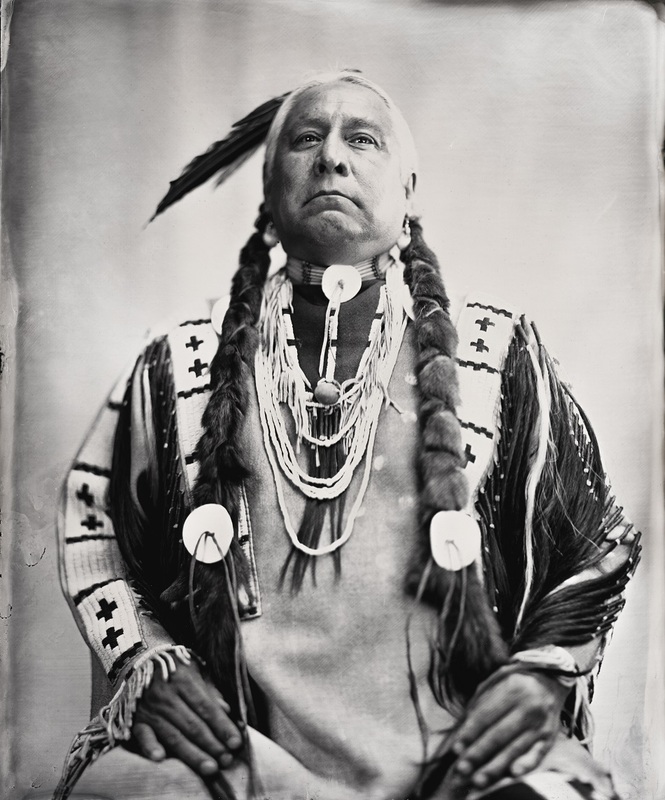 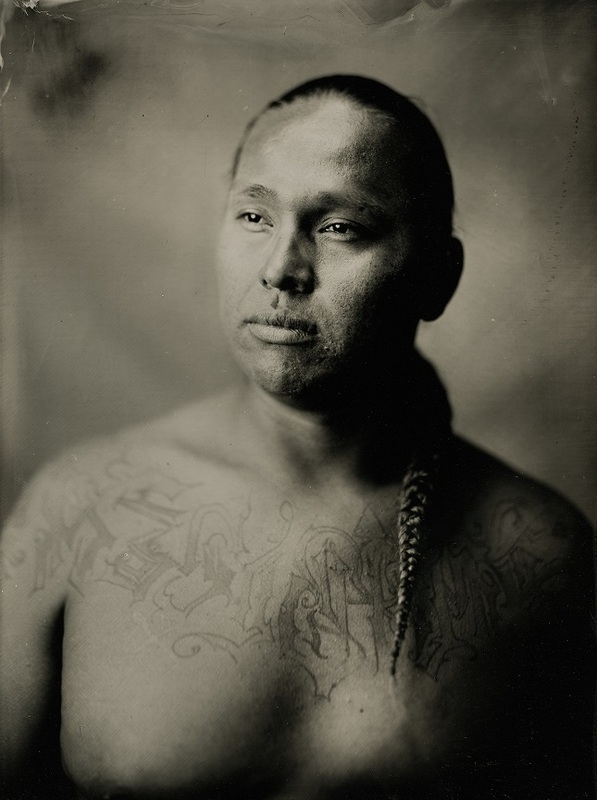 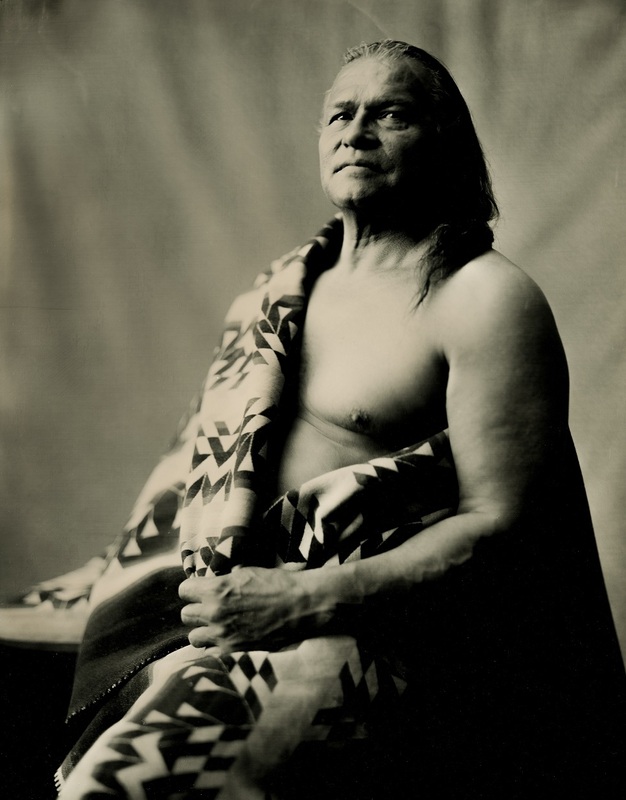 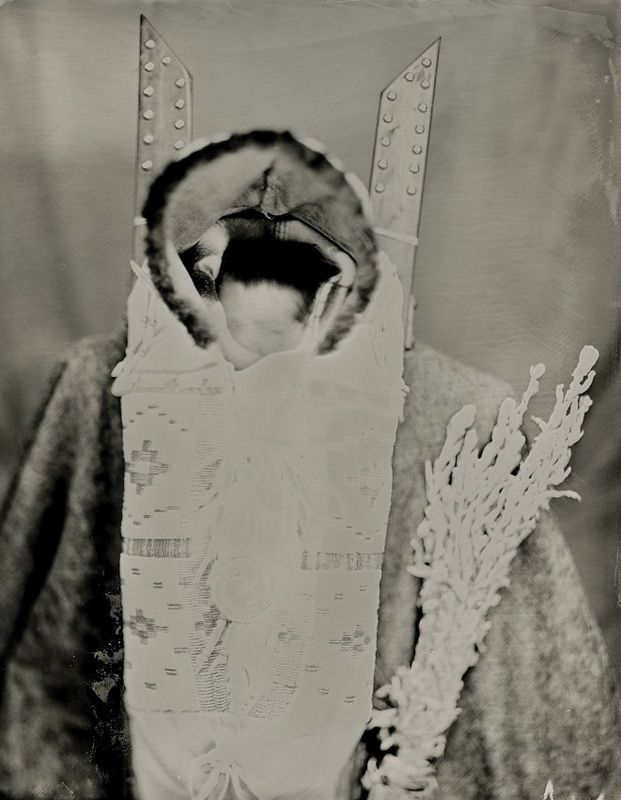 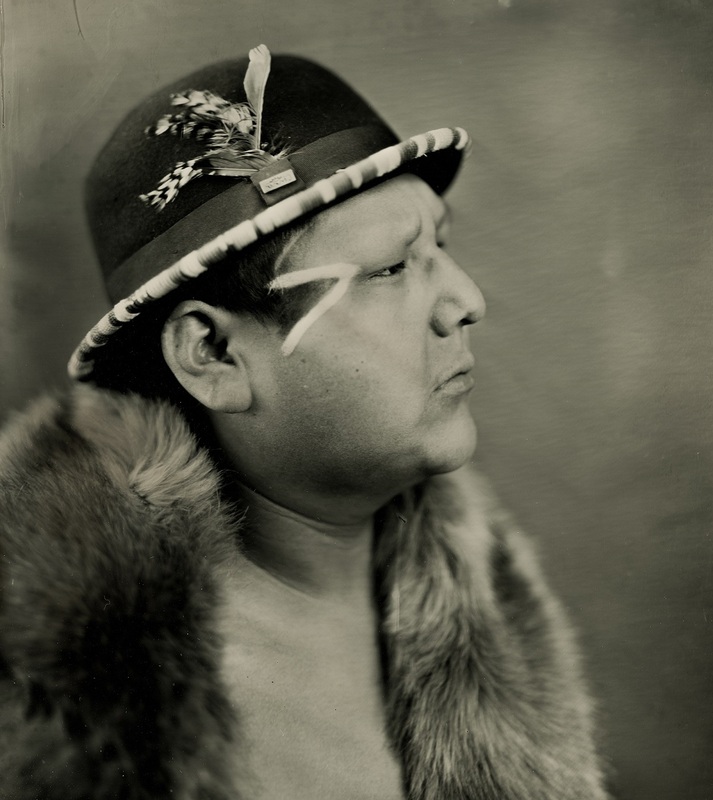 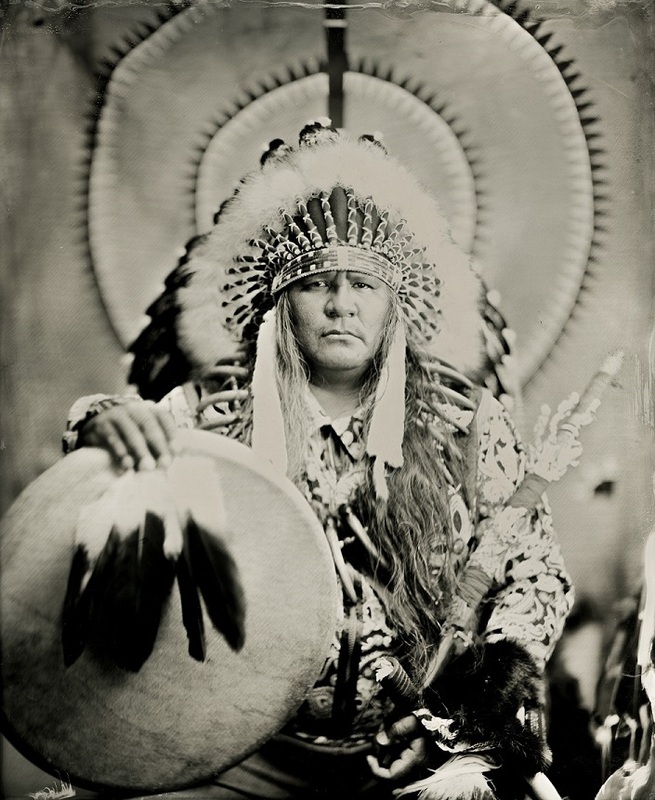 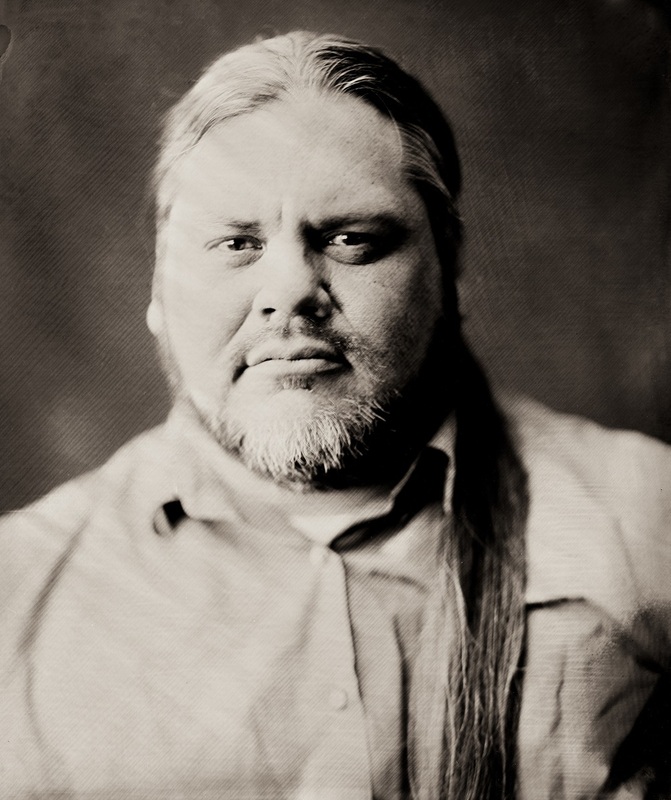 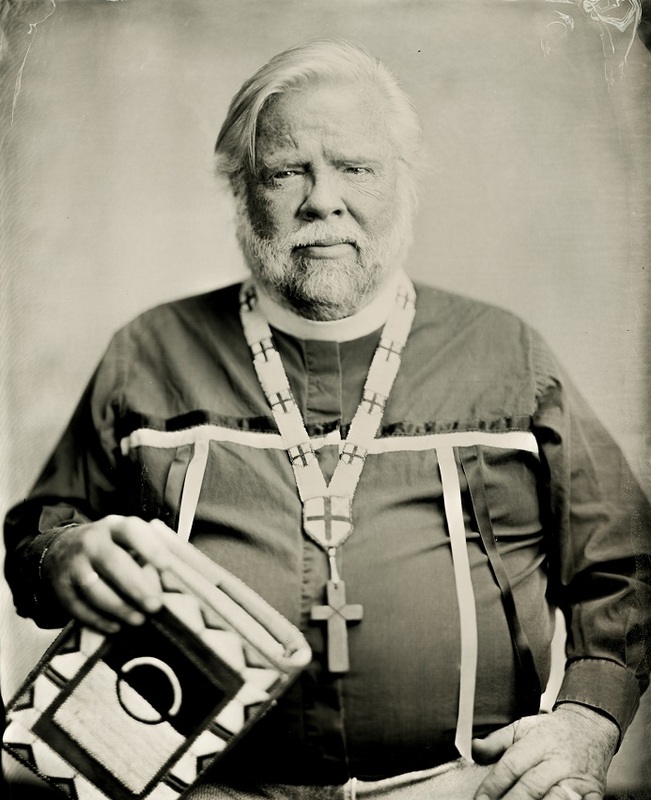 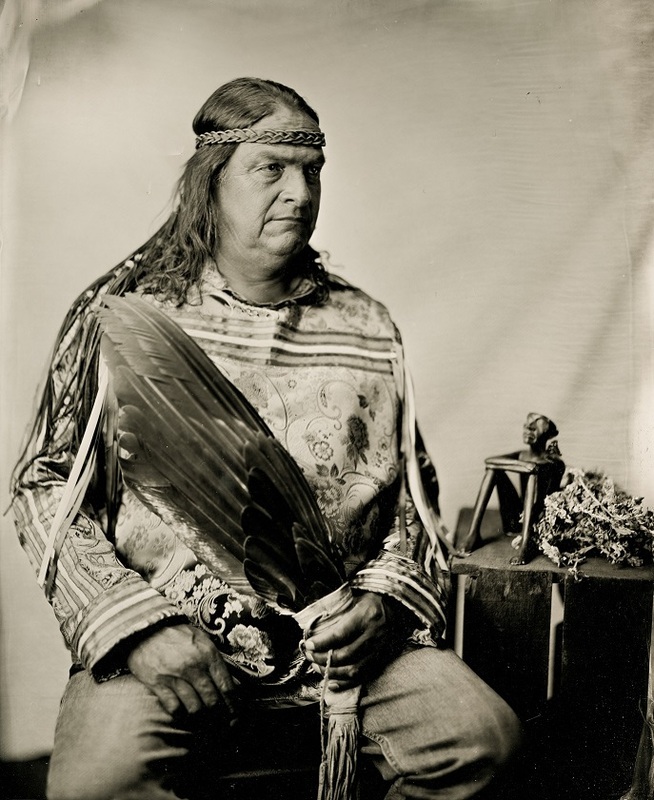 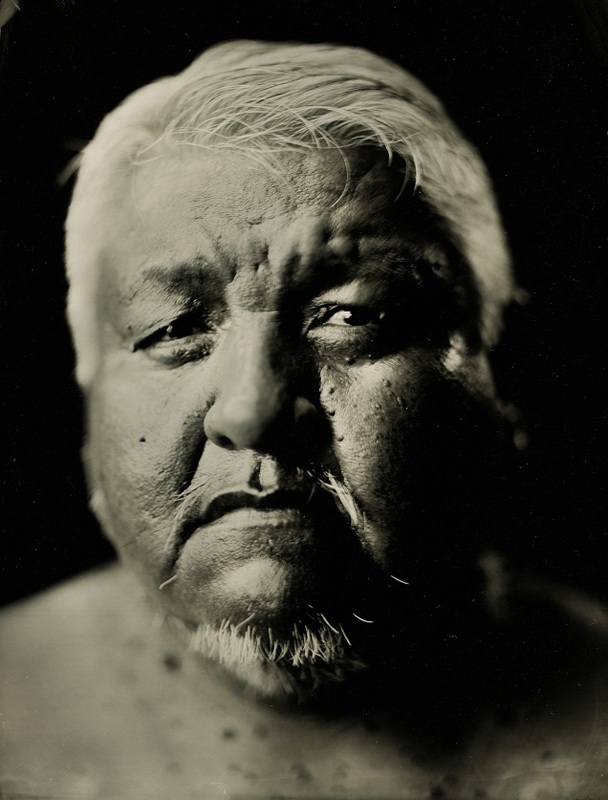 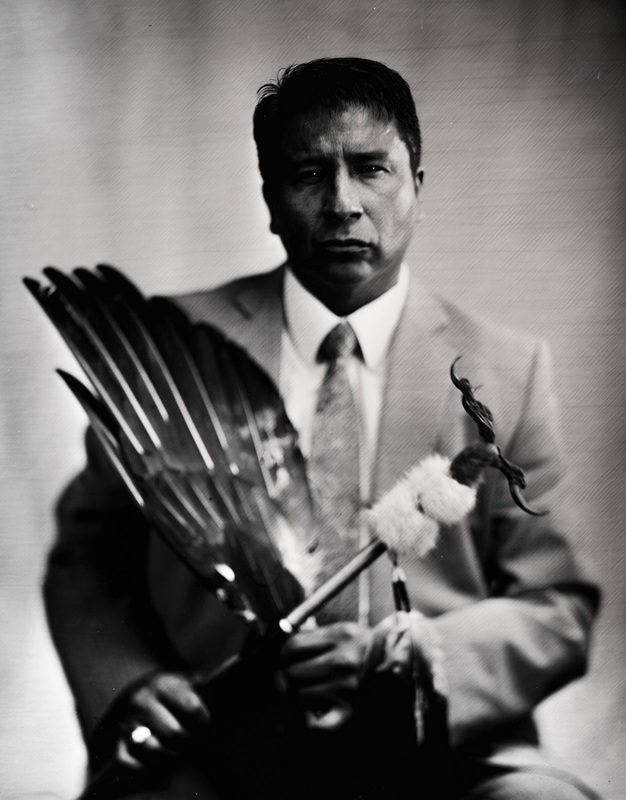 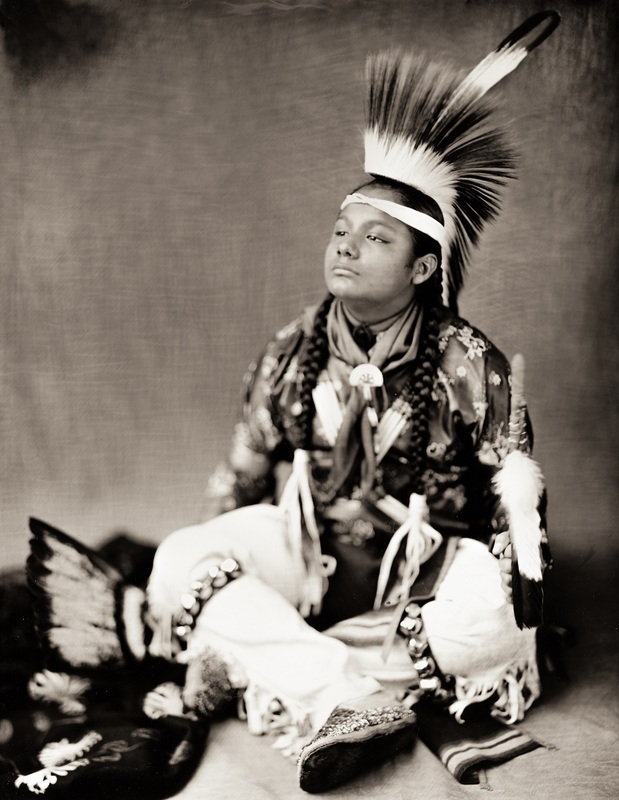 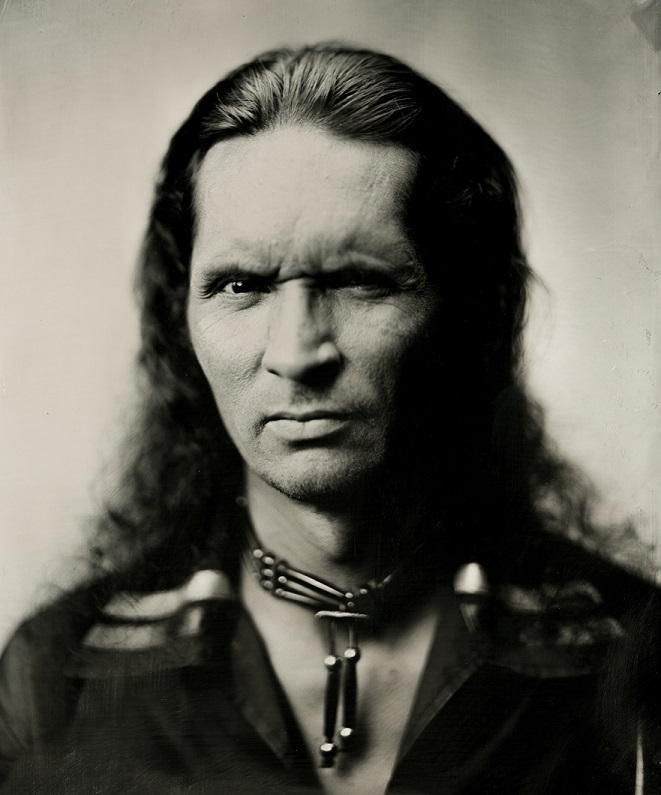 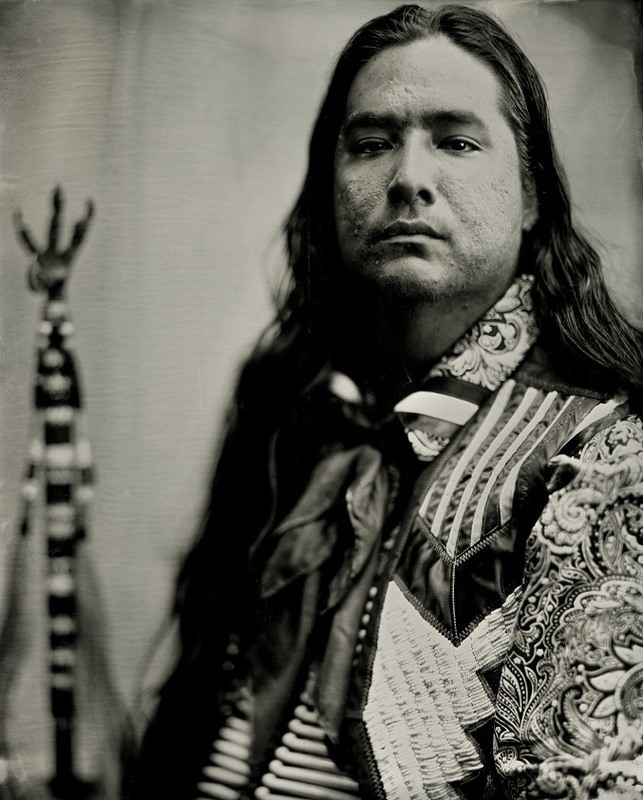 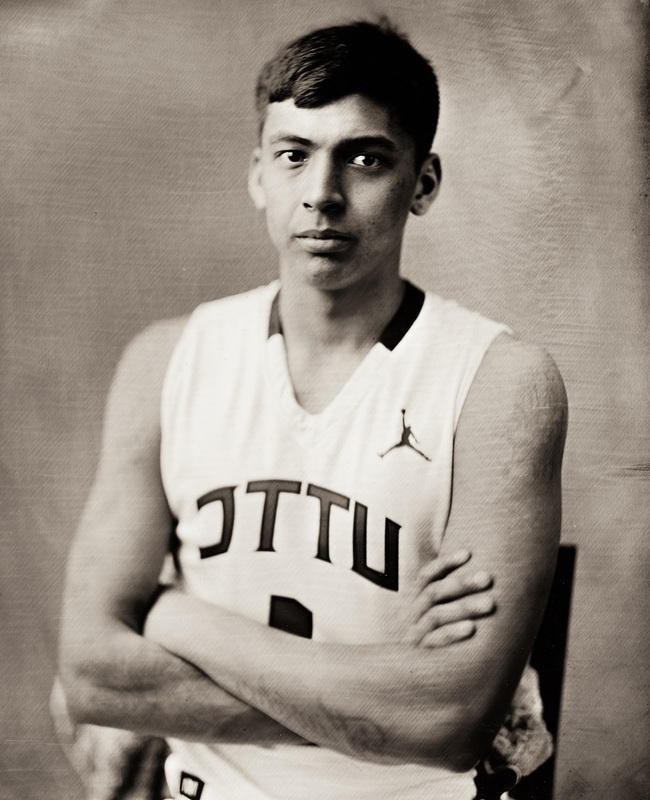 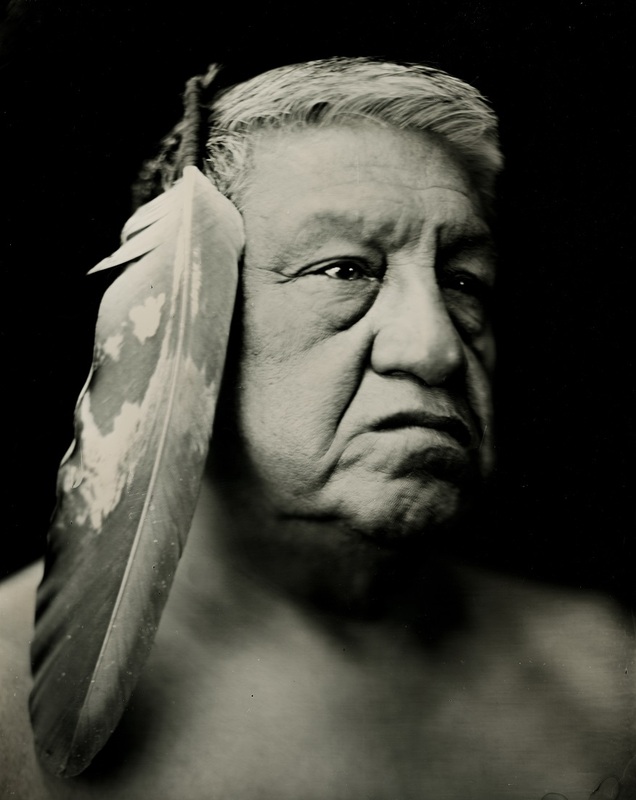 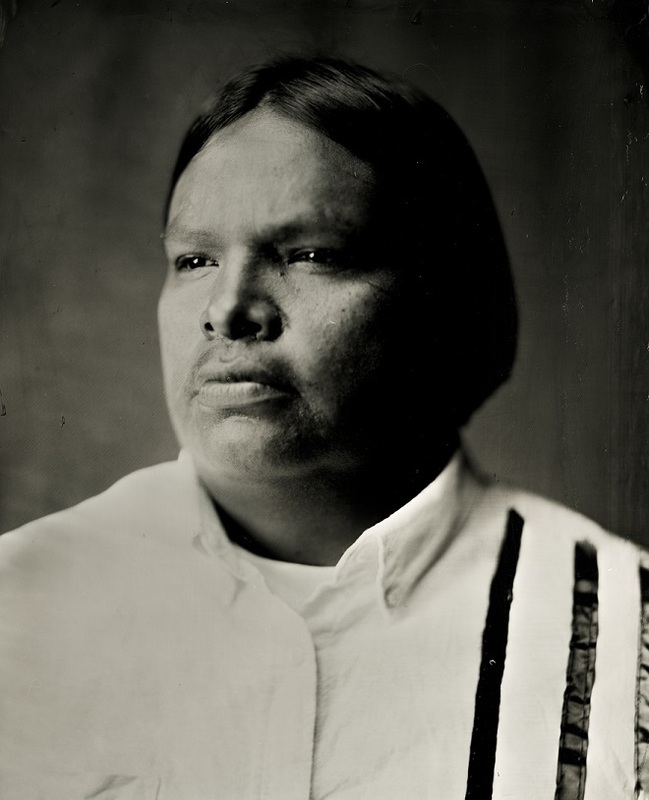 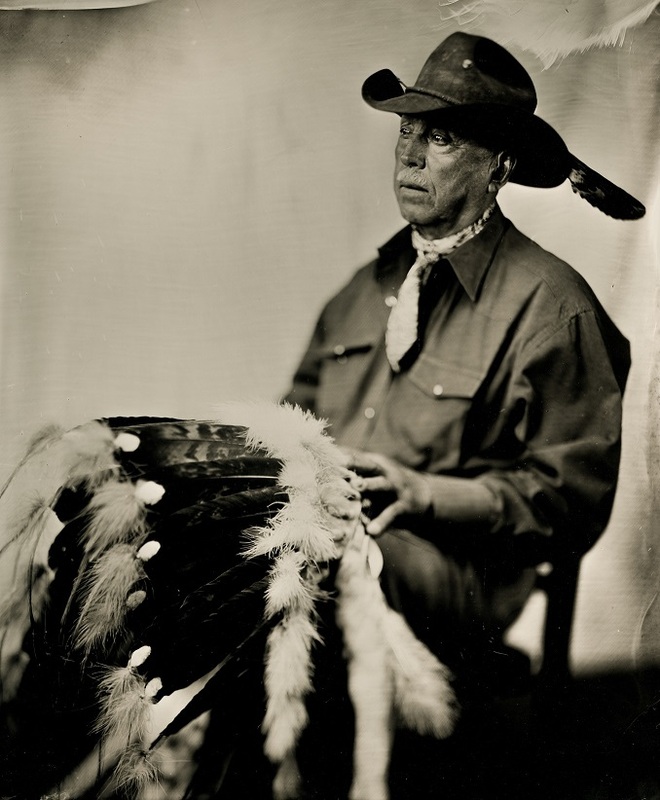 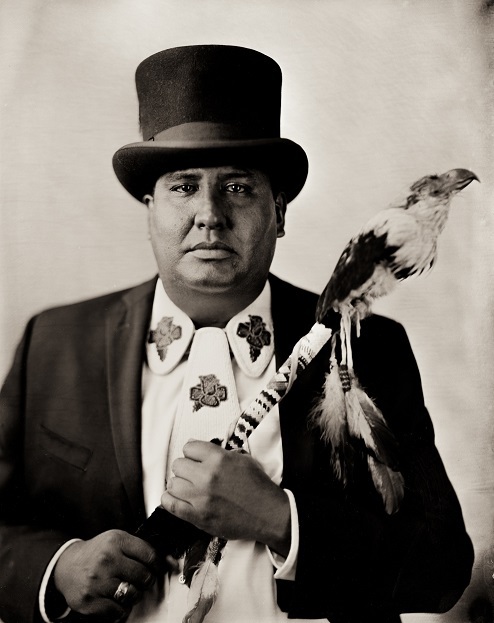 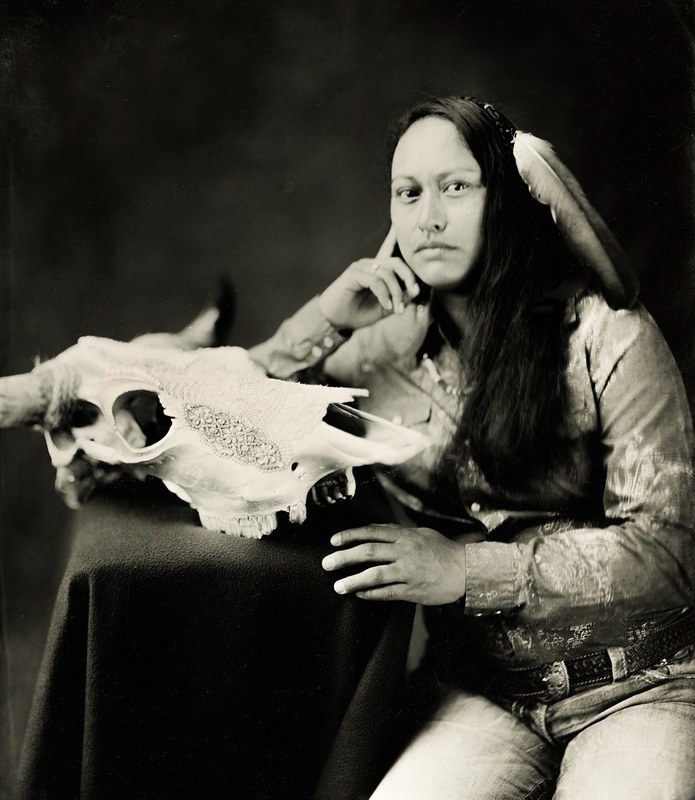 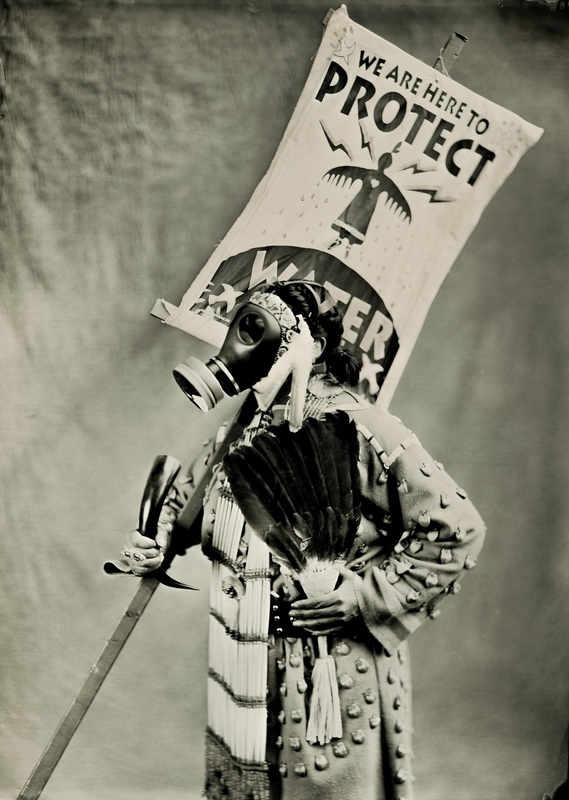 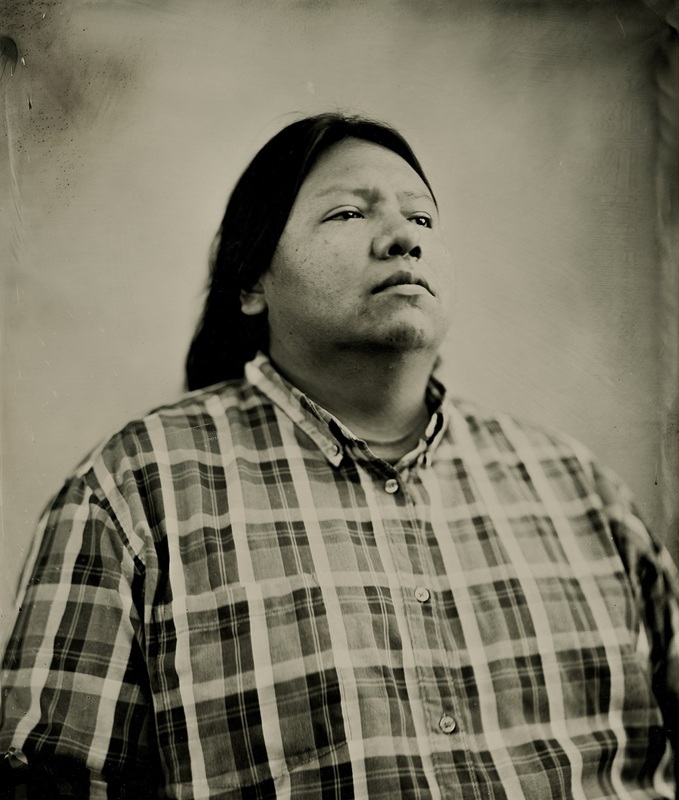 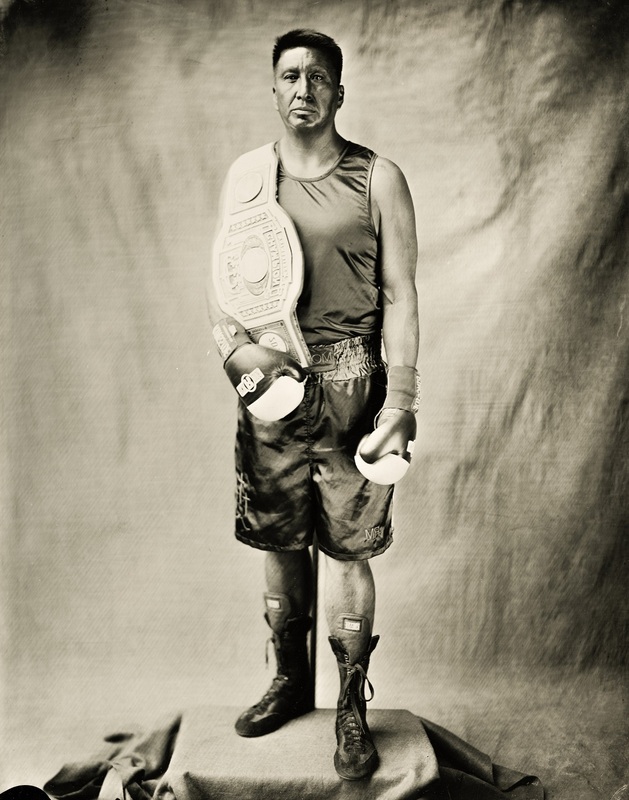 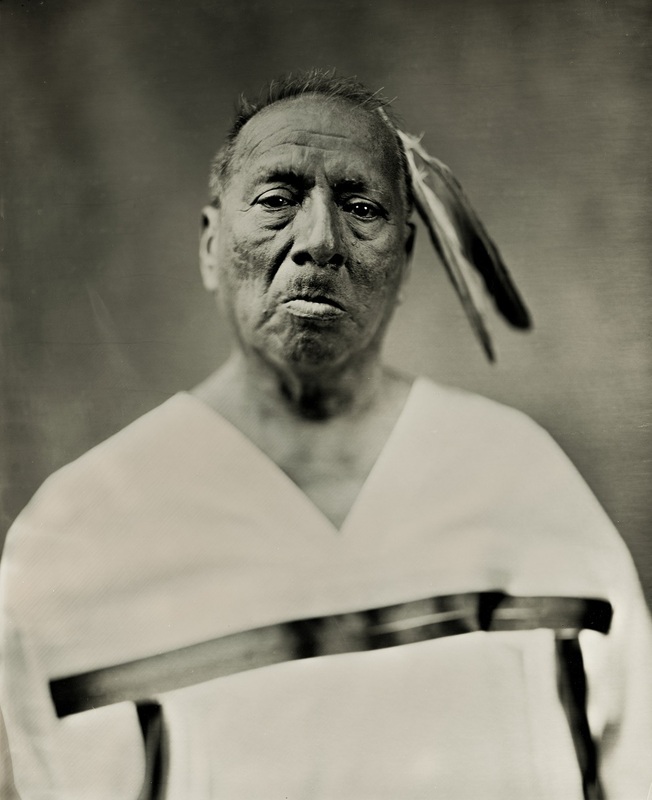 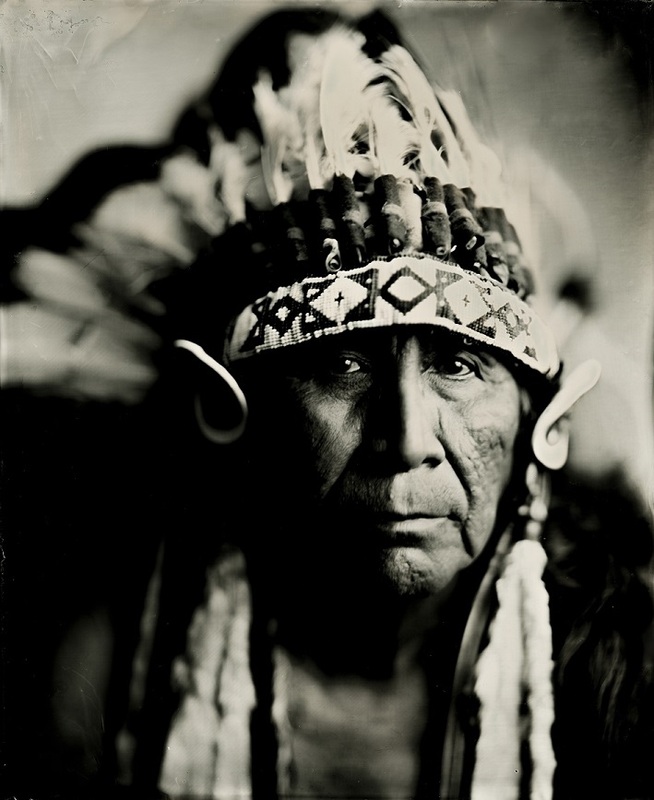 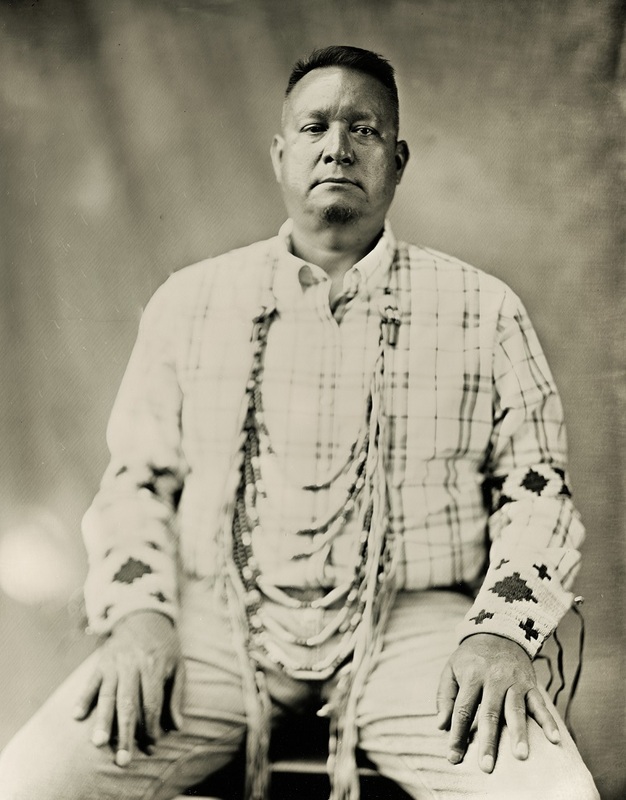 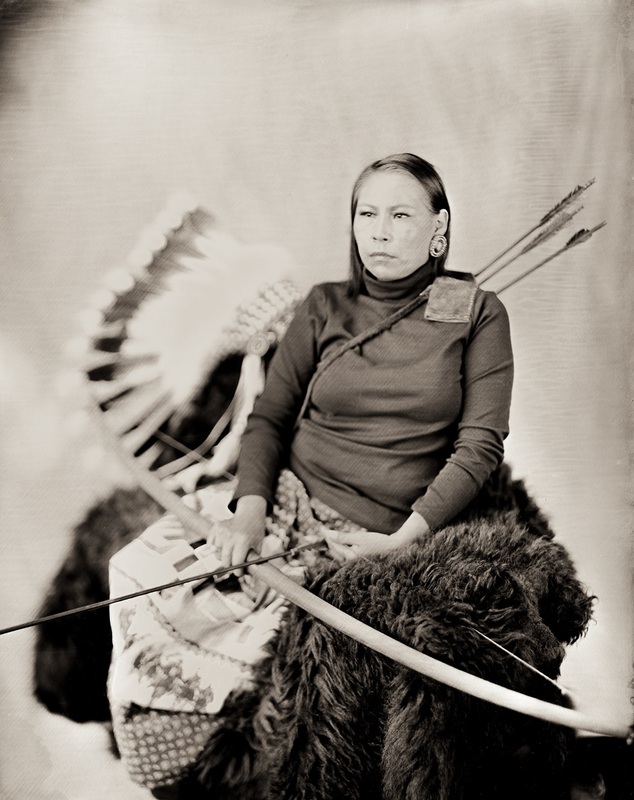 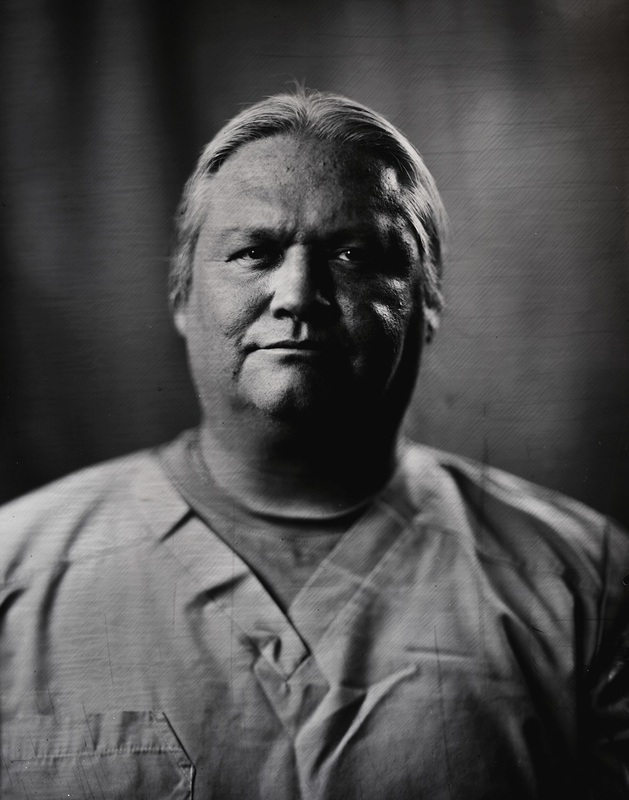 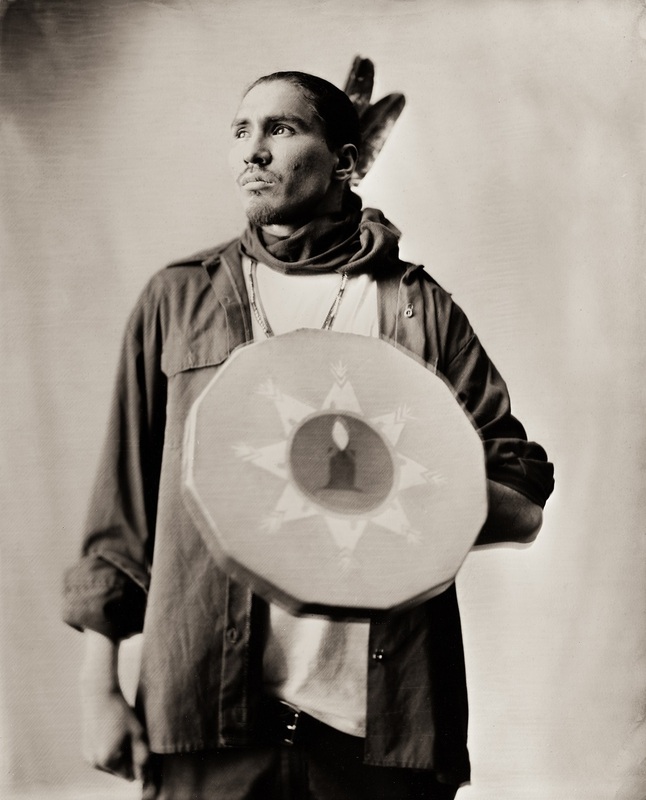 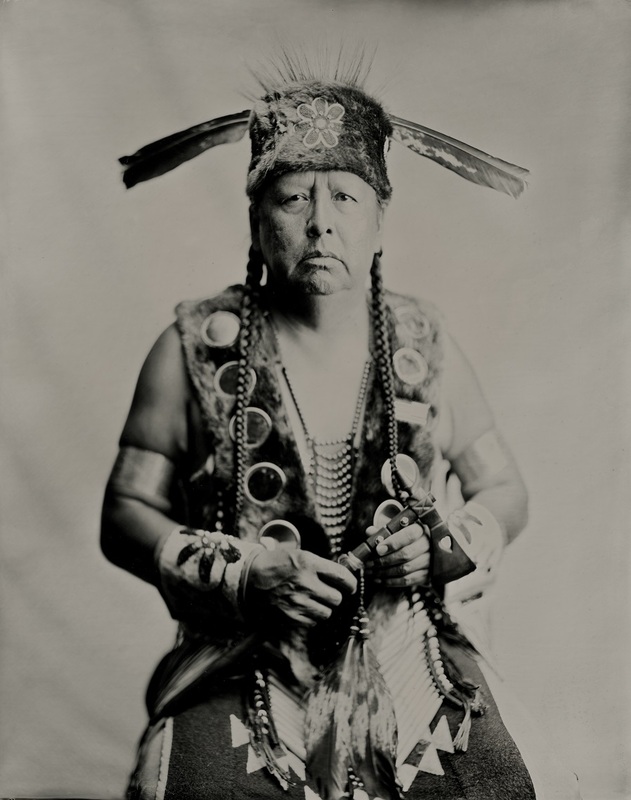 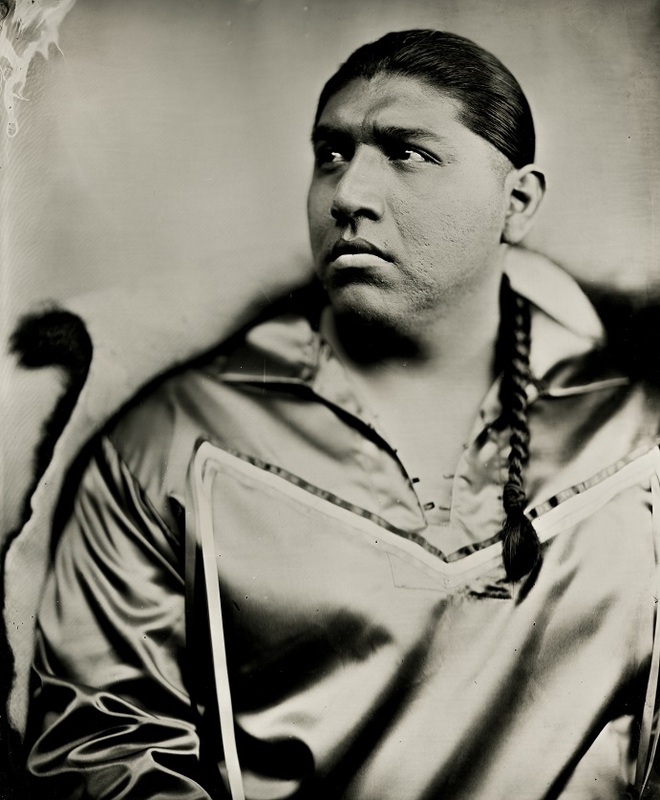 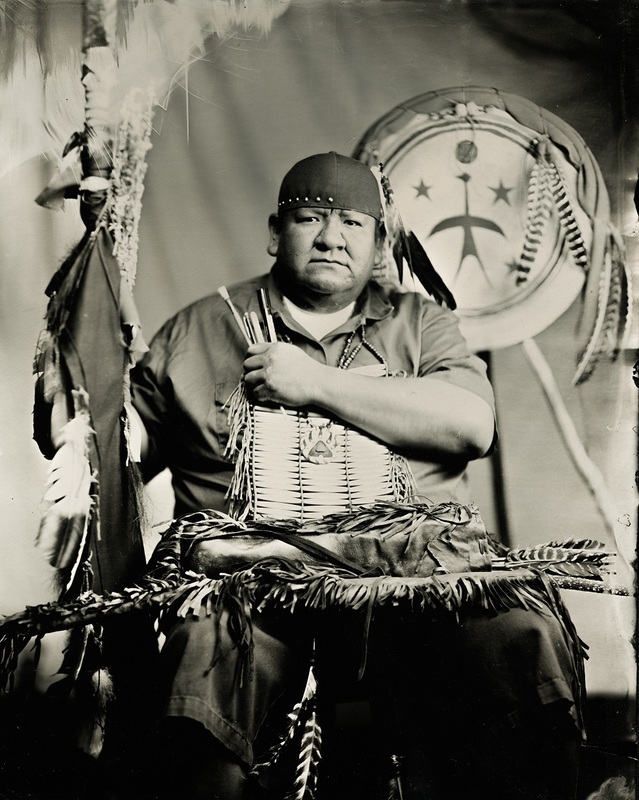 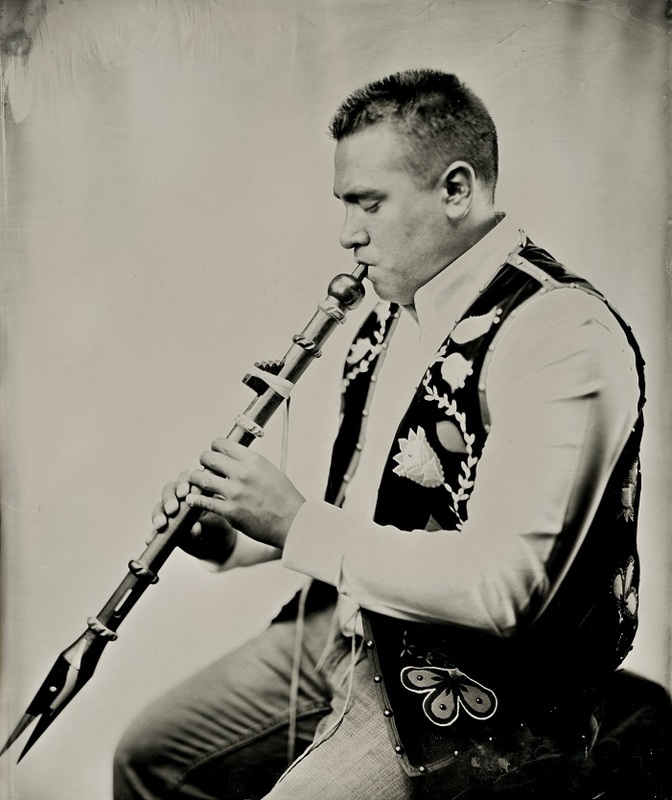 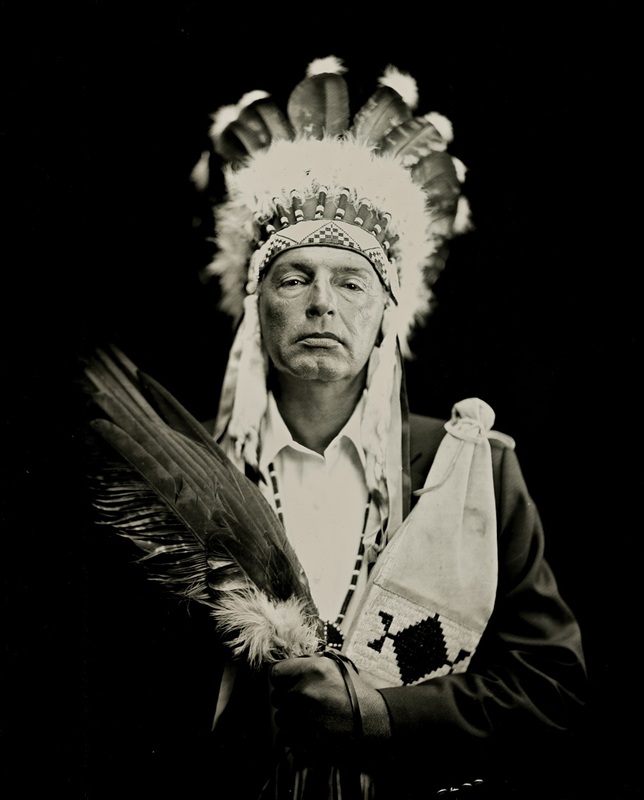 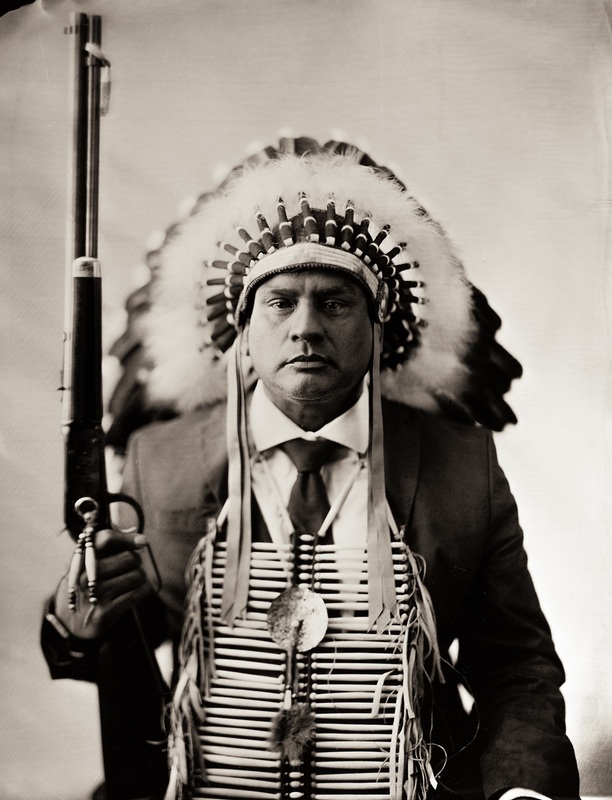 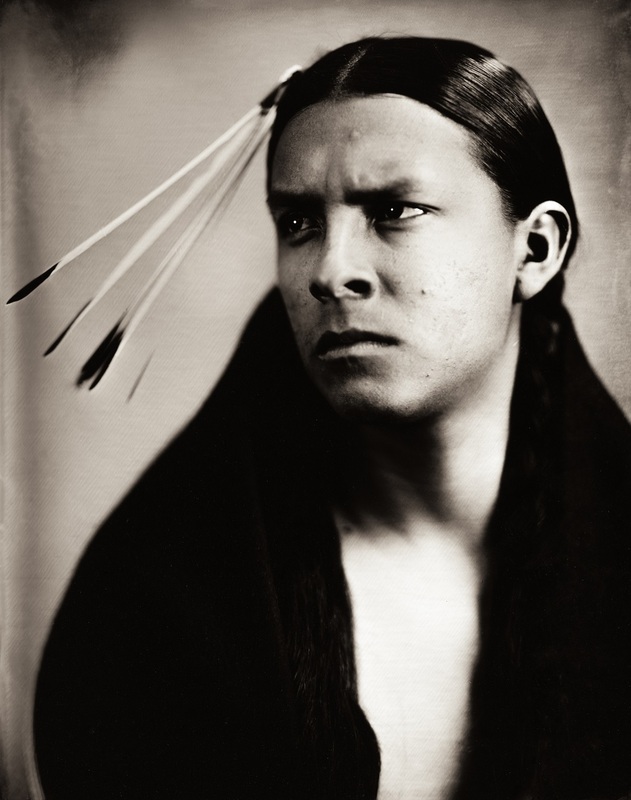 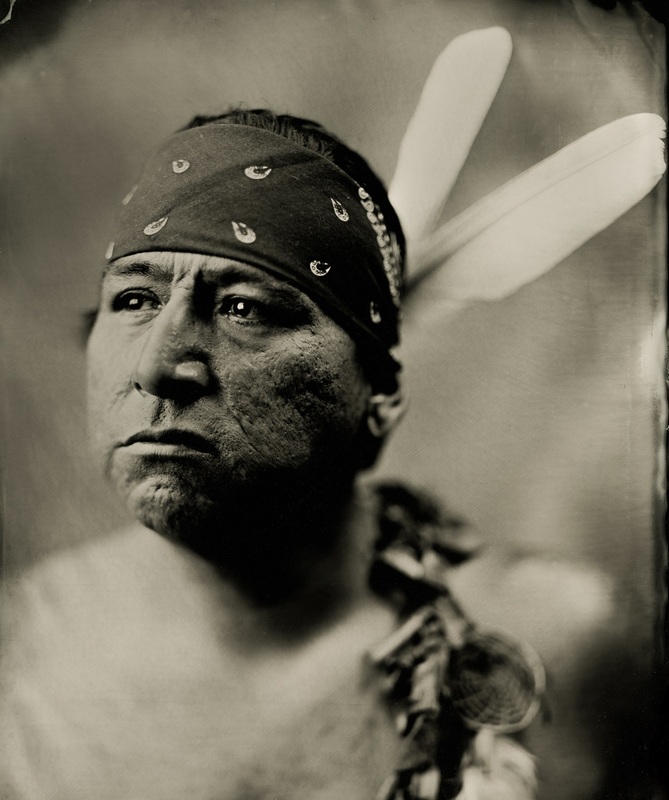 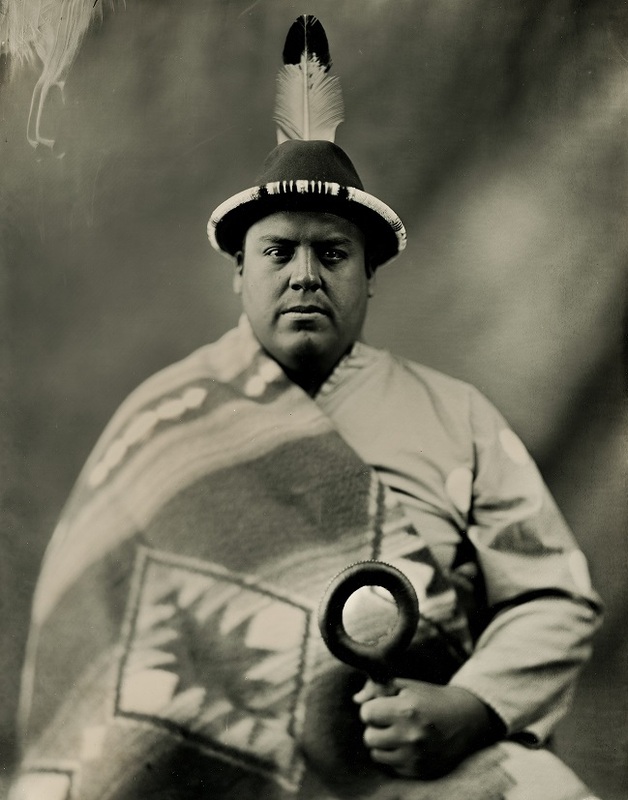 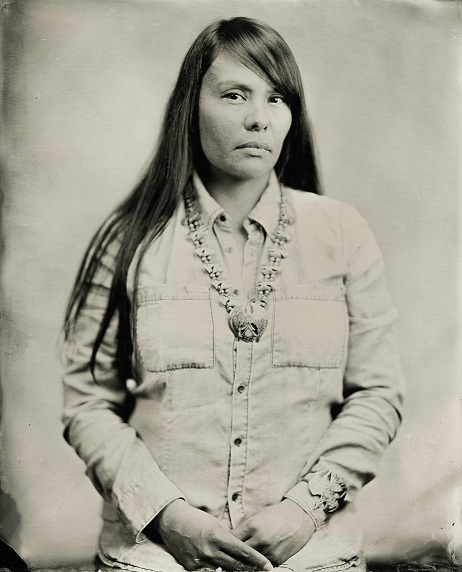 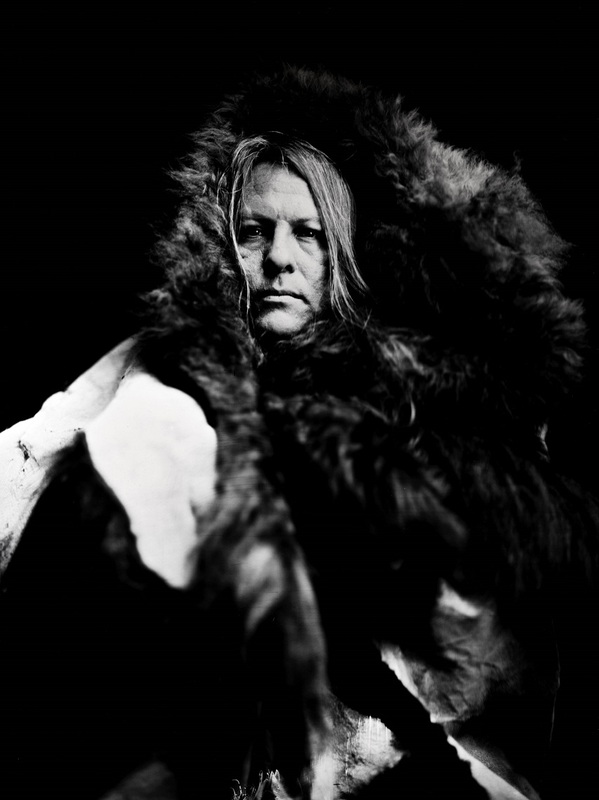 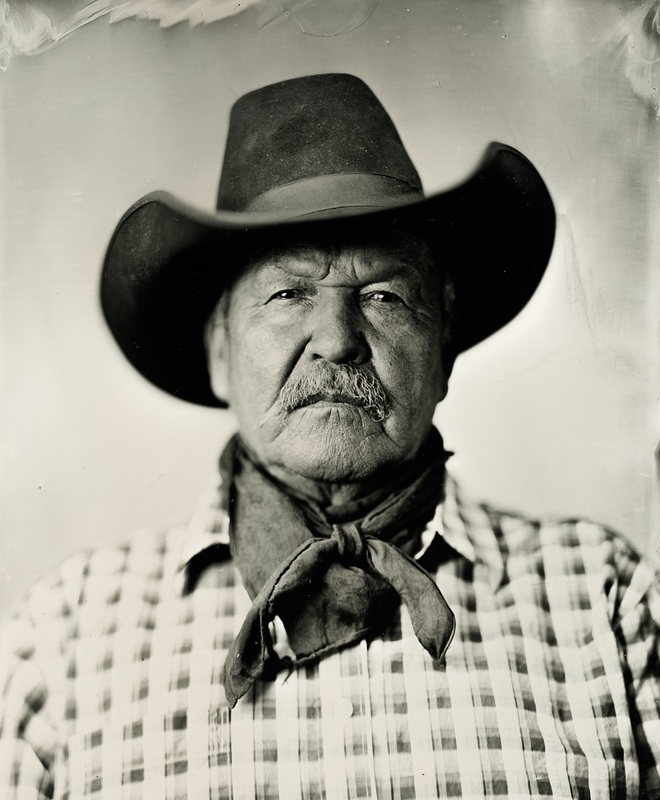 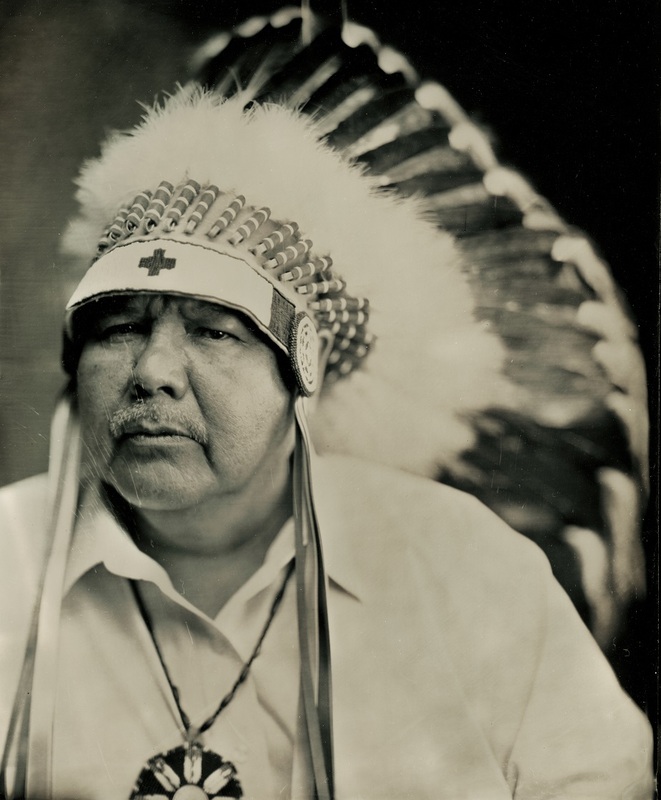 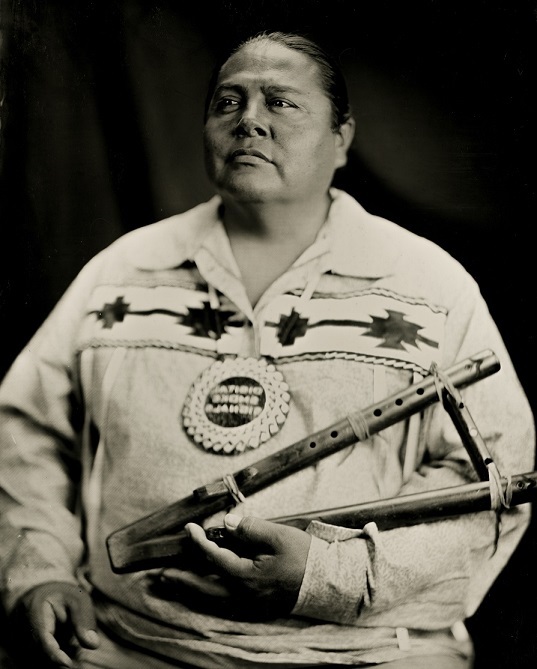 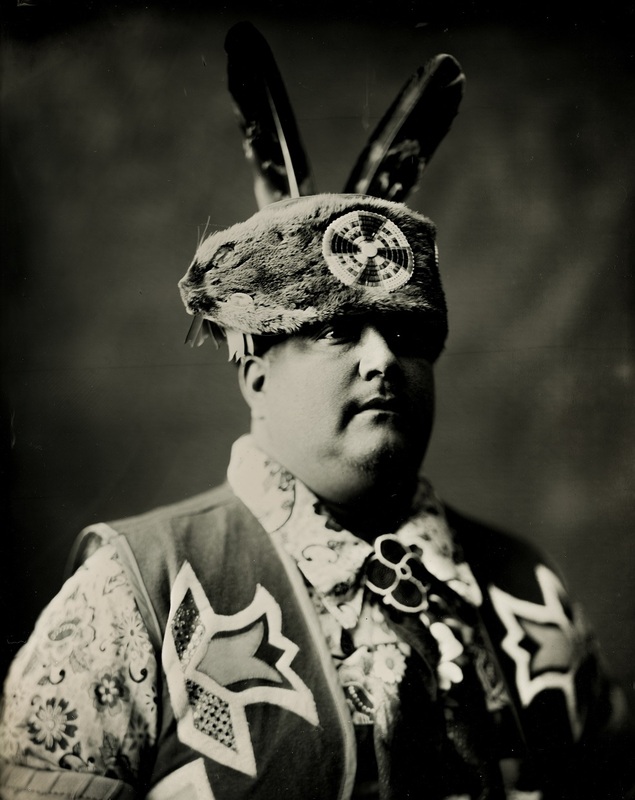 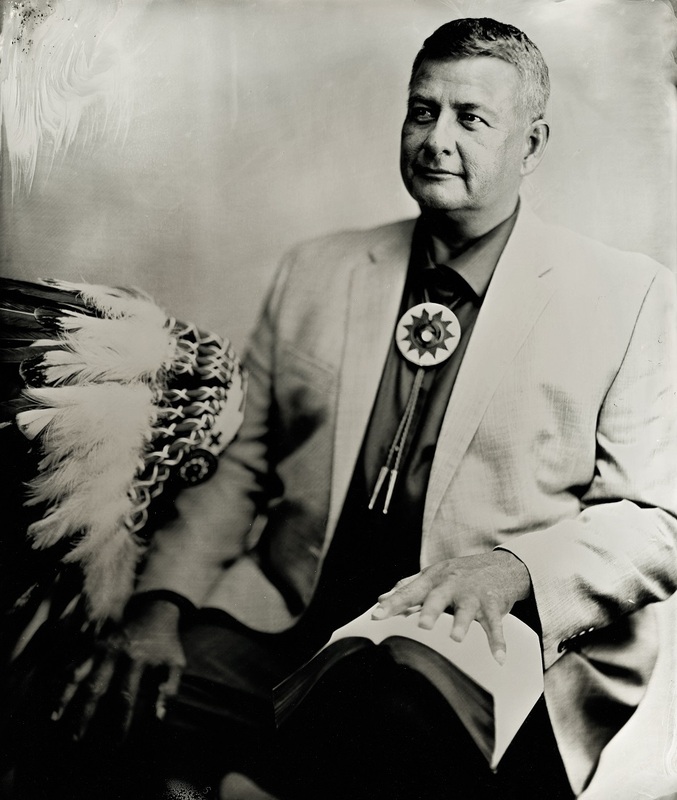 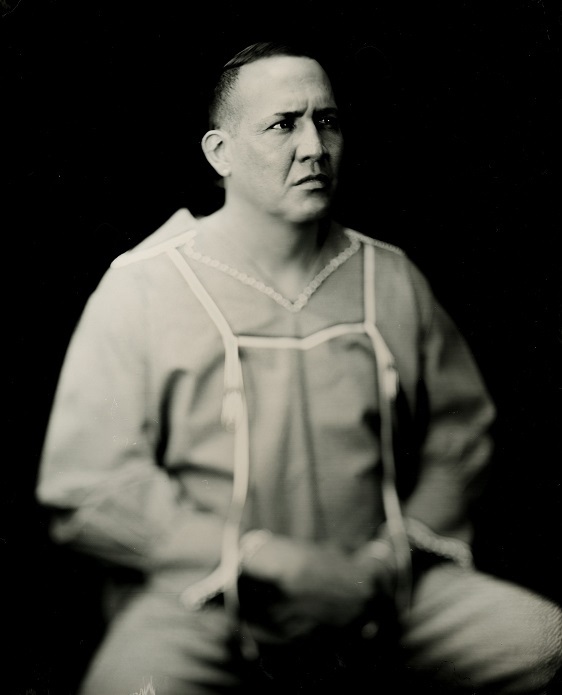 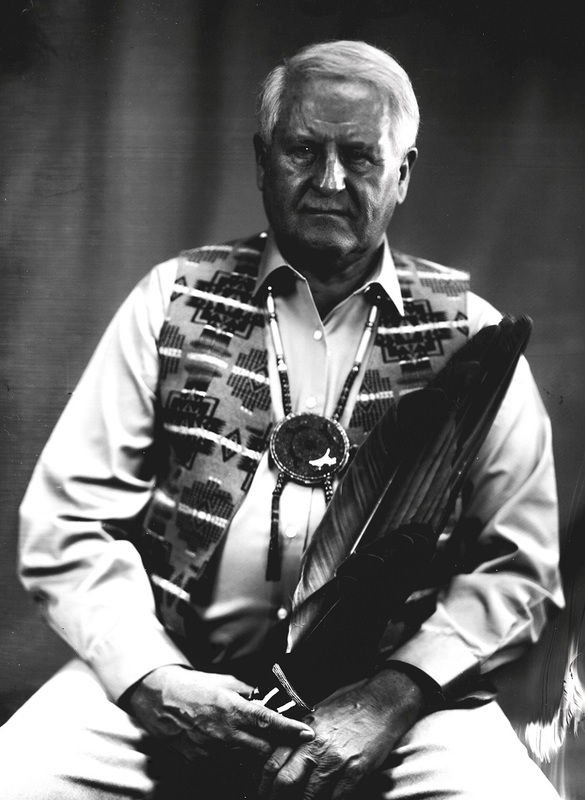 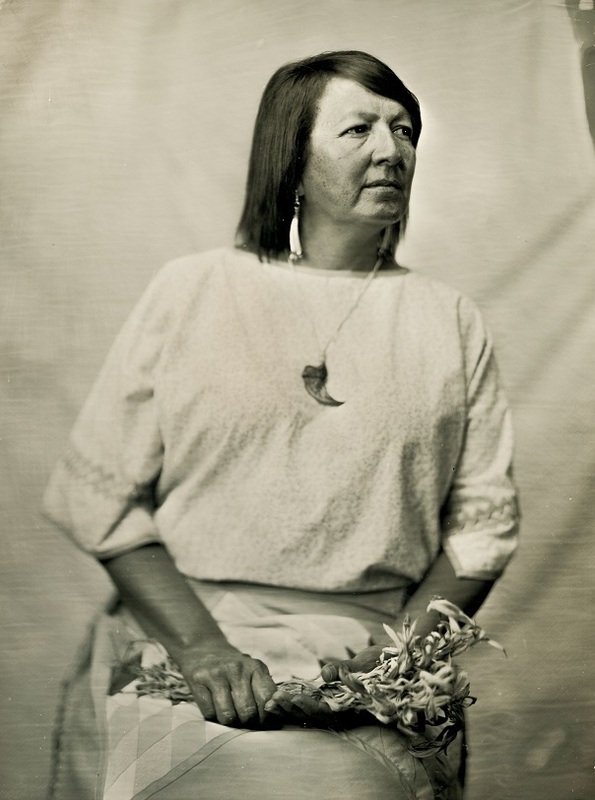 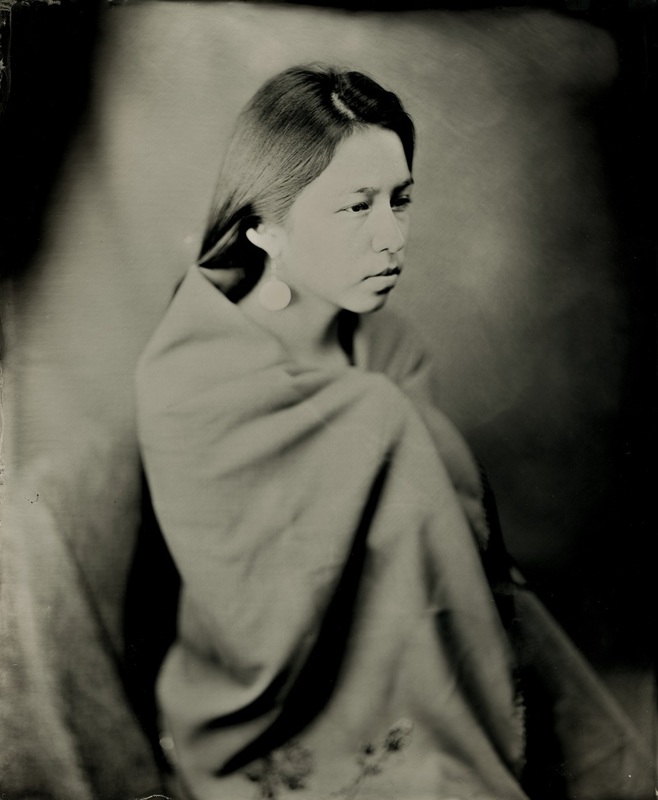 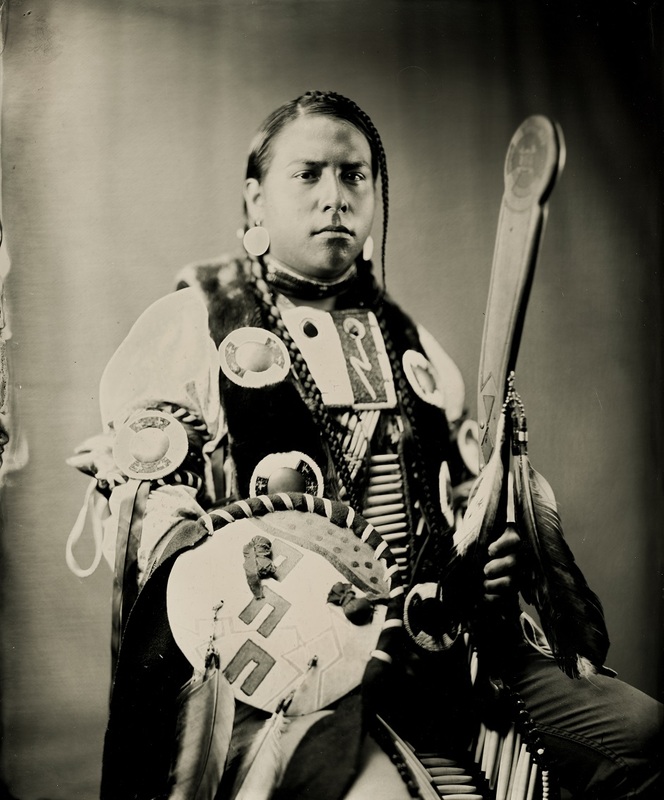 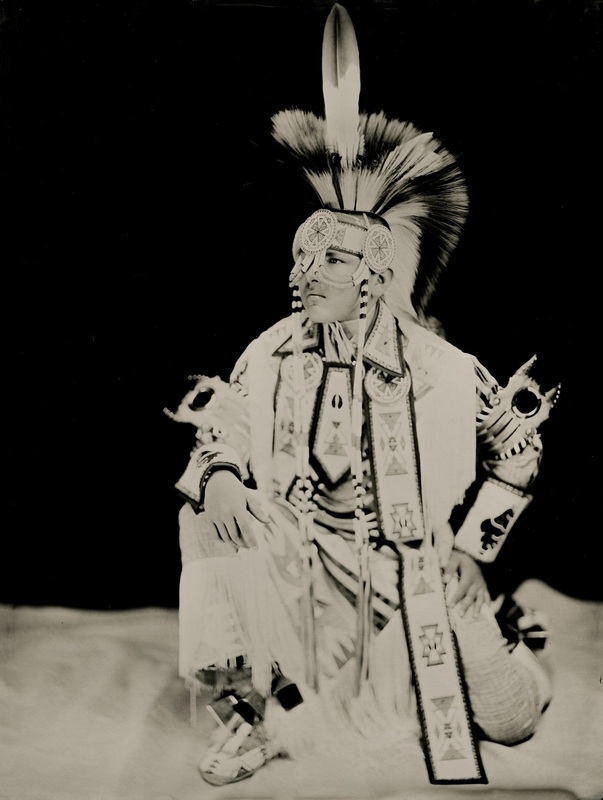 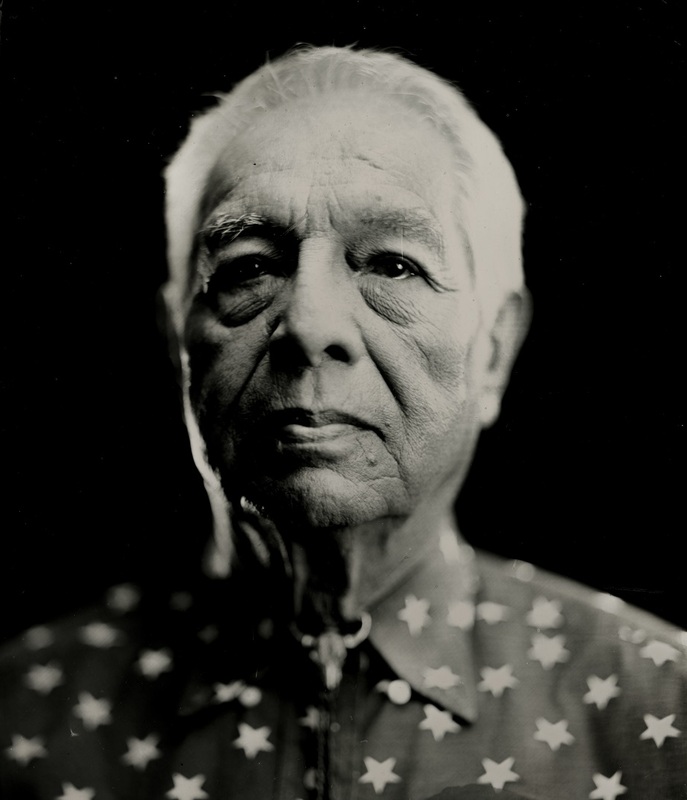 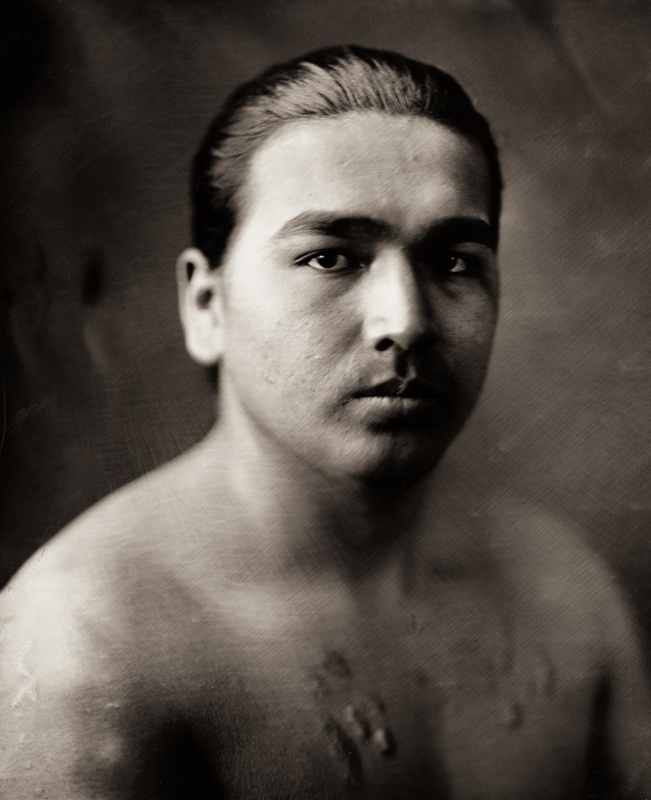 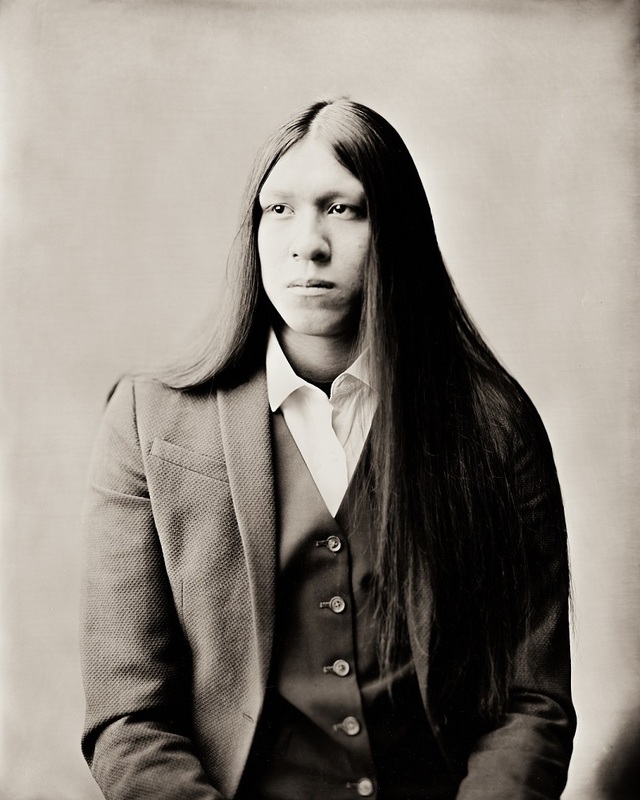 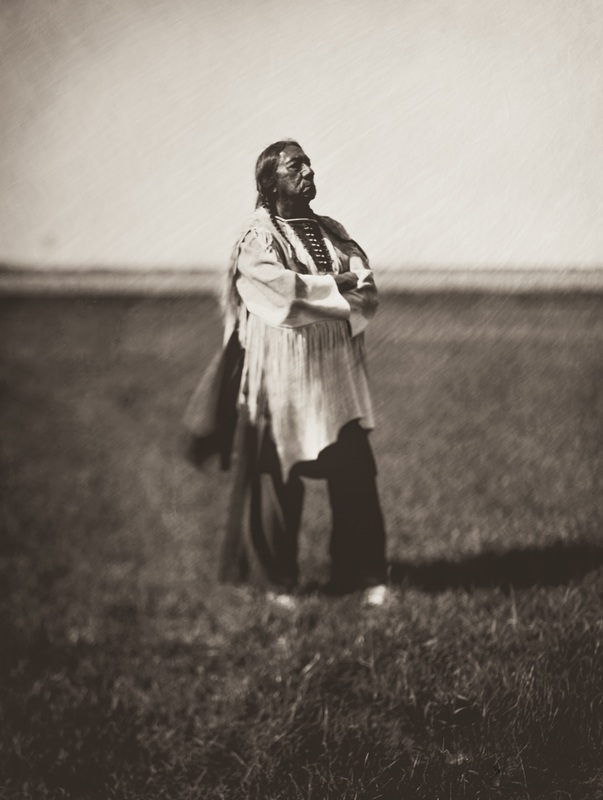 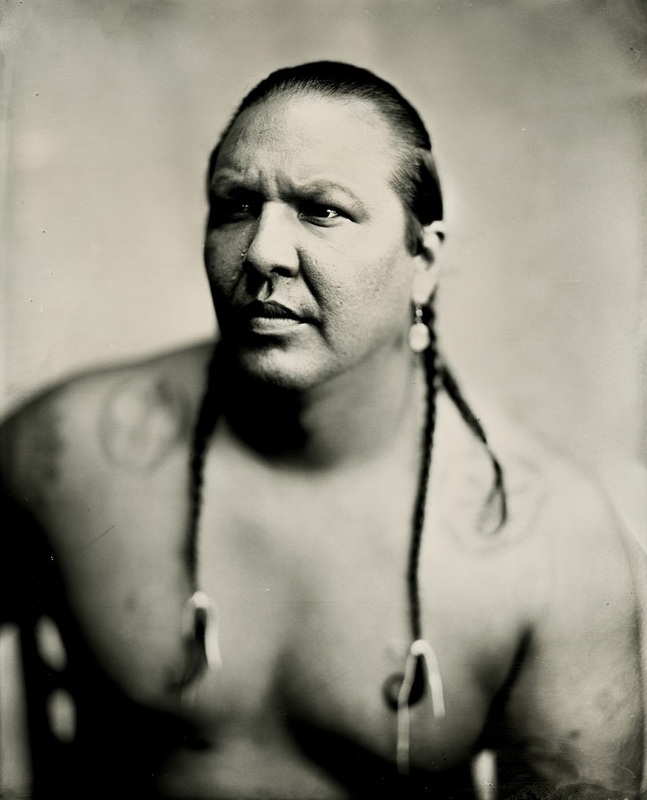 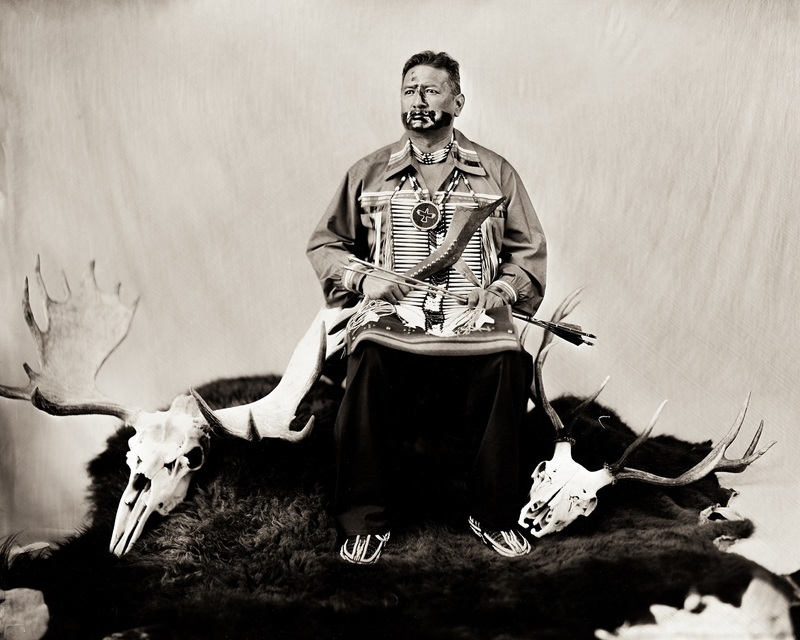 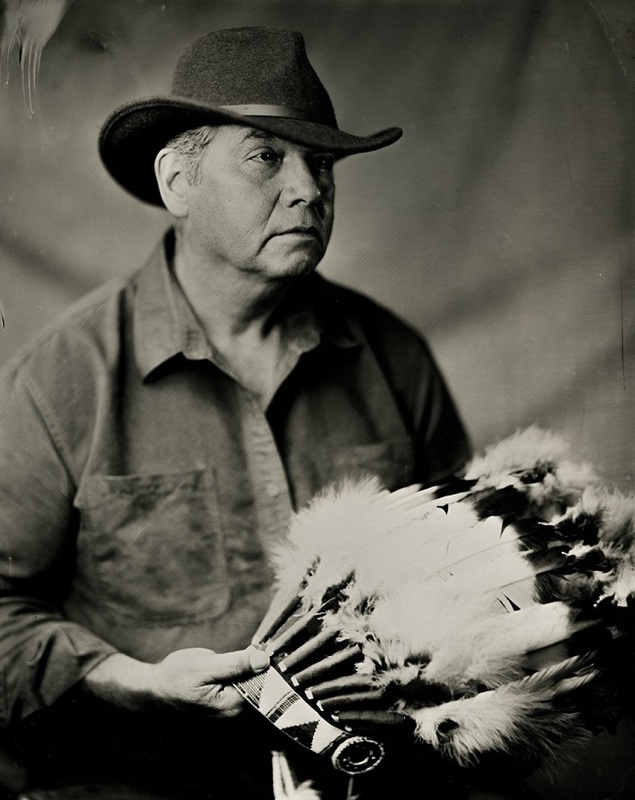 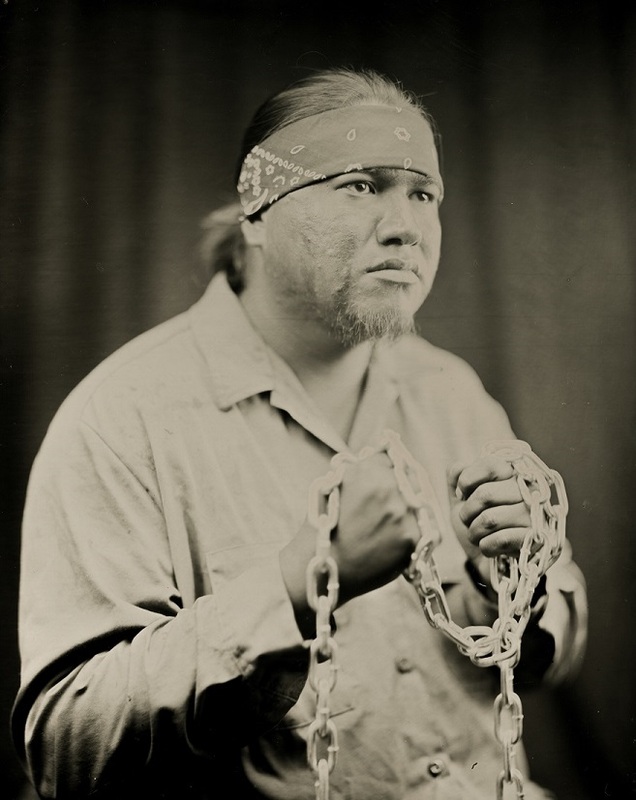 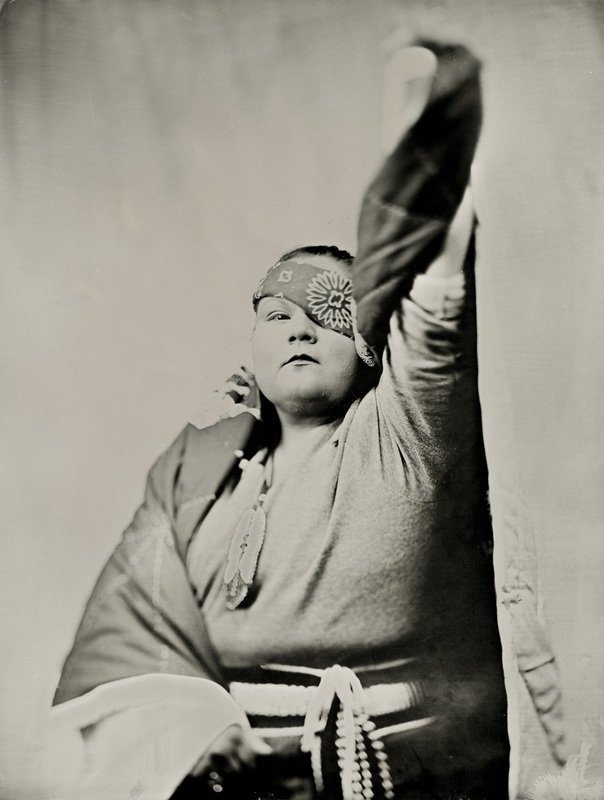 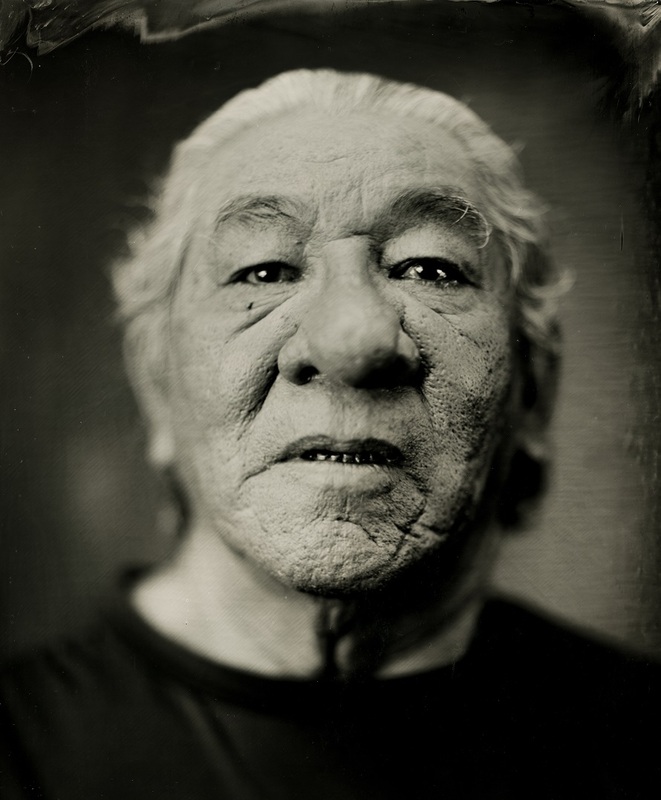 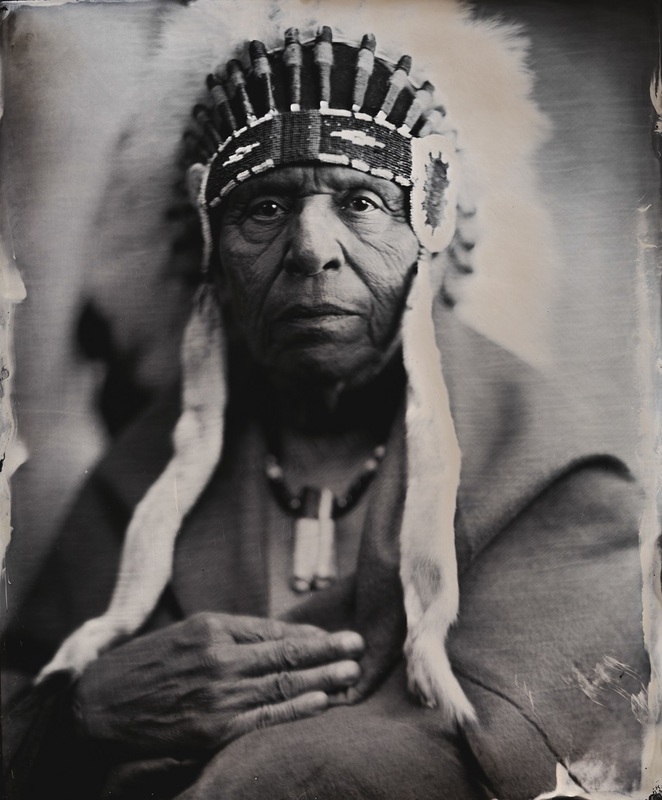 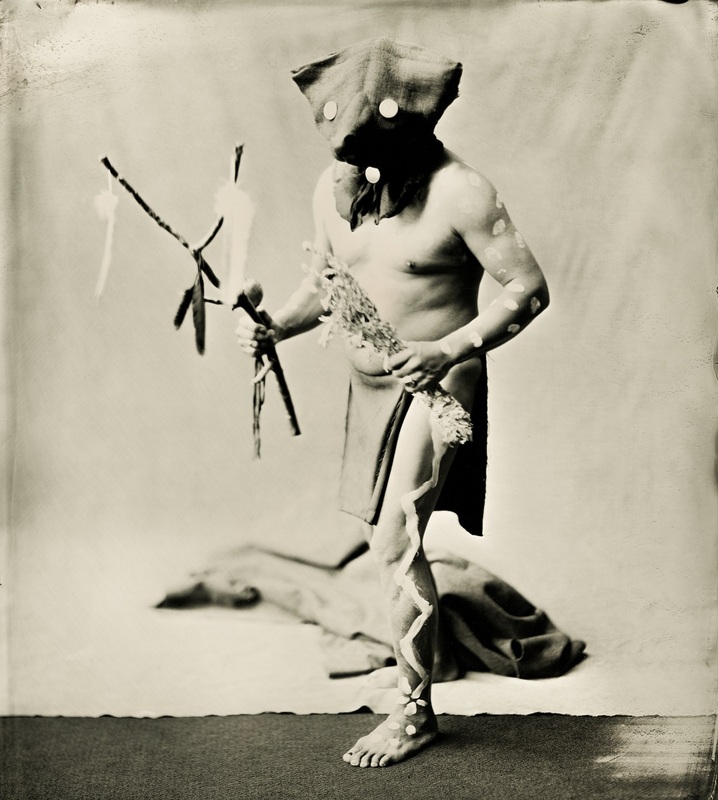 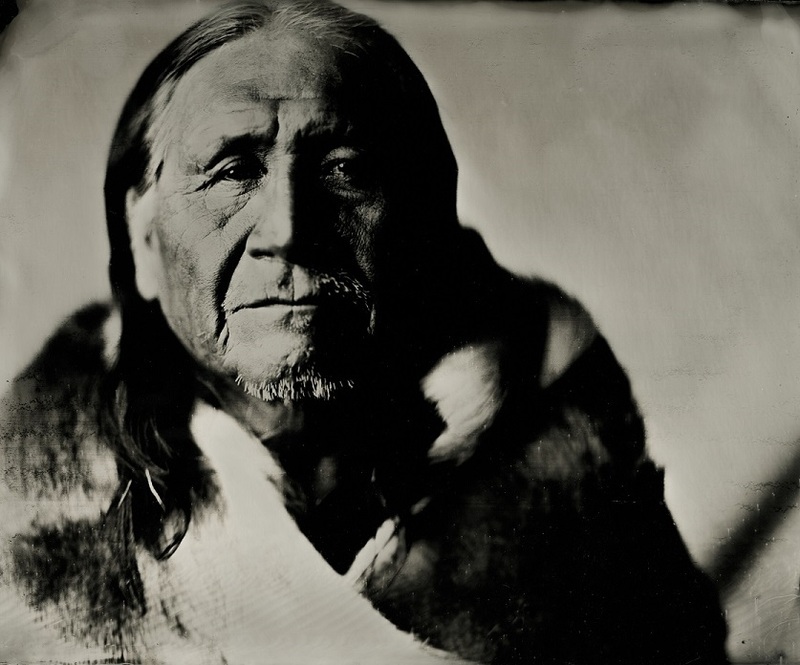 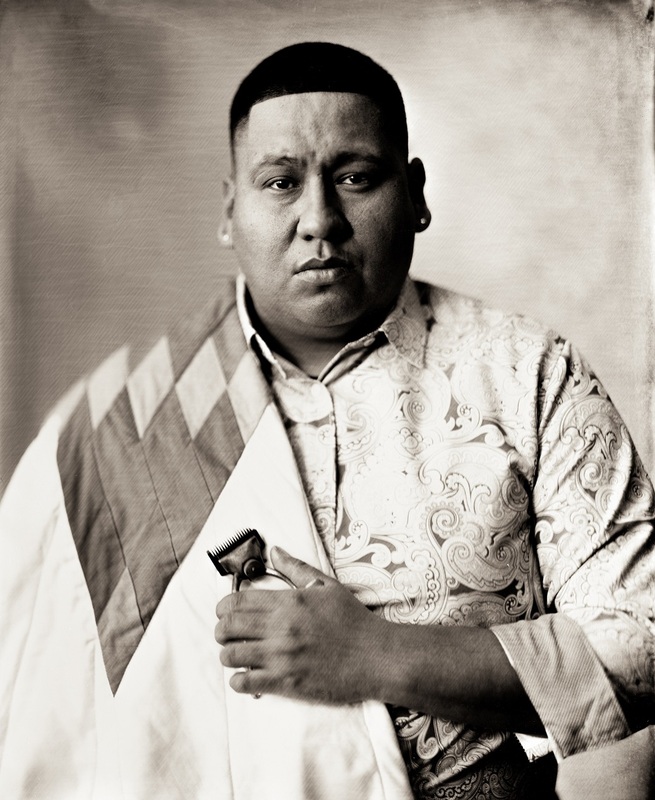 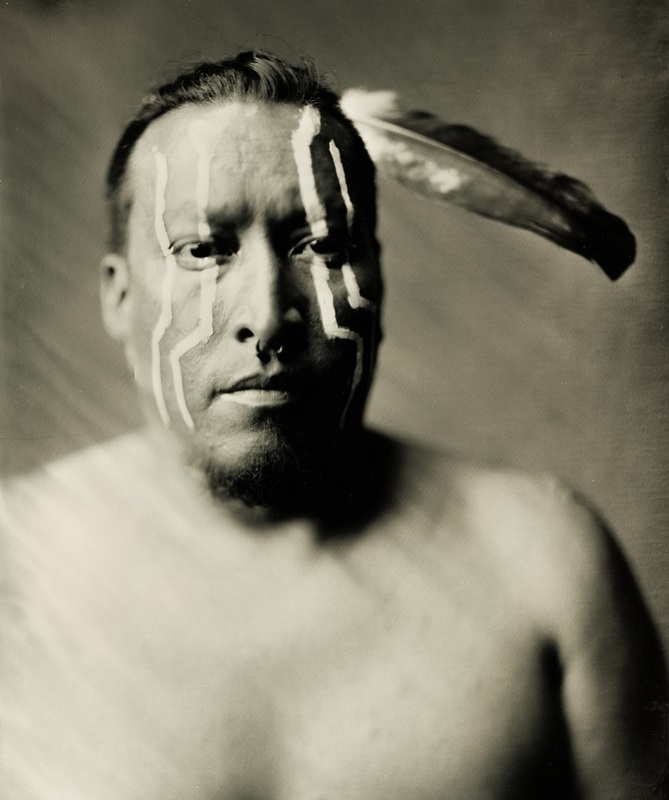 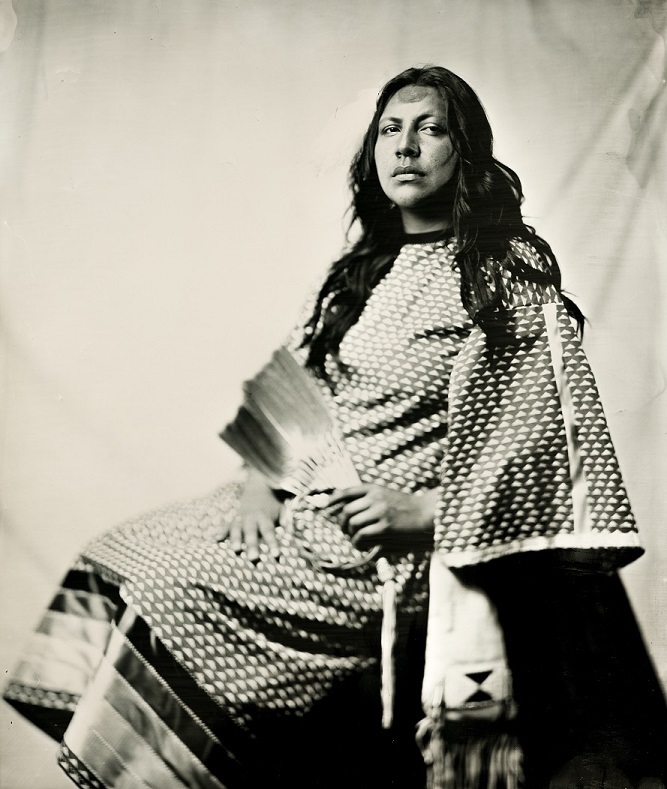 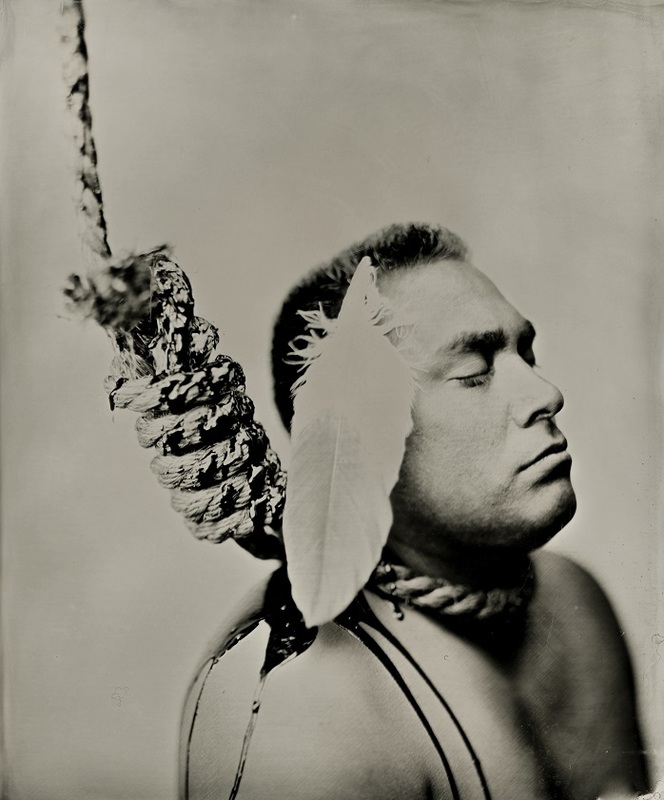 I contacted Ernie LaPointe the Great Grandson of Sitting Bull and he paid a visit to my makeshift wet plate studio. 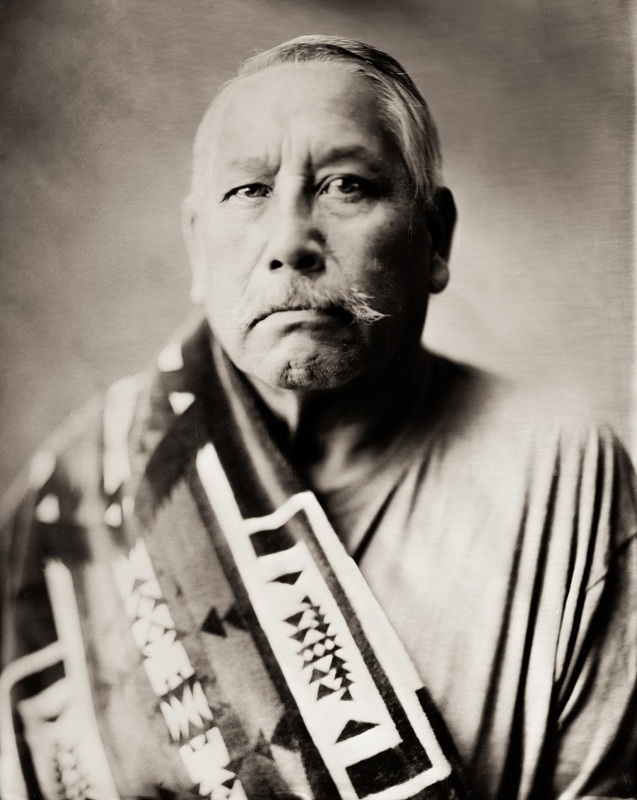 He explained much of the history of his people and their ways and this journey started with his plate "Eternal Field". 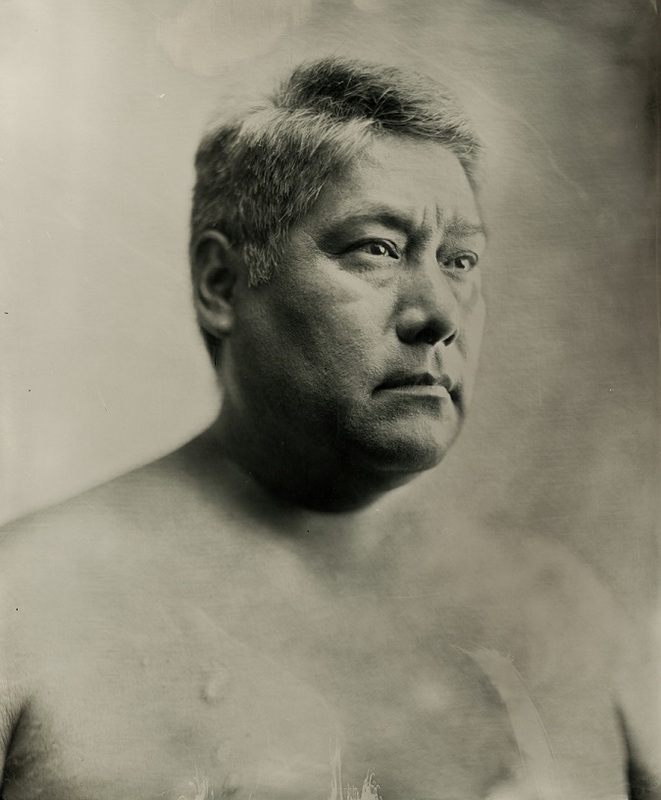 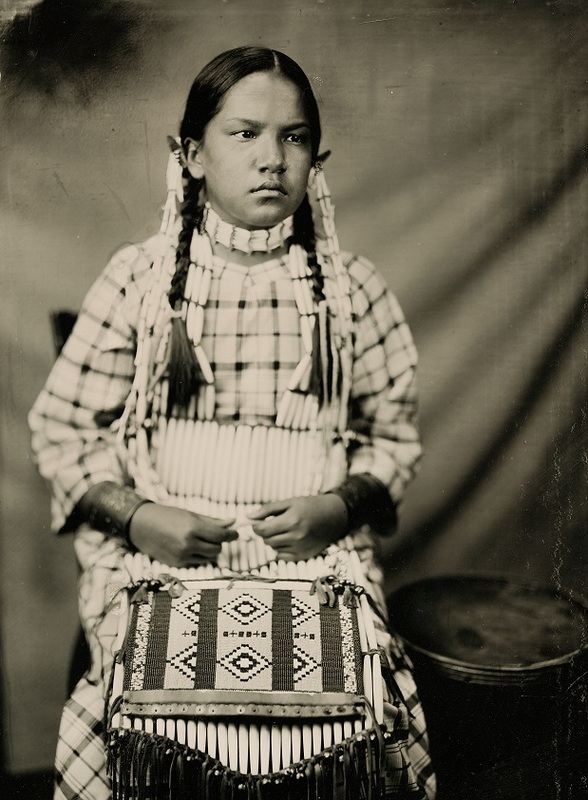 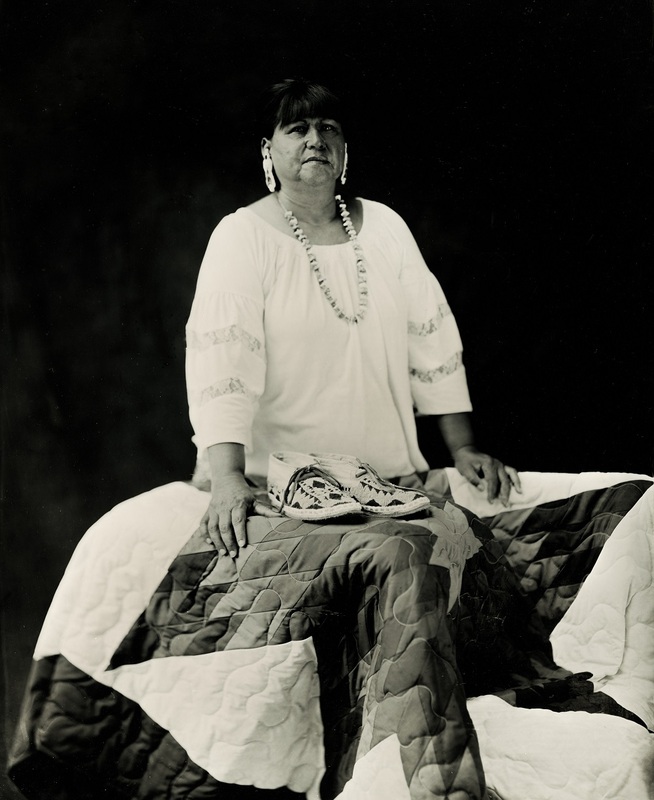 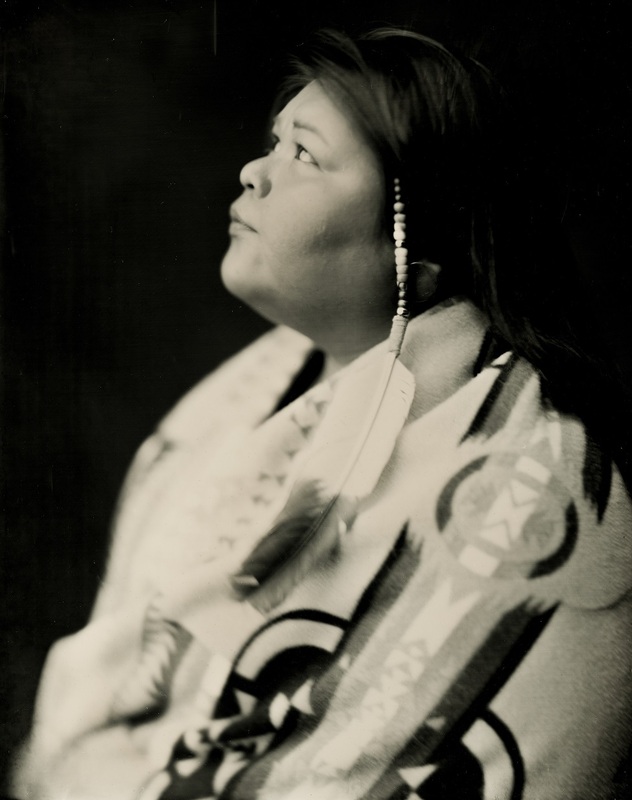 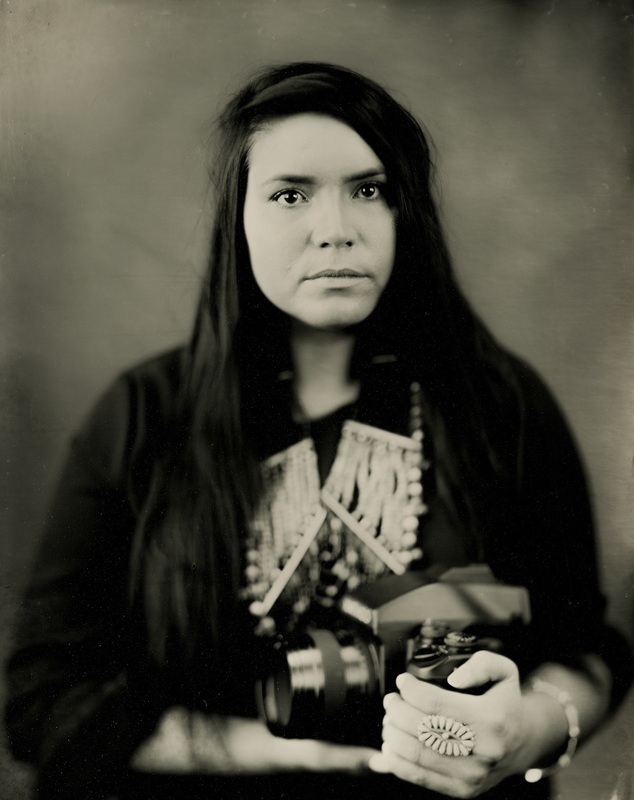 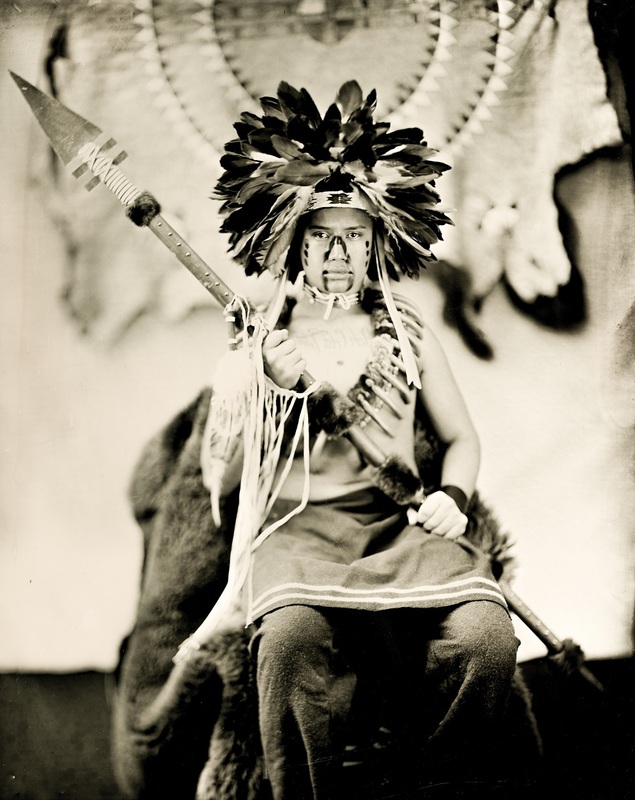 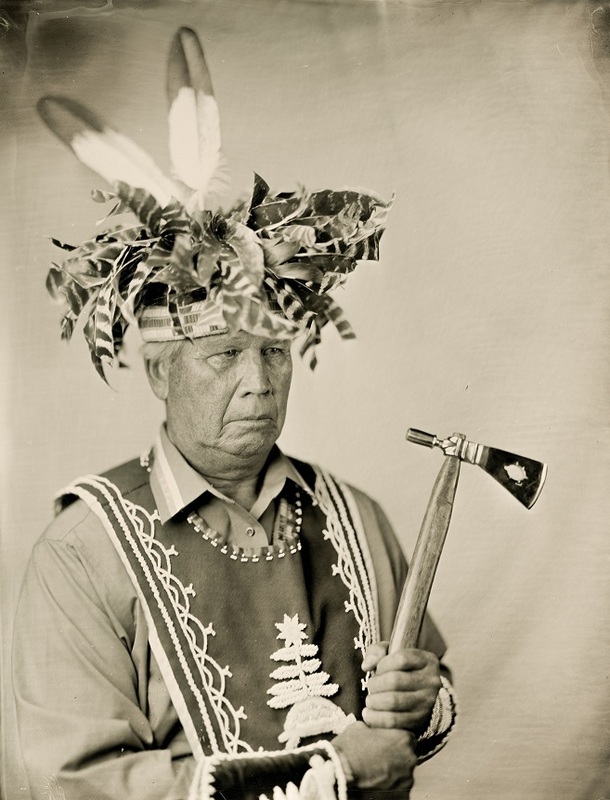 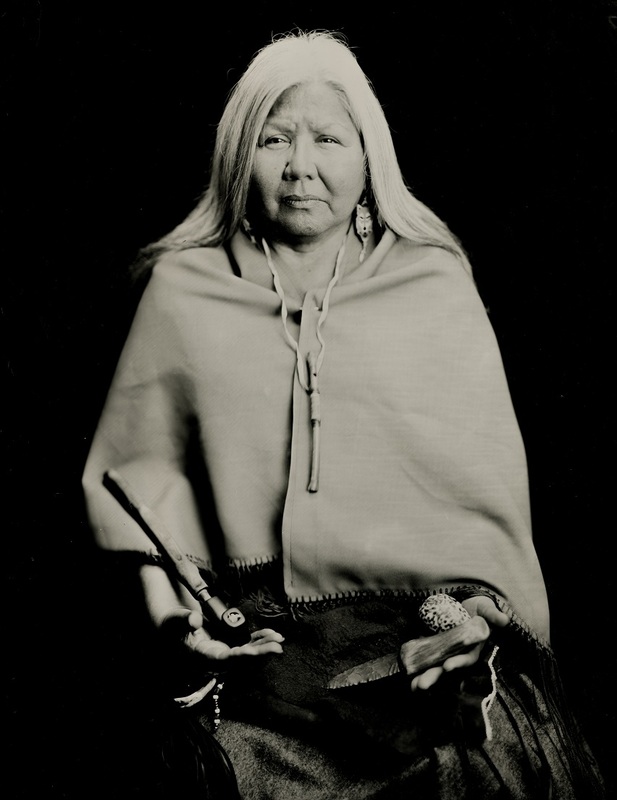 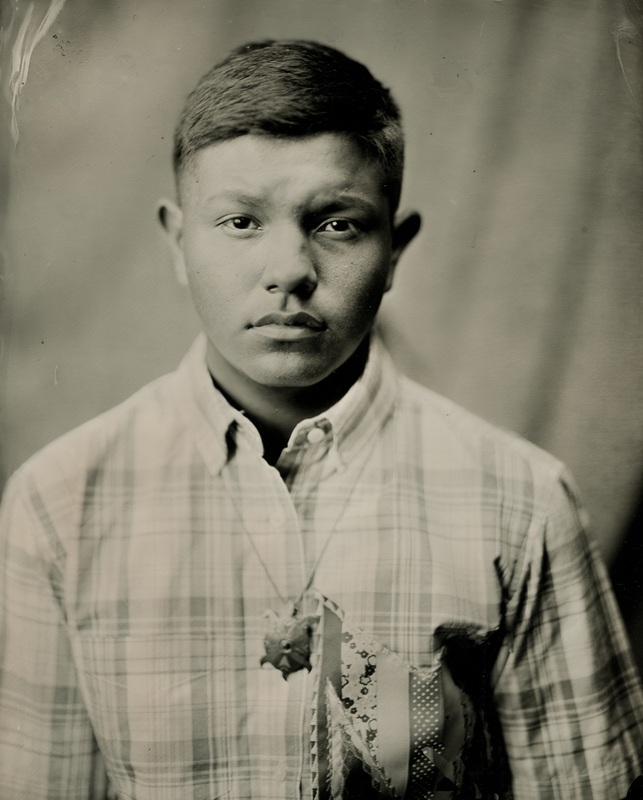 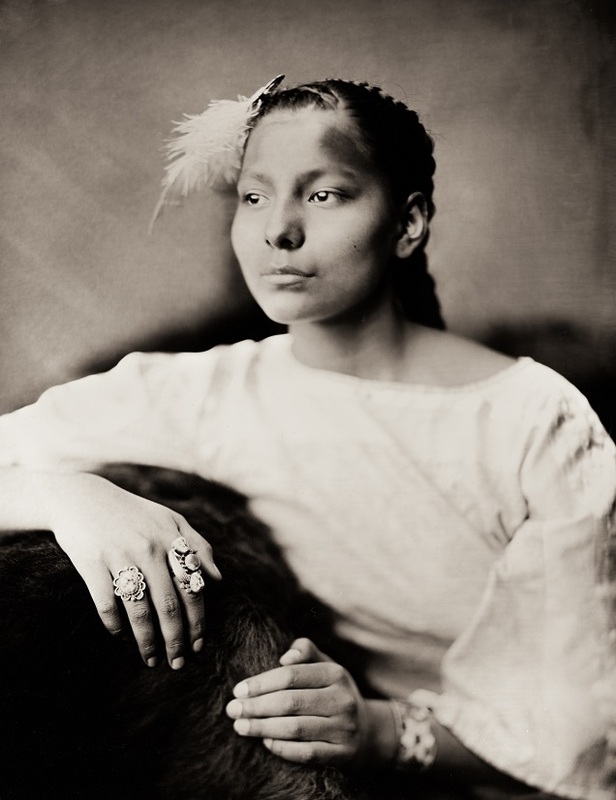 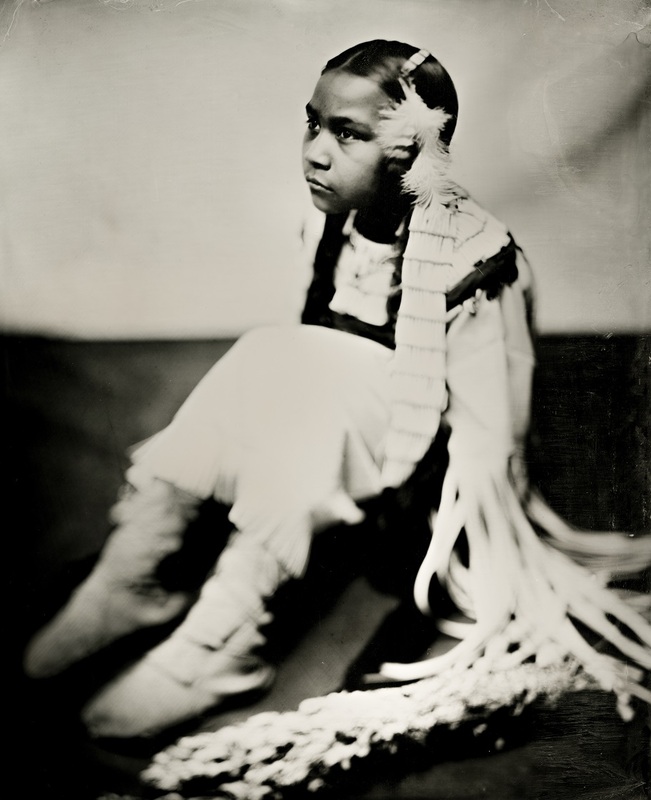 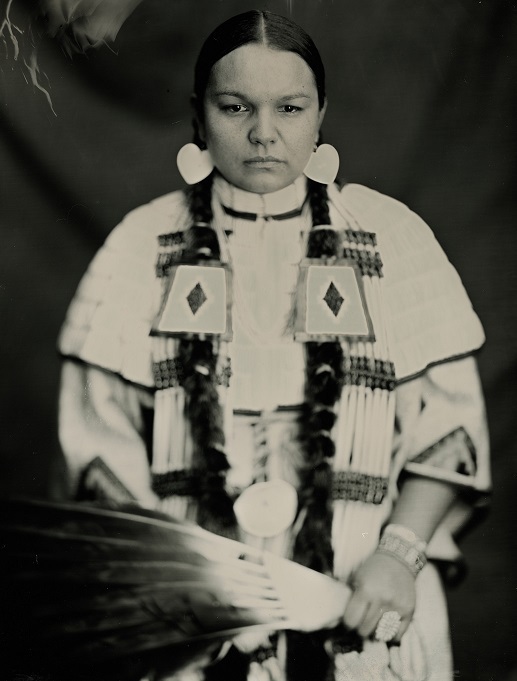 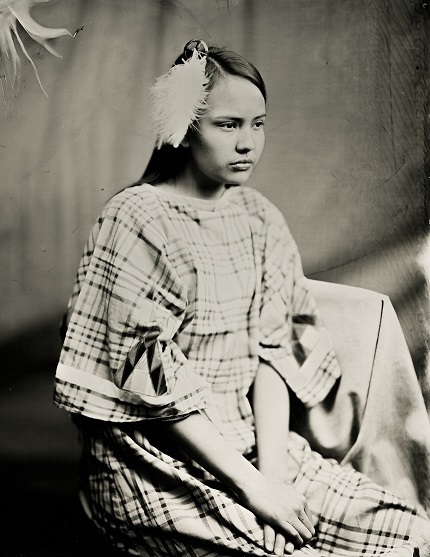 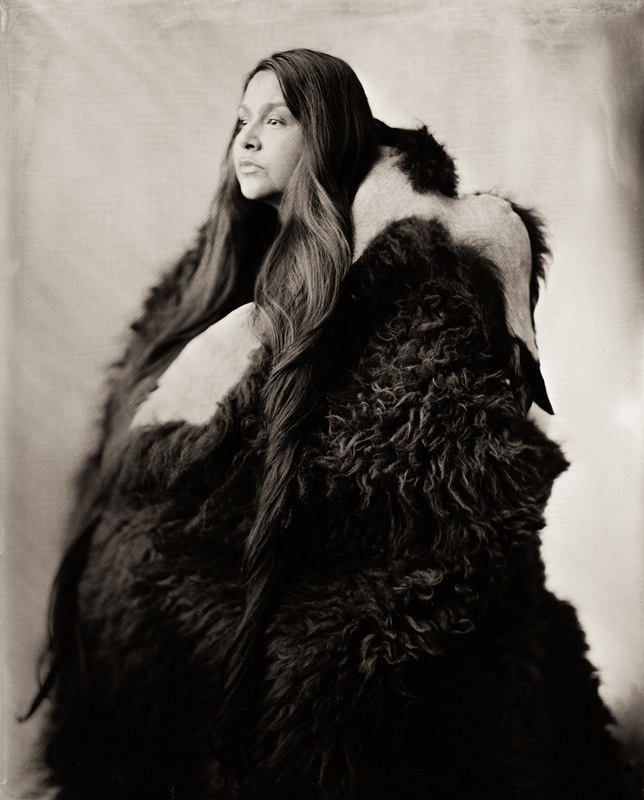 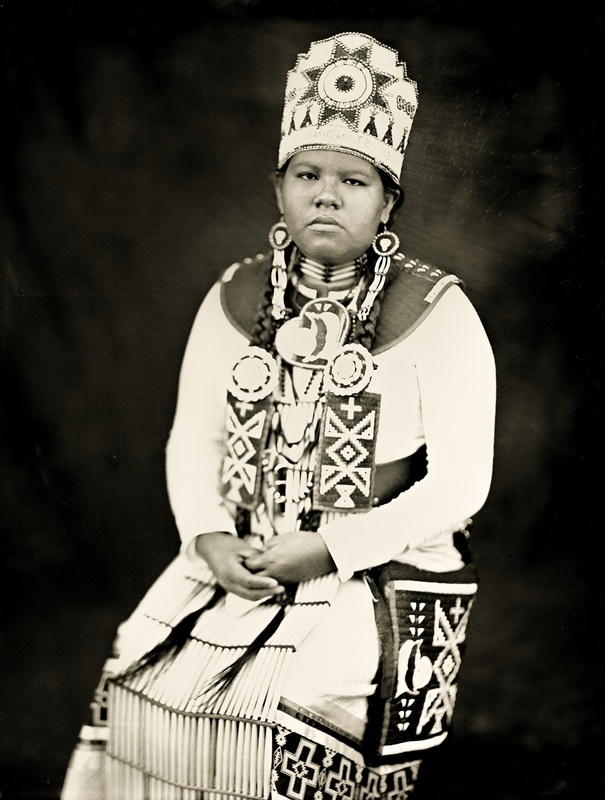 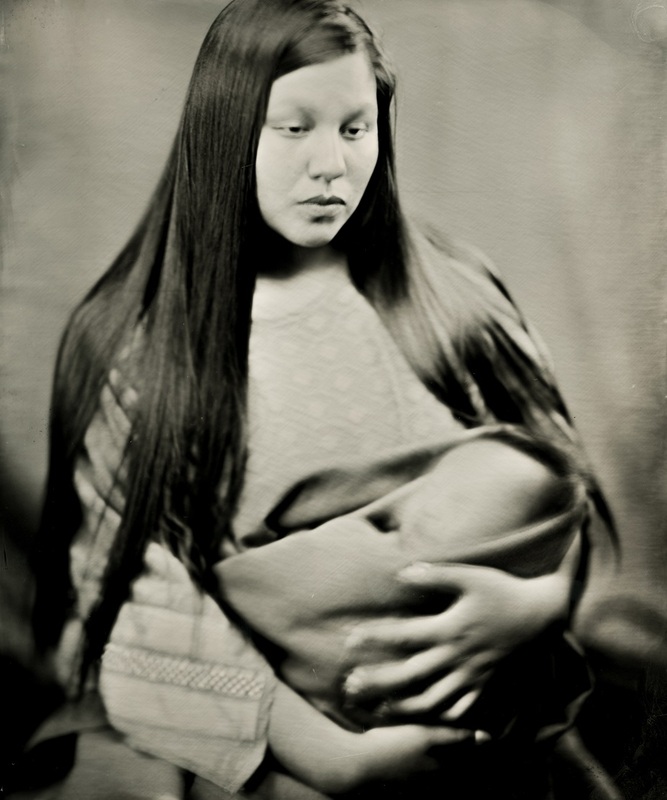 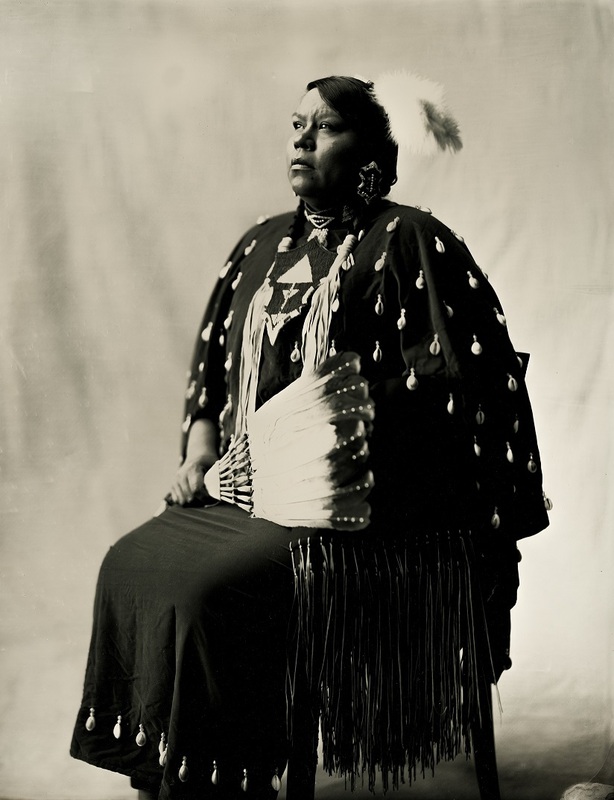 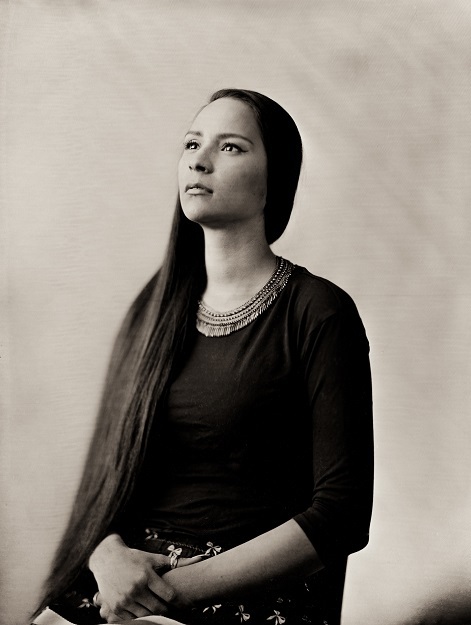 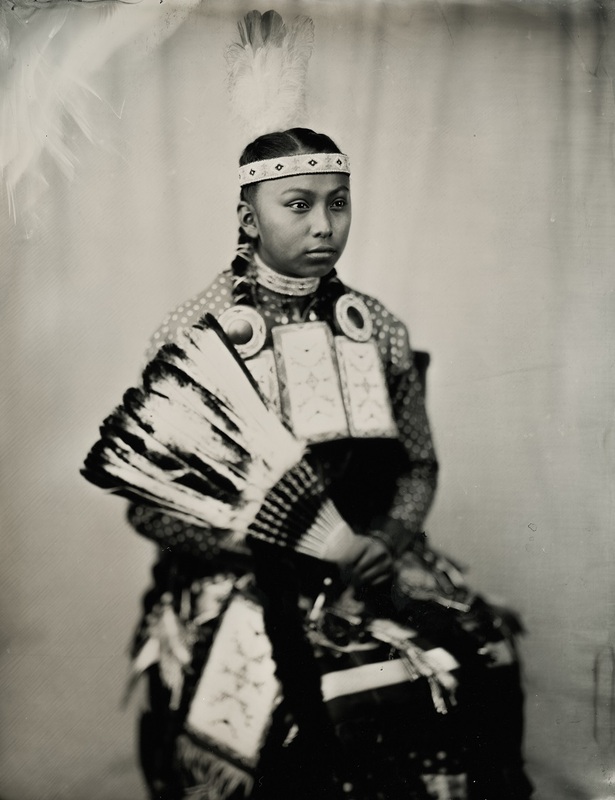 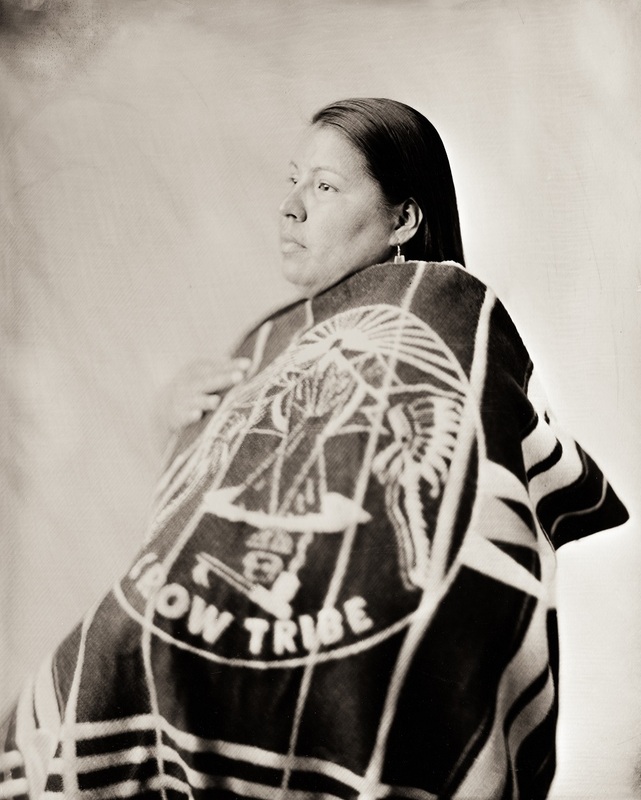 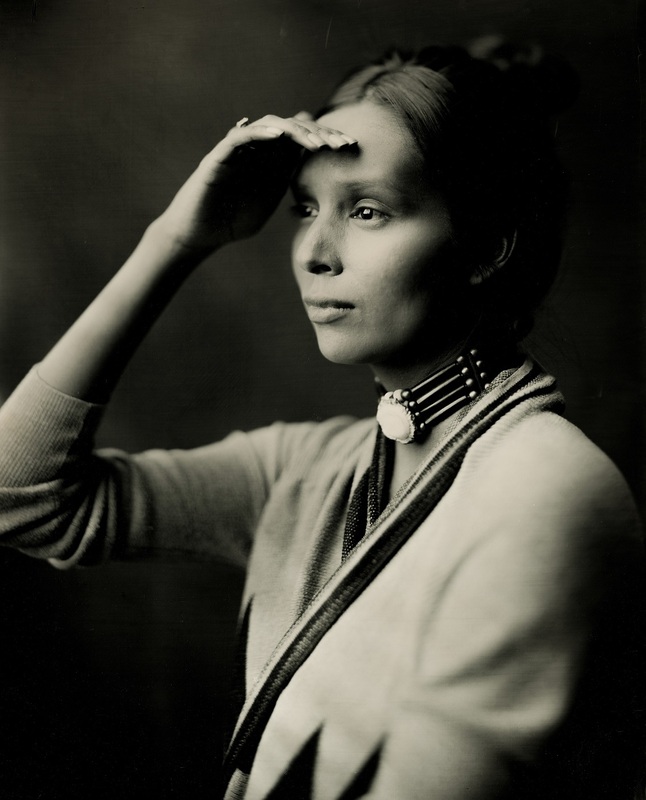 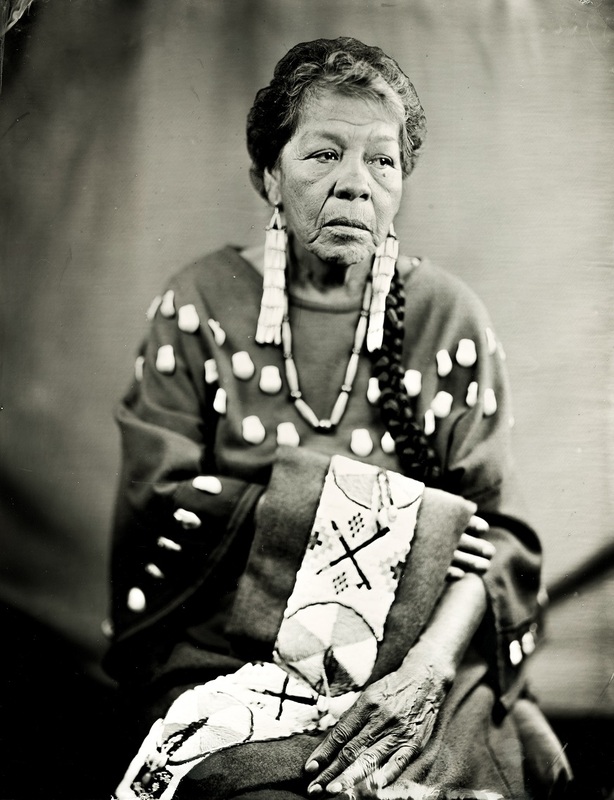 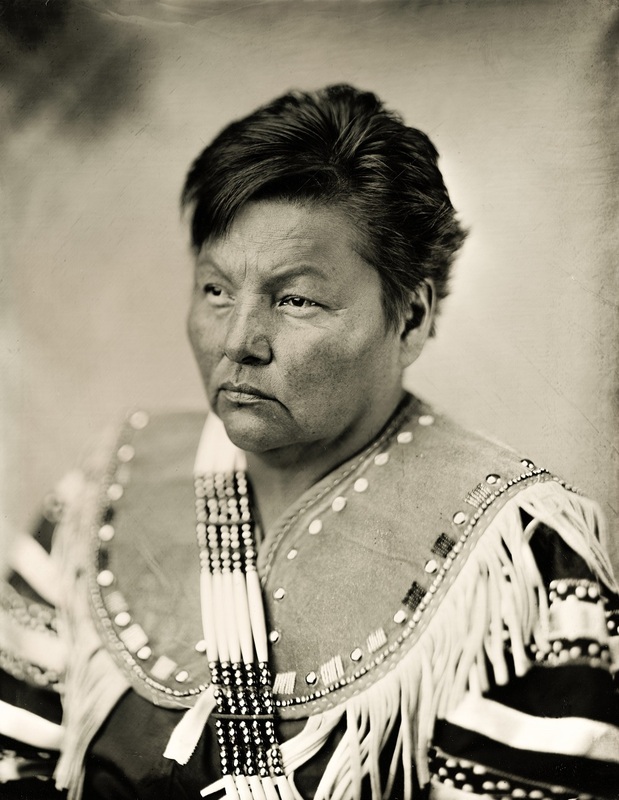 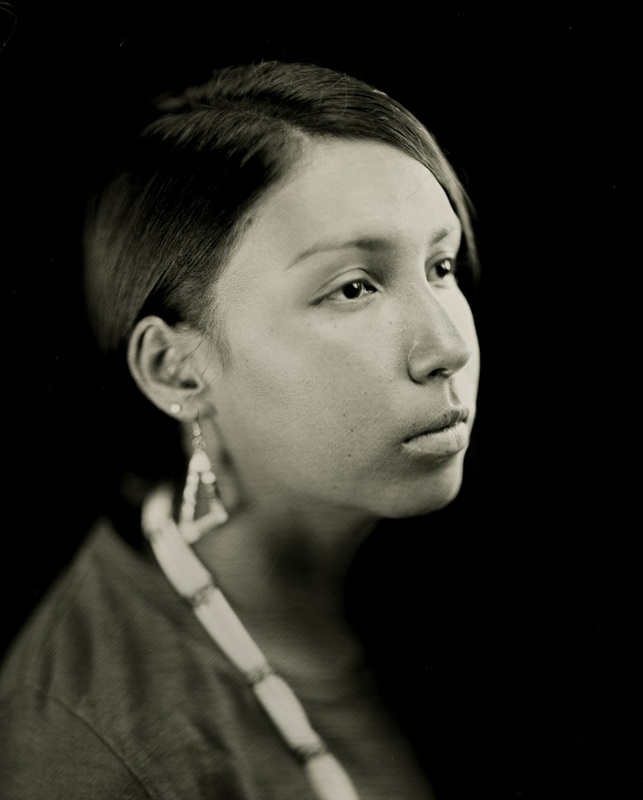 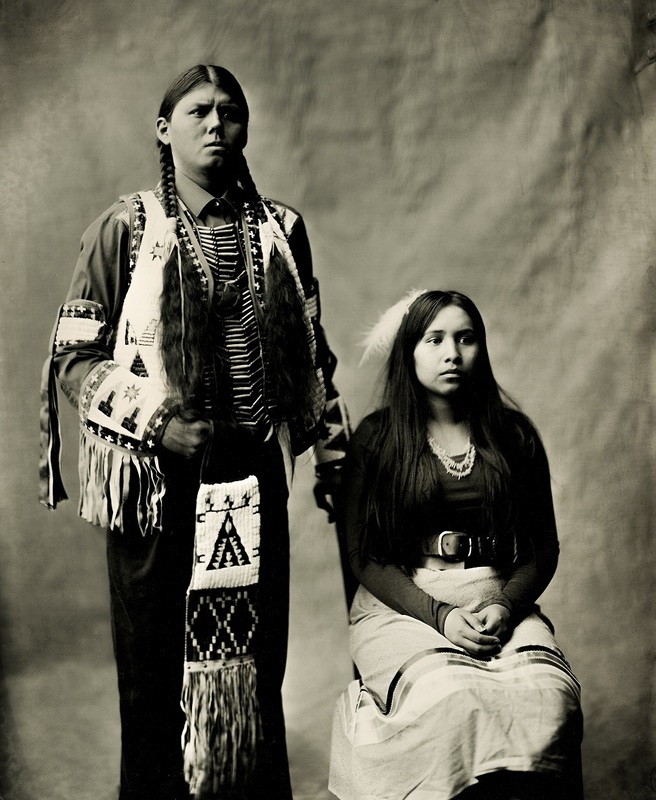 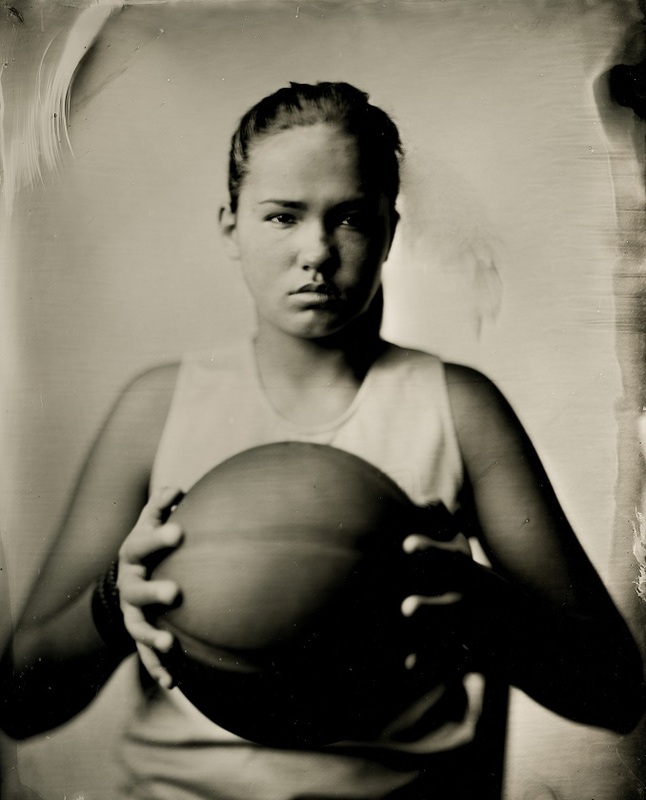 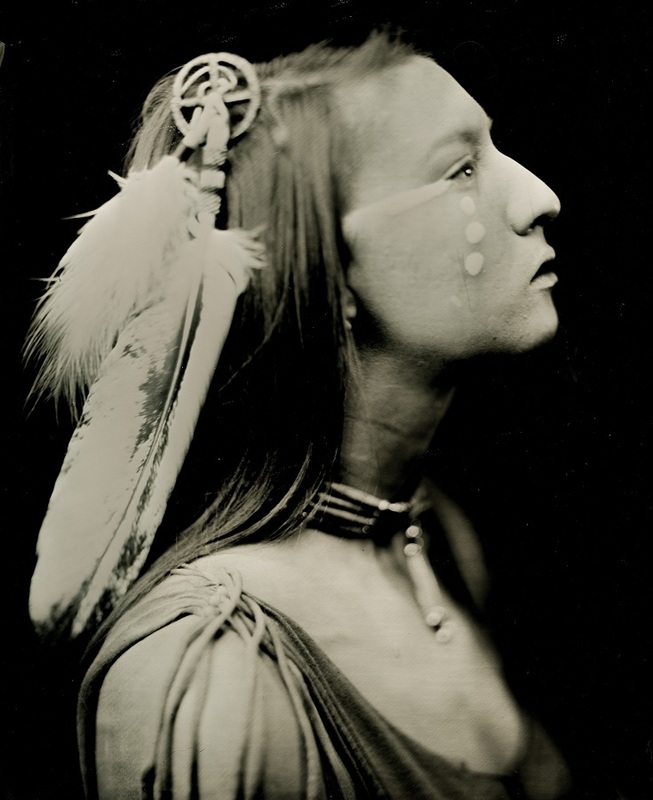 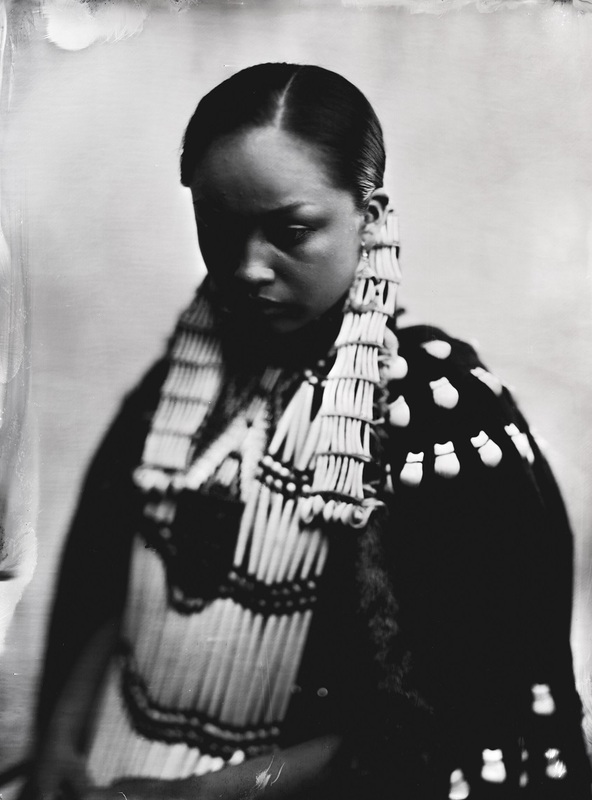 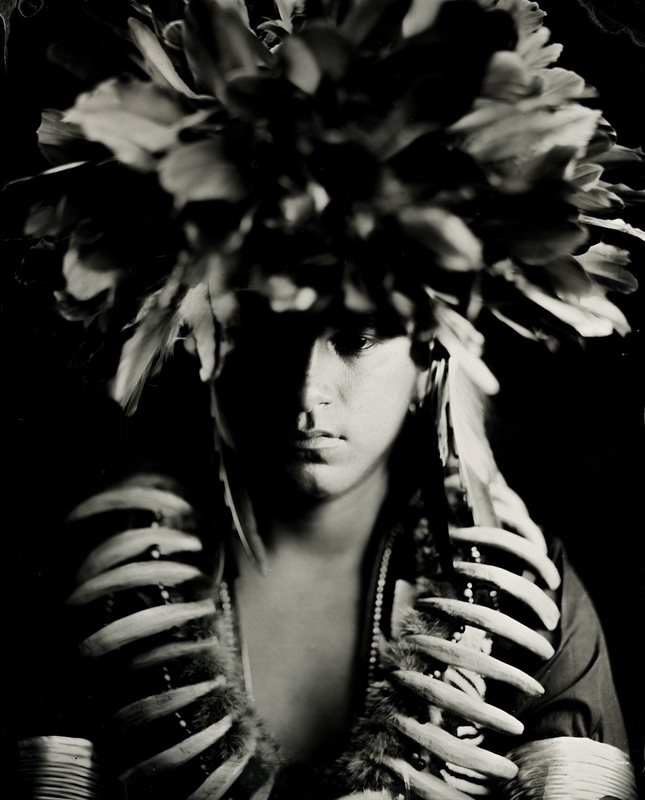 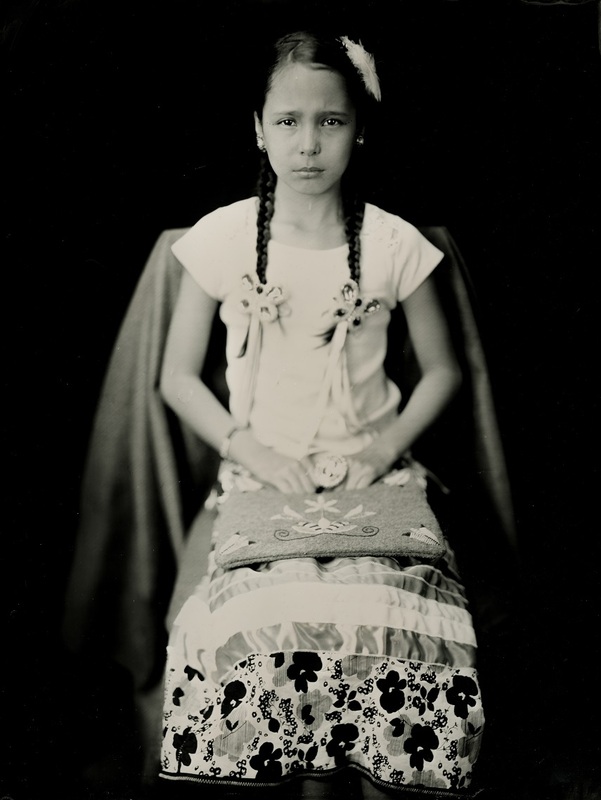 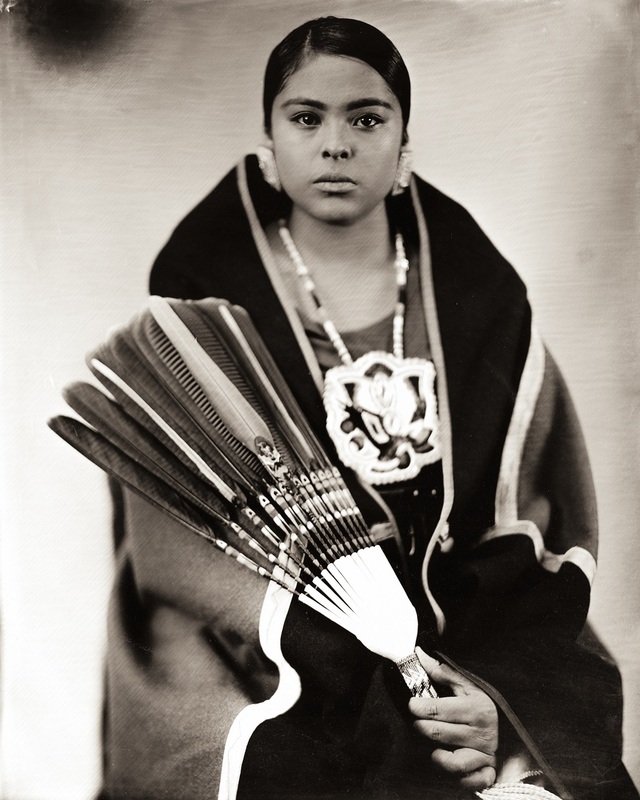 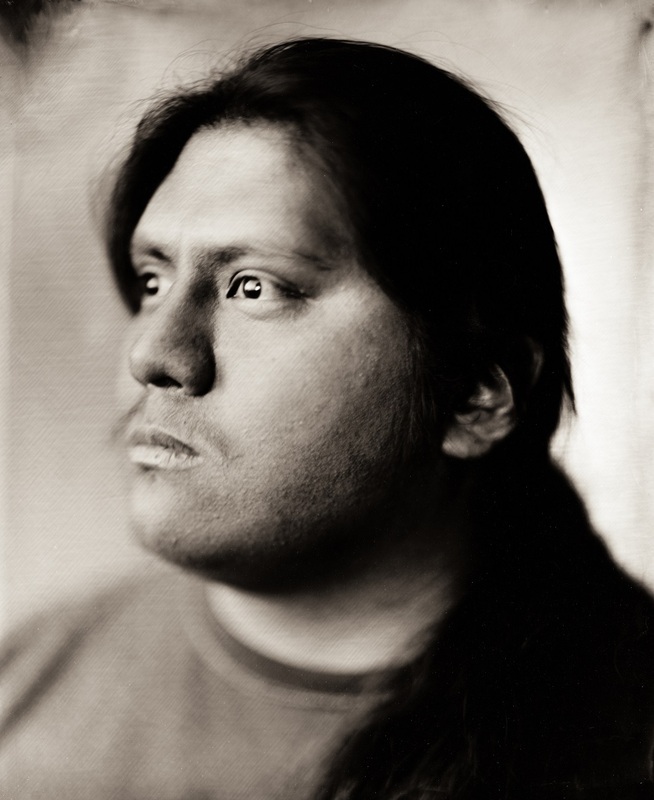 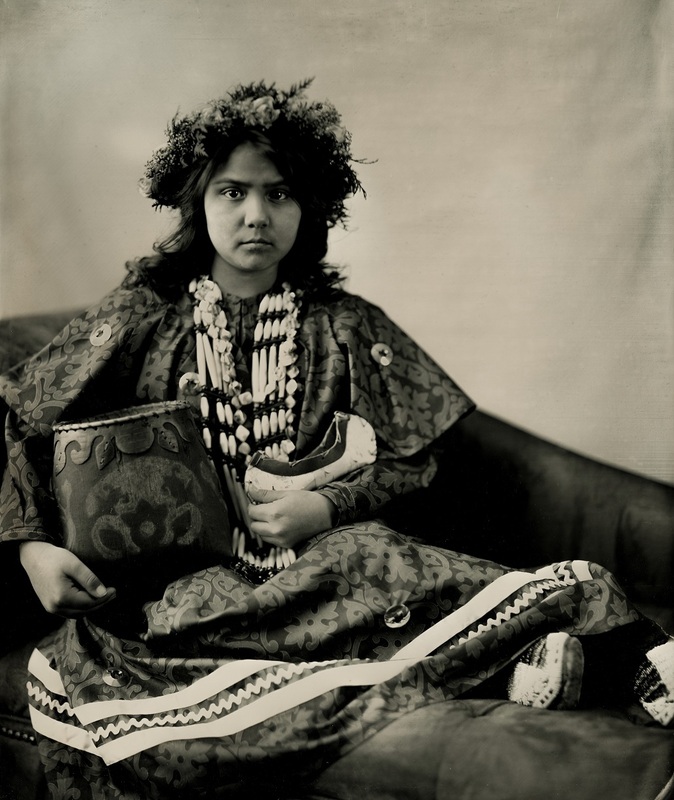 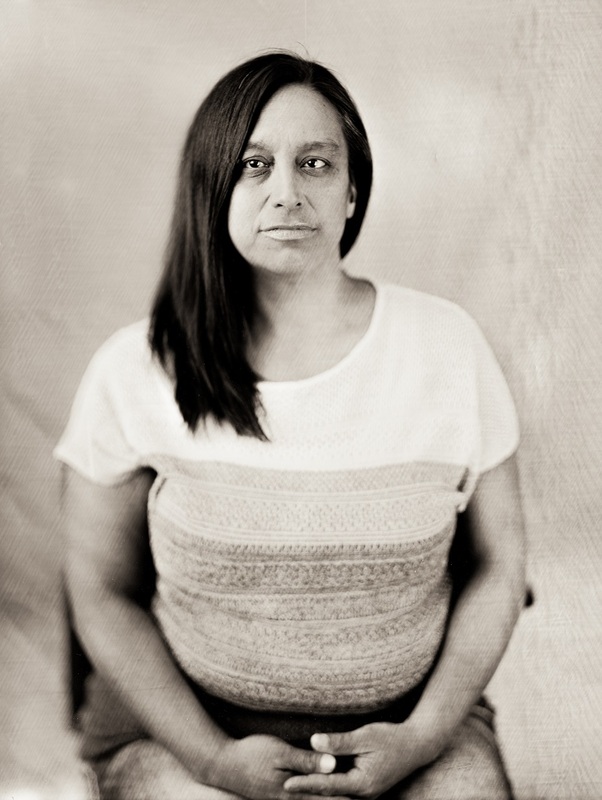 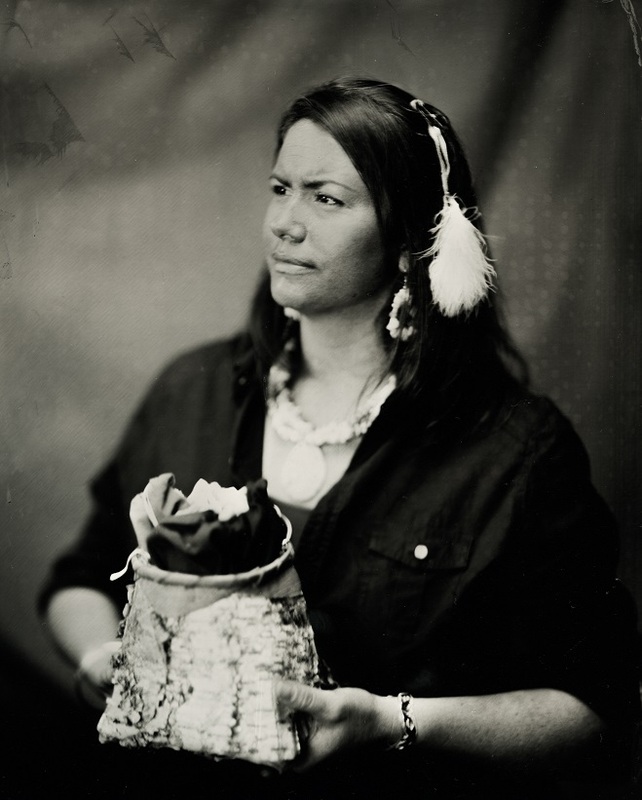 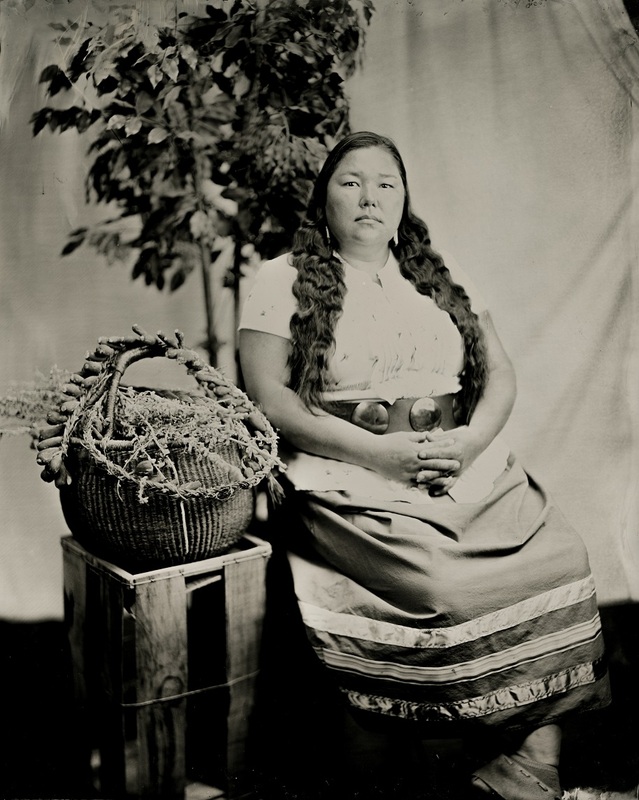 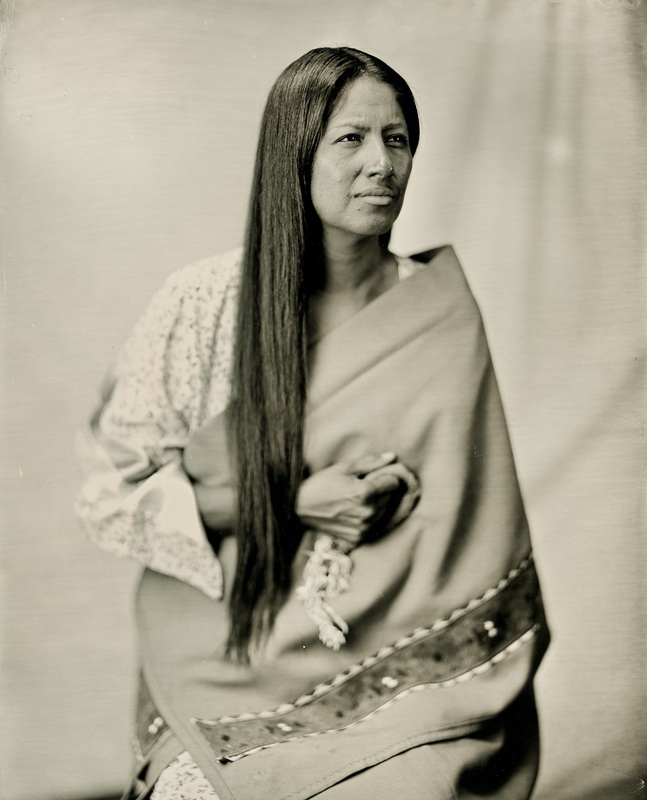 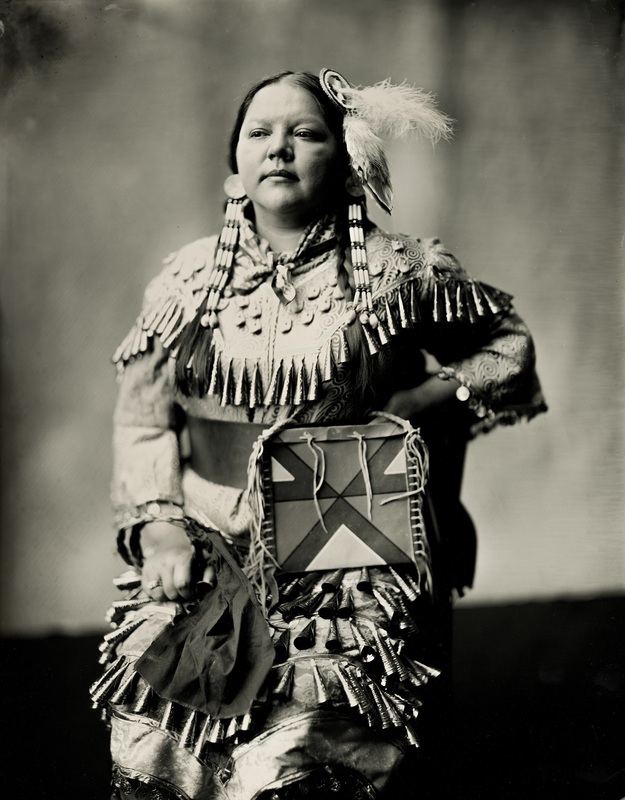 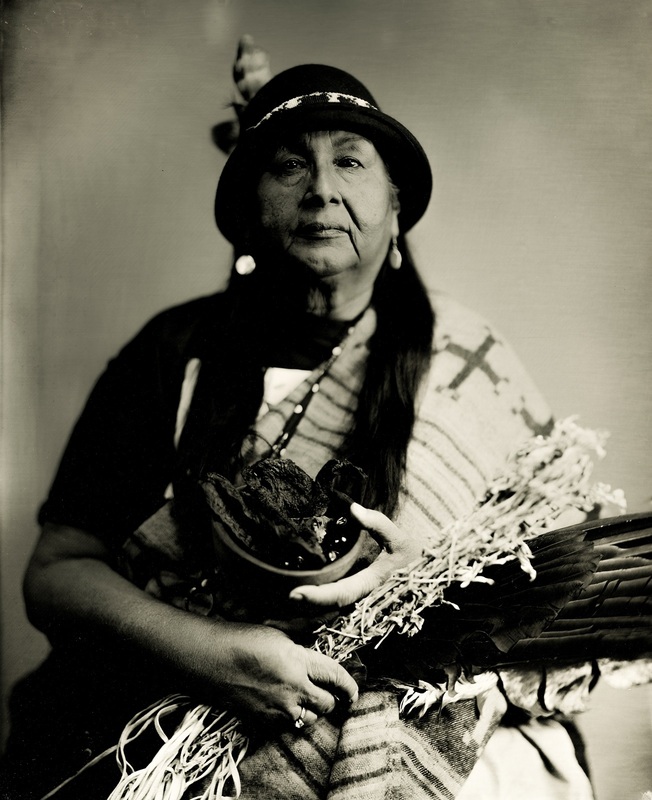 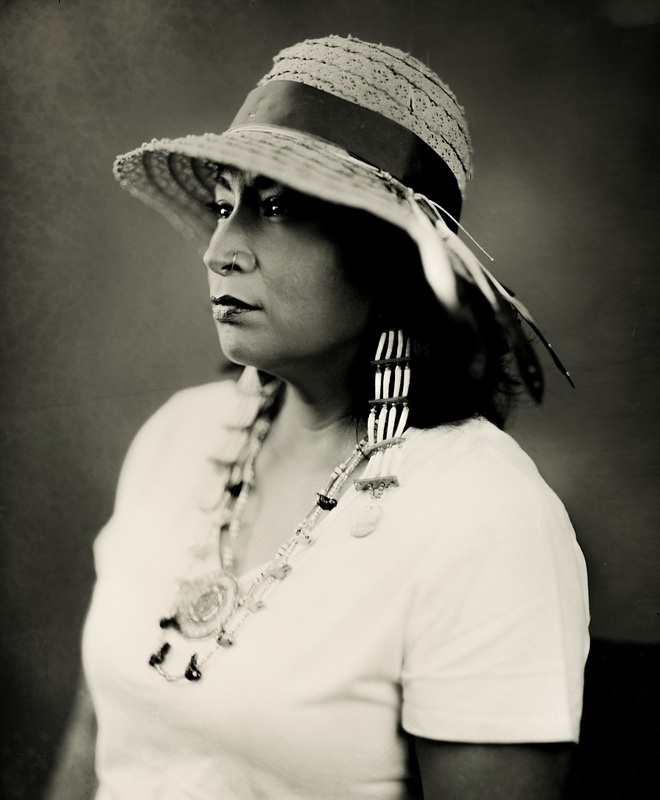 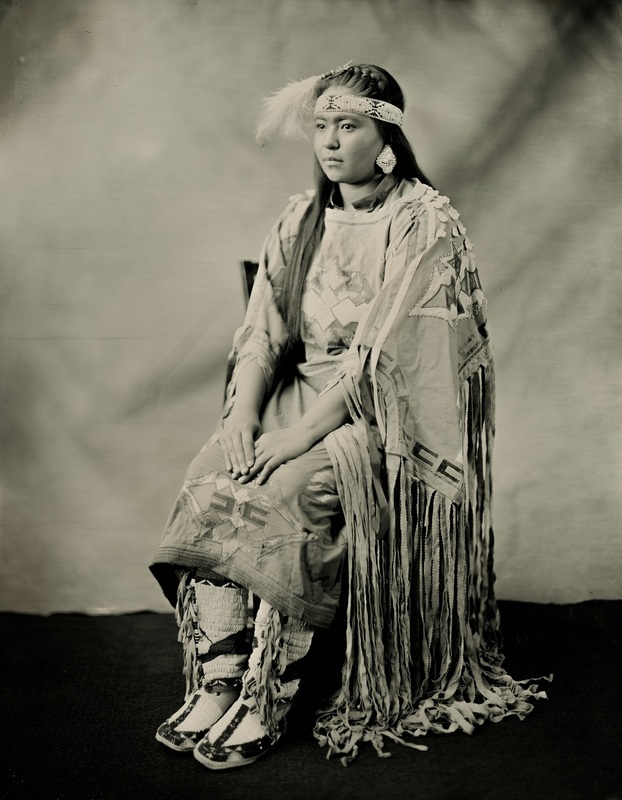 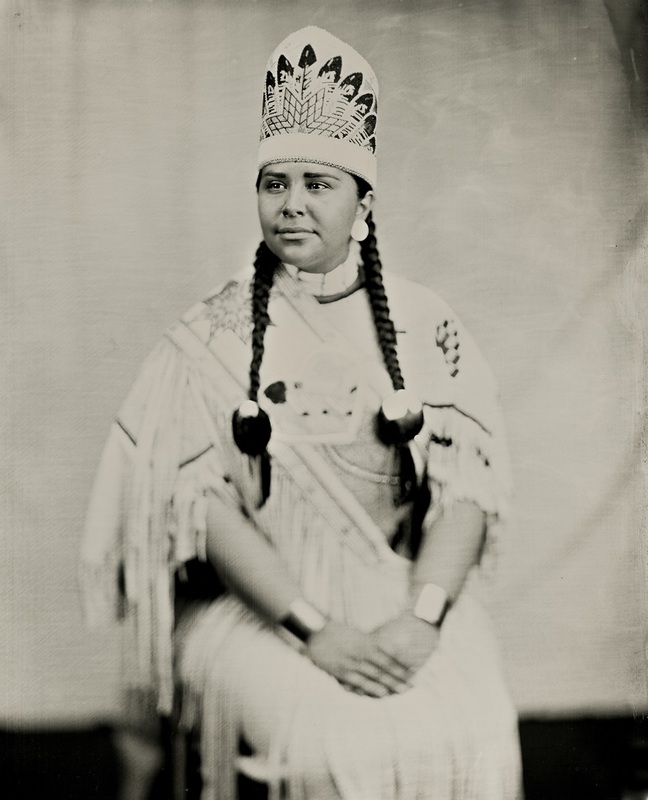 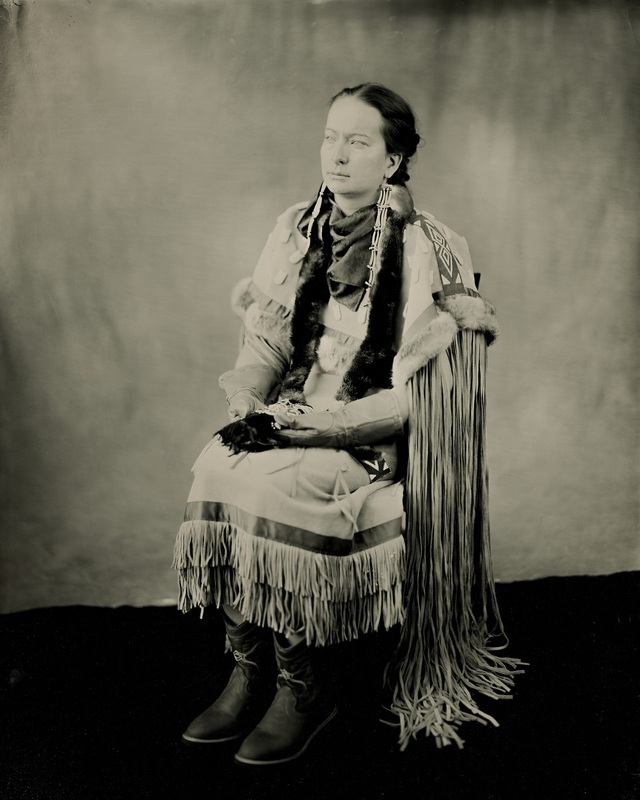 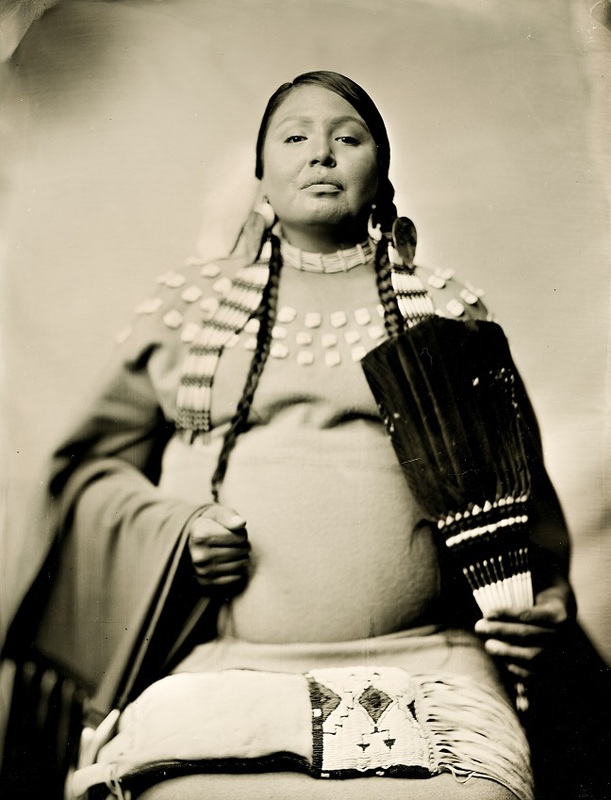 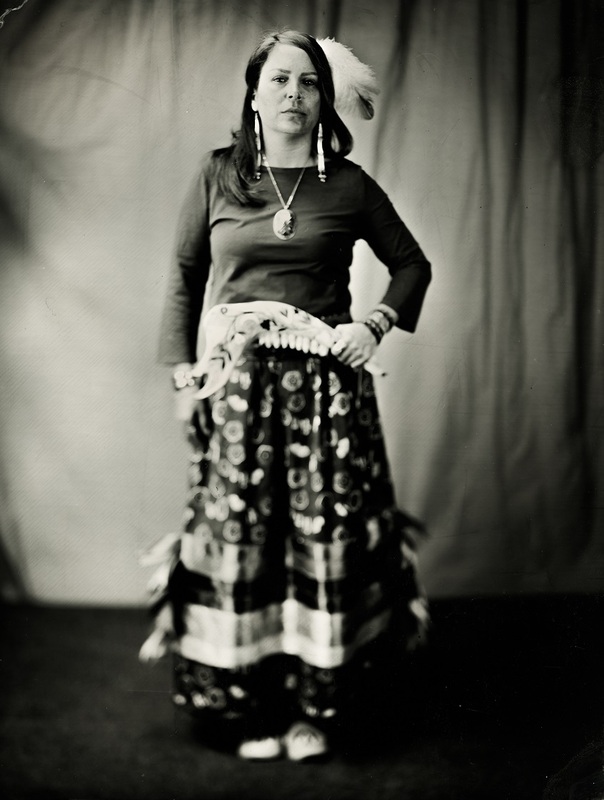 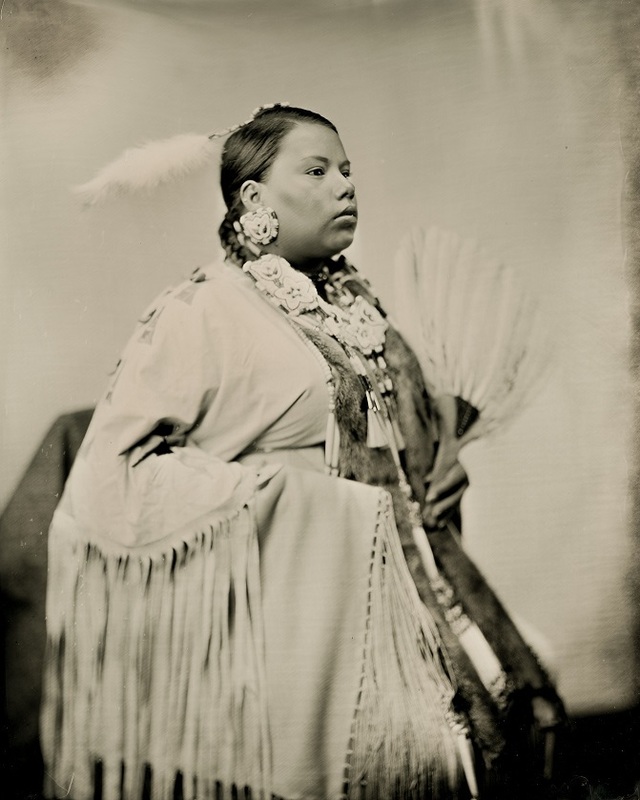 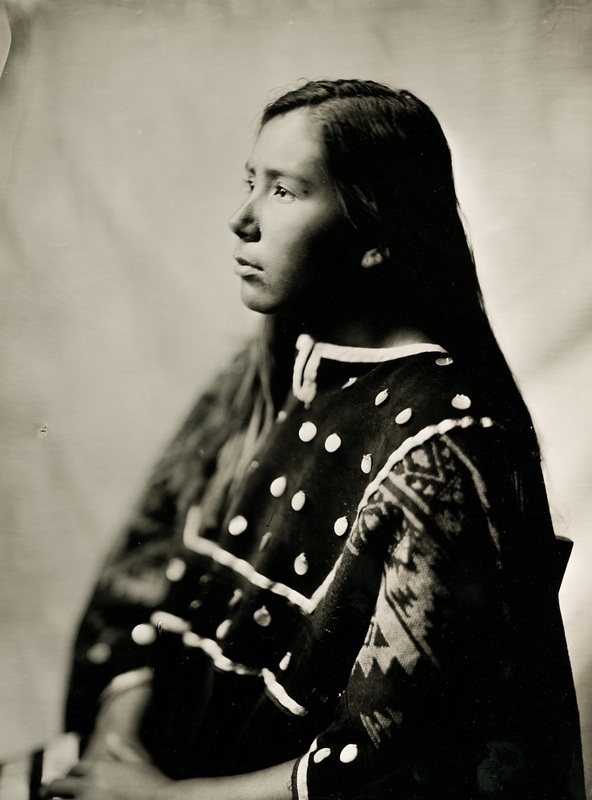 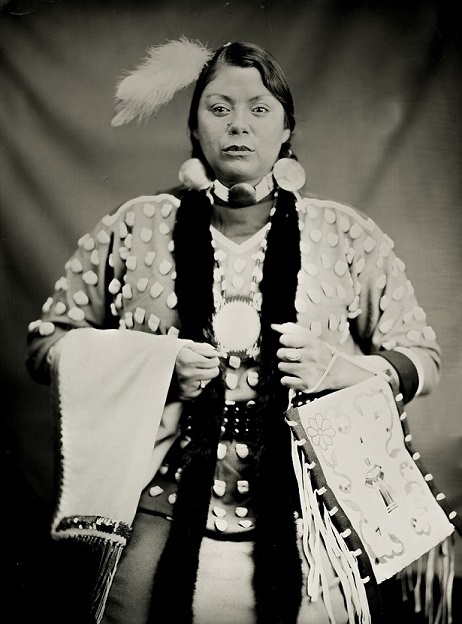 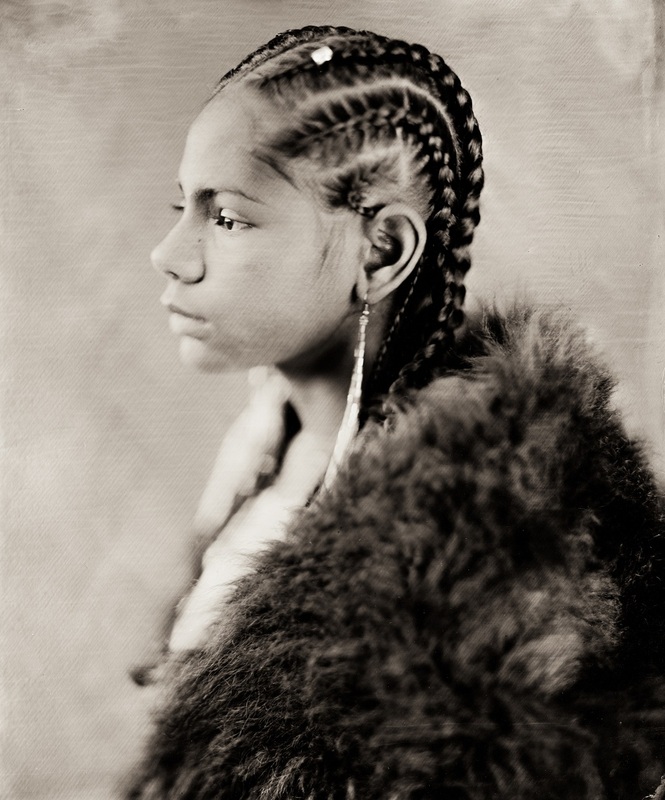 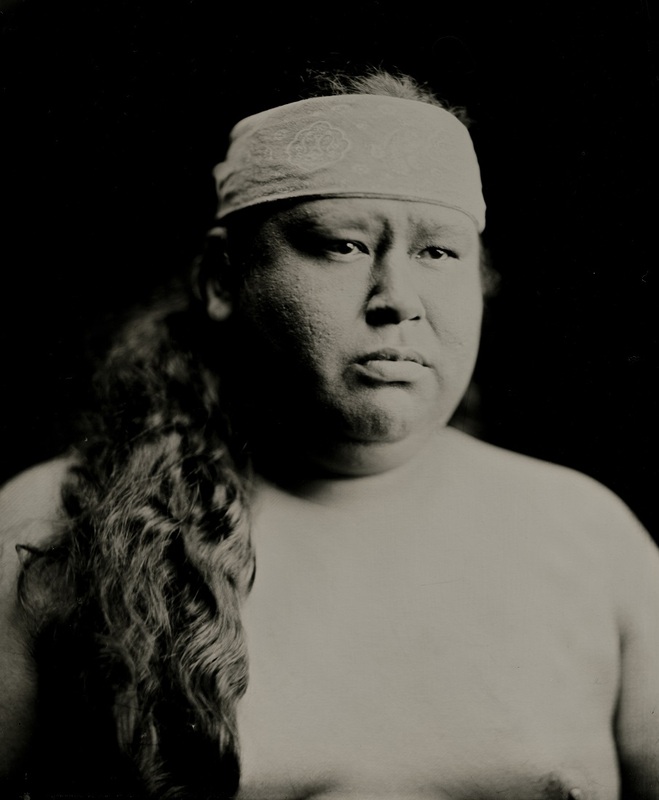 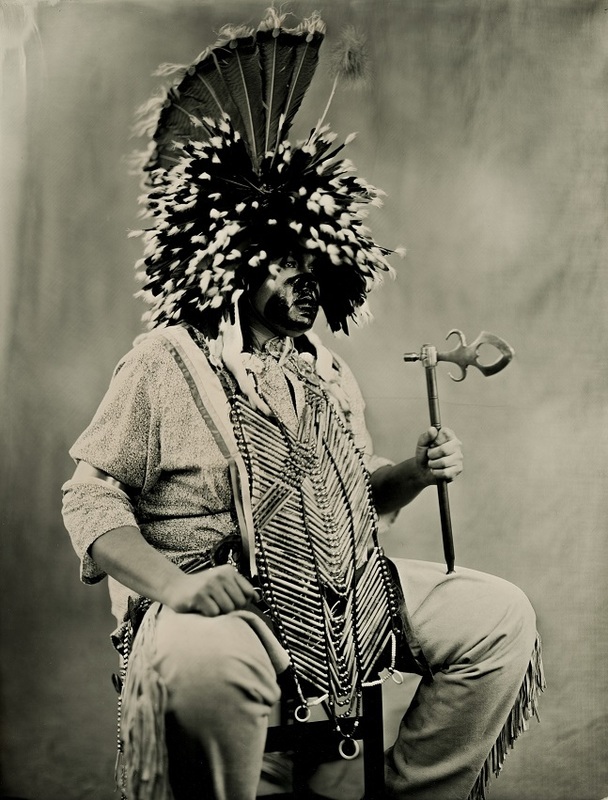 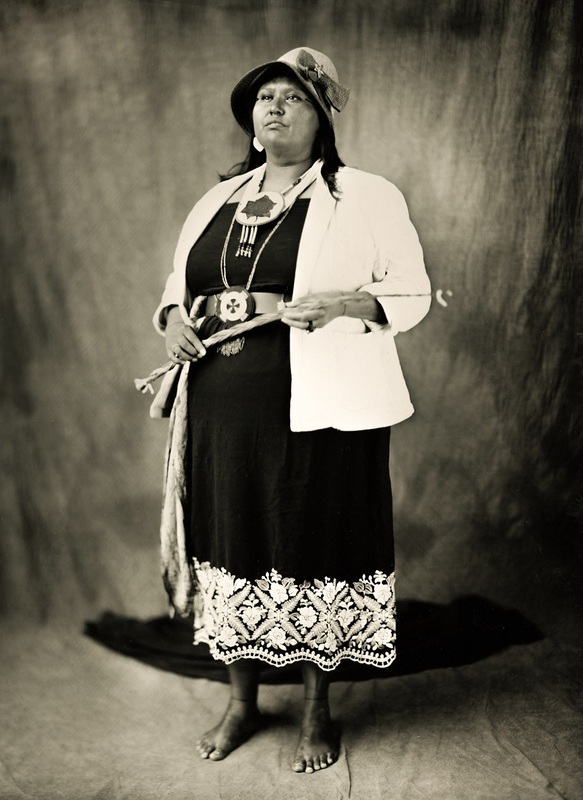 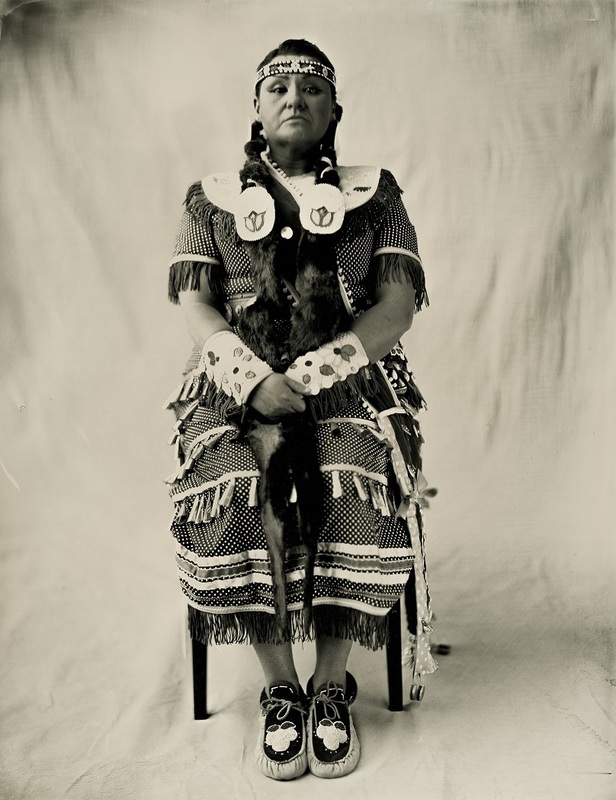 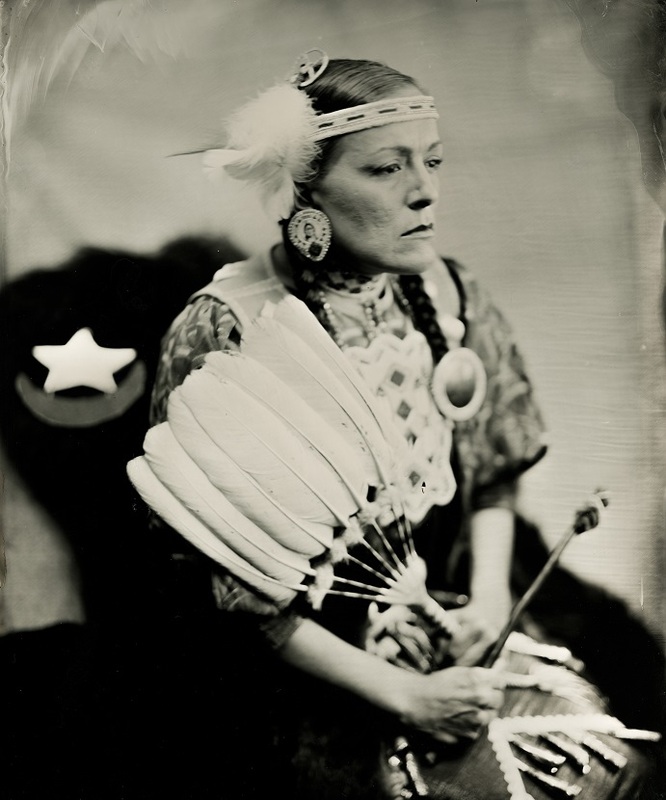 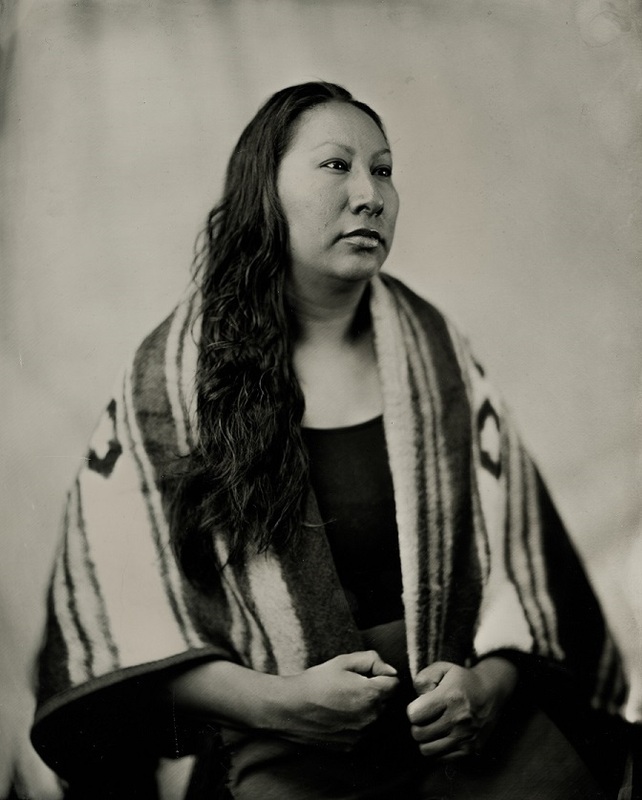 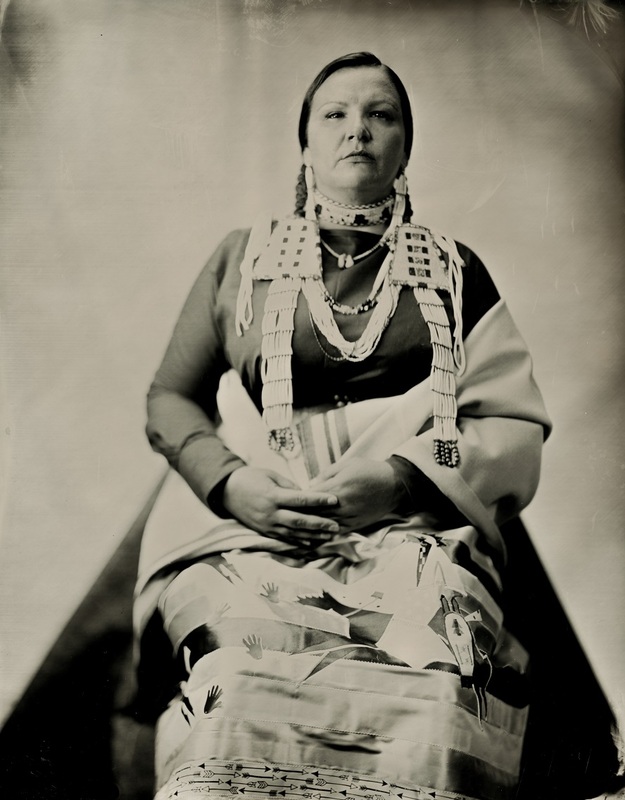 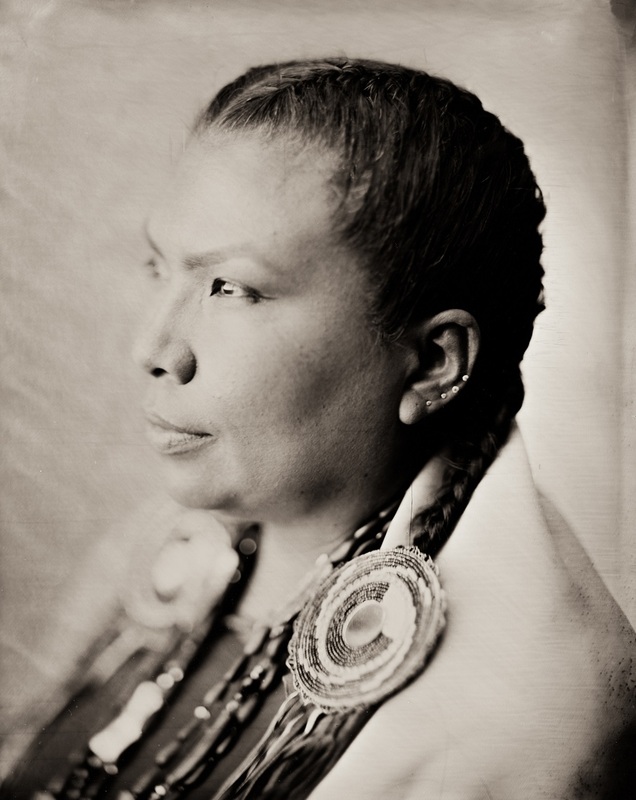 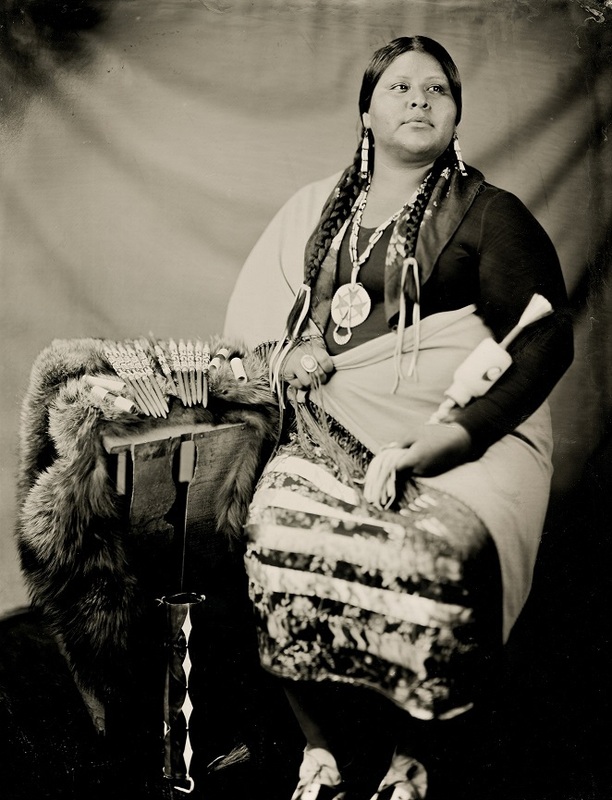 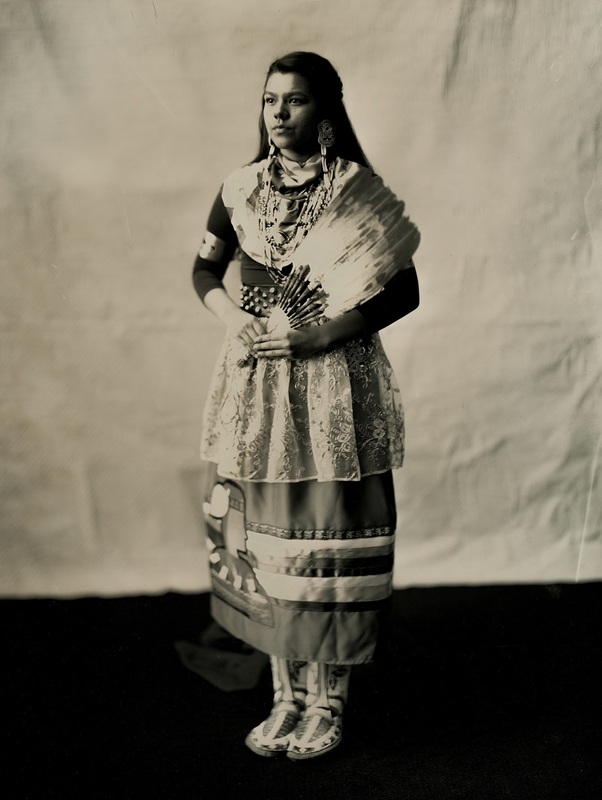 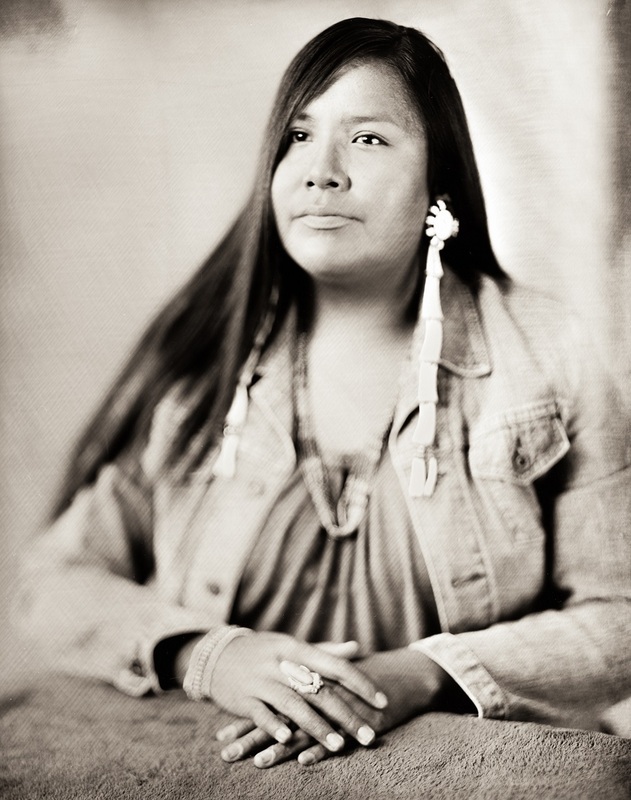 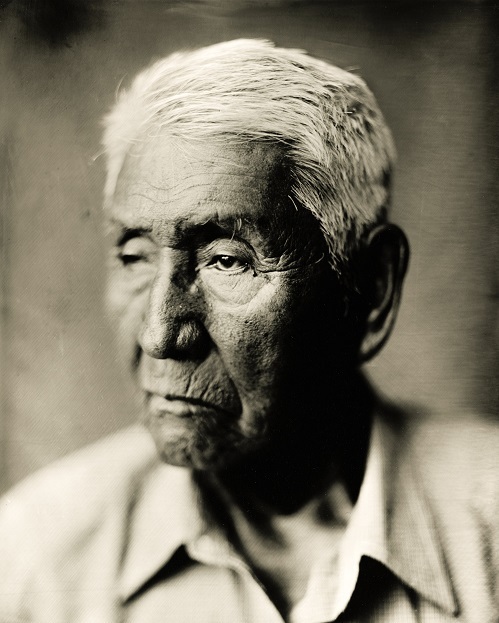 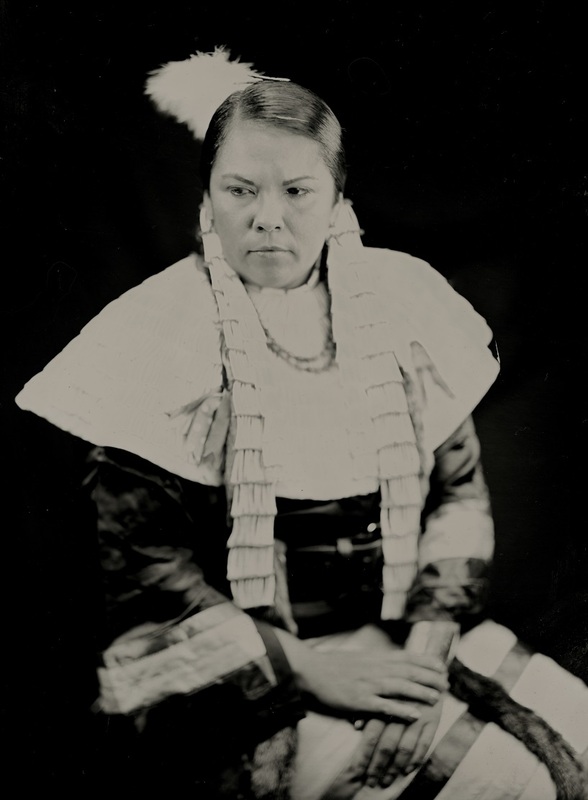 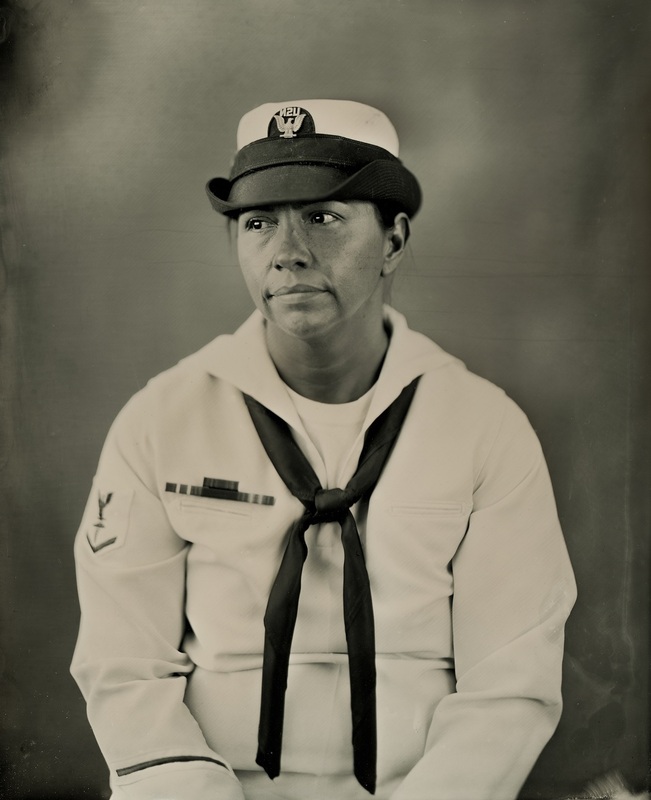 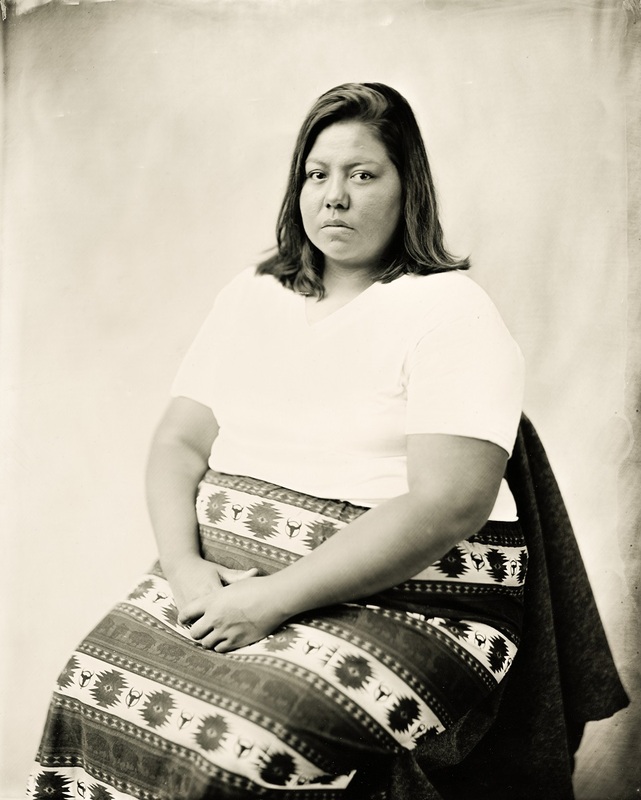 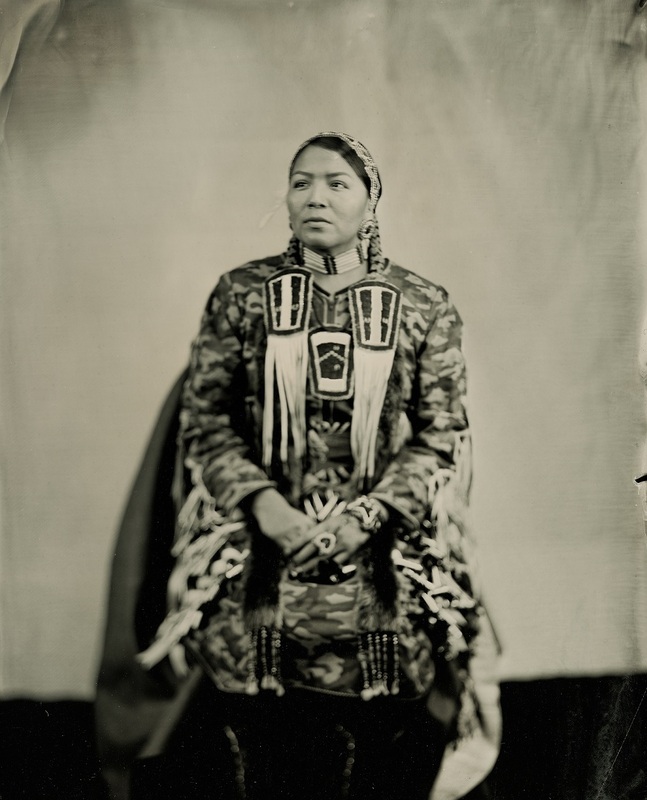 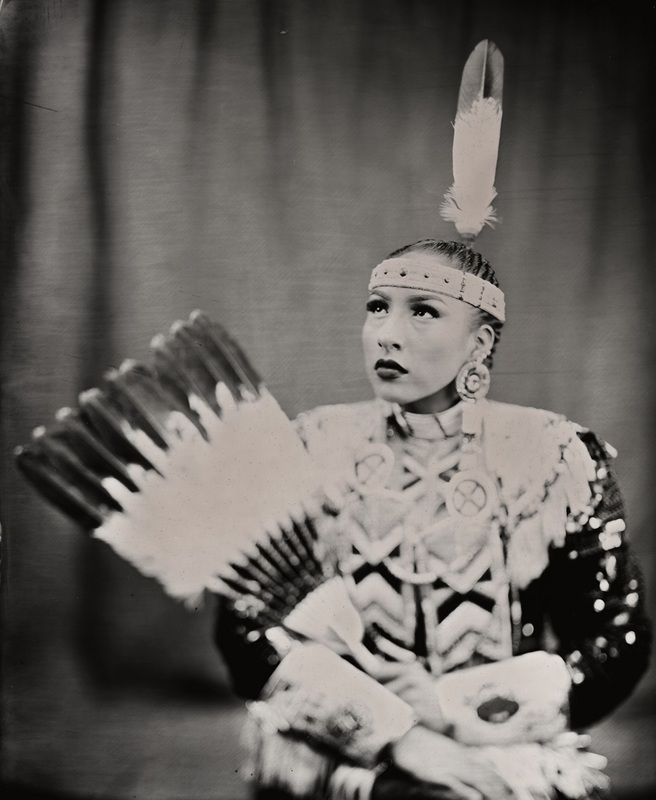 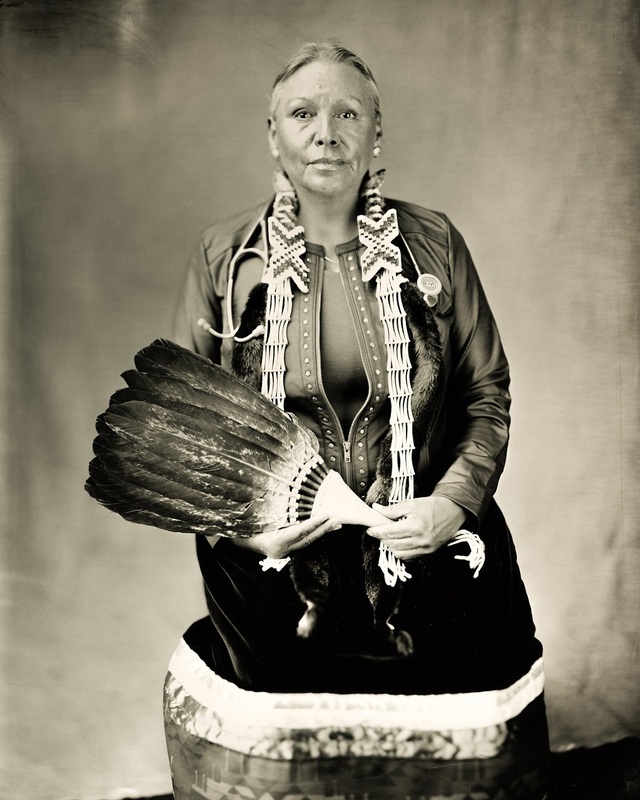 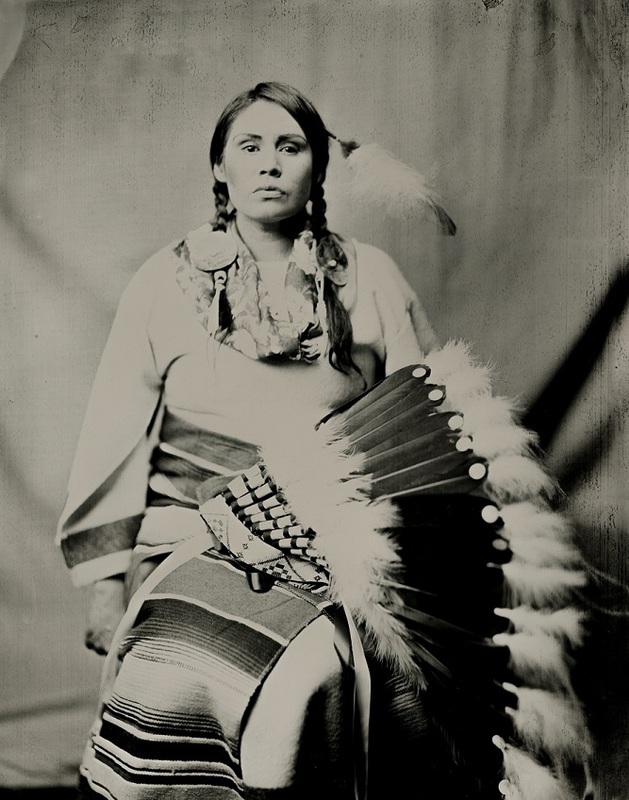 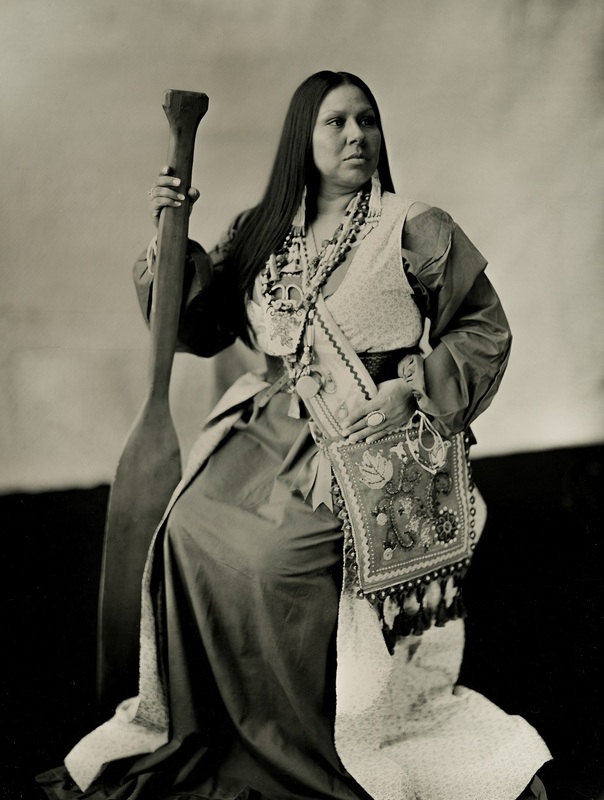 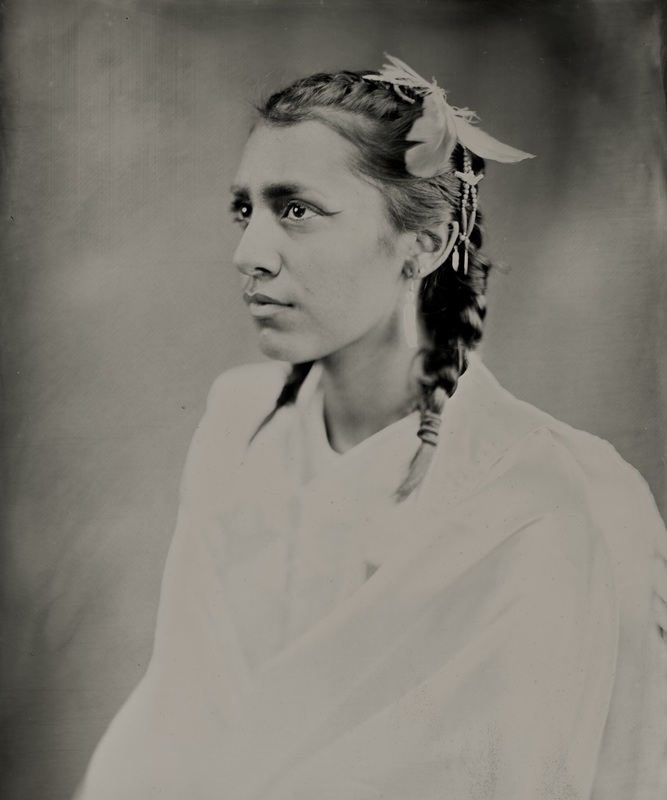 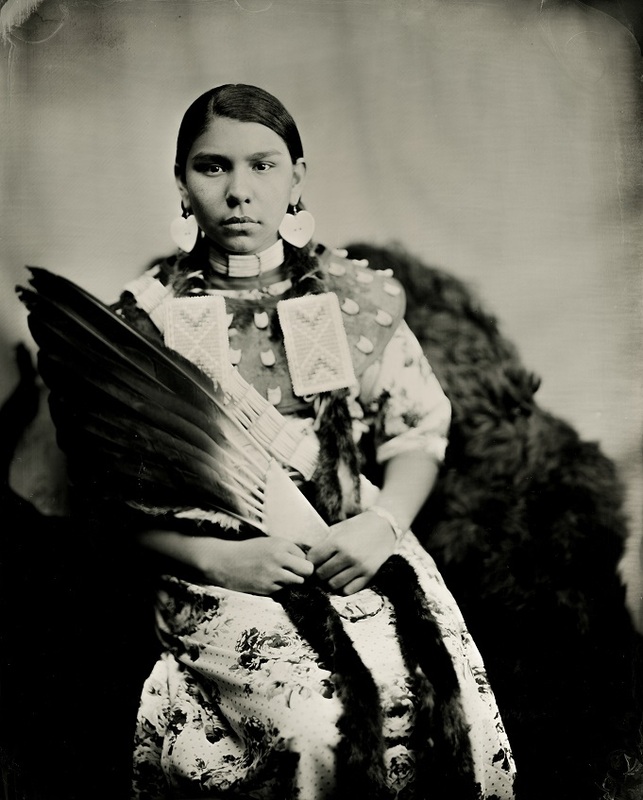 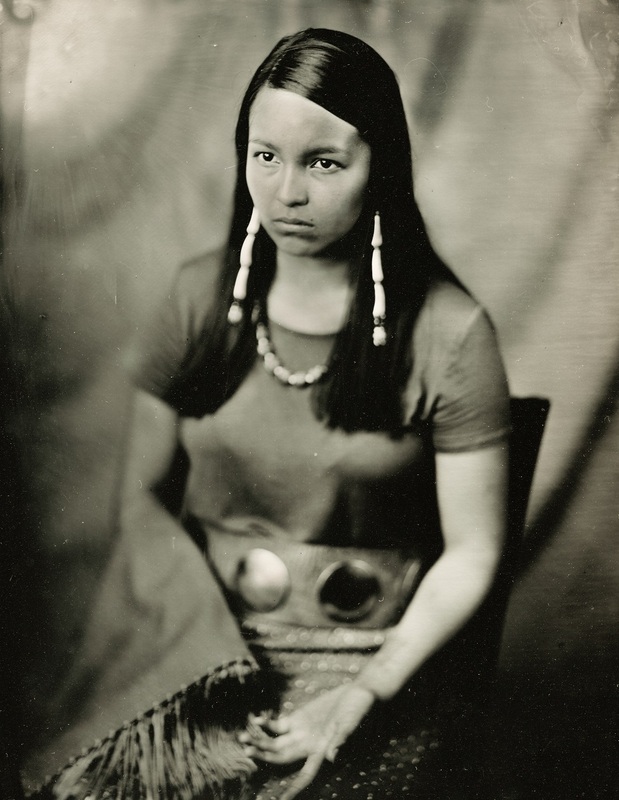 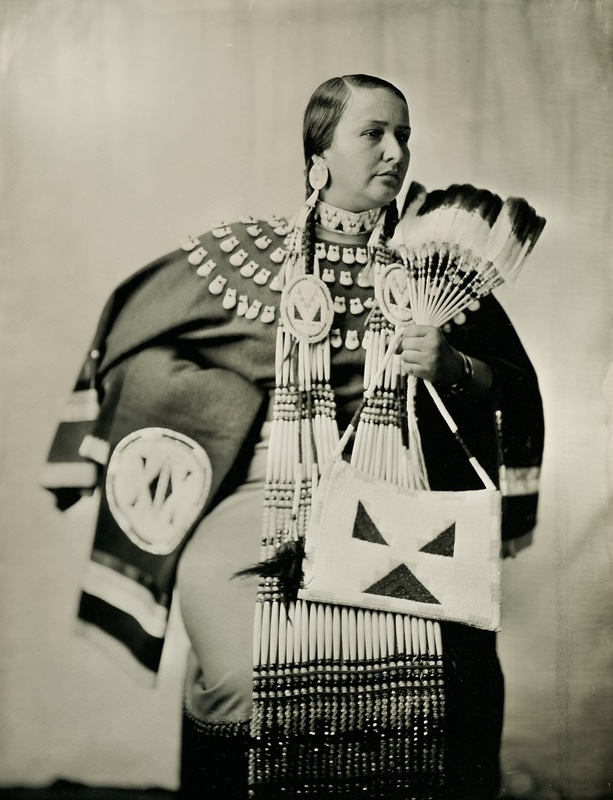 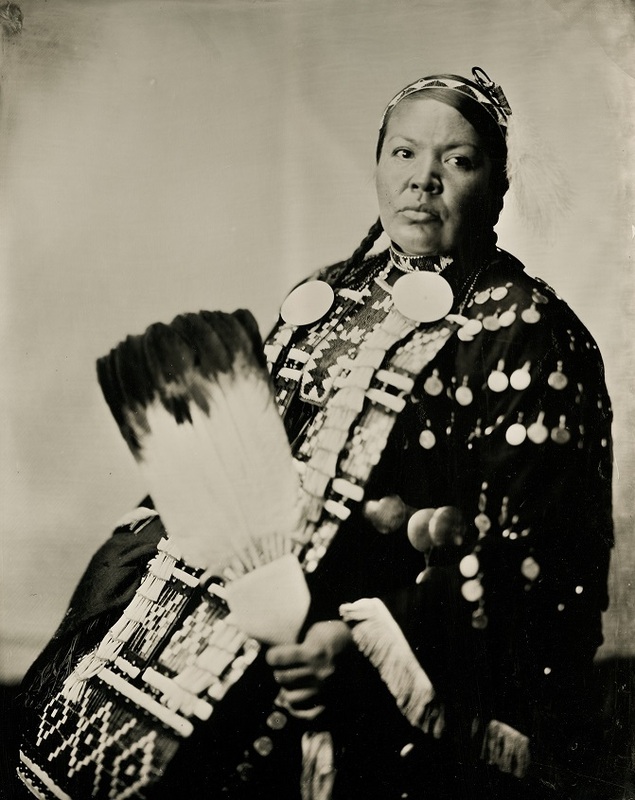 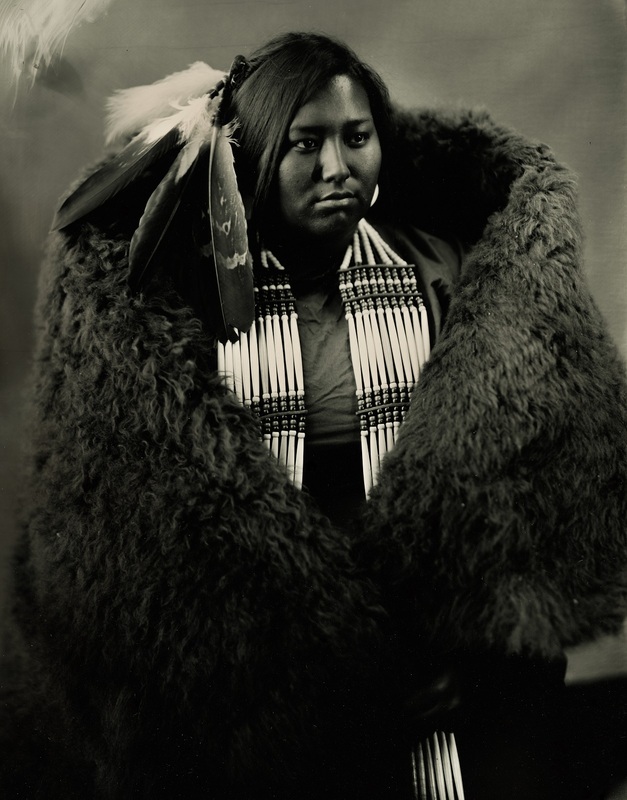 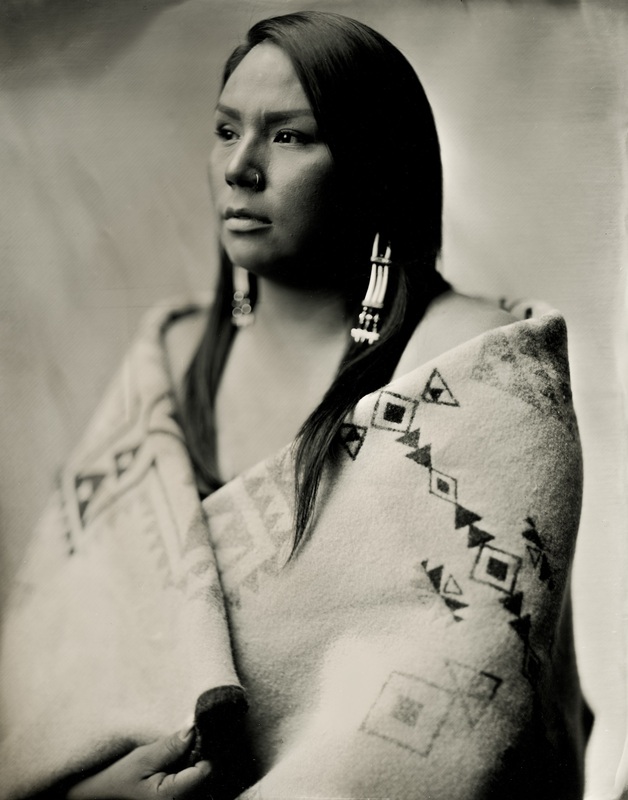 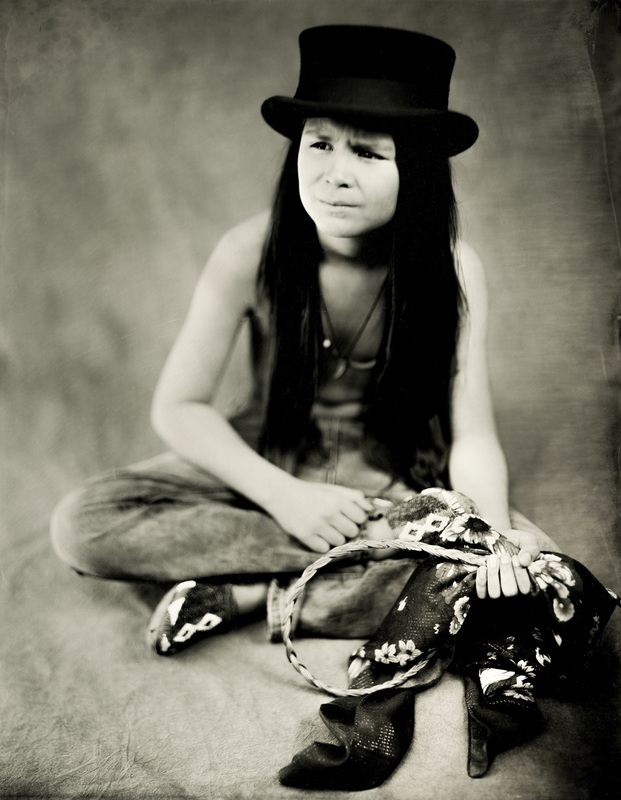 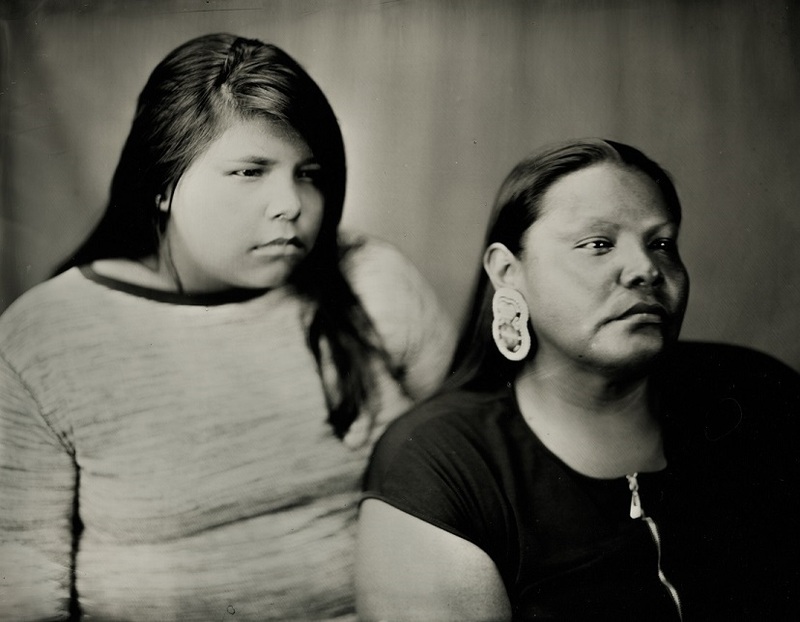 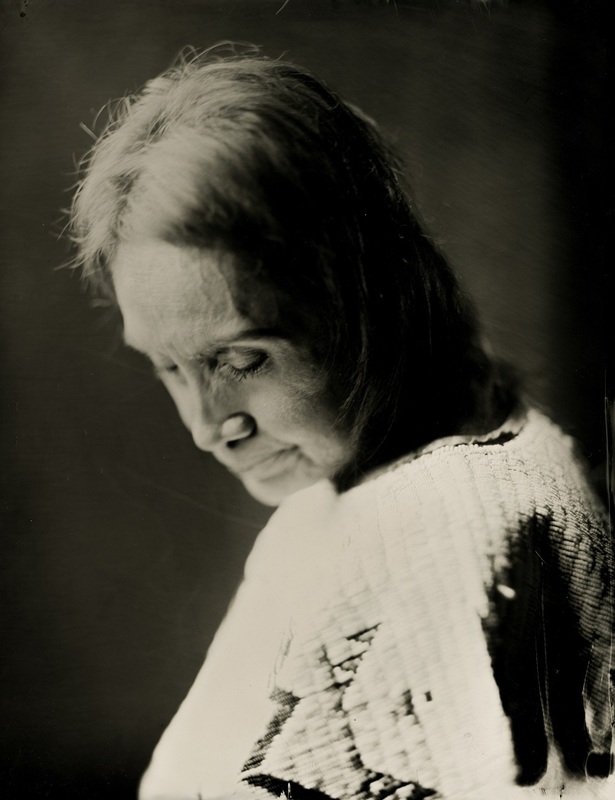 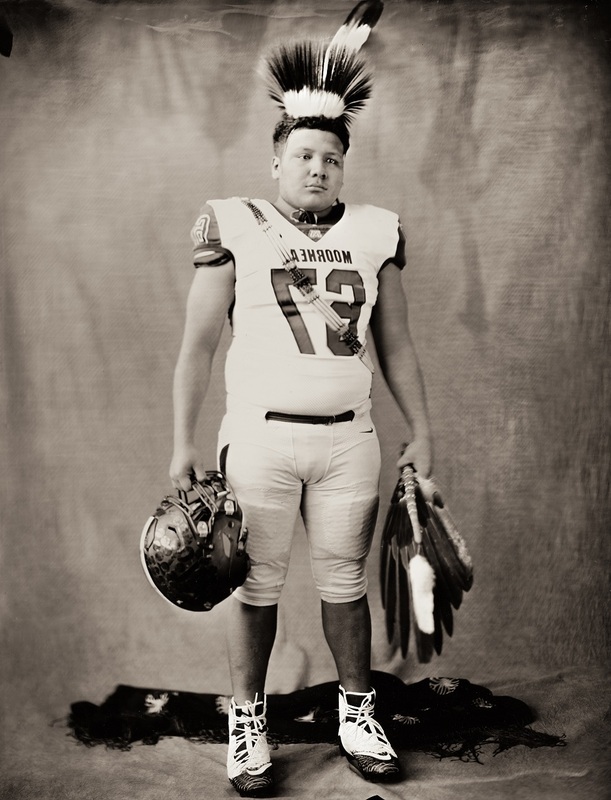 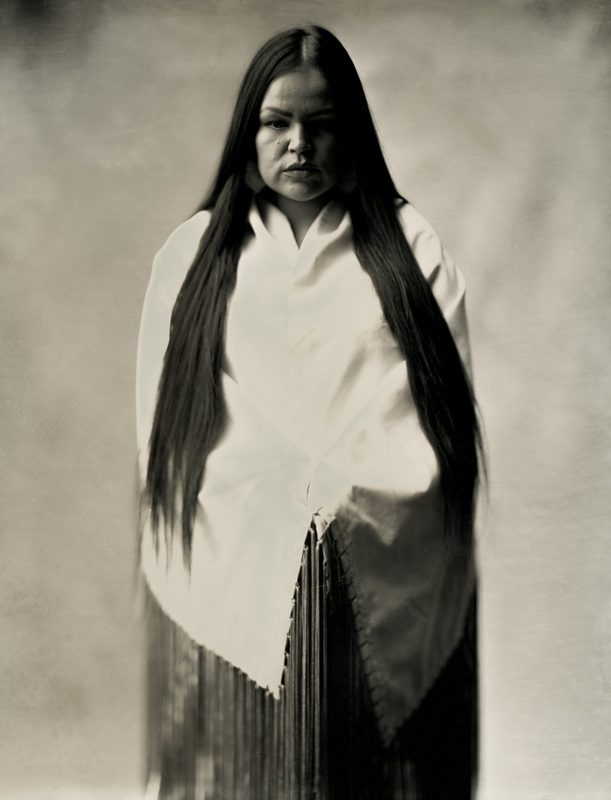 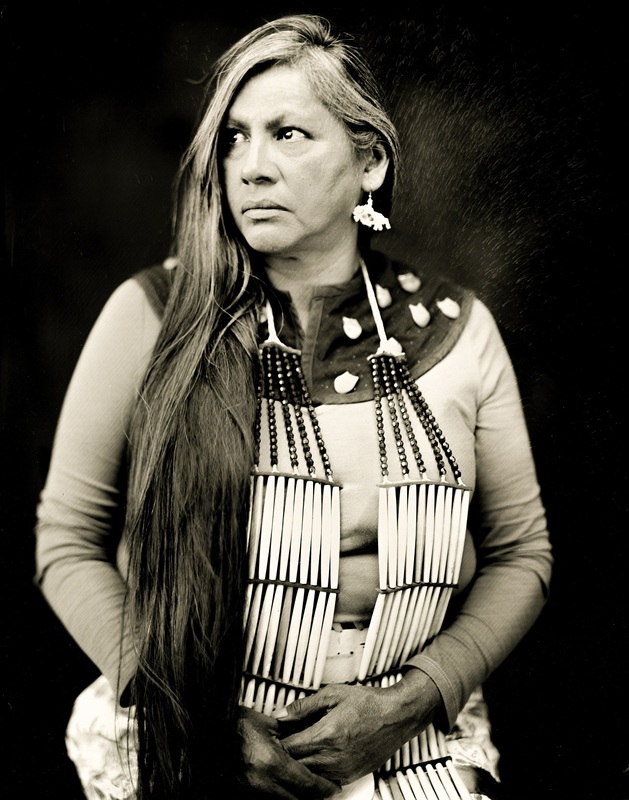 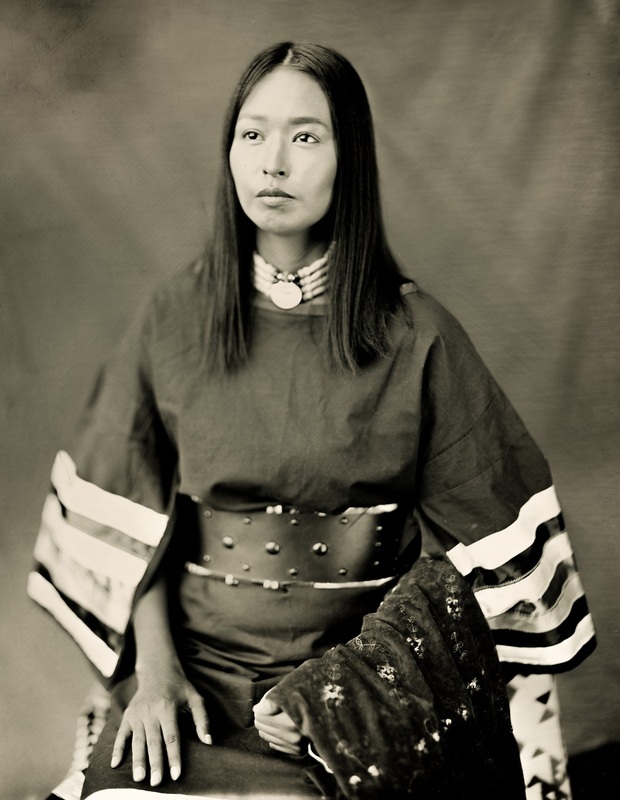 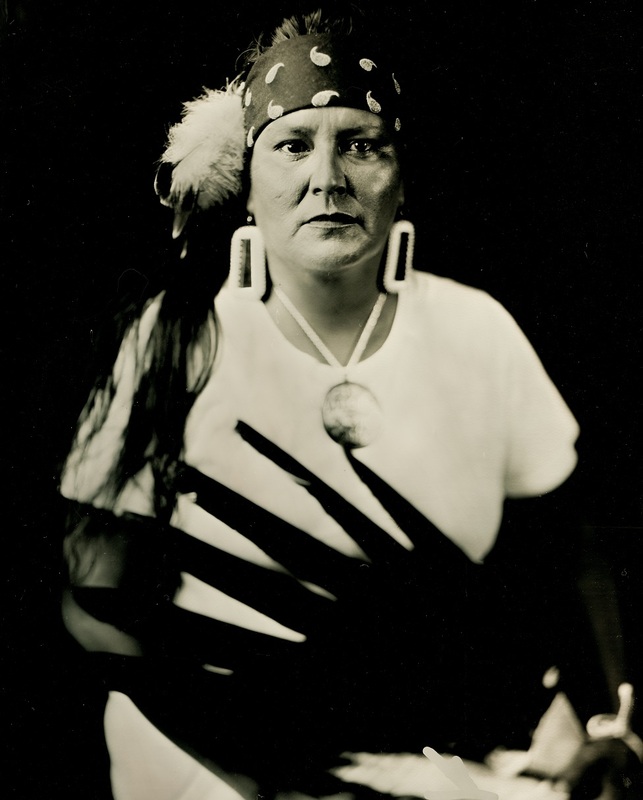 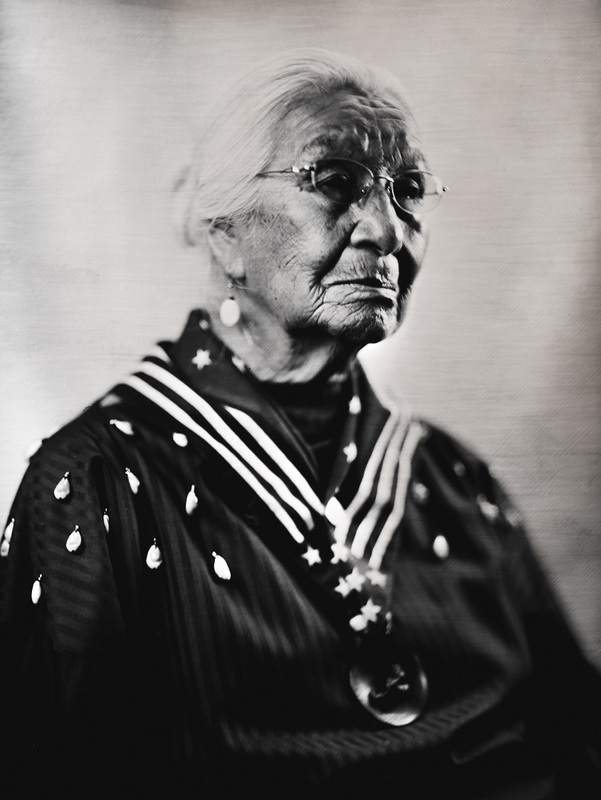 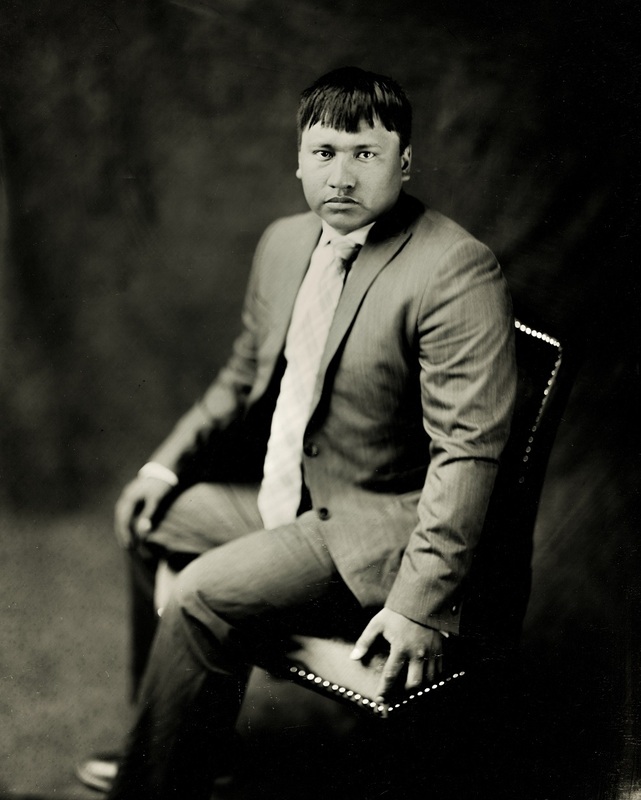 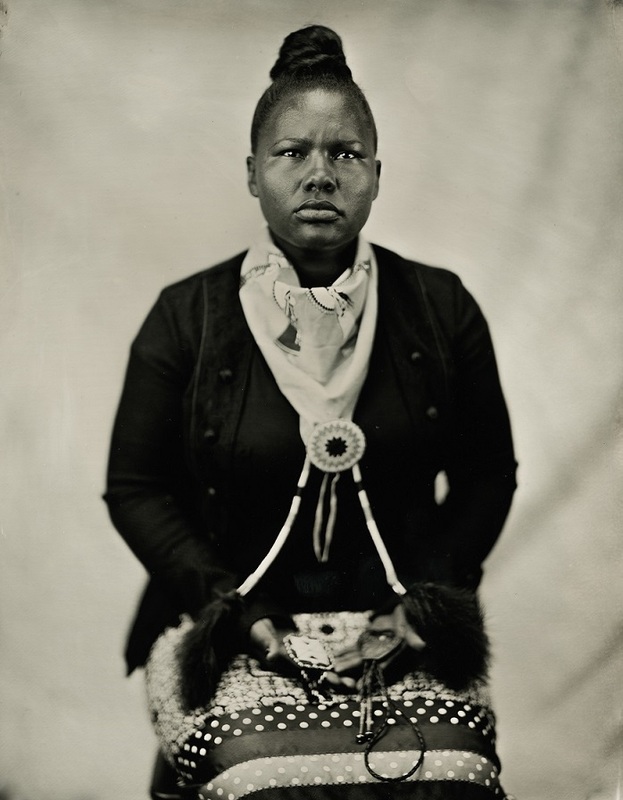 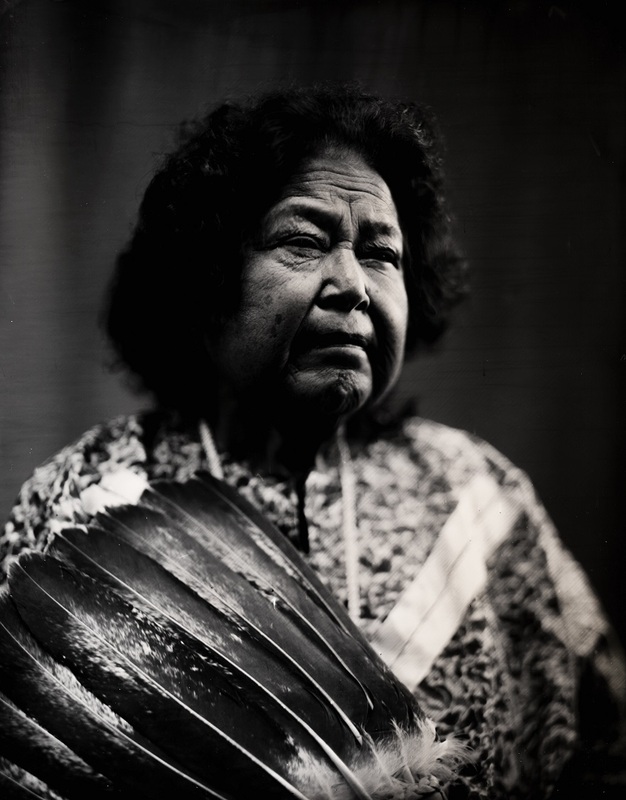 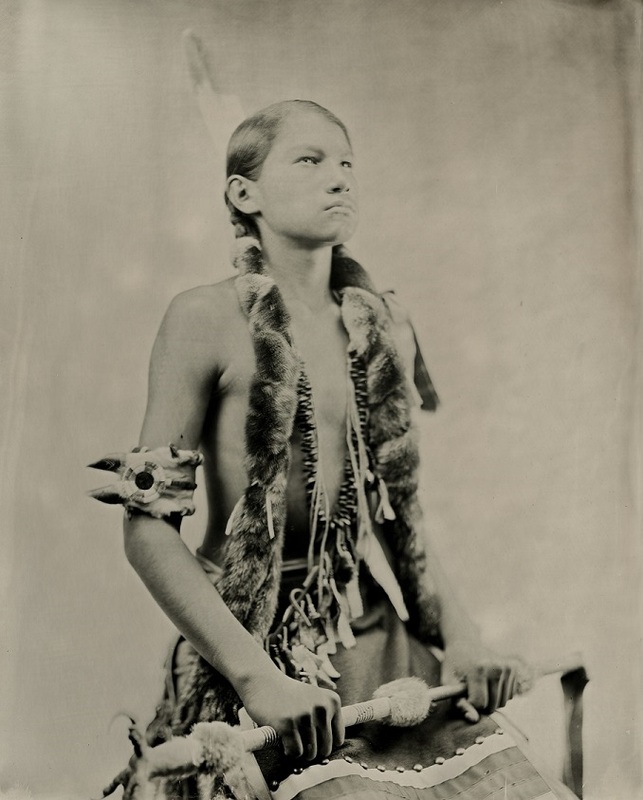 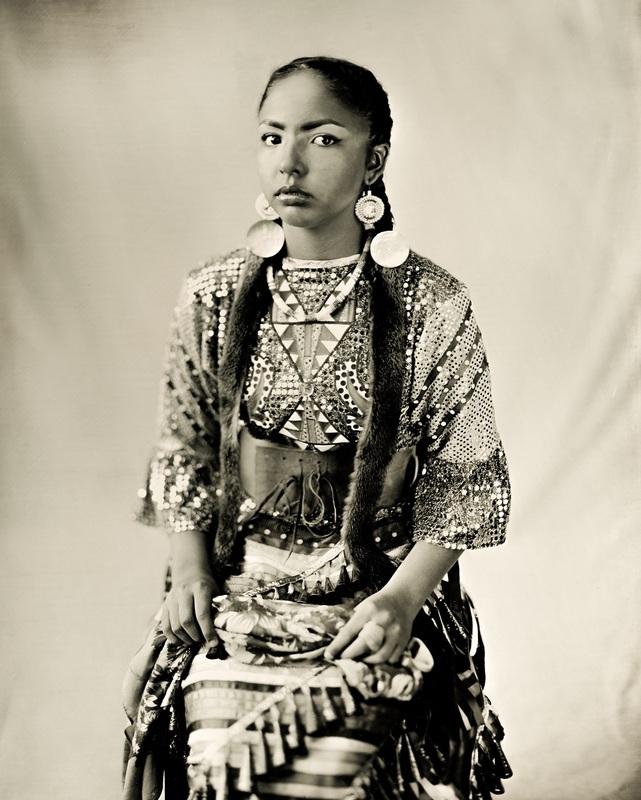 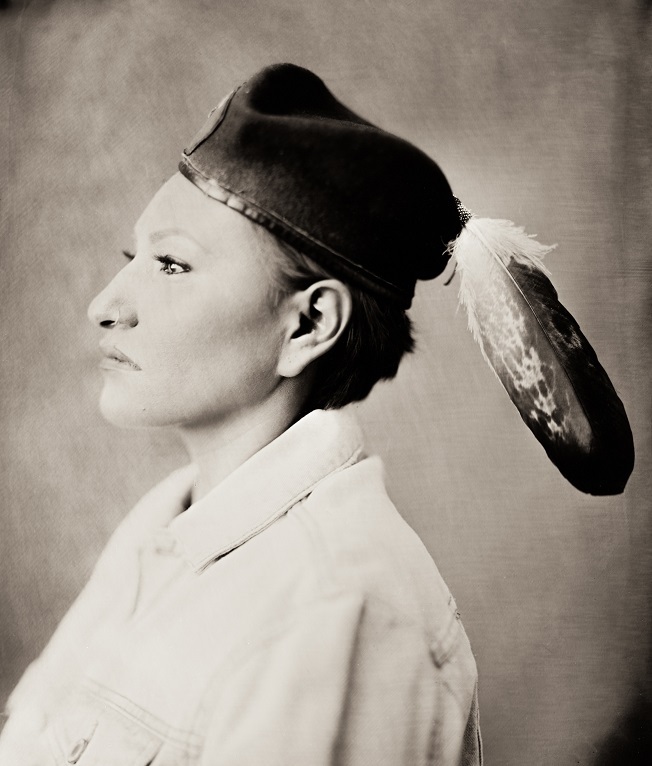 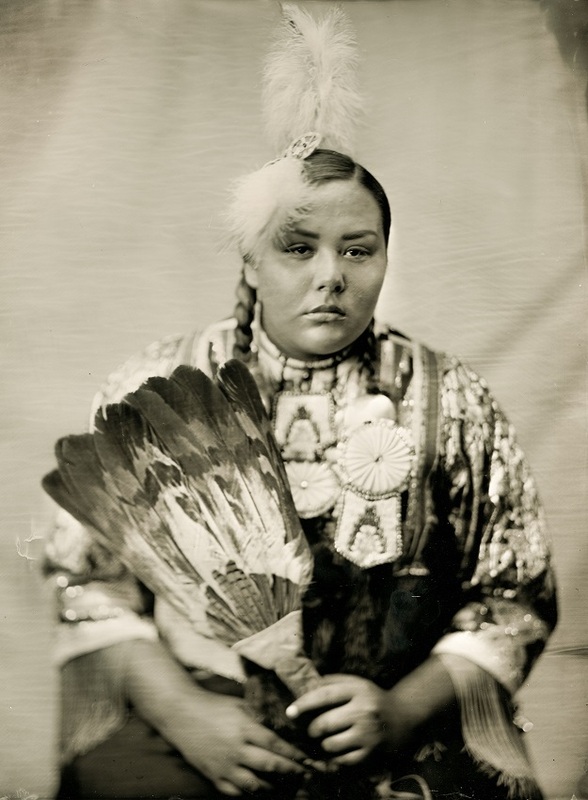 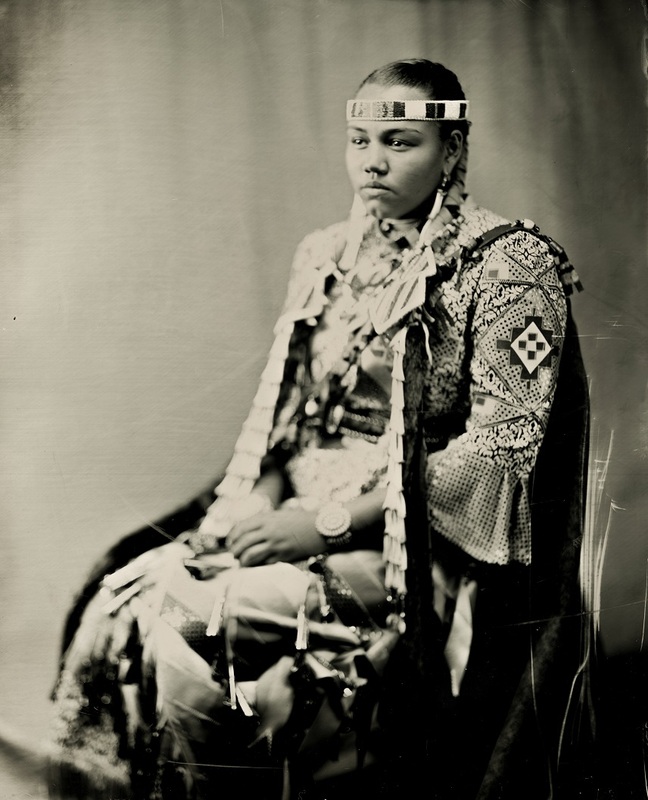 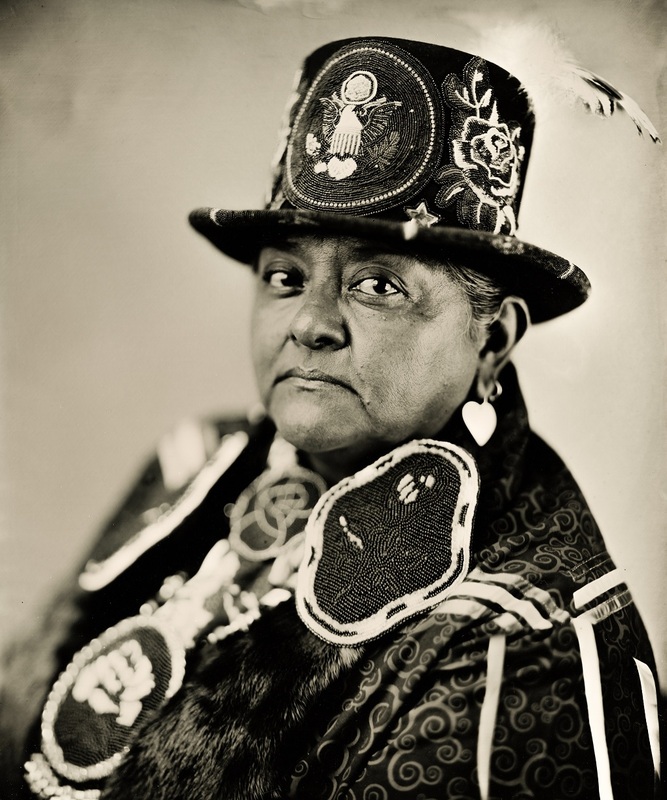 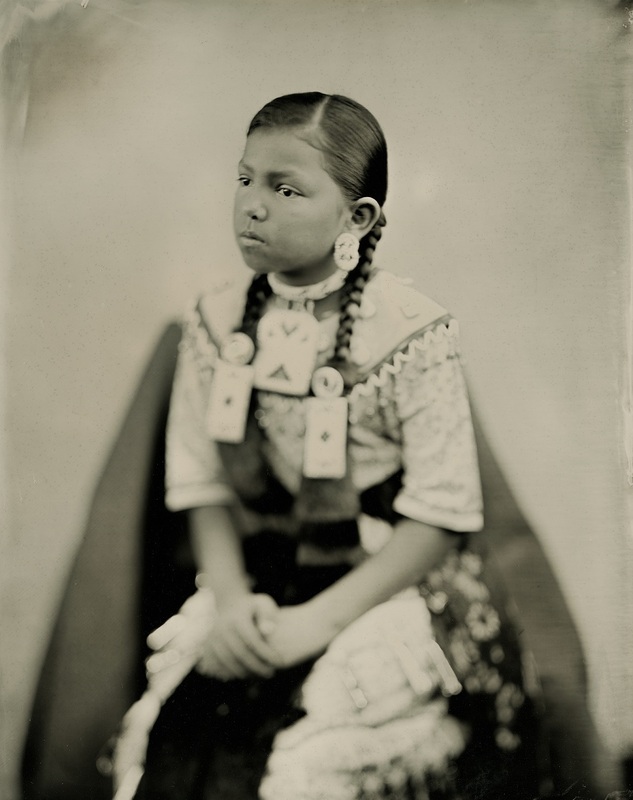 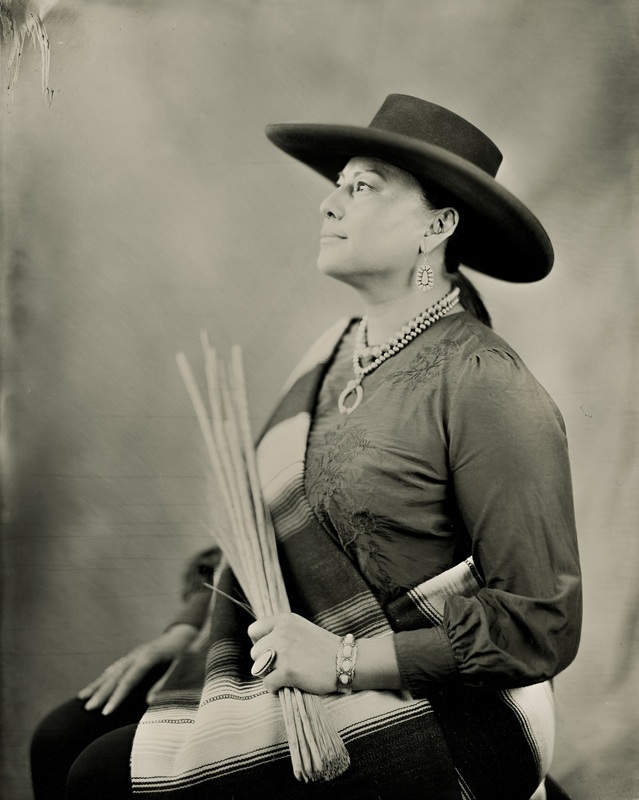 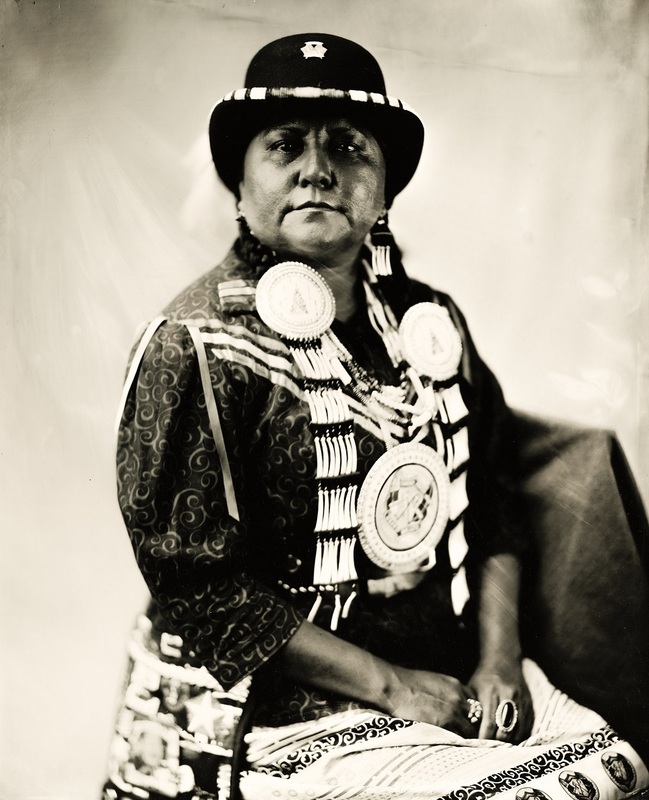 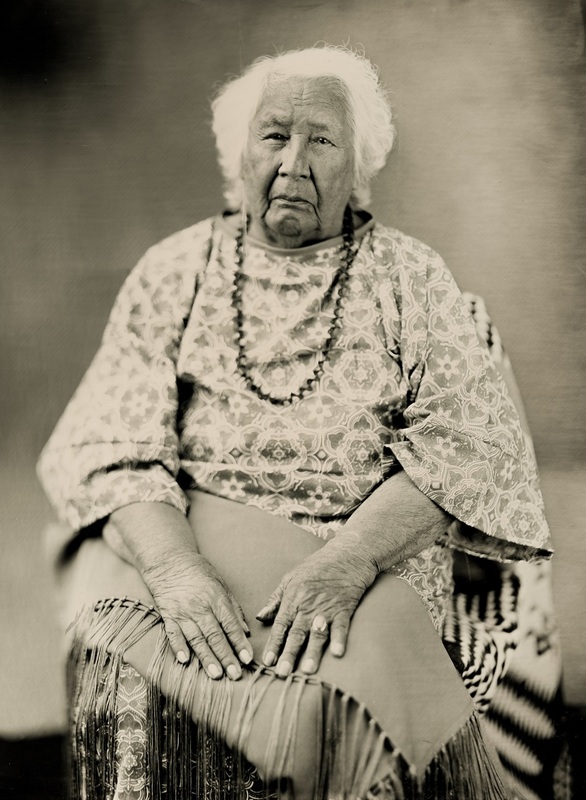 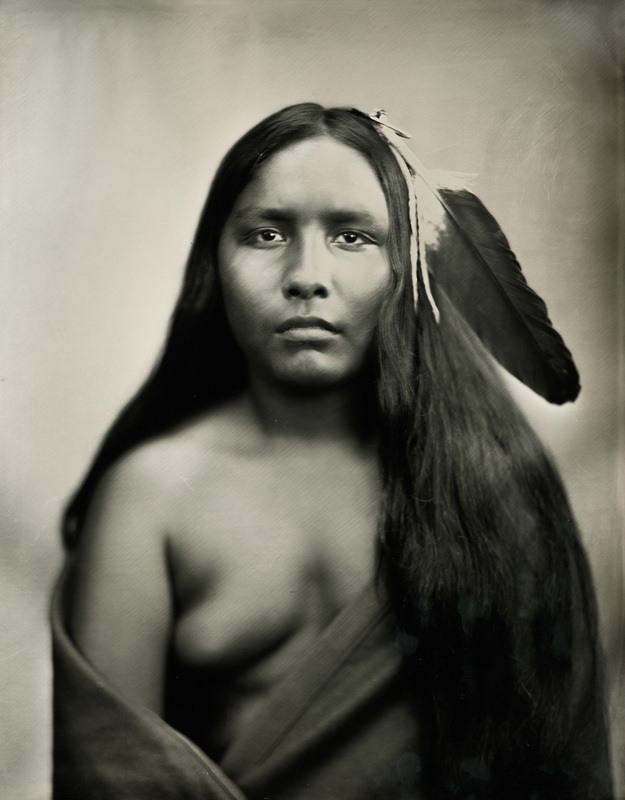 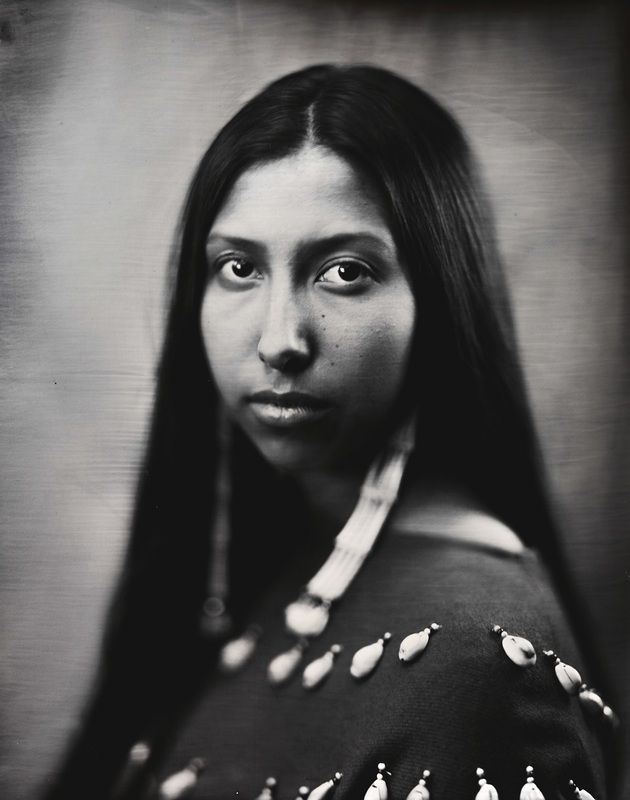 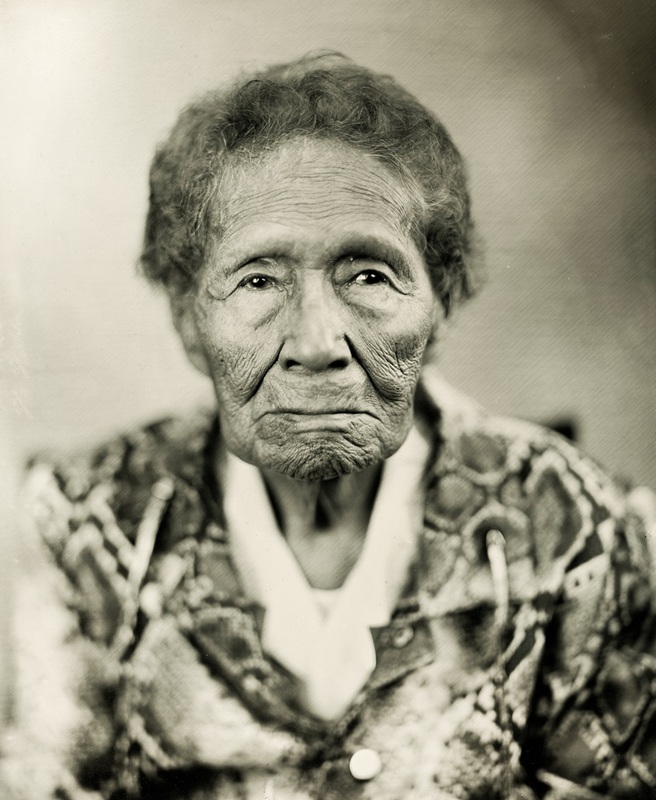 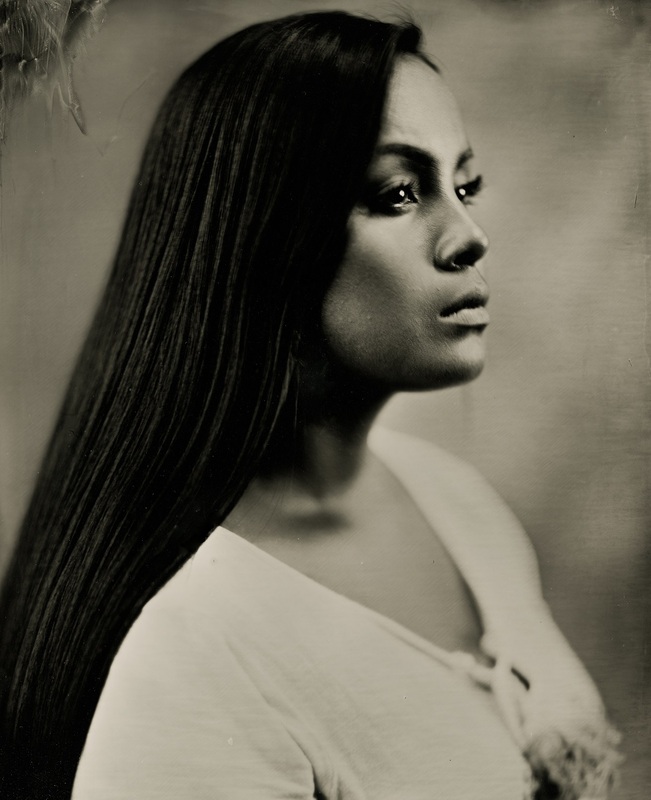 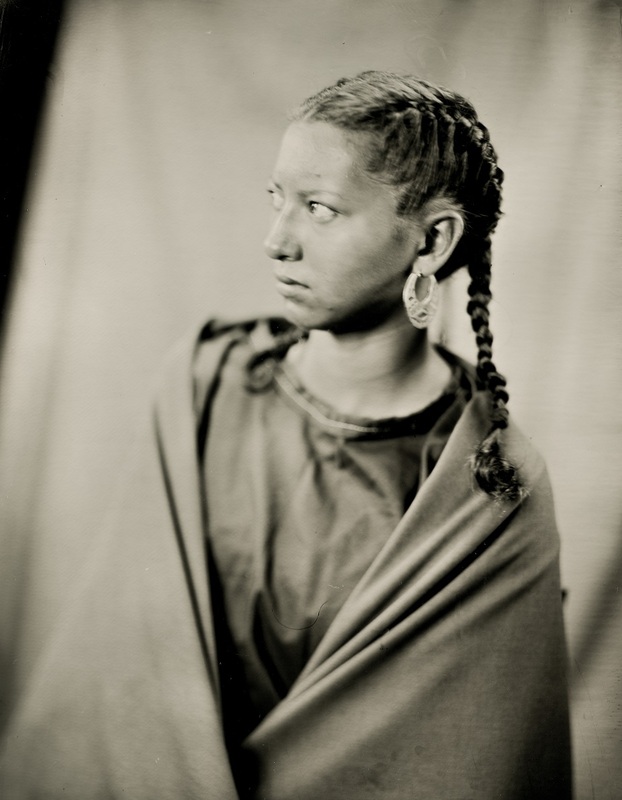 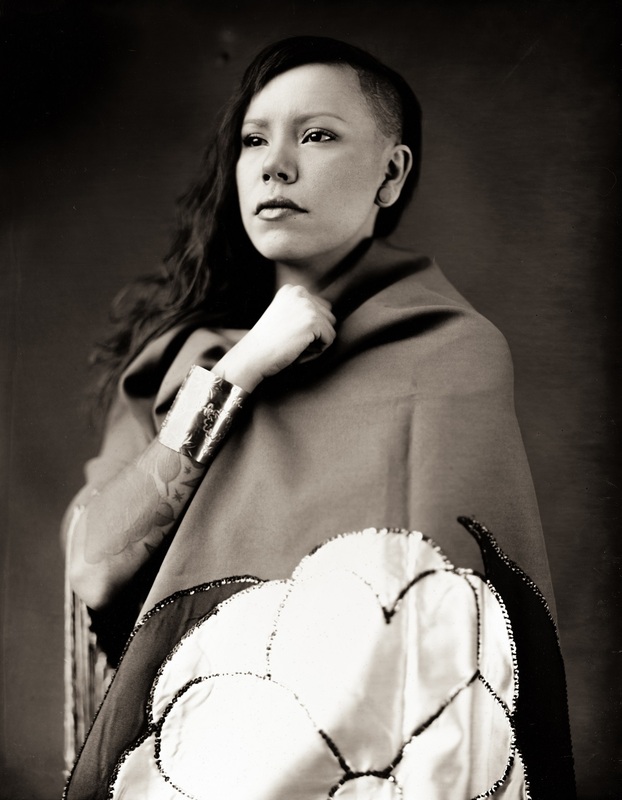 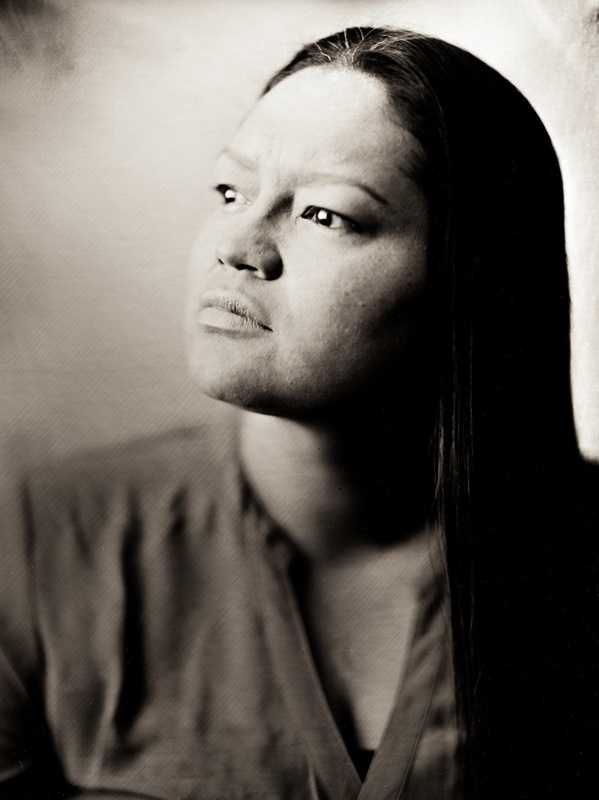 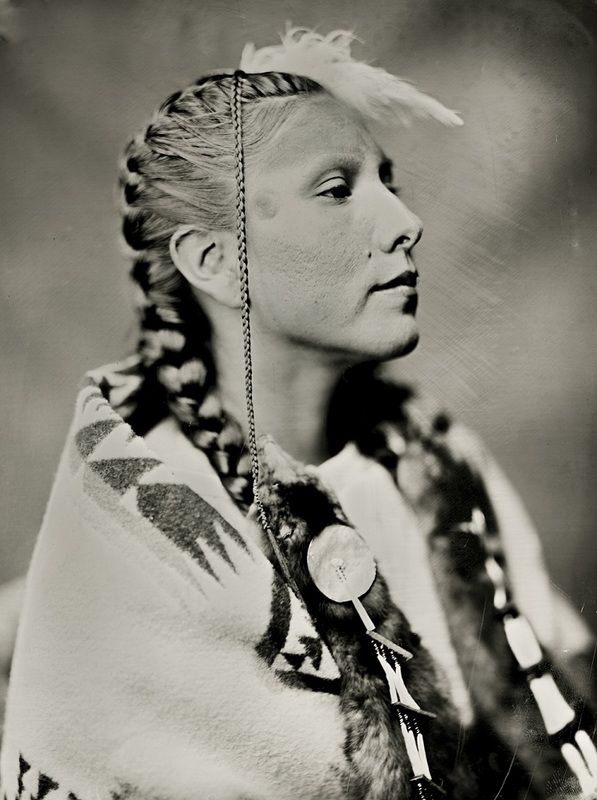 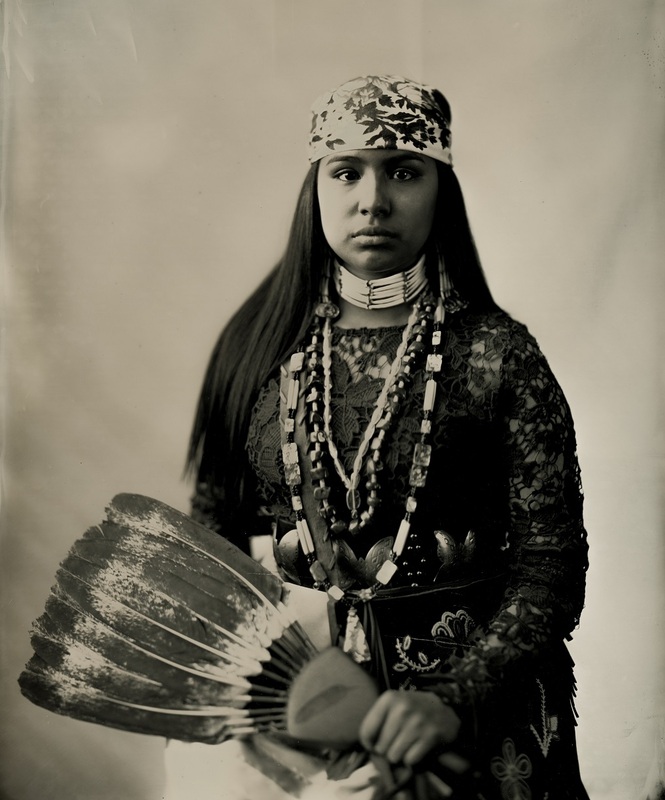 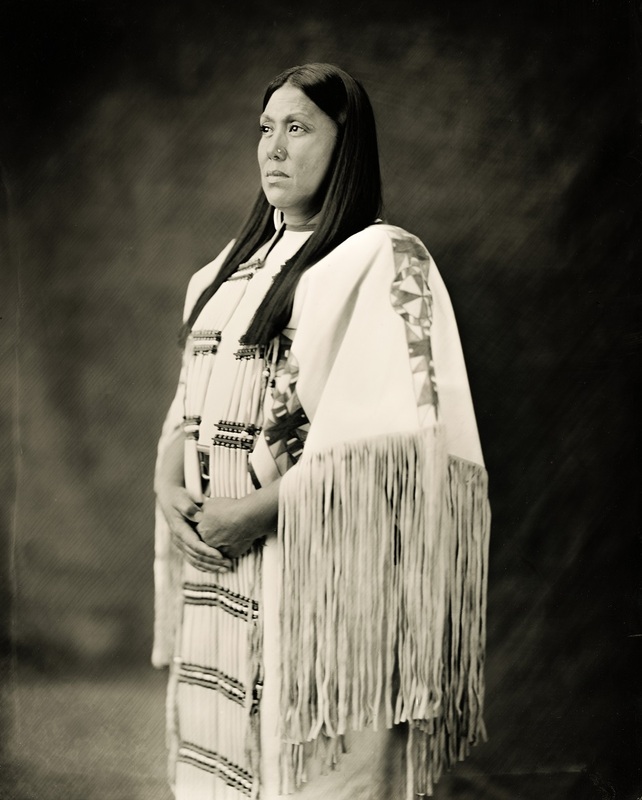 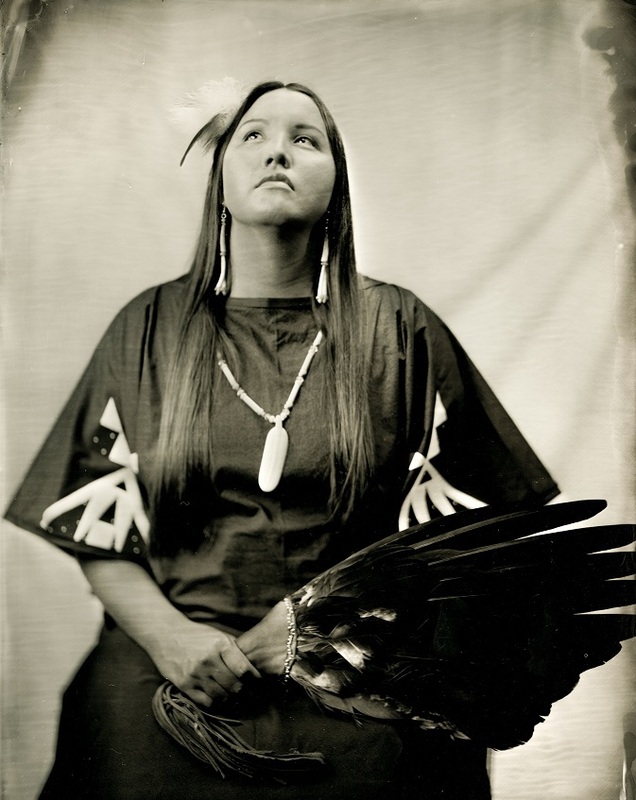 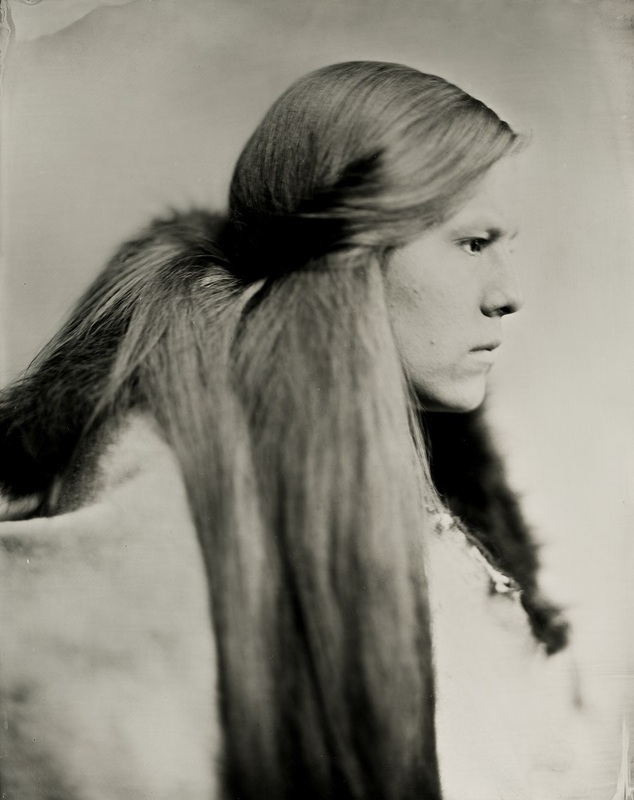 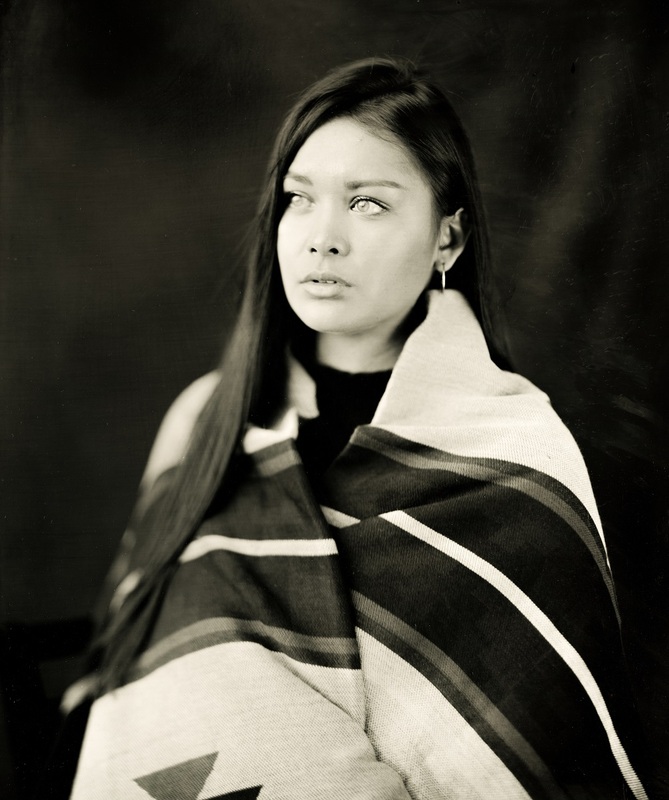 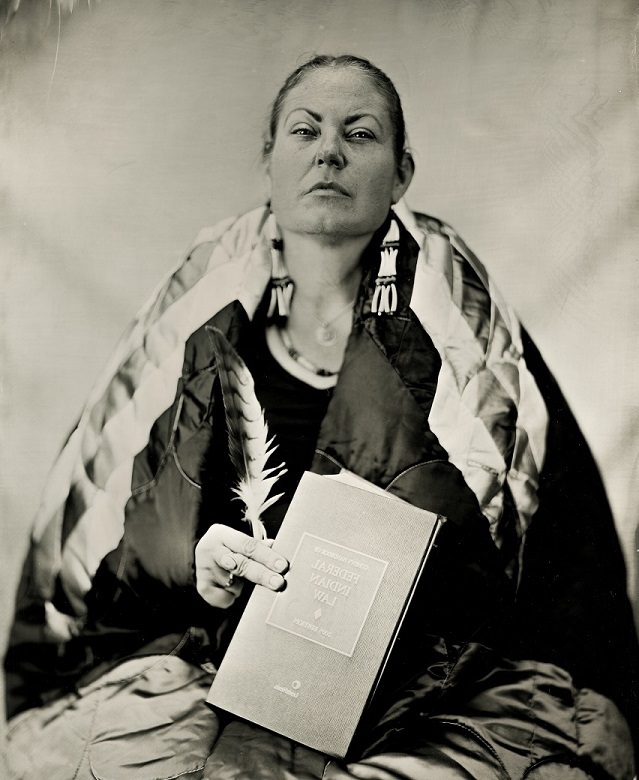 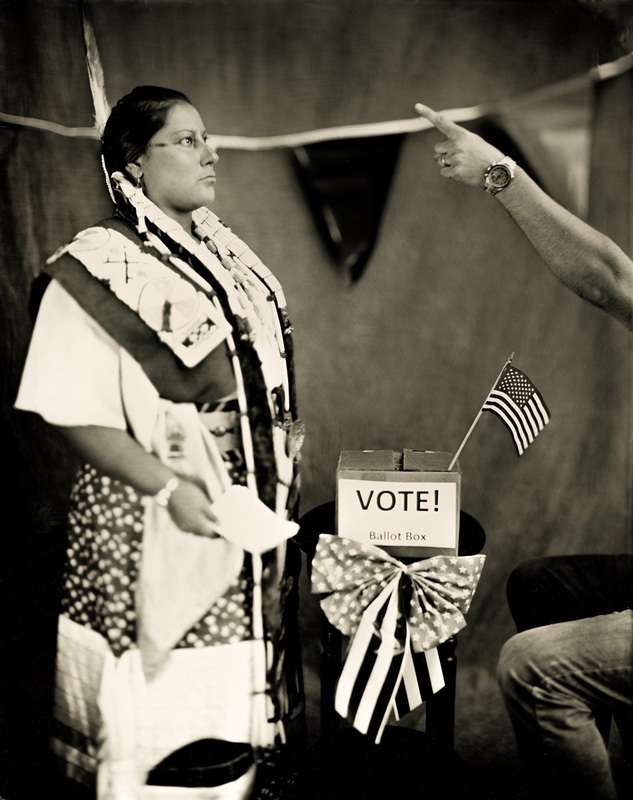 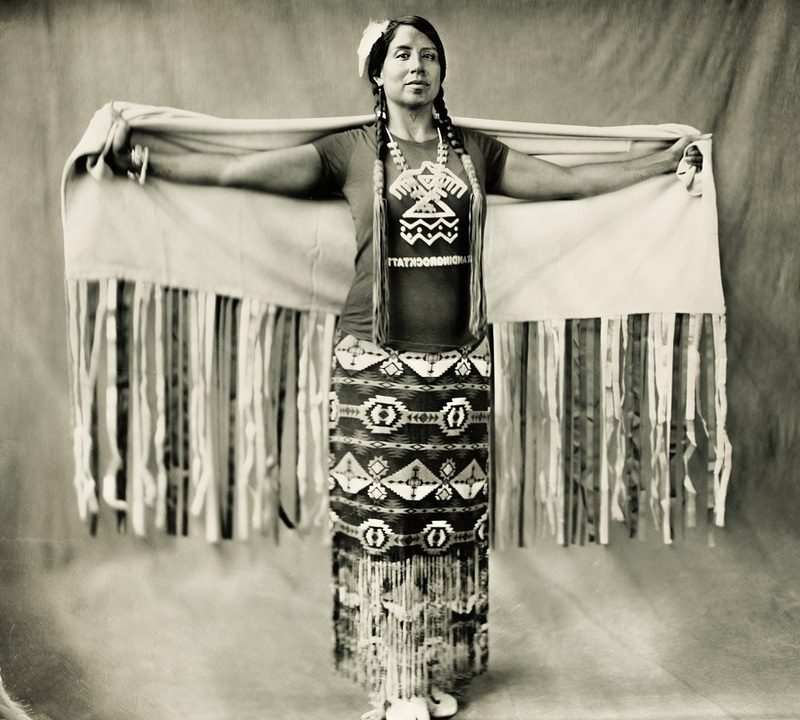 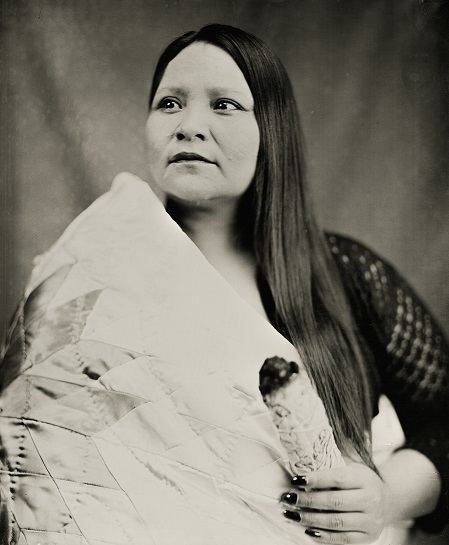 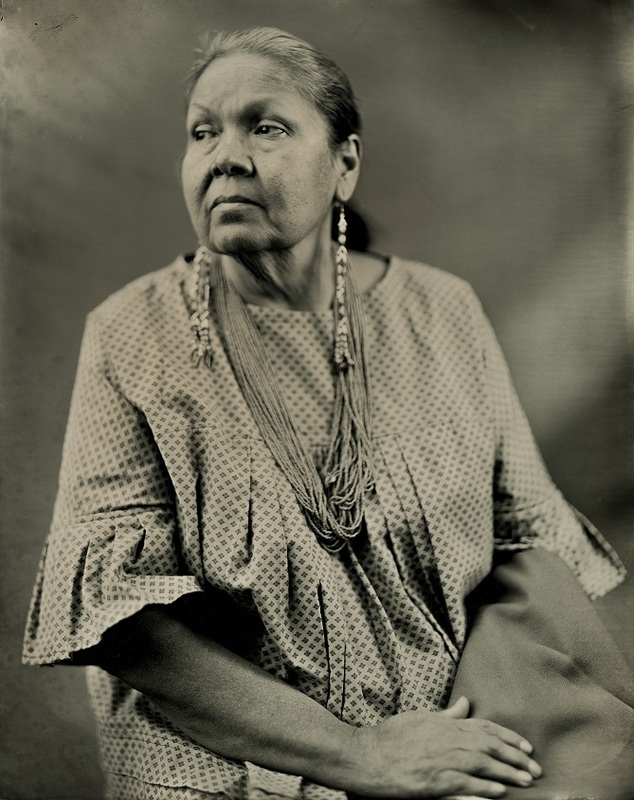 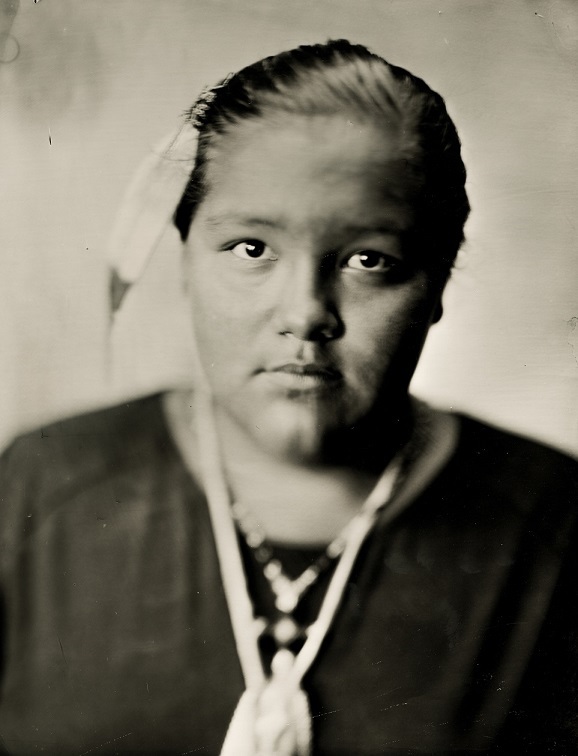 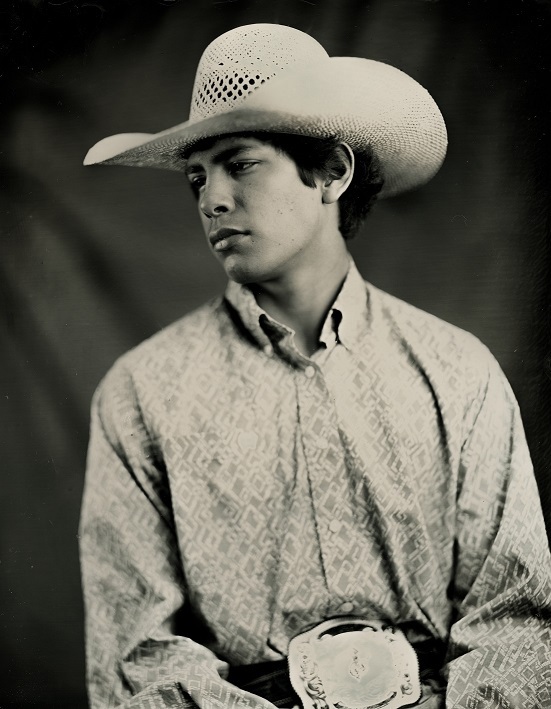 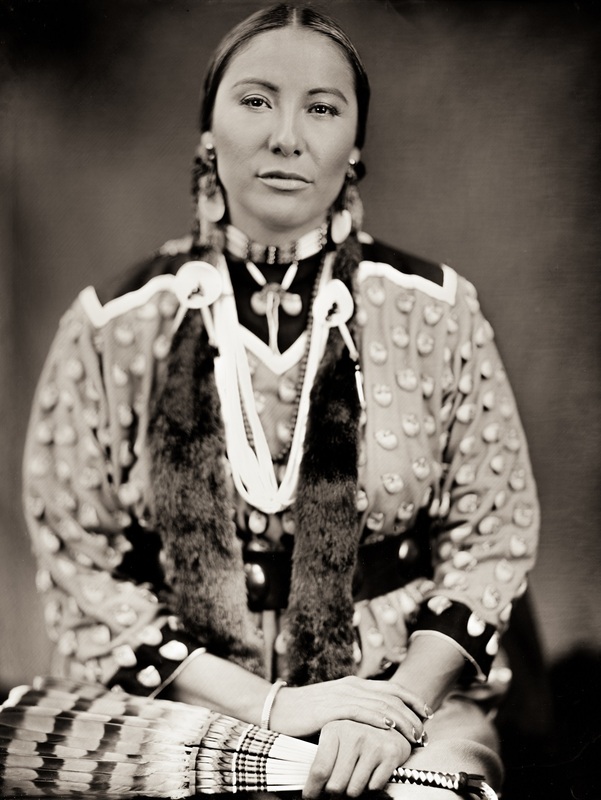 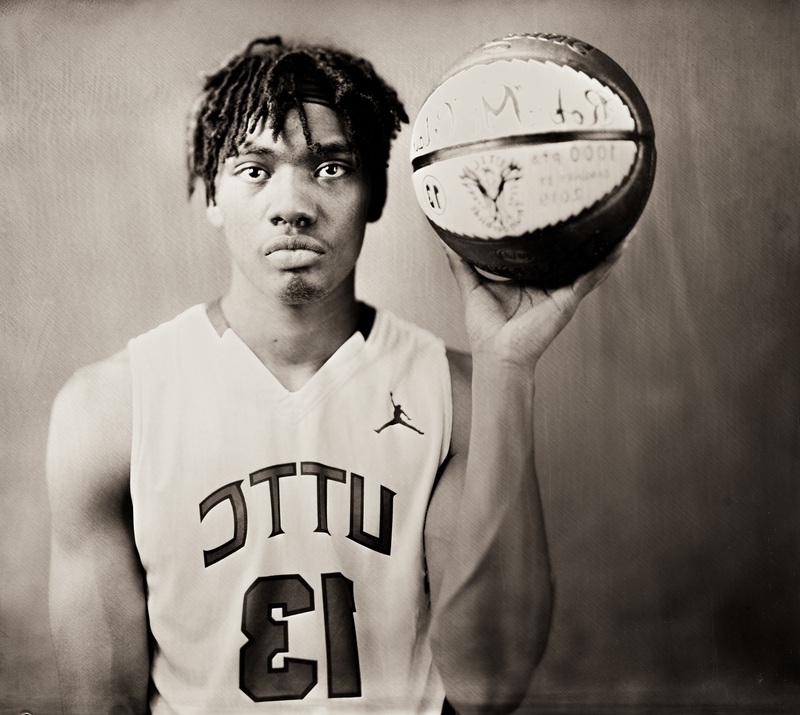 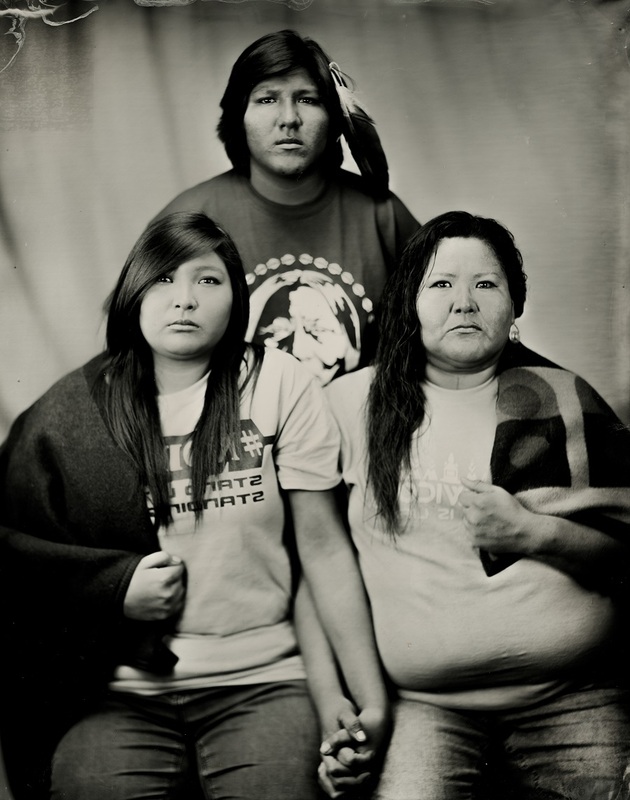 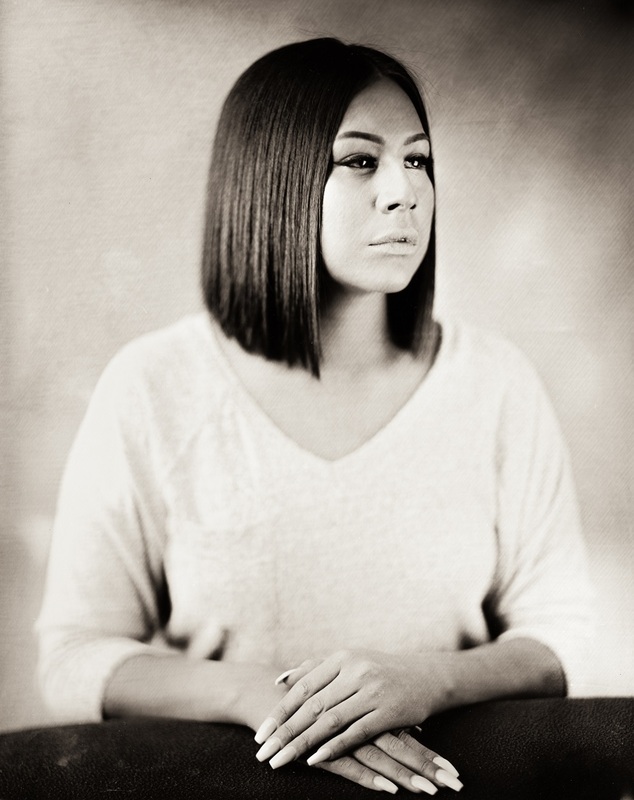 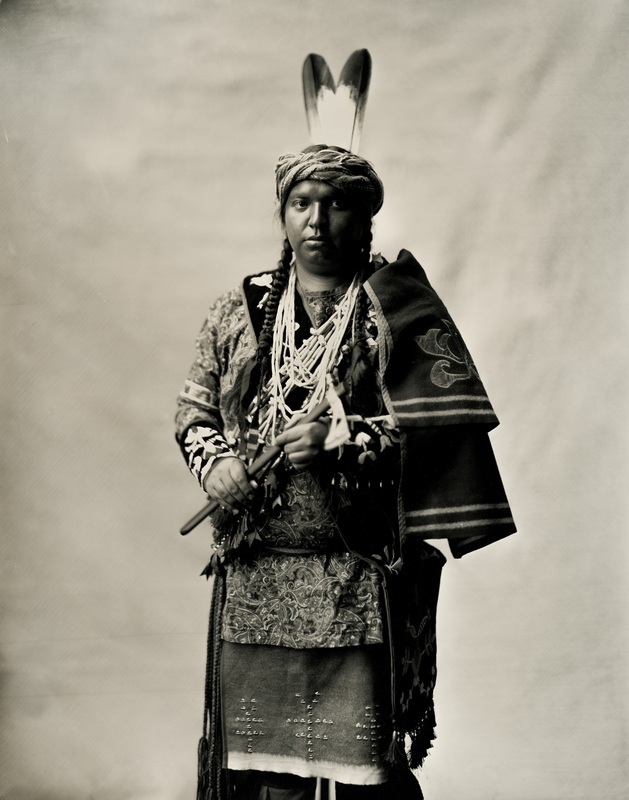 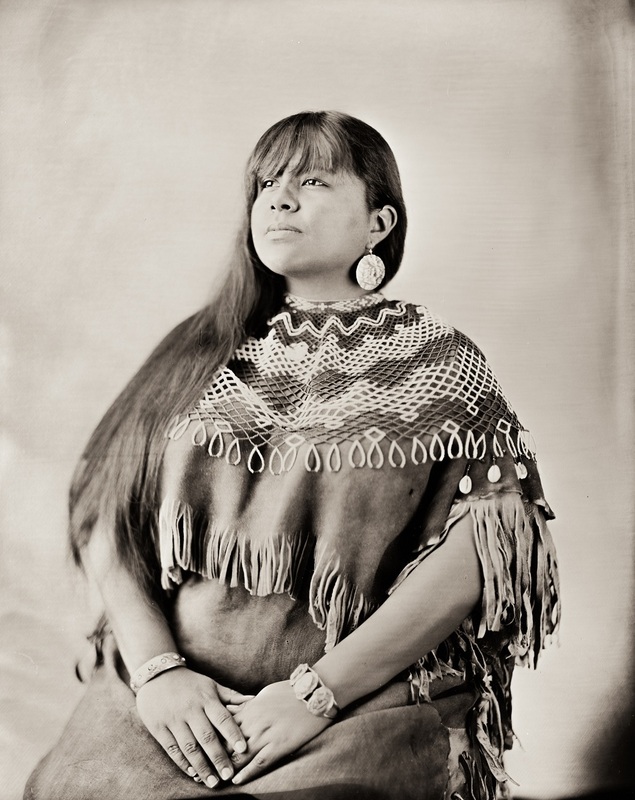 I quickly set a goal of making 50 large 8x10" black glass ambrotypes of the Native American community in modern day. 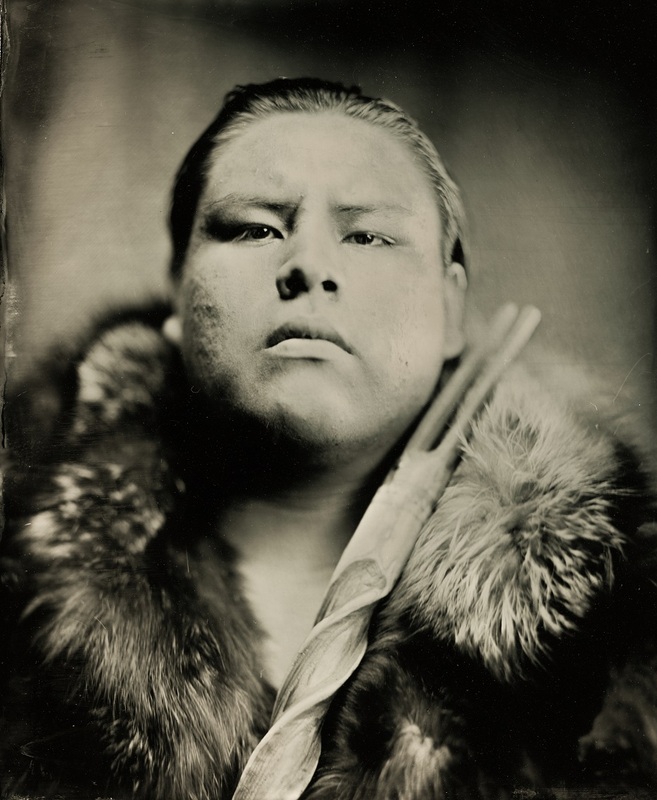 I have since abandoned the 50 plate limit and now plan on making 1000 wet plates of this fabulous culture, a 20 year commitment. 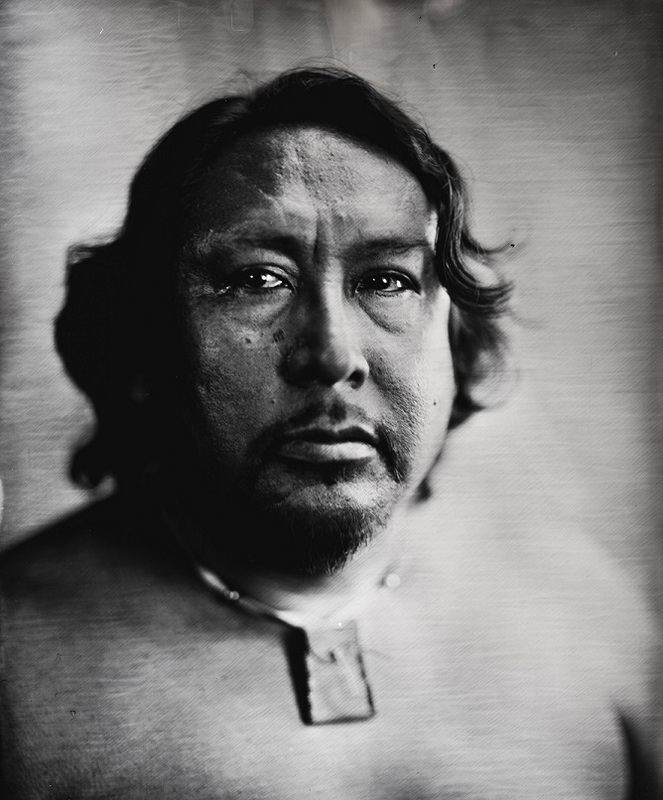 It is a huge honor to follow in the footsteps of previous wet plate photographers that had similar series in the 19th Century. 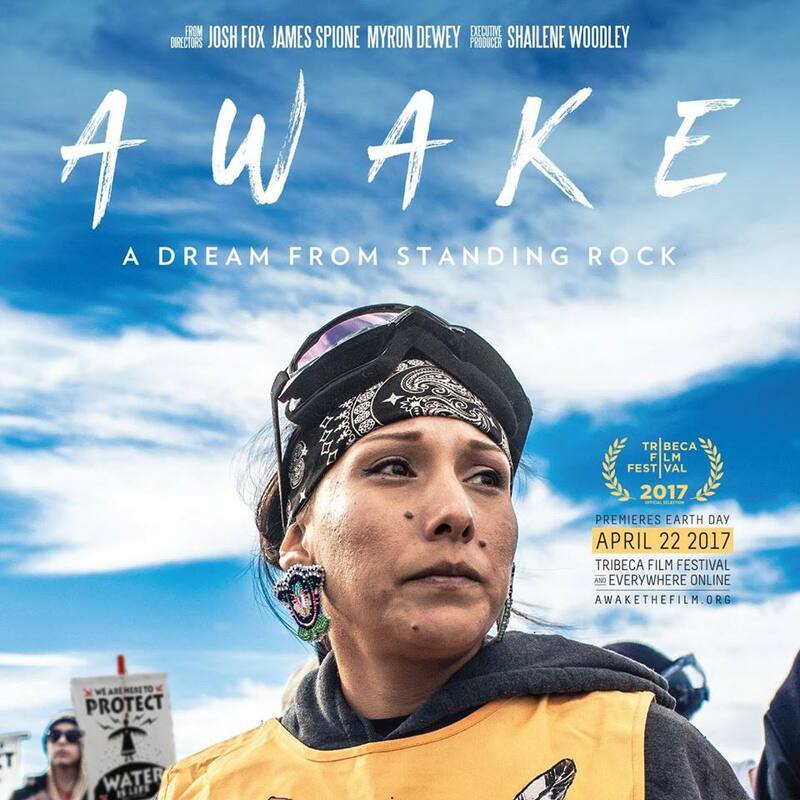 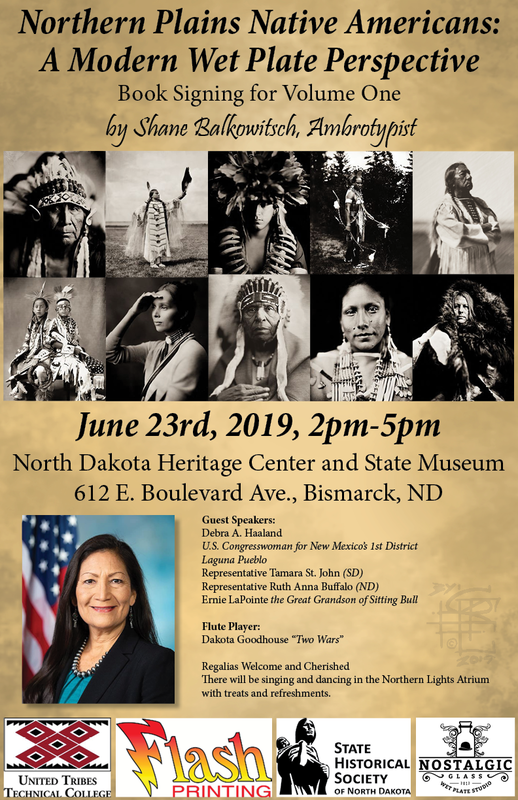 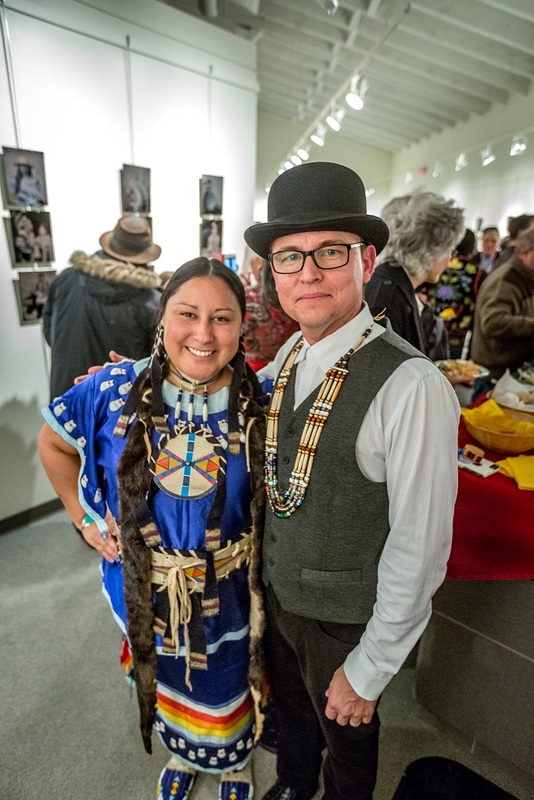 On my journey, I have befriended Dakota Goodhouse a local historian and instructor at United Tribes as well as Margaret Landin. 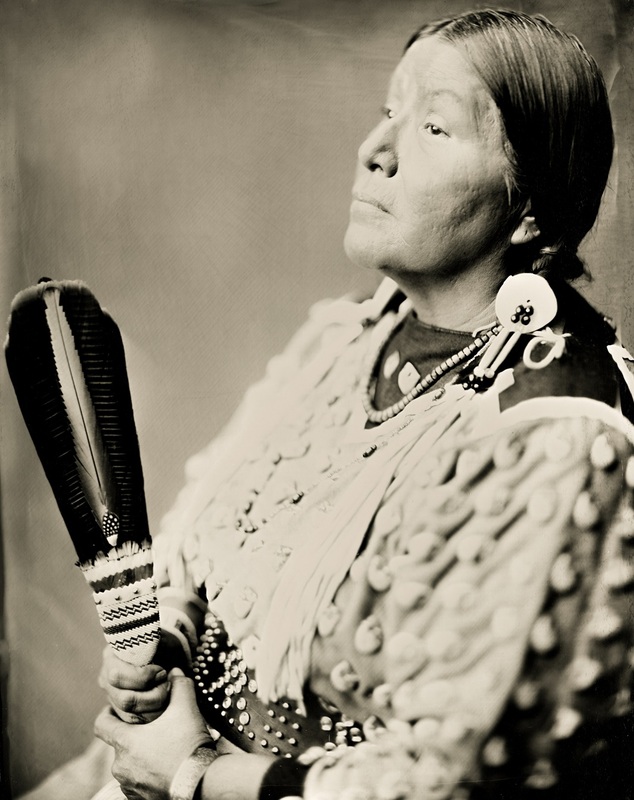 They have been instrumental in being a liaison between myself and the different members of the tribes. 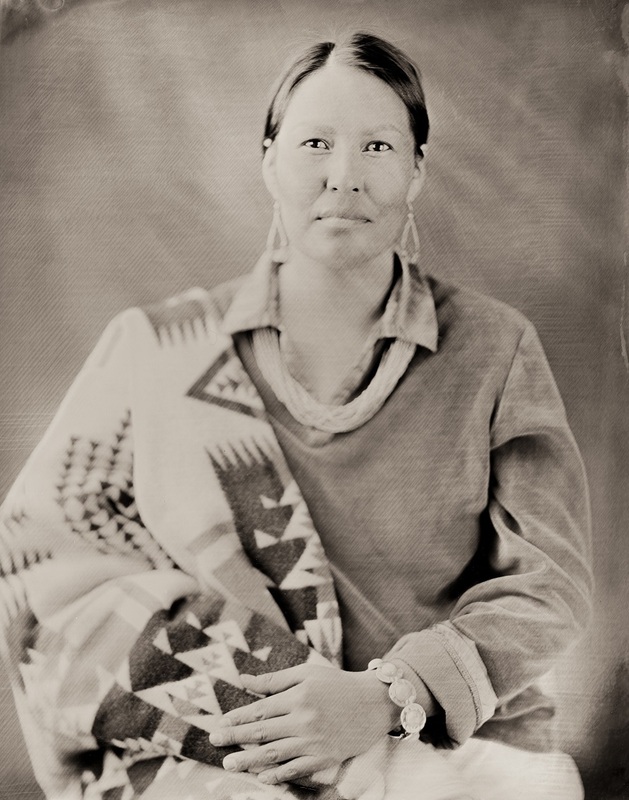 Margaret has been present for most of the portrait sessions. 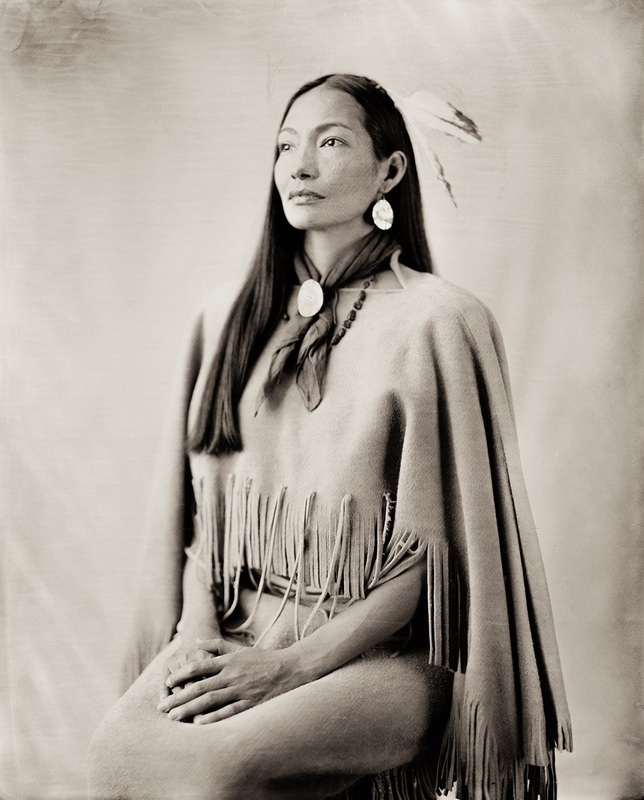 Her role is to make sure that all the Native American elements that I am photographing are presented properly with dignity and respect. 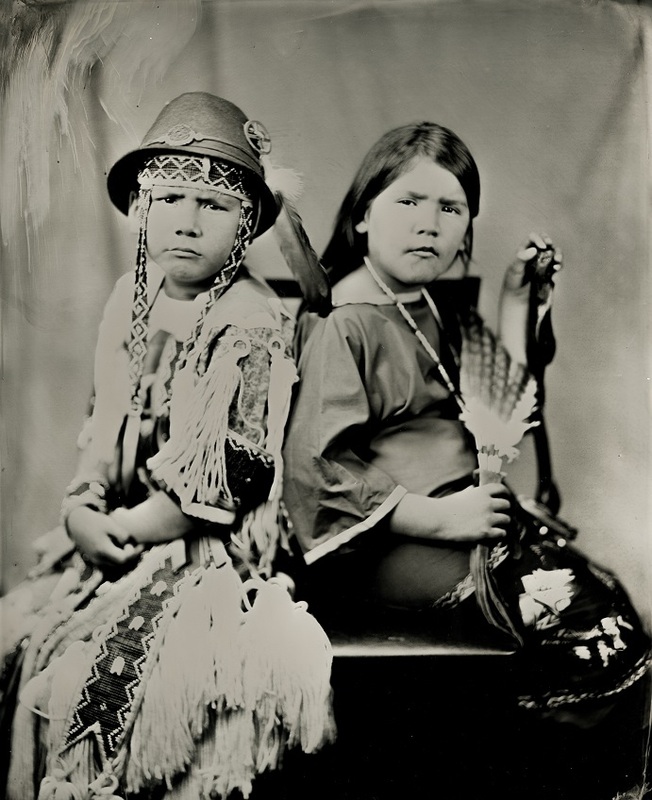 I also am working very closely with Lindsay Schott and Emily Schultz, both Archive Specialists at the Heritage Center. 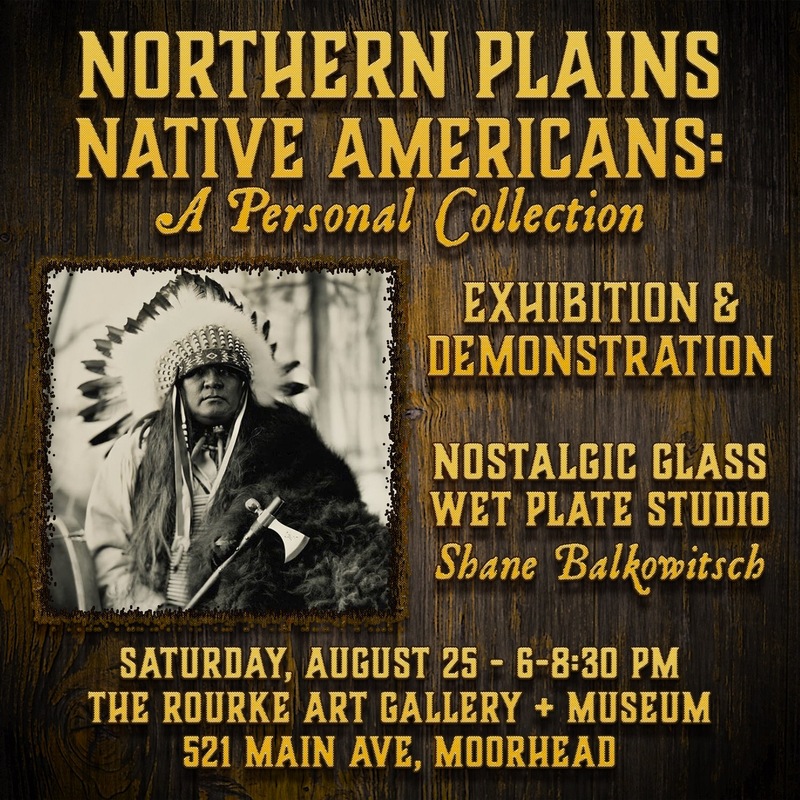 Their undying dedication to capturing all things historical in North Dakota is inspiring. 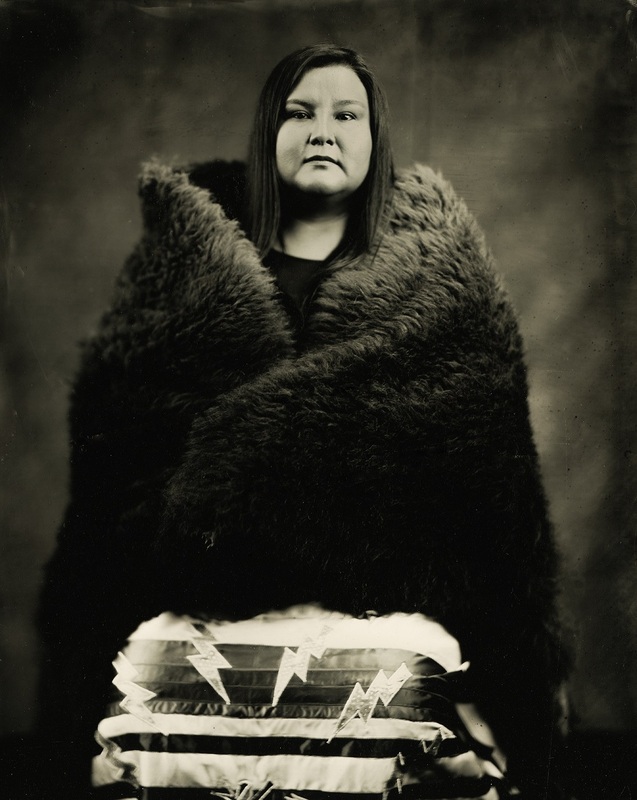 The plates that I make are being gifted to the Historical Society and their permanent archive. 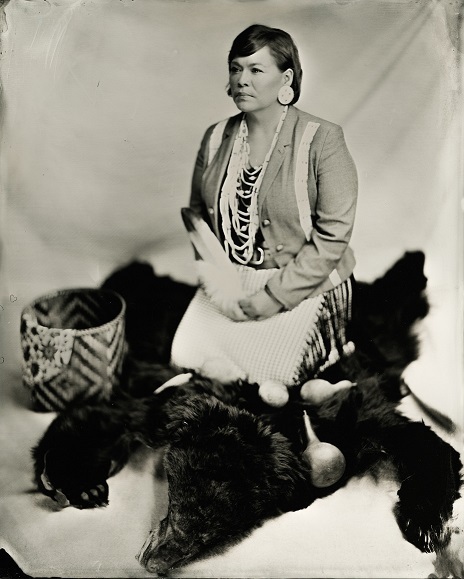 This is not something that is going to be accomplished overnight, but as I add more and more plates, the series seems to have more significance. 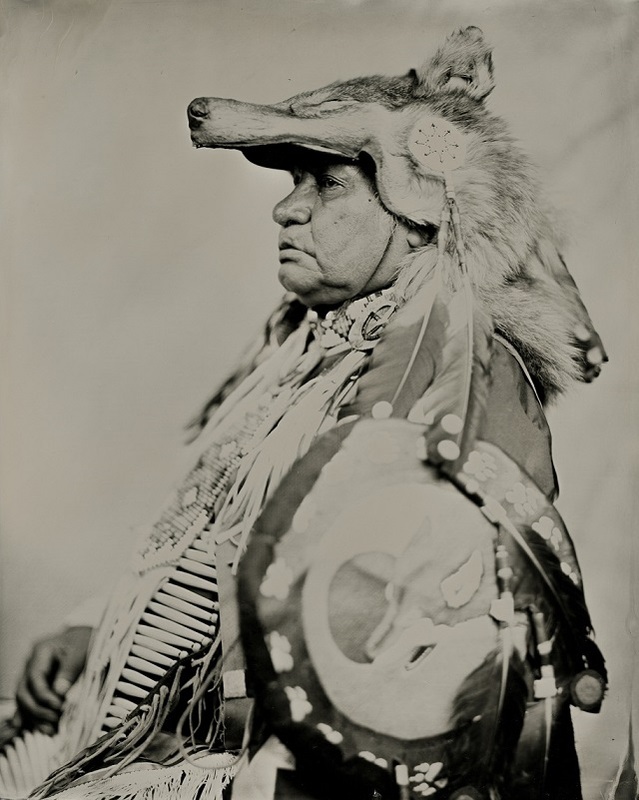 If fate does not break my stride, I will do everything that I can to see this through. 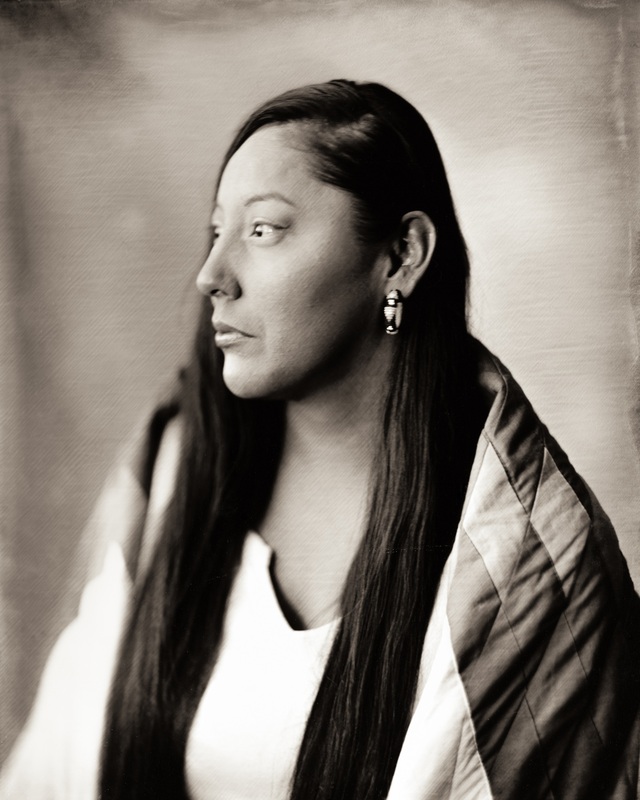 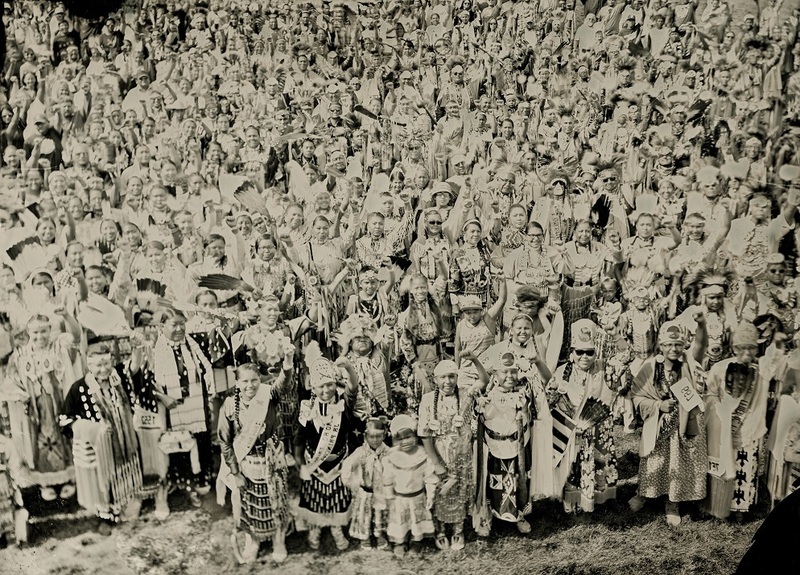 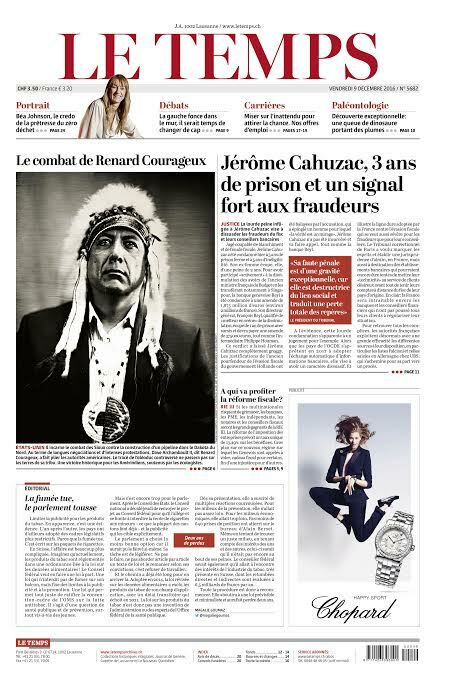 My new goal is to capture 1000 Native Americans in the beloved process, at the present rate, a 20 year commitment. 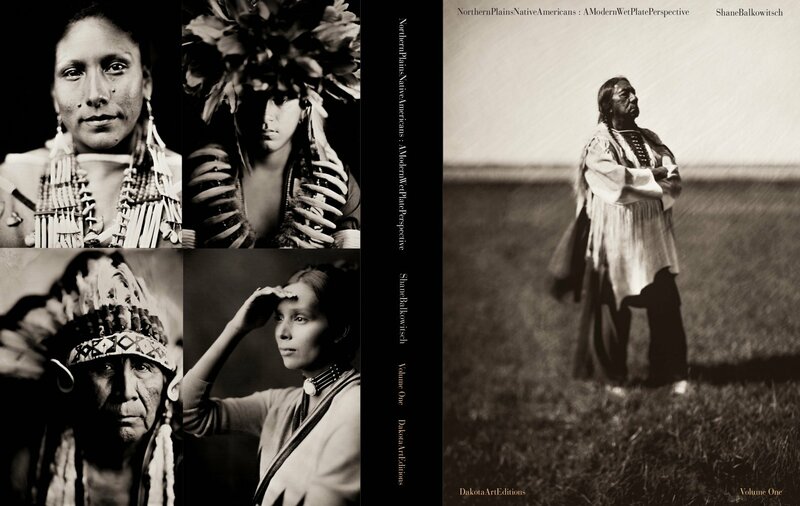 I also plan on publishing 4 volumes of picture books based on my favorite plates from the series. 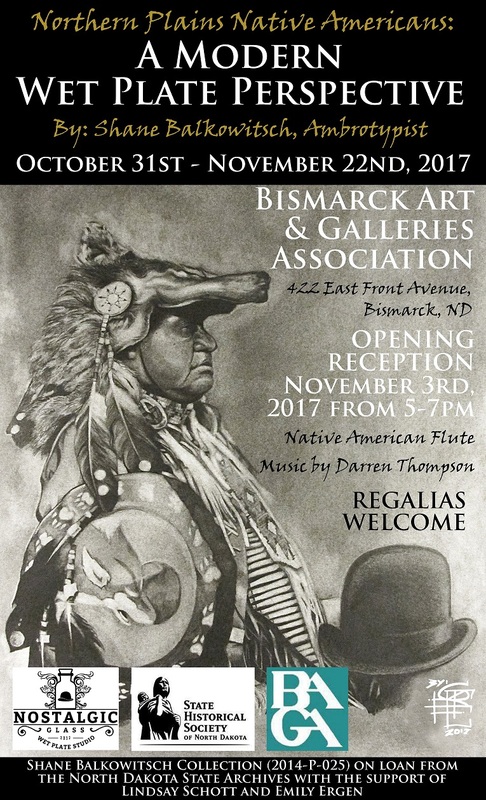 On November 3rd, 2017, Northern Plains Native Americans opened at the Bismarck Art Gallery Association (BAGA). 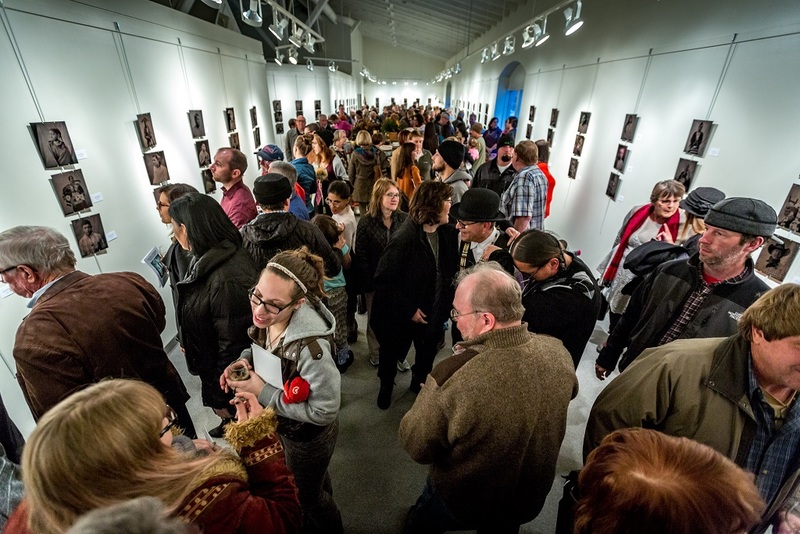 The series was greatly embraced by the community and we broke the galleries all-time attendance record. 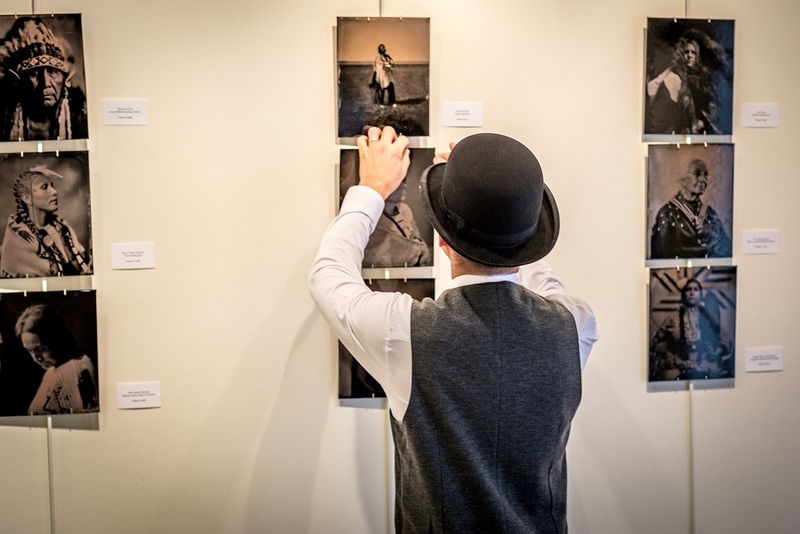 The first 145 plates were on display. 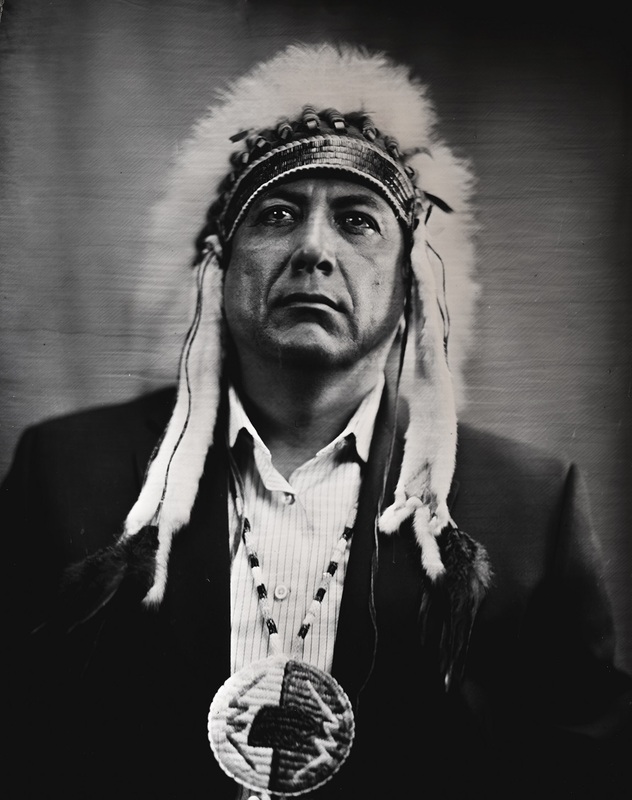 I am proud to be on this creative path and will do whatever it takes to make the people of this great state proud. 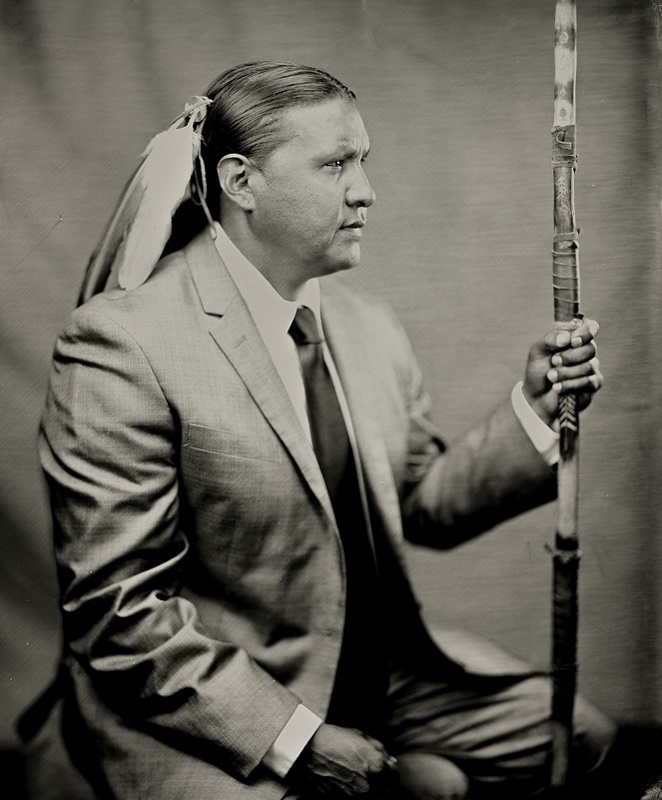 On October 28th, 2018, Calvin Grinnell "Running Elk" a historian for the Mandan Hidatsa Arikara Nation held a Native American Naming Ceremony for me at my studio in Bismarck. 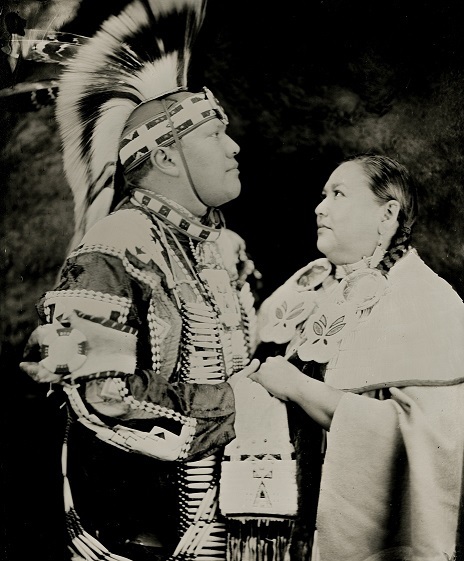 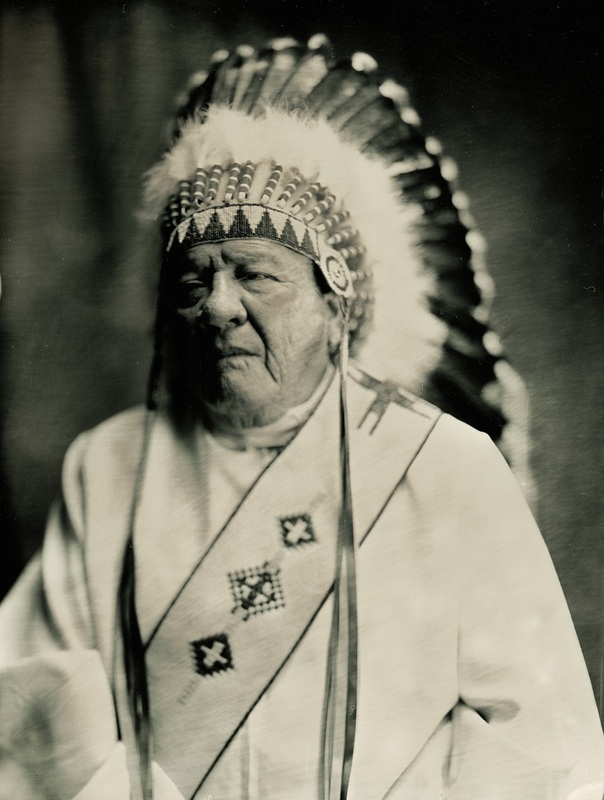 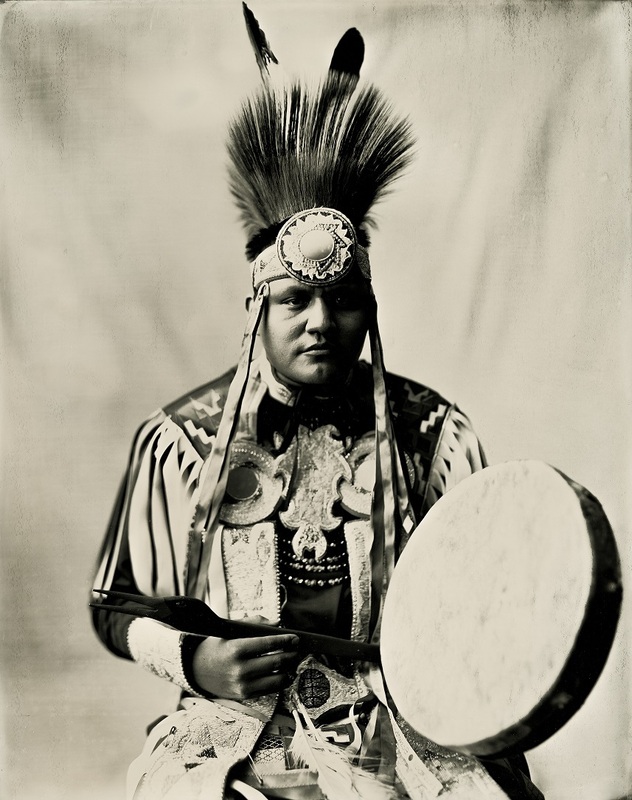 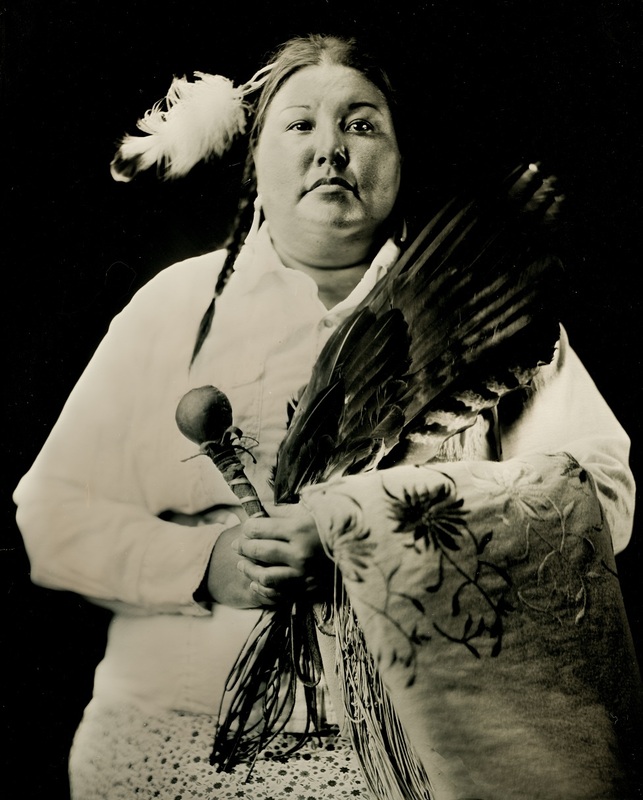 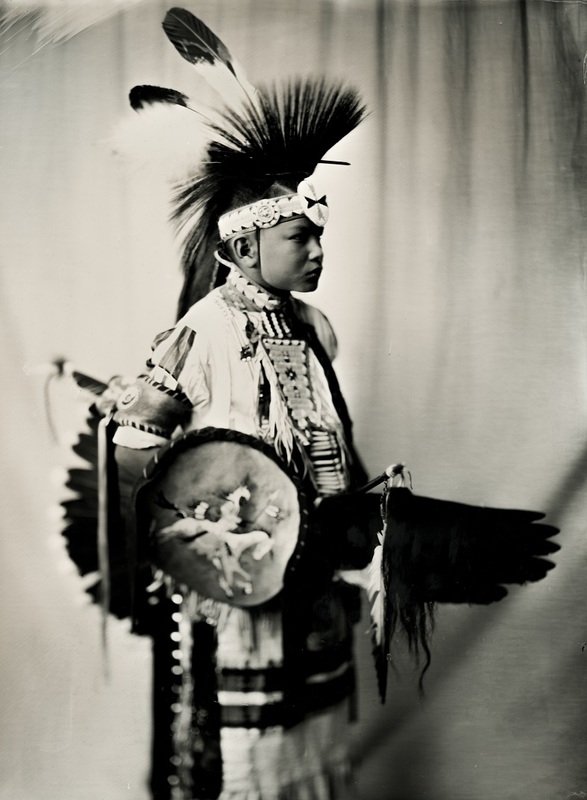 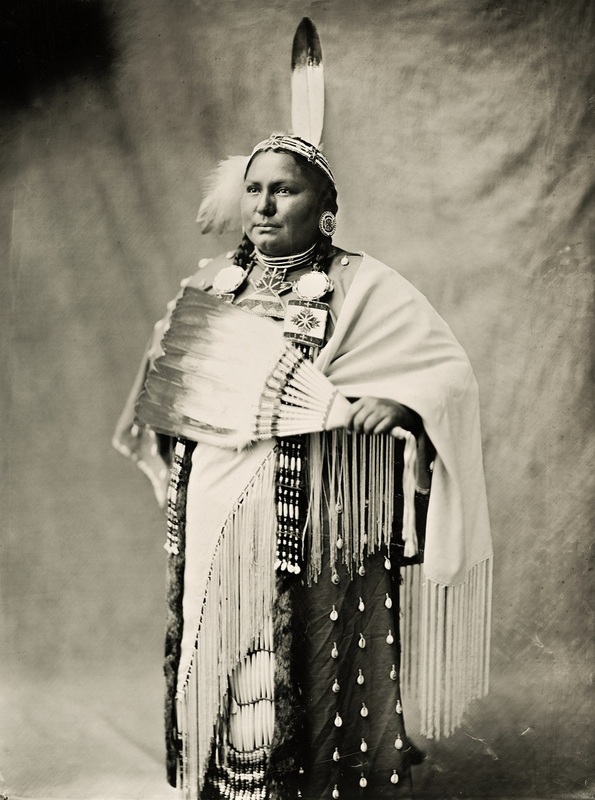 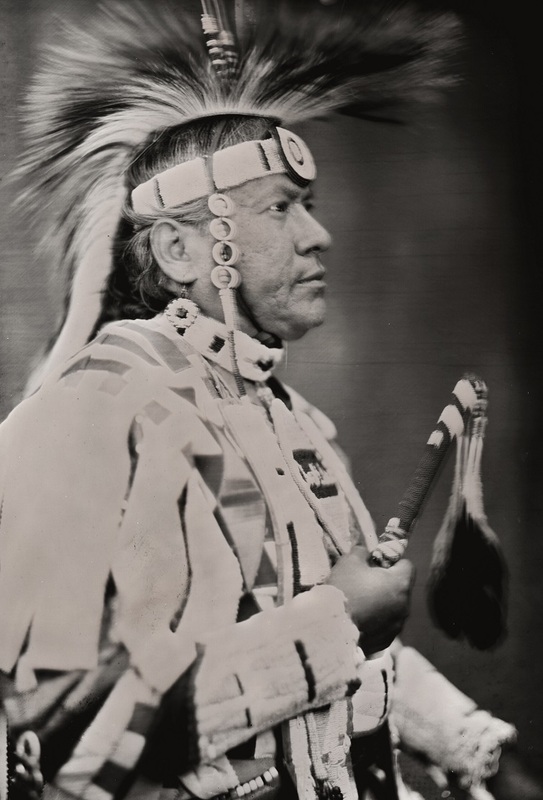 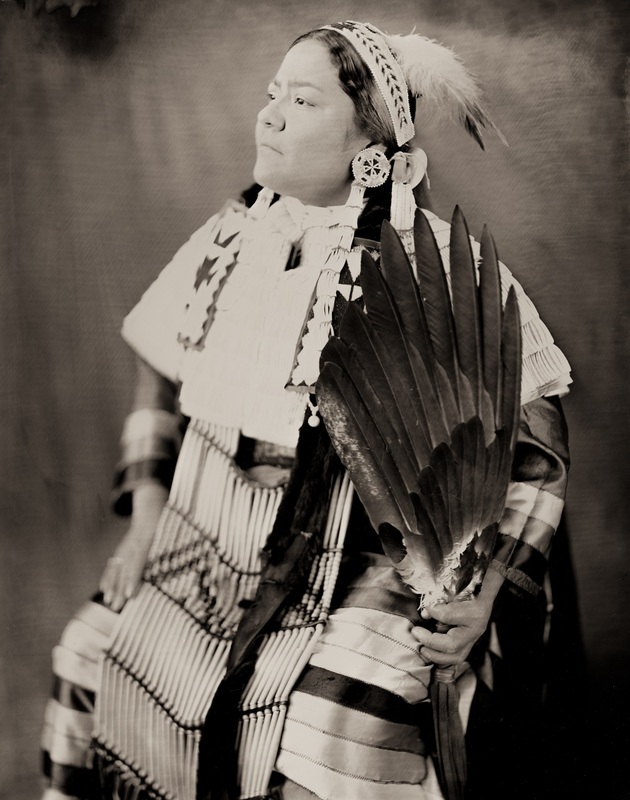 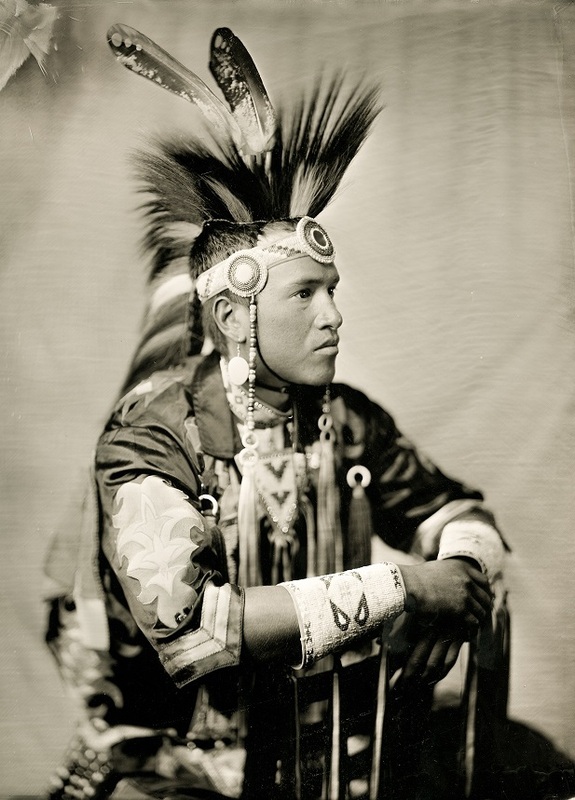 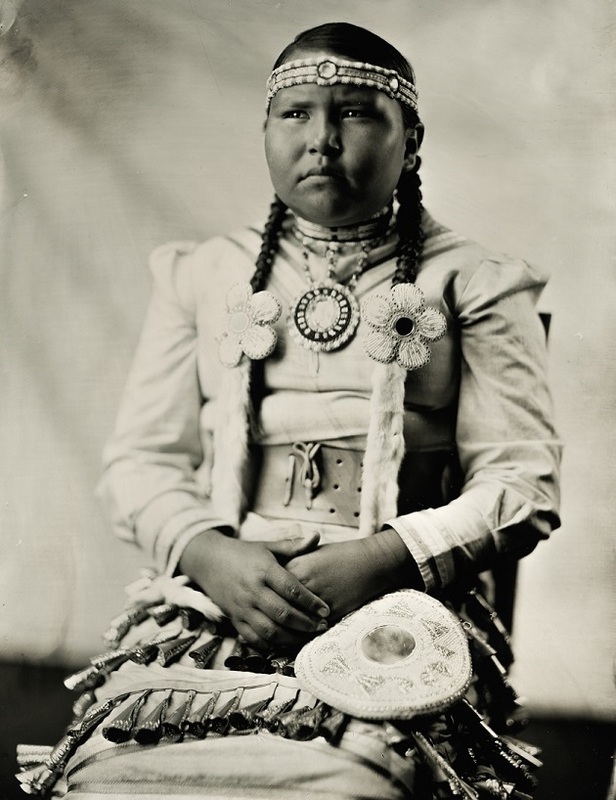 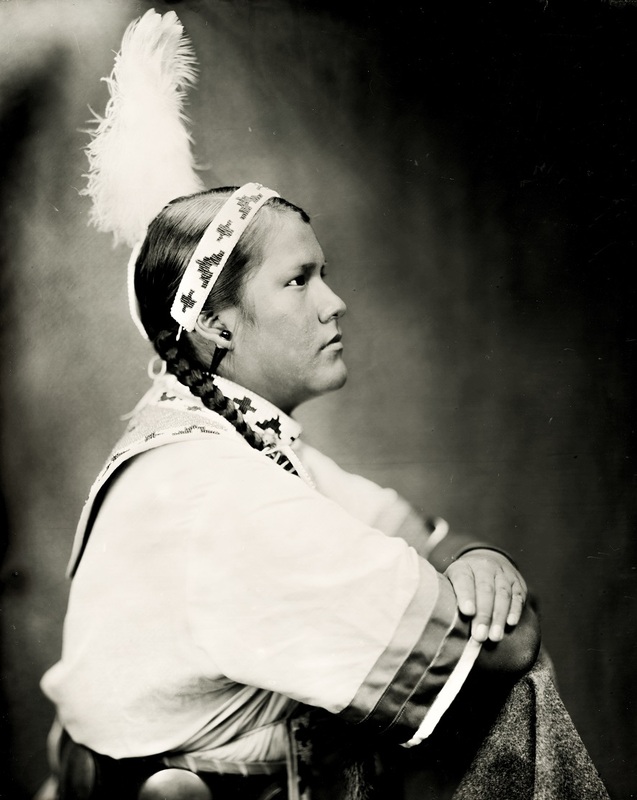 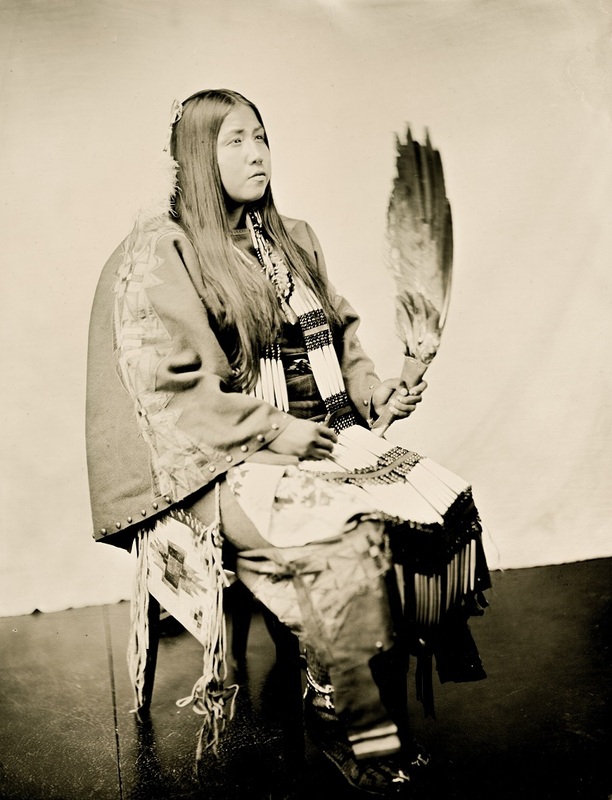 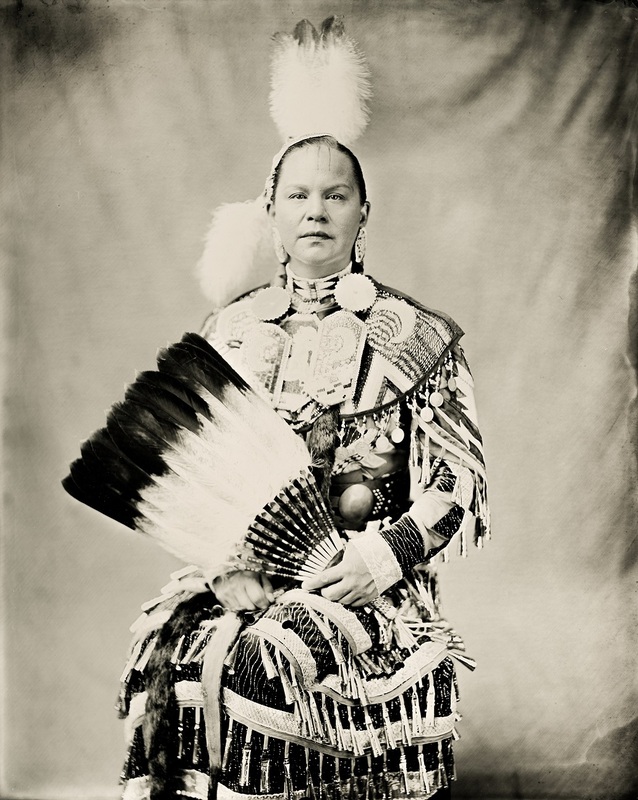 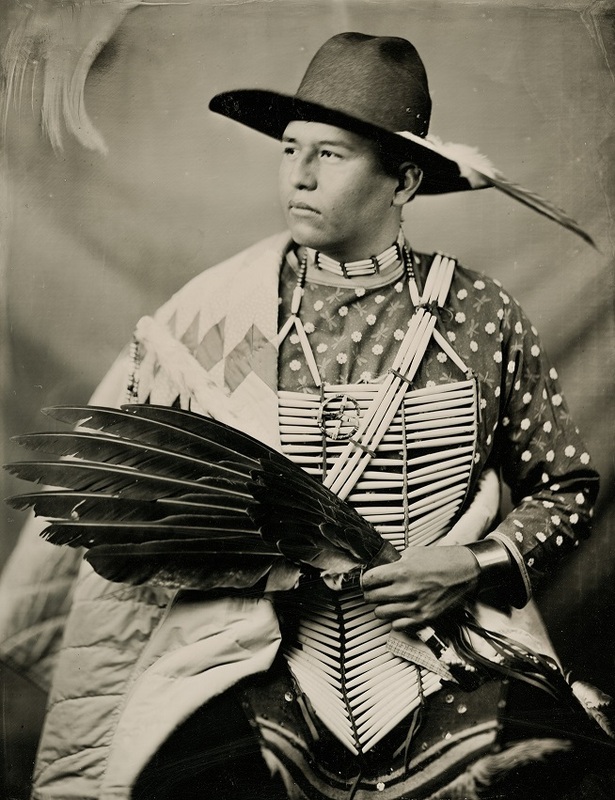 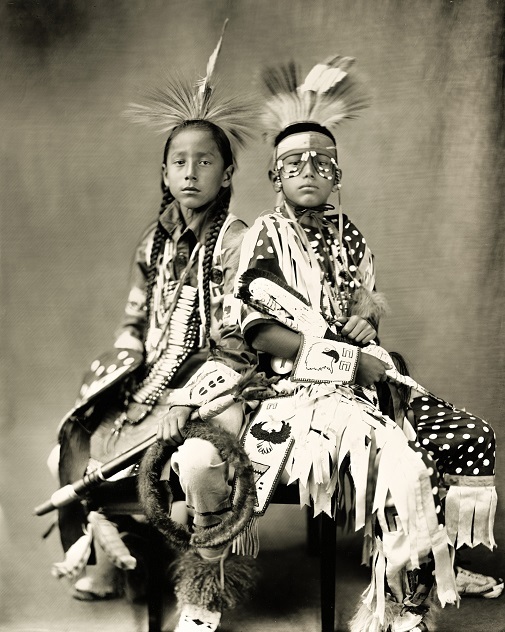 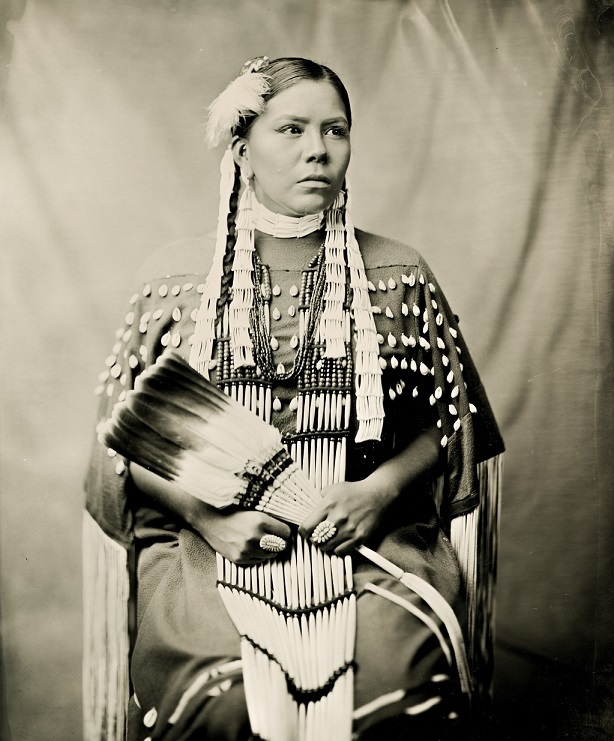 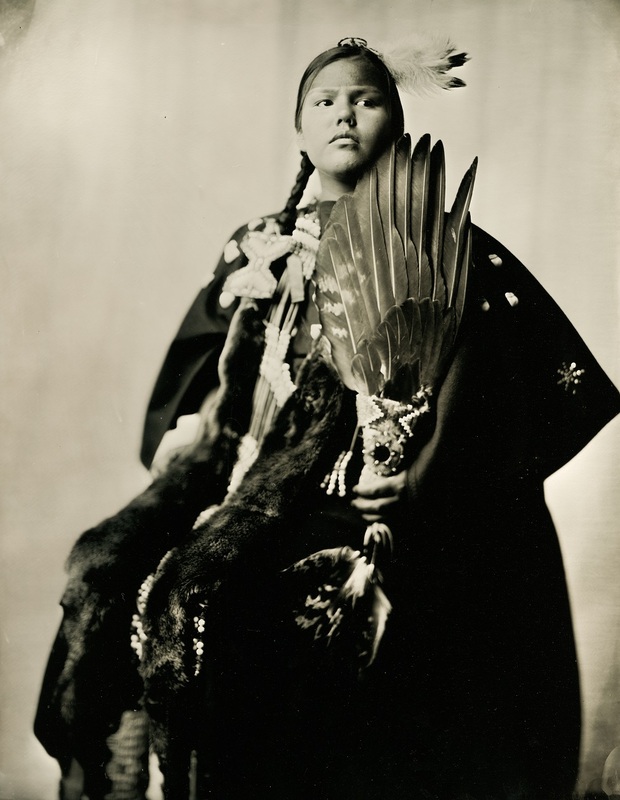 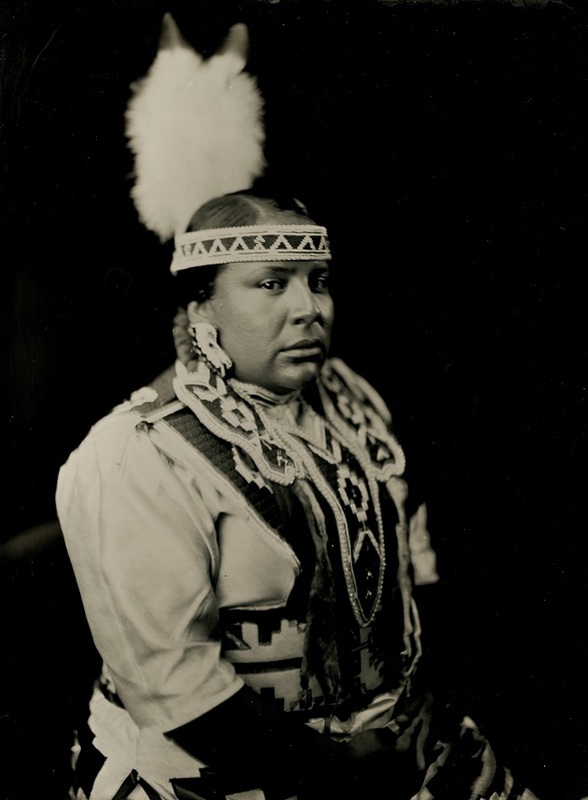 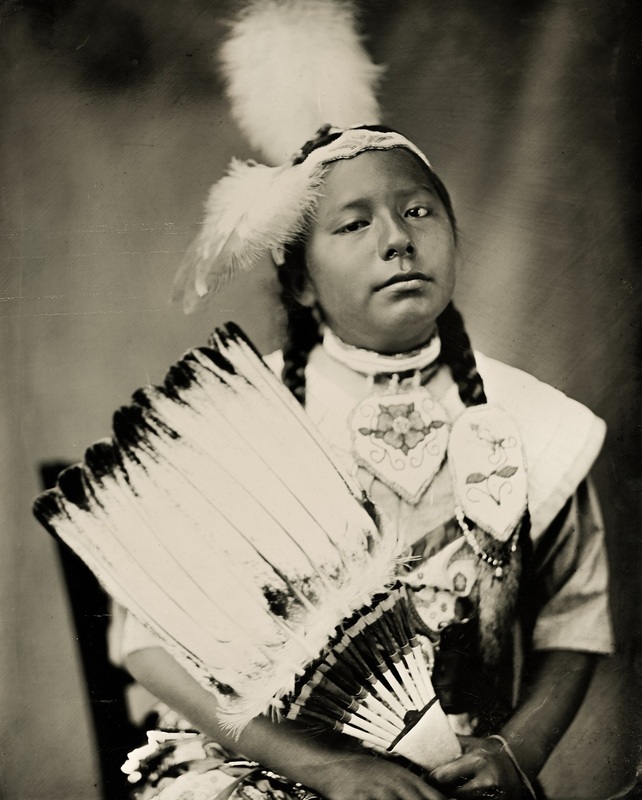 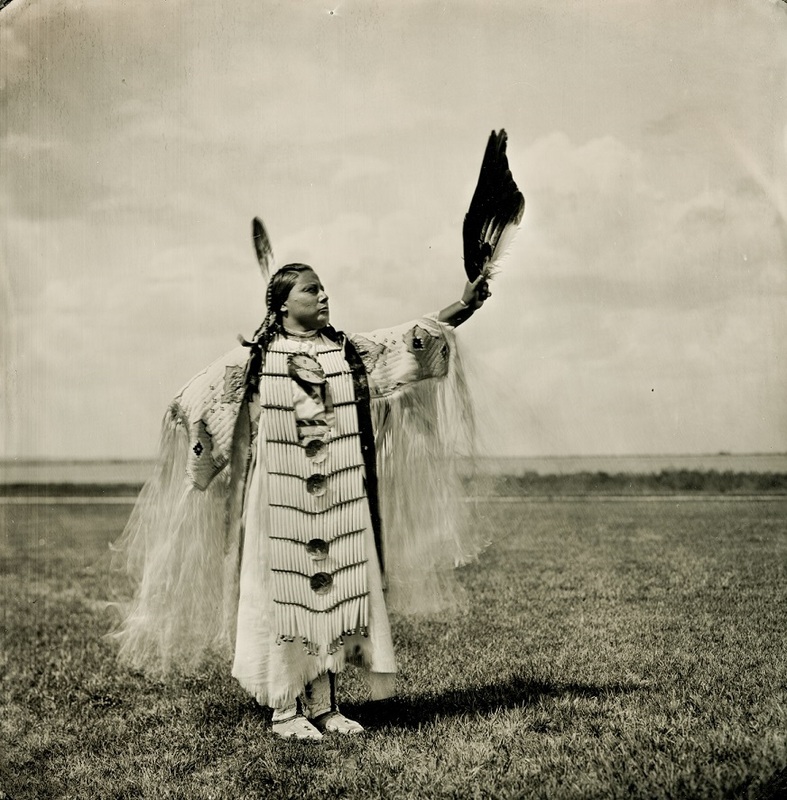 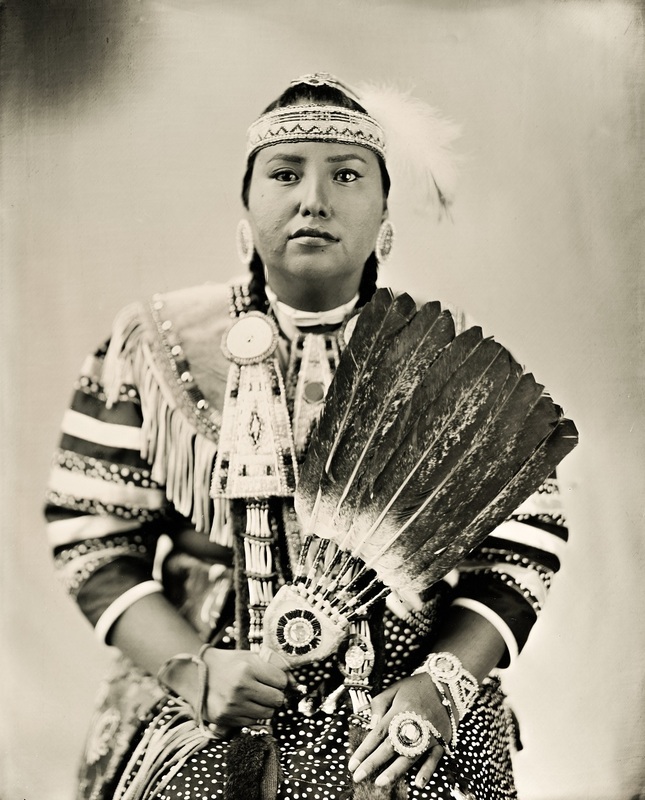 Calvin chose the name "Shadow Catcher" Maa'ishda tehxixi Agu'Agshi in Hidatsa. 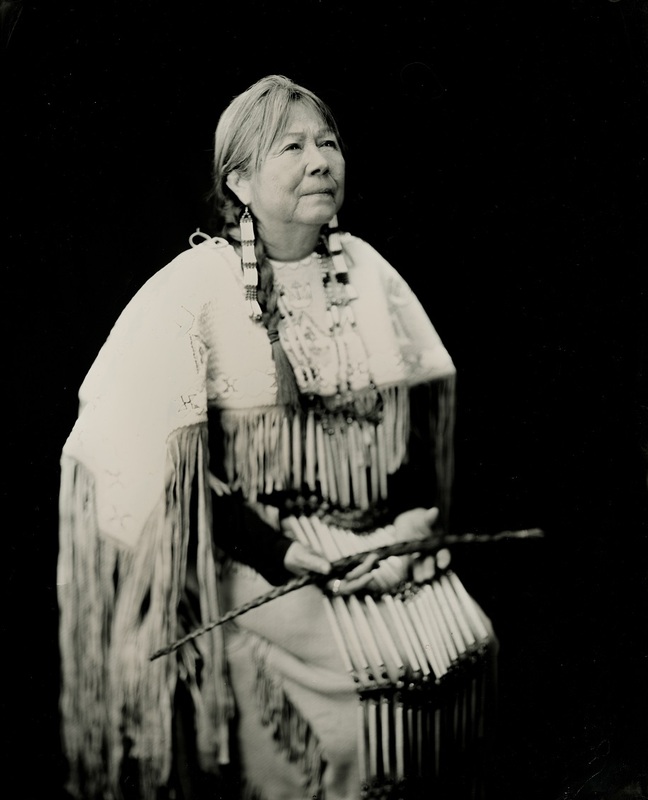 Dora Gwin assisted him with the spelling and pronunciation of the given name. 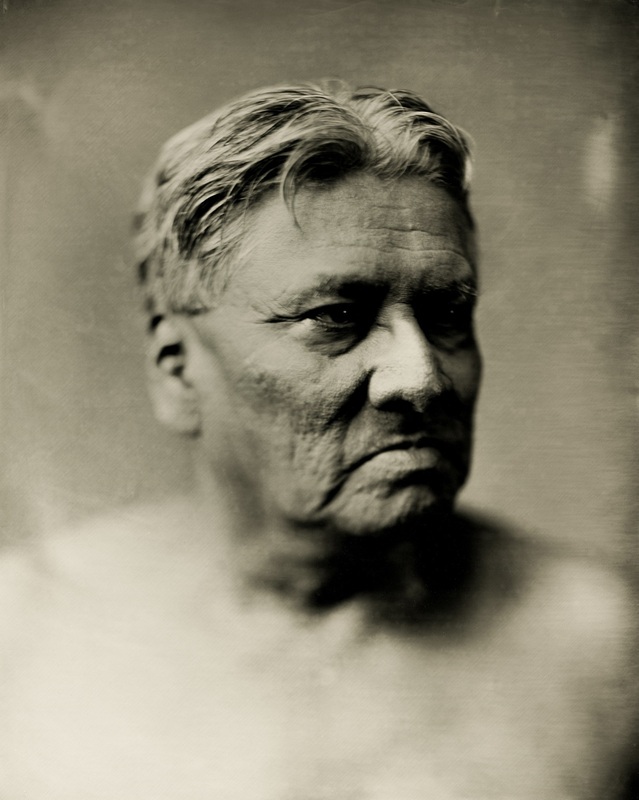 Edward Curtis was referred to as the "Shadow Catcher" by many tribes and Calvin thought it fitting that the name be carried in present day be me. 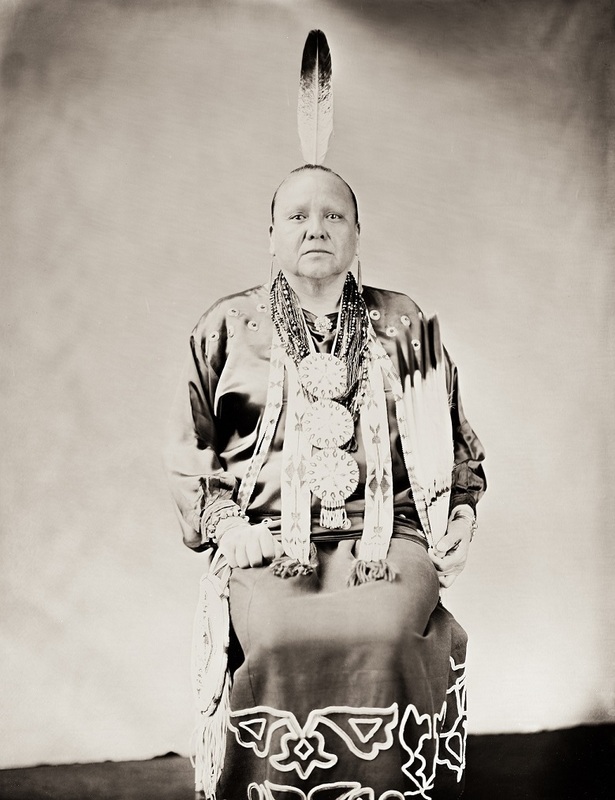 "Shot at by the Enemy"
Dale Benjamin American Horse, Jr.
"Brings Back the Wounded Woman"
"Not Afraid of the Enemy"
"She Brings Many Buckskin Horses"
"Mr. and Mrs. Four Rings"
"Feather Cloud" and "His Spirit is Sacred Boy"
Thomas Anthony Bull Head, Jr.
"Woman Who Sees Things in a Good Way"
"Moon of the Yellow Hair Woman"
John Thomas Eagle Shield, Sr.
"Shoots at Her in the Middle"
"To Awaken as if From a Dream"
"Walks in a Humble Manner Woman"
"She Holds Her Family High"
Shaundeen Nizohni Smith "Last Band"
Sidrick James Baker, Jr. "Laughing Man"
"When it Snows in the Springtime after the Birds Have Come Back"
"The Face of the Arikara"
"The Woman Who Came Back from War"
"Standing in the Red Hail Woman"
"June Berry Root / Holy Evergreen Woman"
"Eagle Dancer and Standing Rock"
"The First Snowfall to Fall of the Season"
"Sitting Crow" and "Four Lodge Poles"
"Runs with White Buffalo Woman"
"Brings Good Spirits Home Woman"
"The One Who Brings Joy"
"Required P.O. 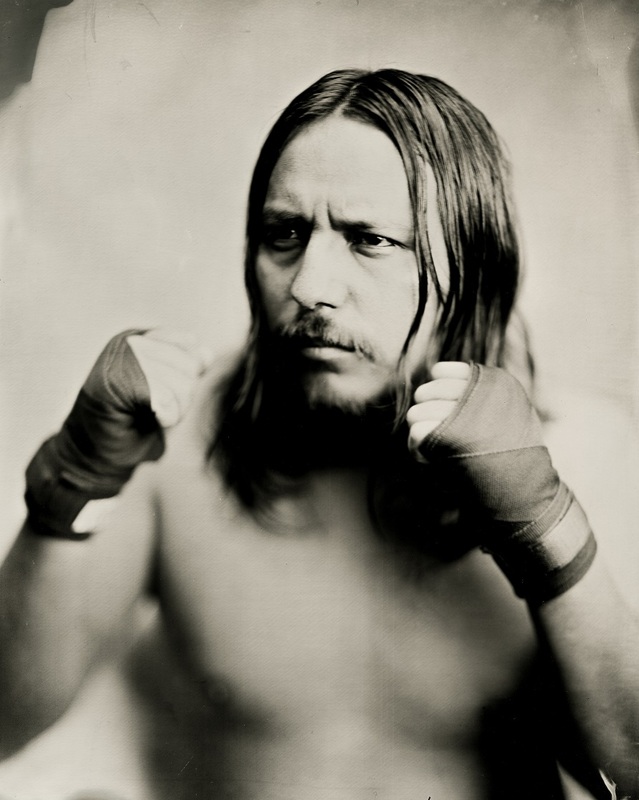 Box Not Allowed!" 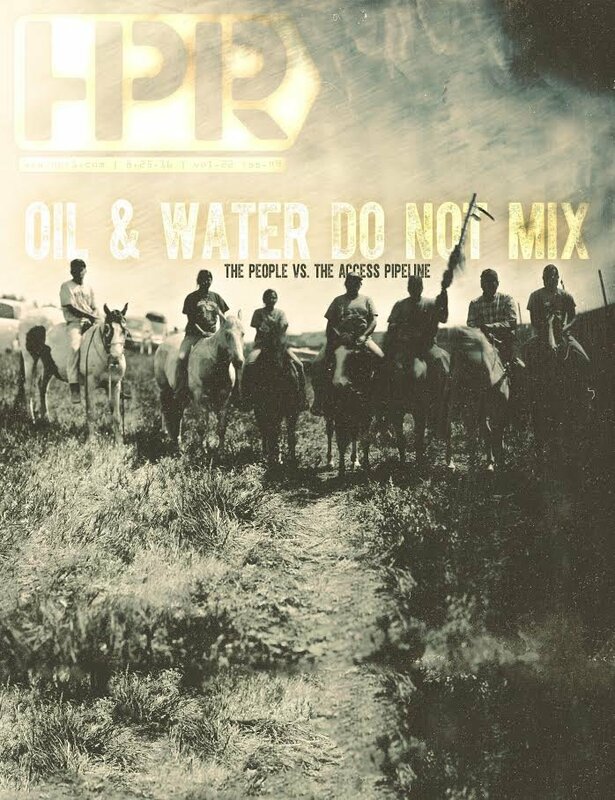 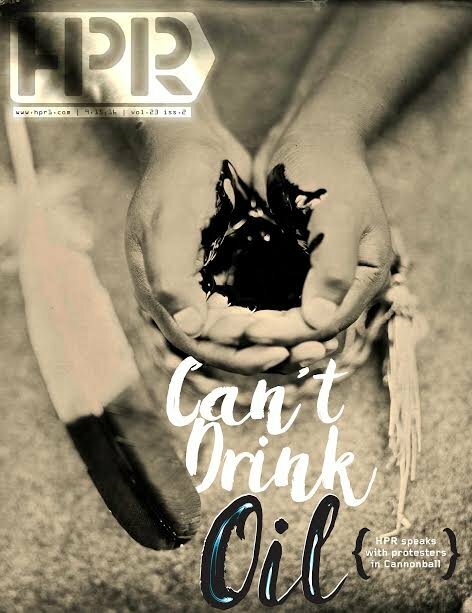 "Love Water, Not Oil" with Dale American Horse, Jr. 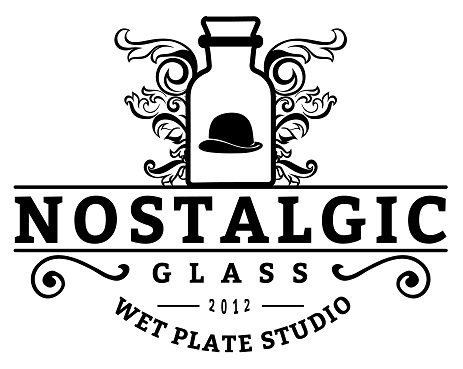 Copyright Note: All referenced photographs, images and logos provided above are for informational purposes only and they are the property of their respective owners.